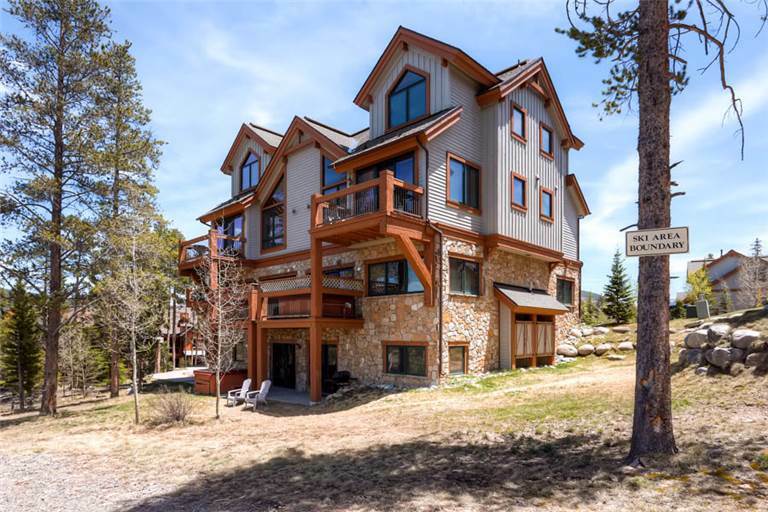 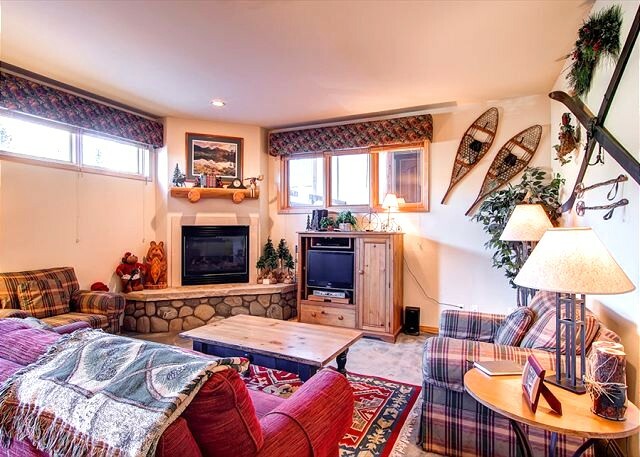 From this unit guests can step out on the balcony and watch their family and friends ski down Four O’clock Run, turn, and enter the door of the building! 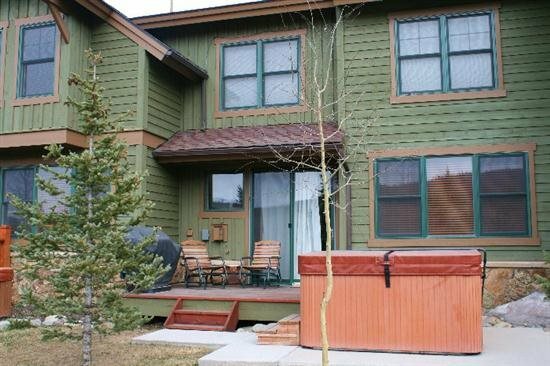 The hot tub is next to the building. 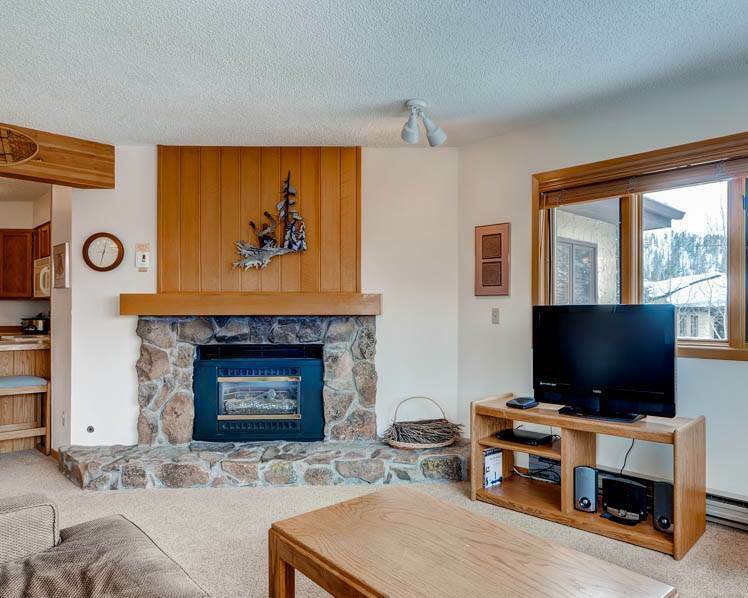 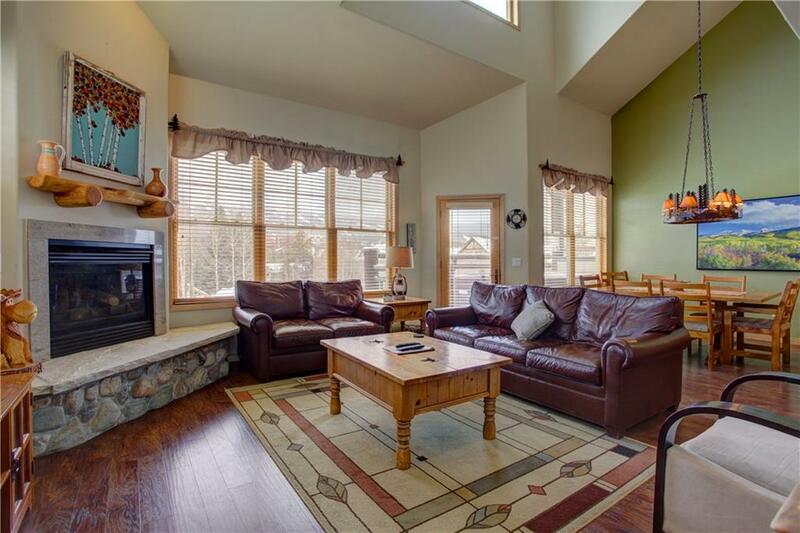 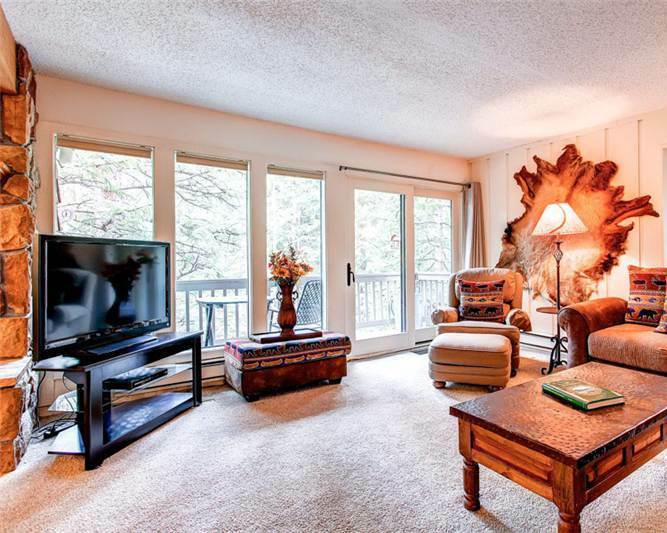 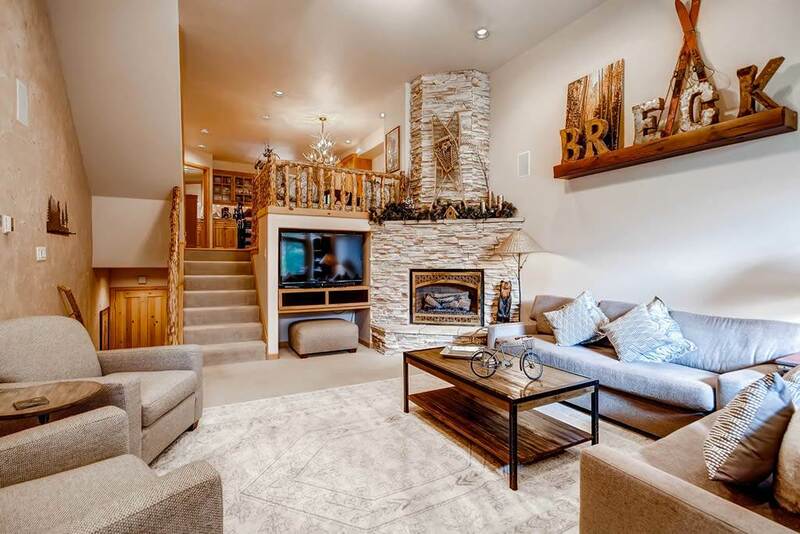 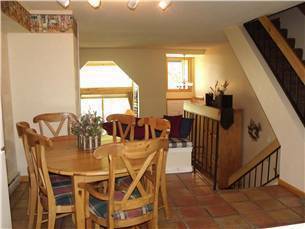 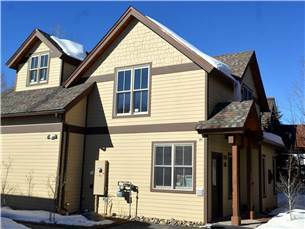 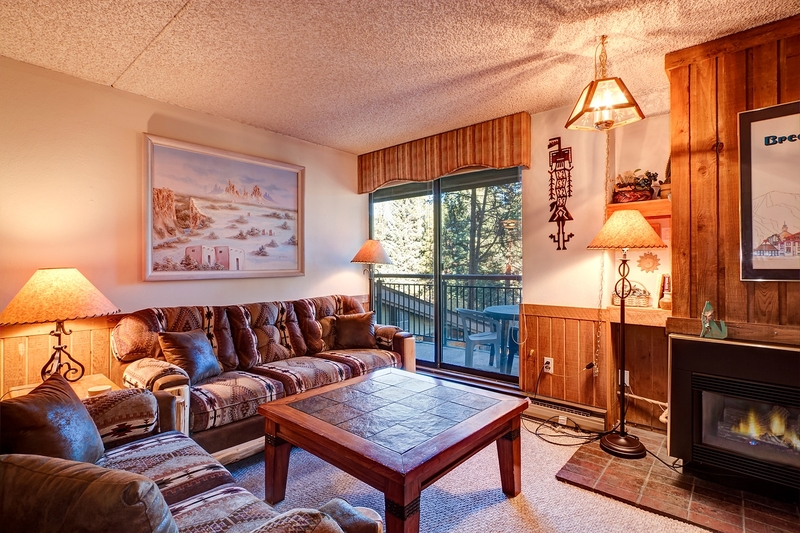 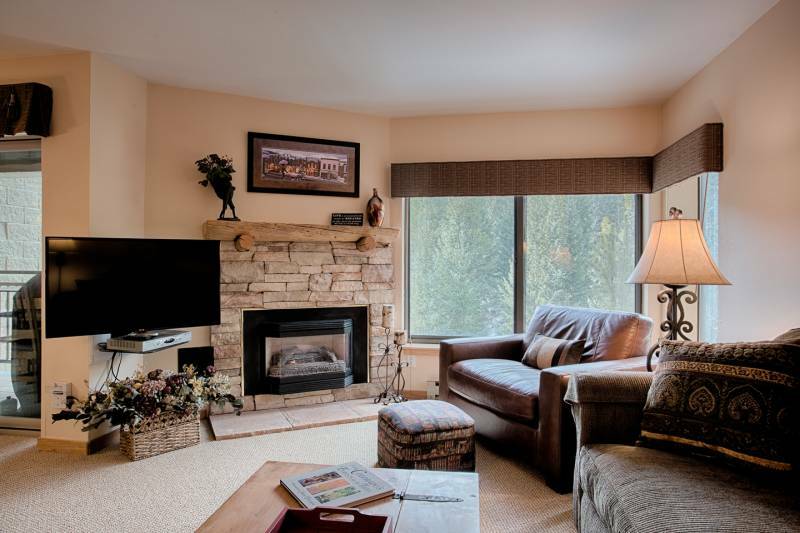 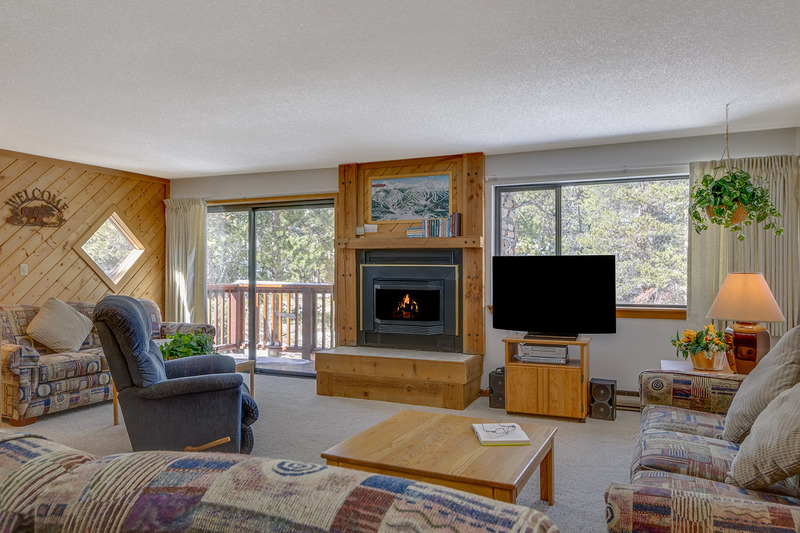 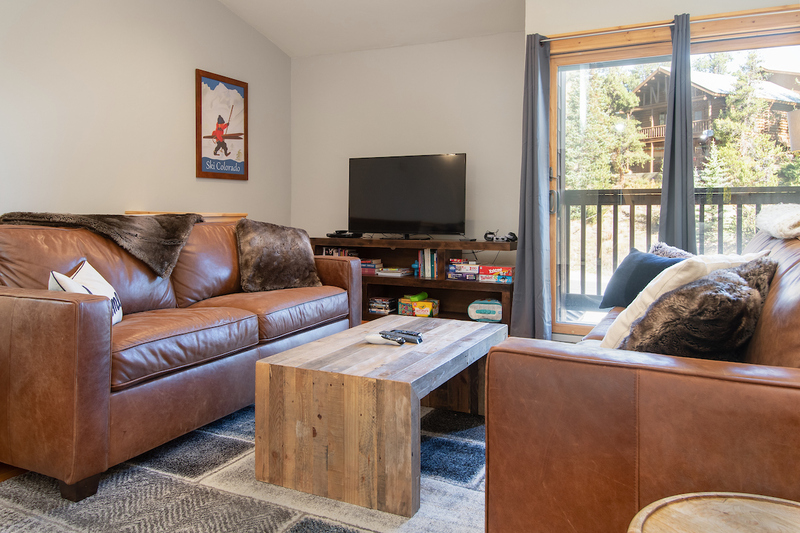 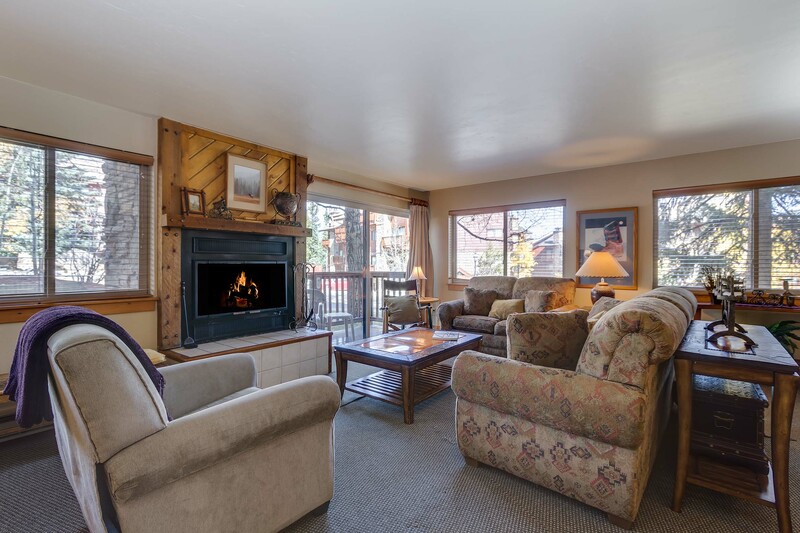 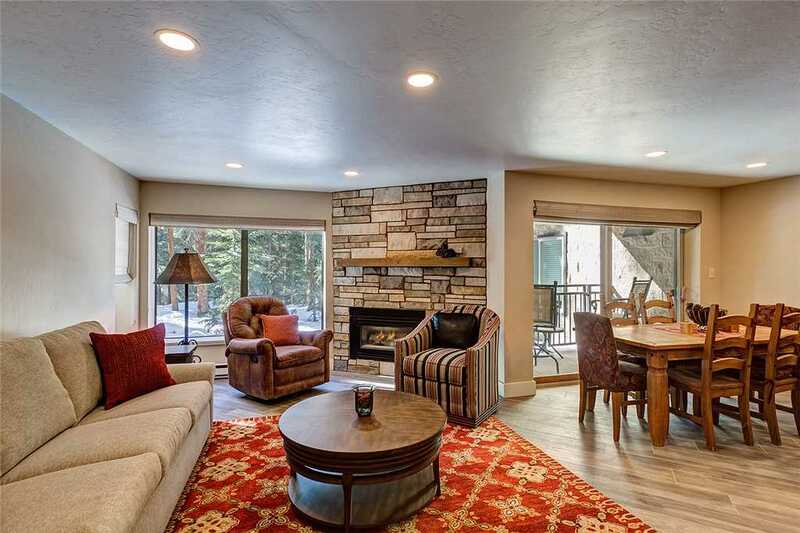 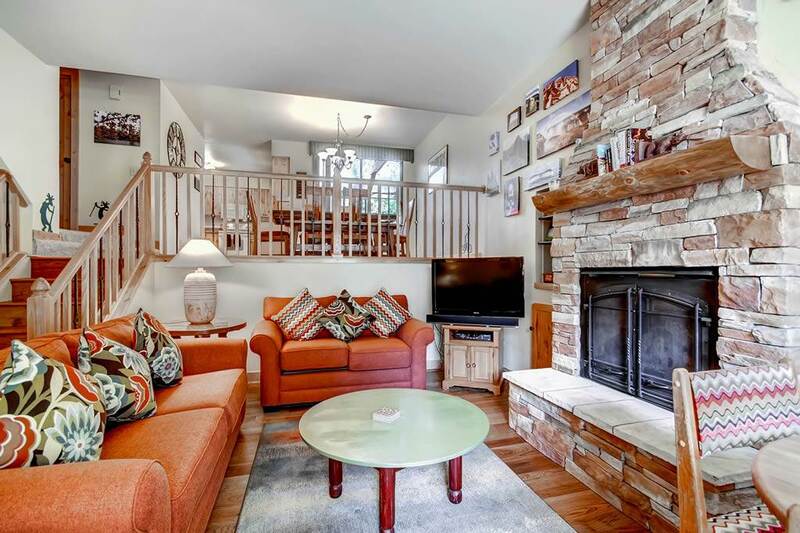 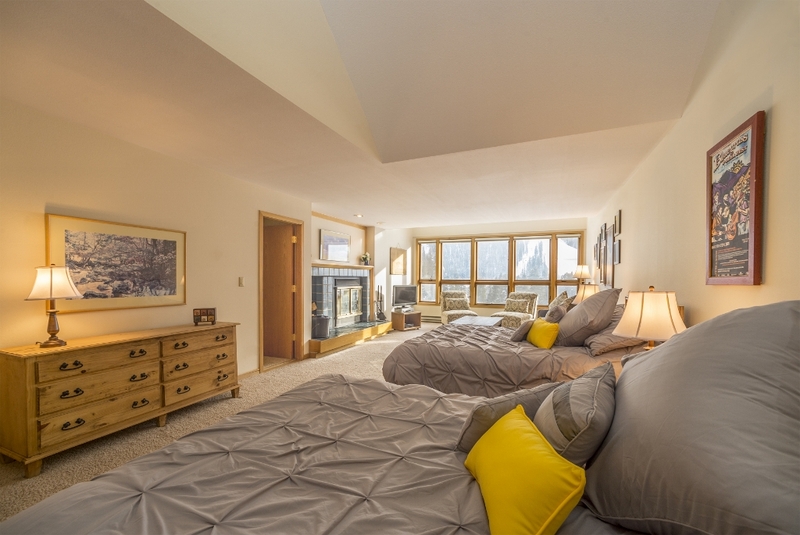 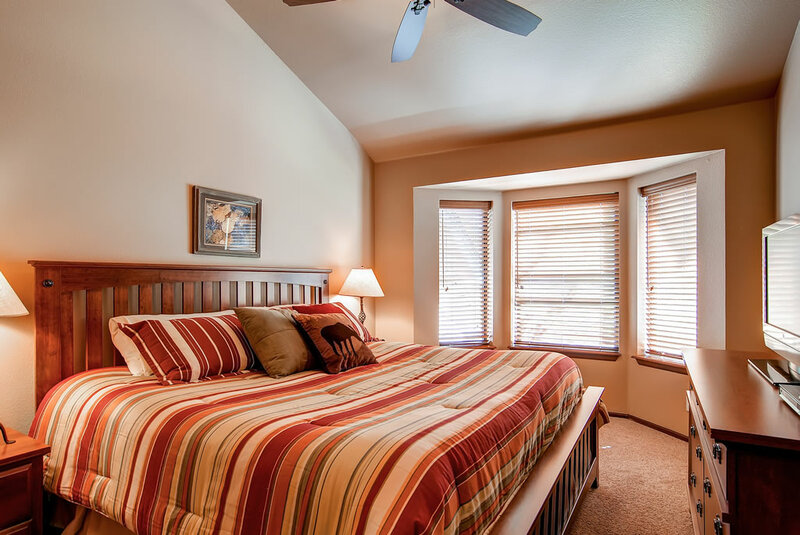 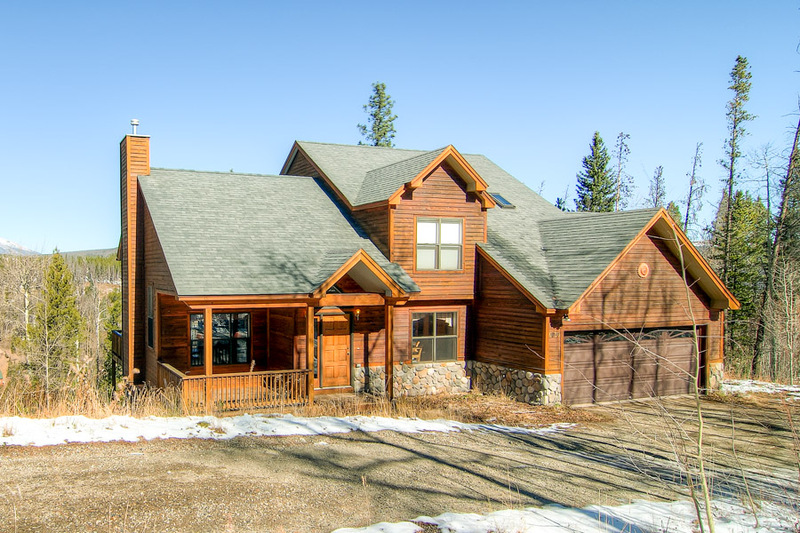 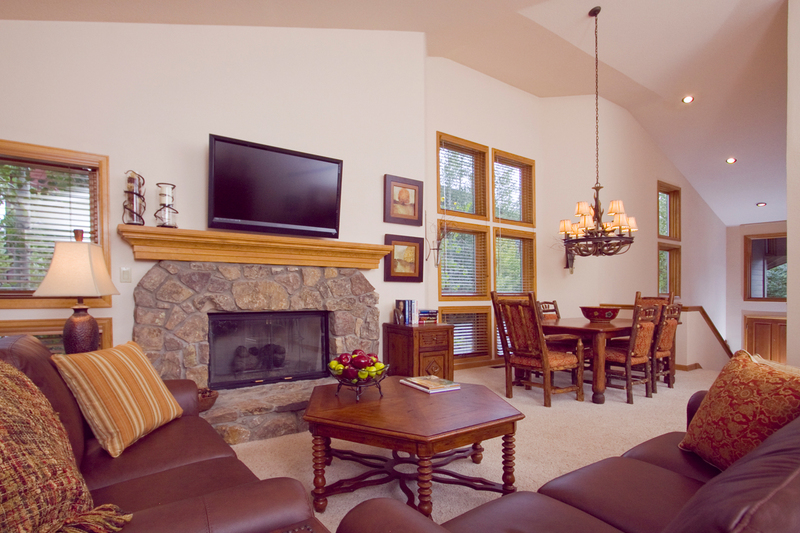 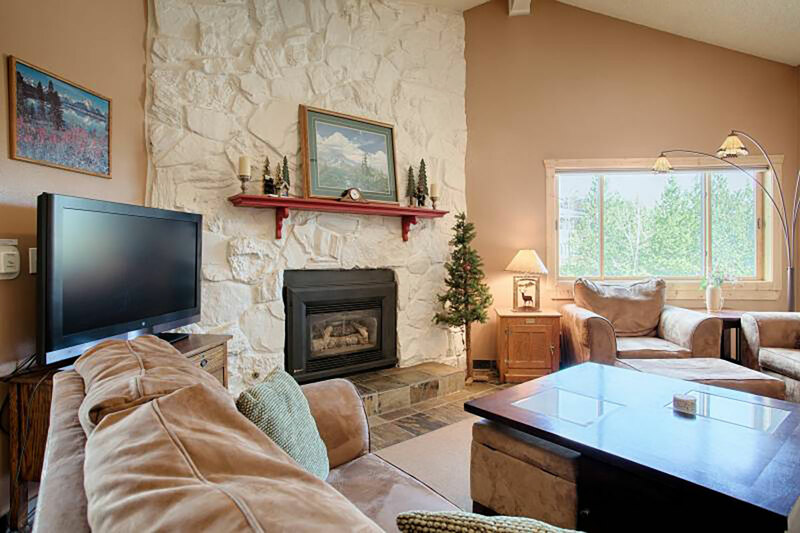 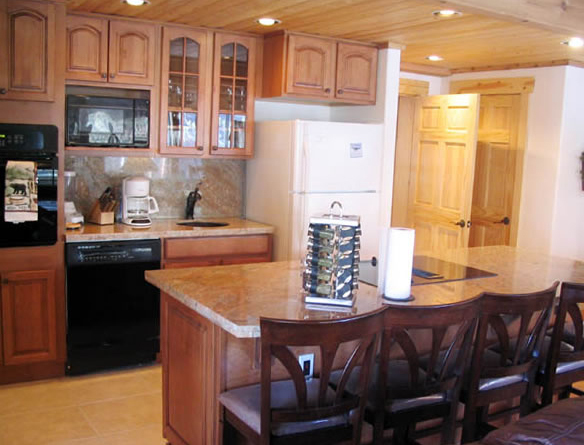 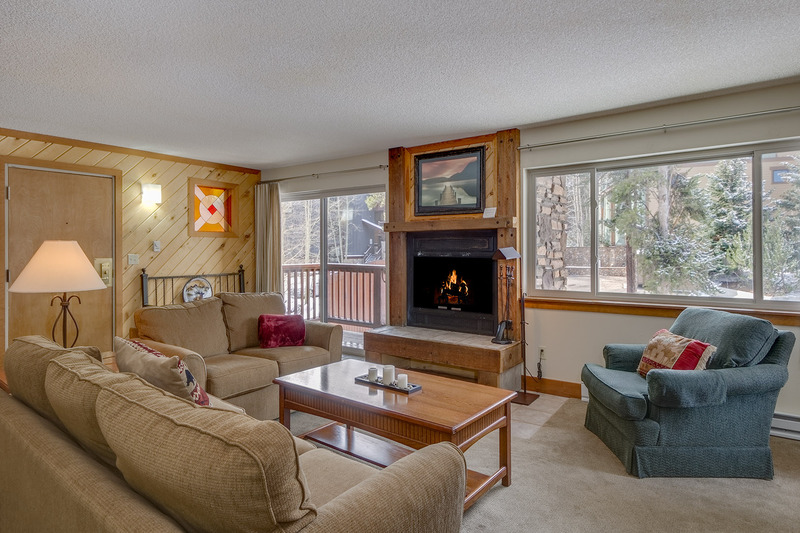 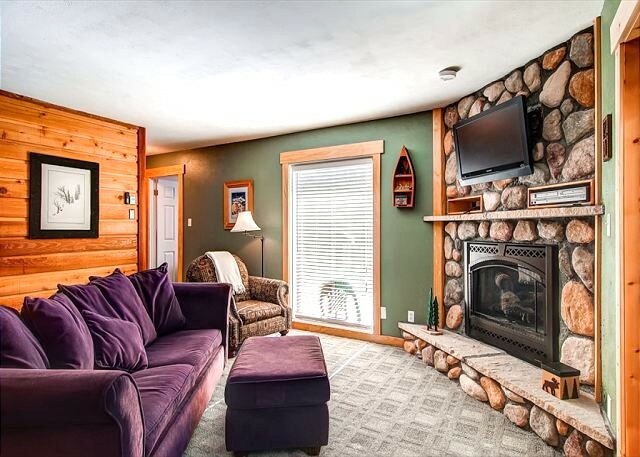 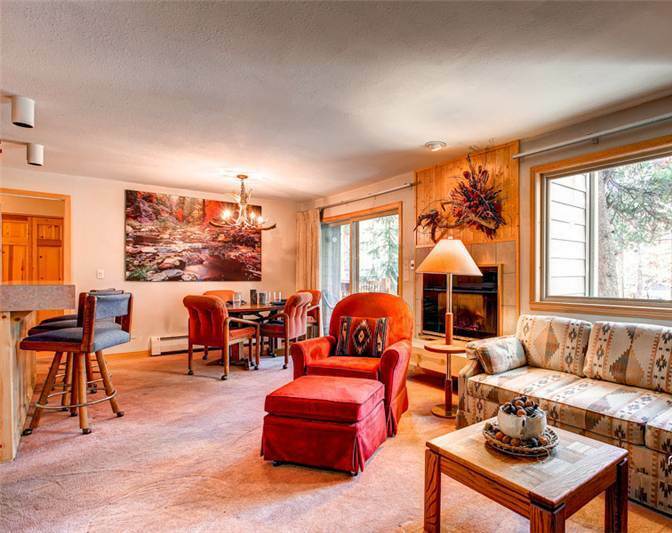 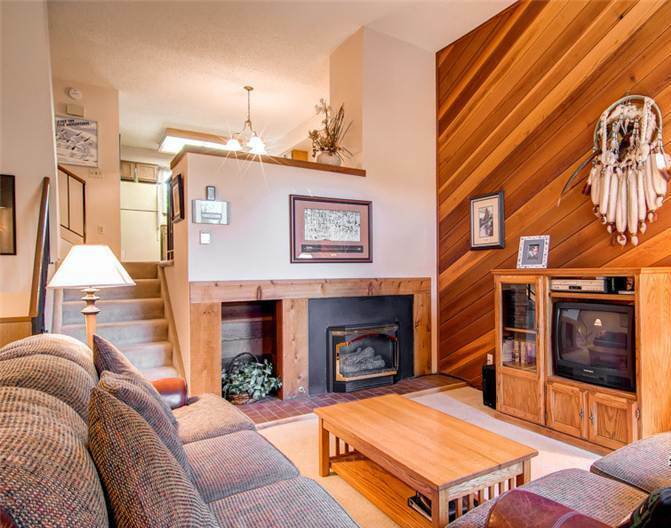 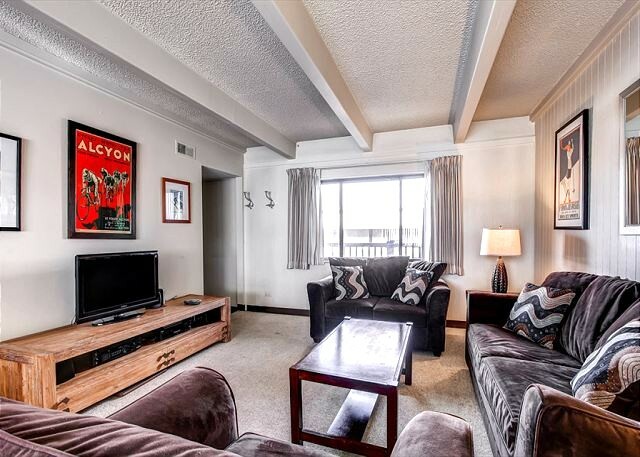 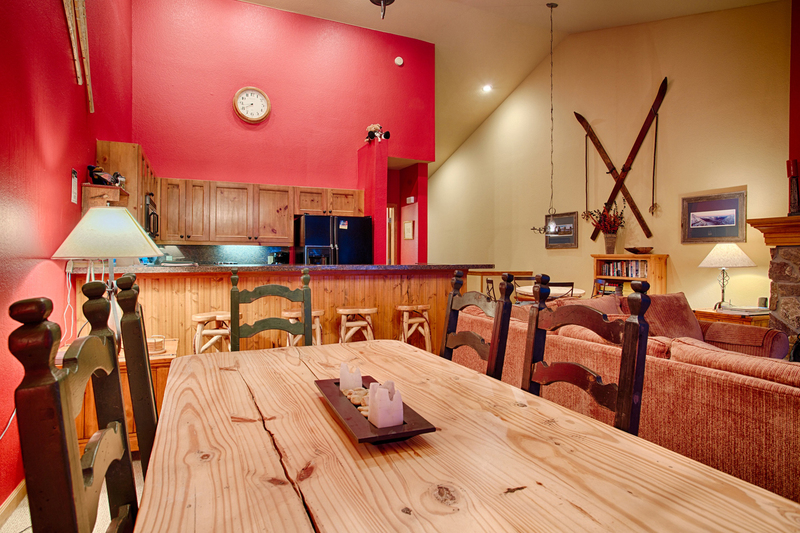 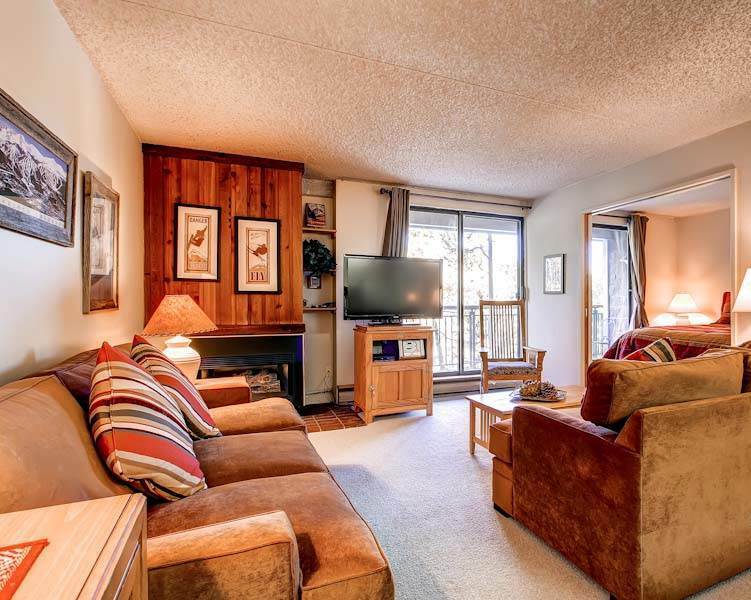 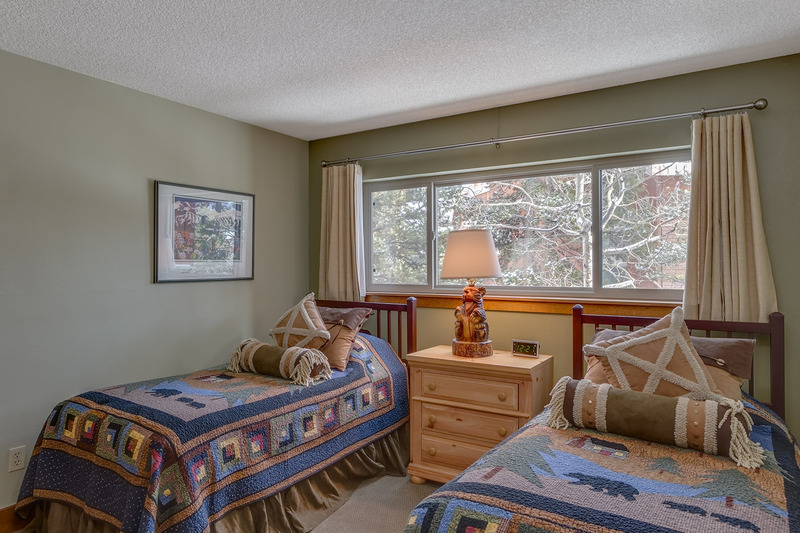 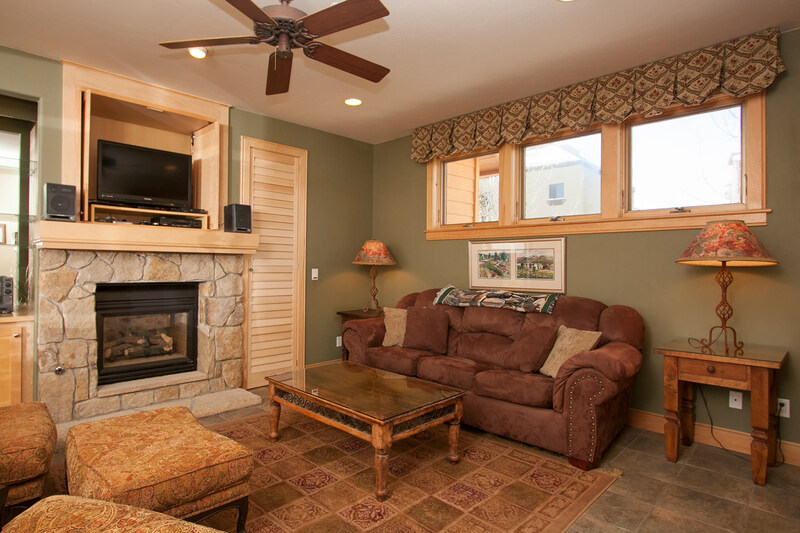 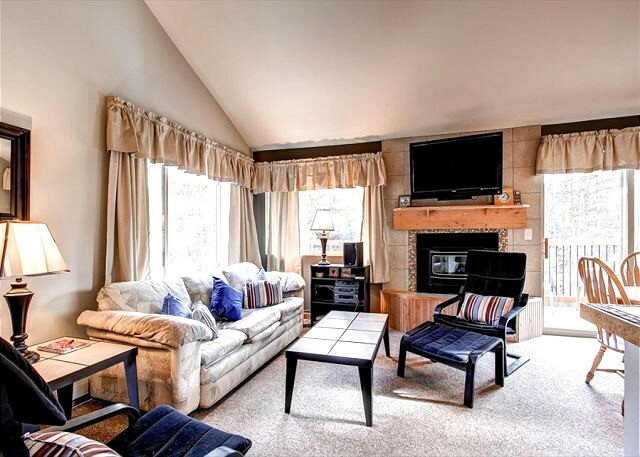 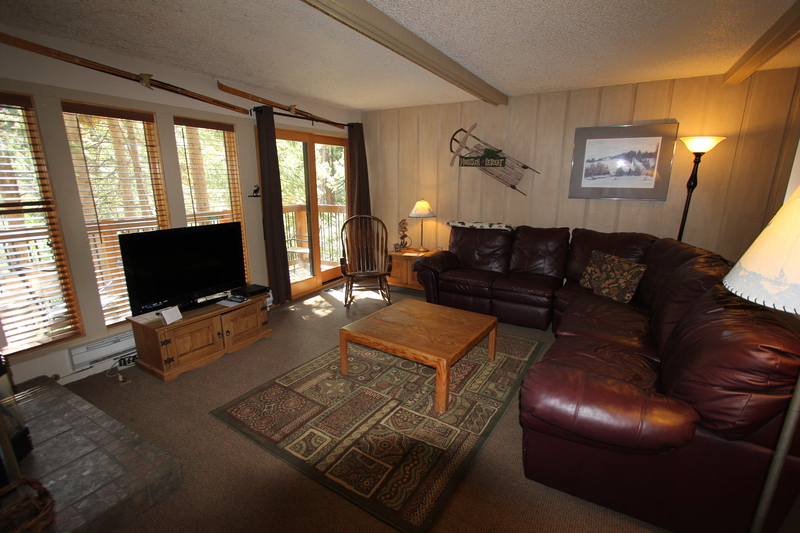 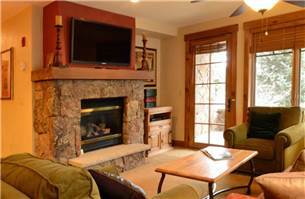 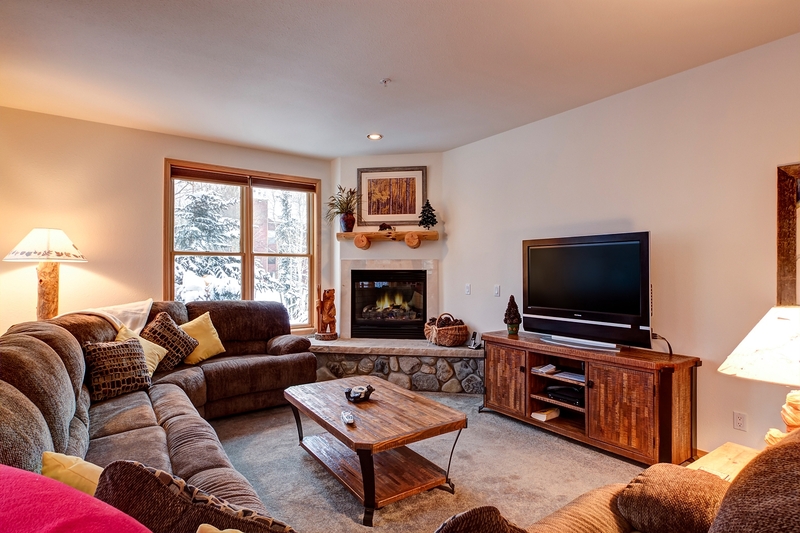 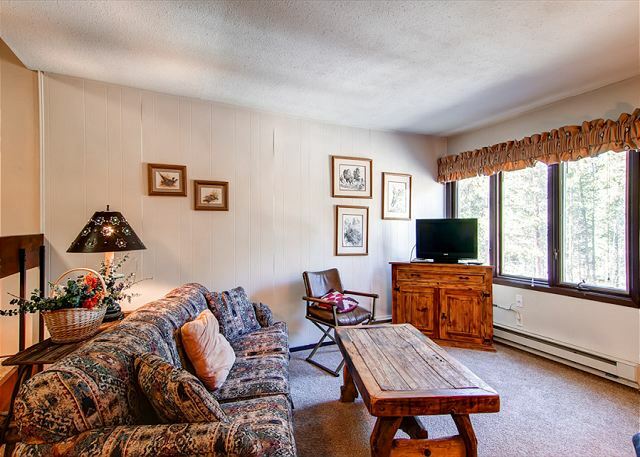 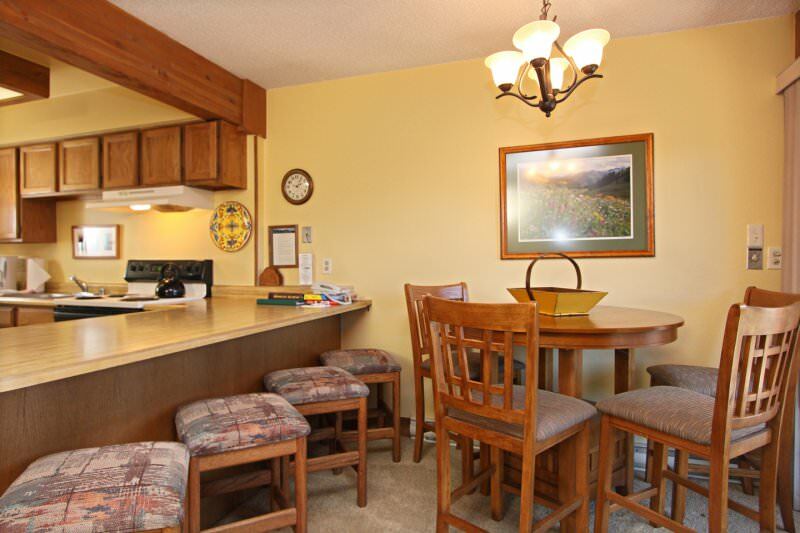 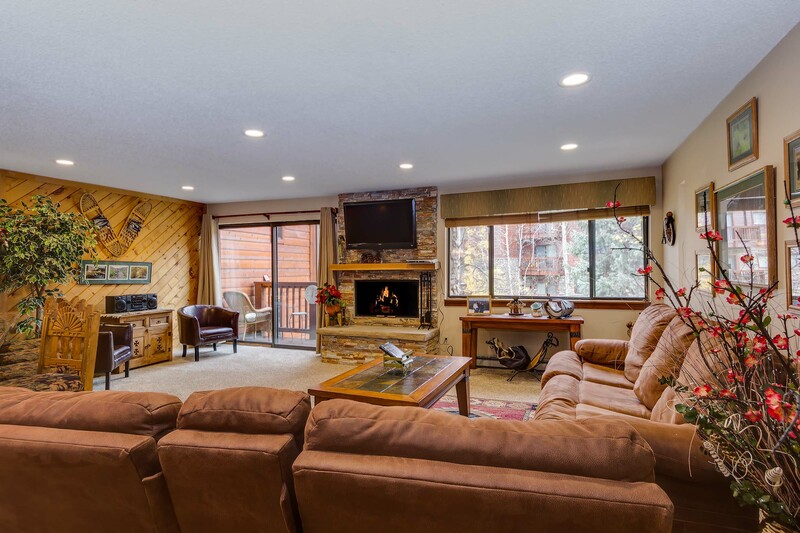 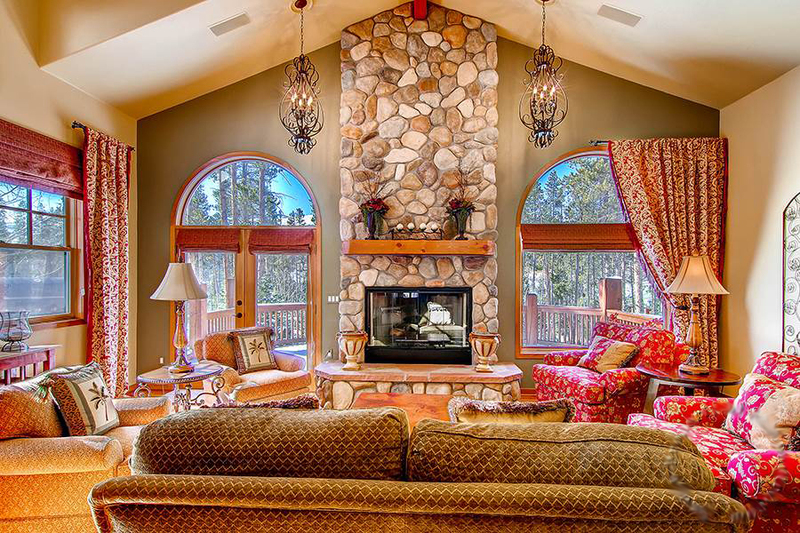 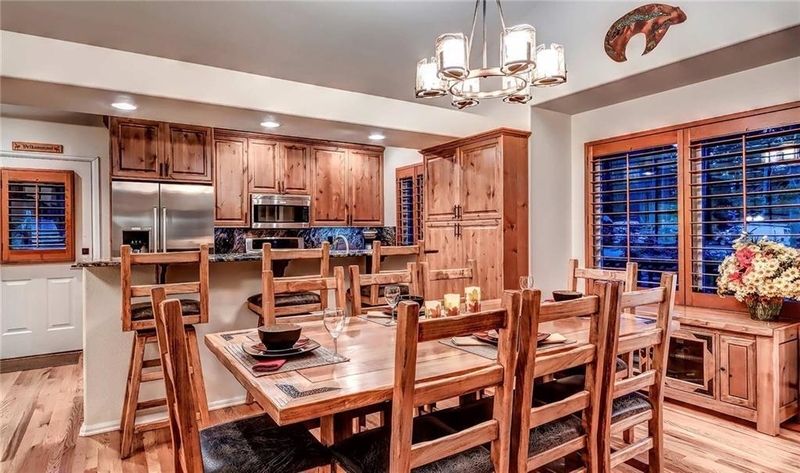 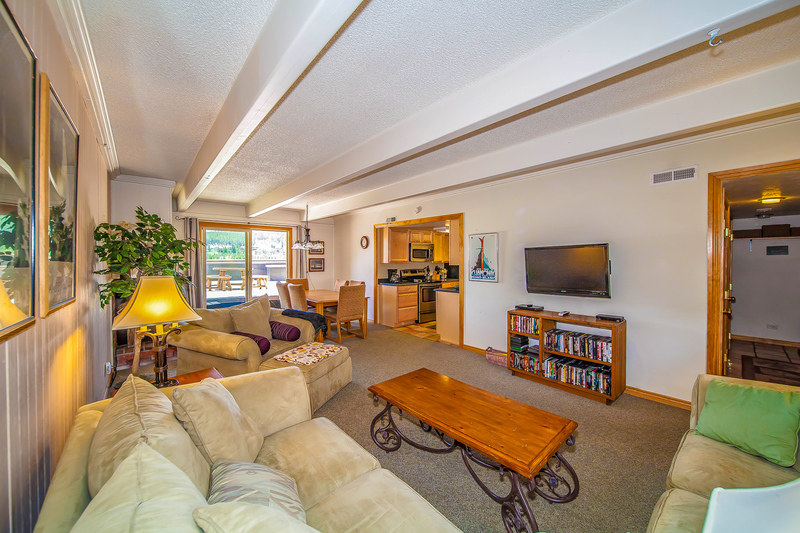 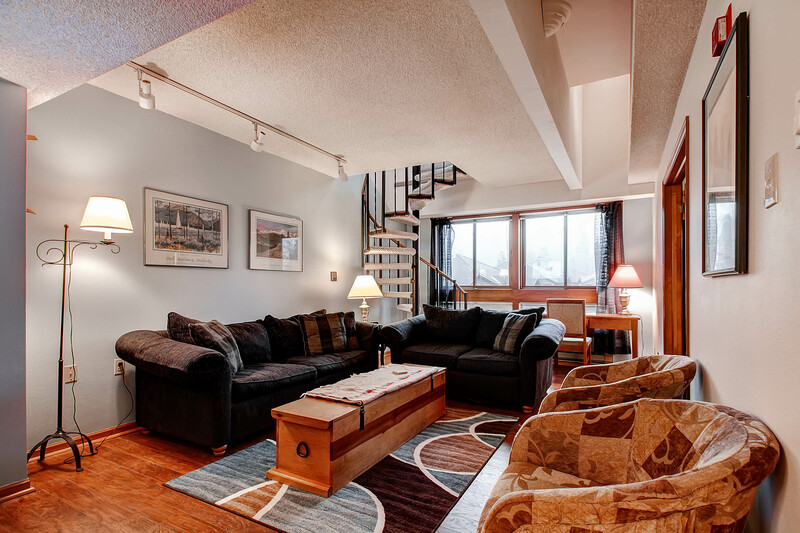 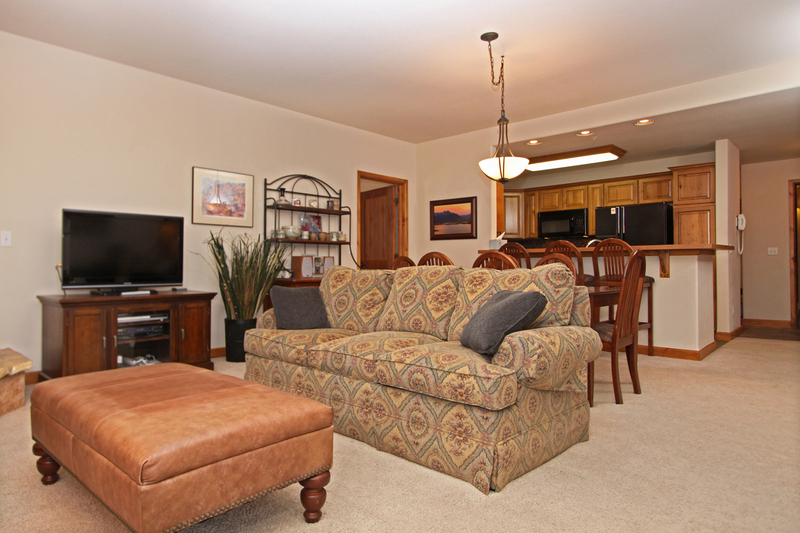 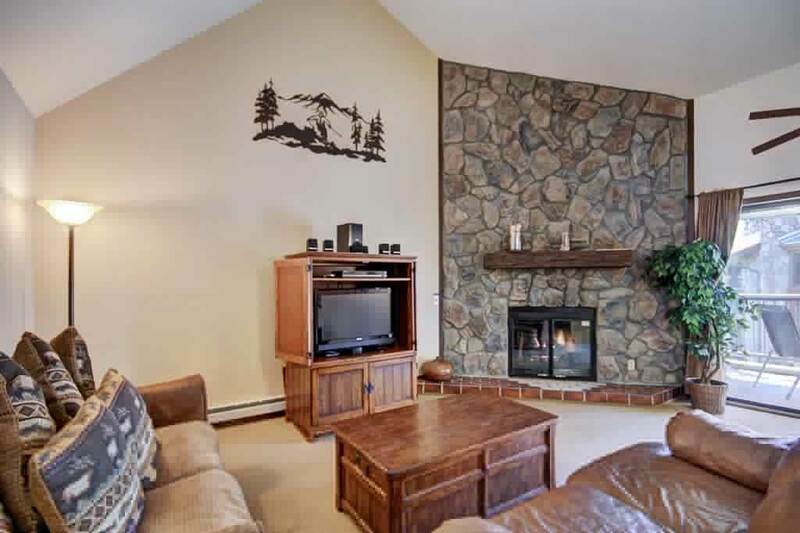 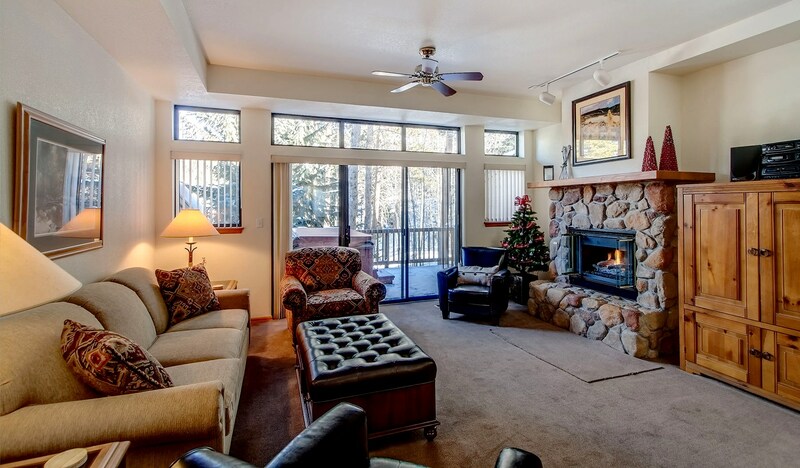 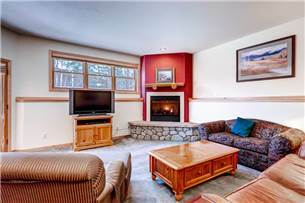 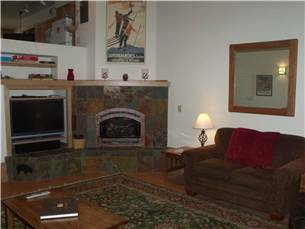 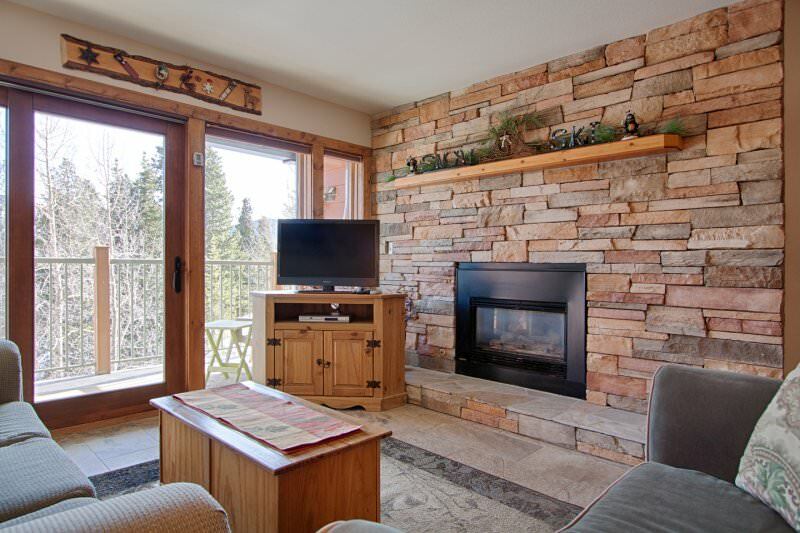 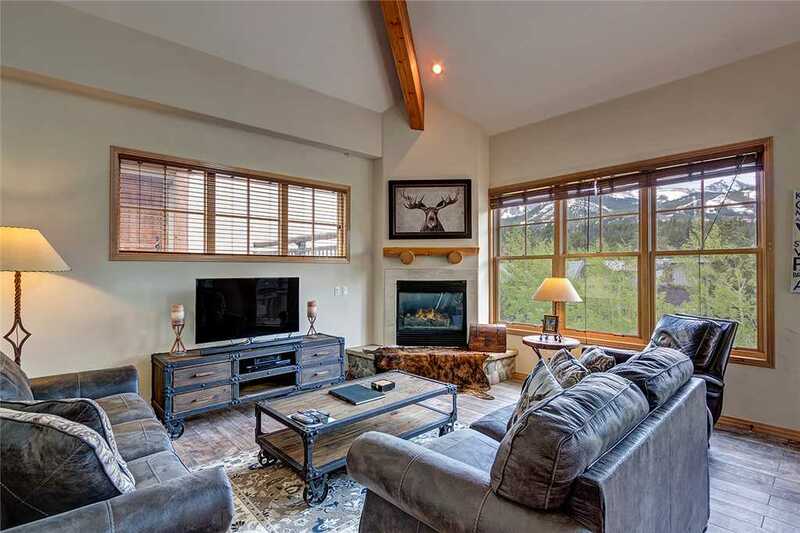 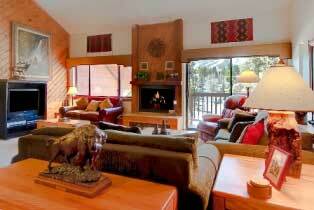 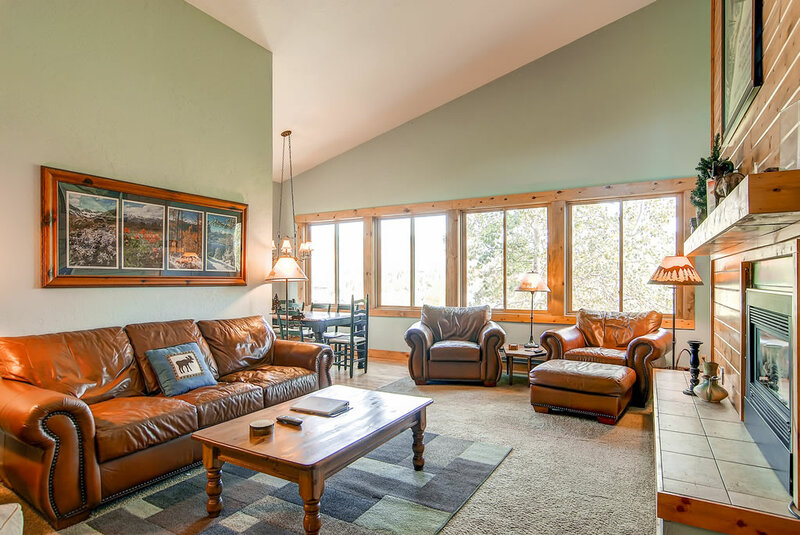 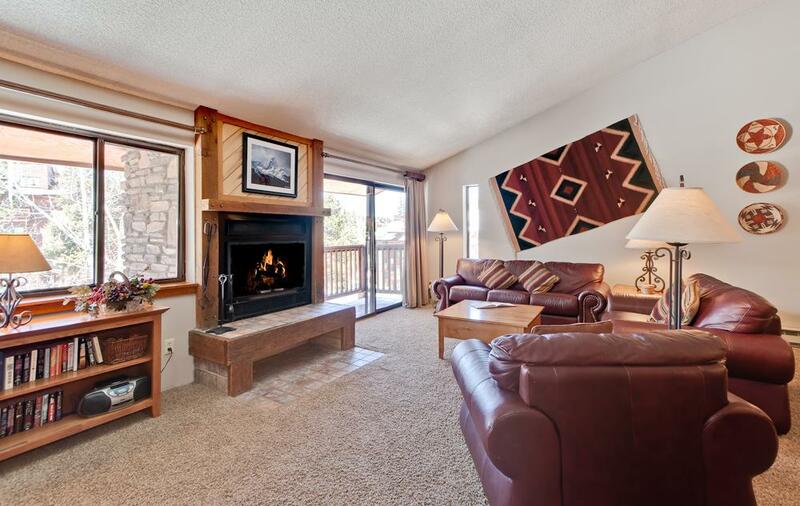 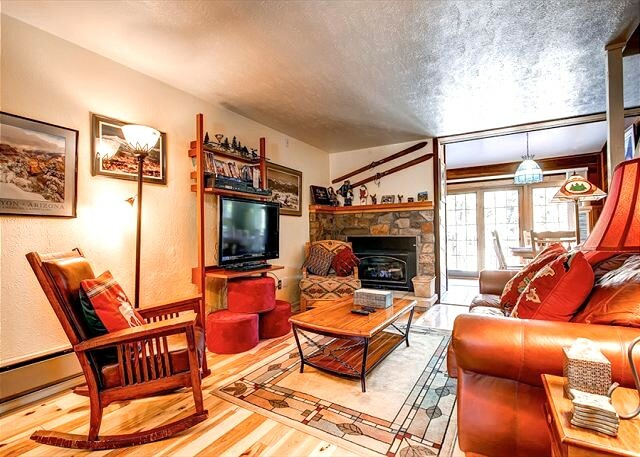 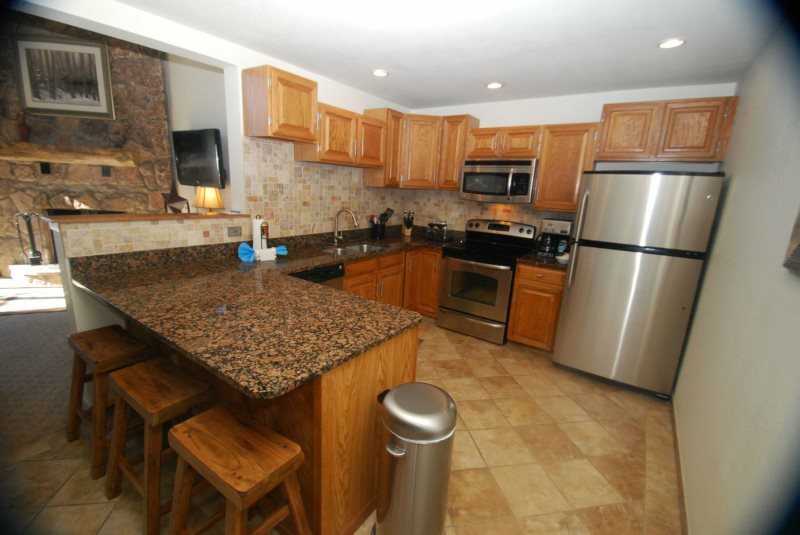 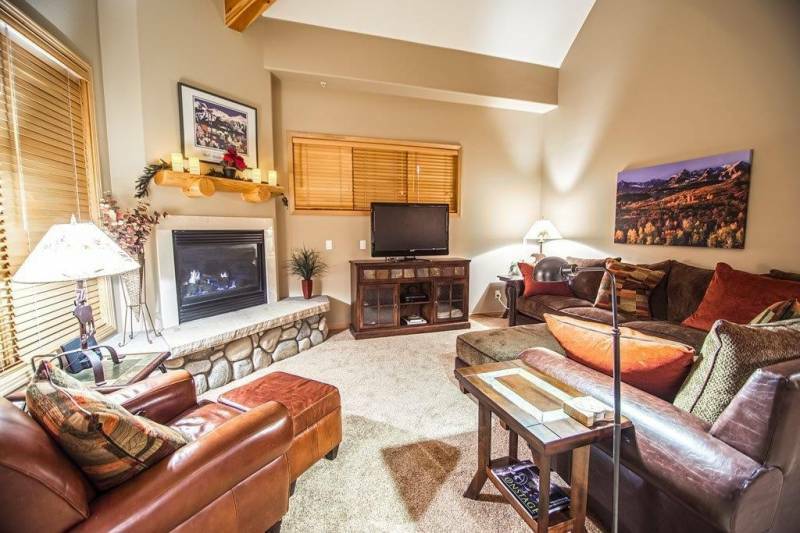 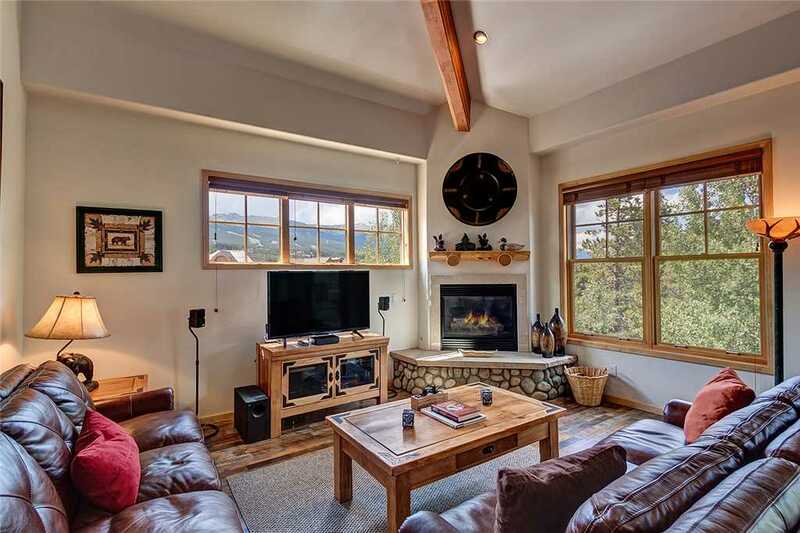 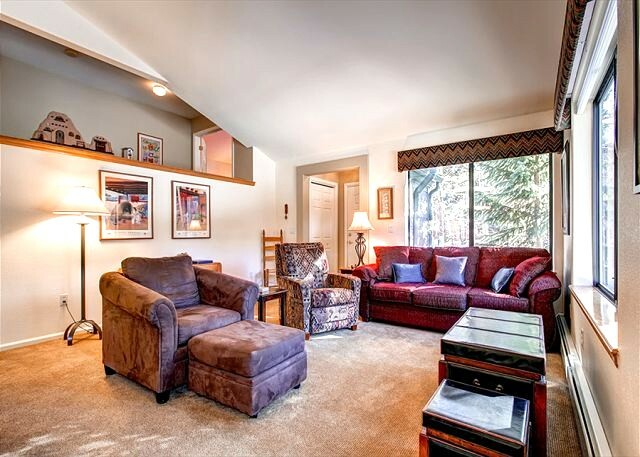 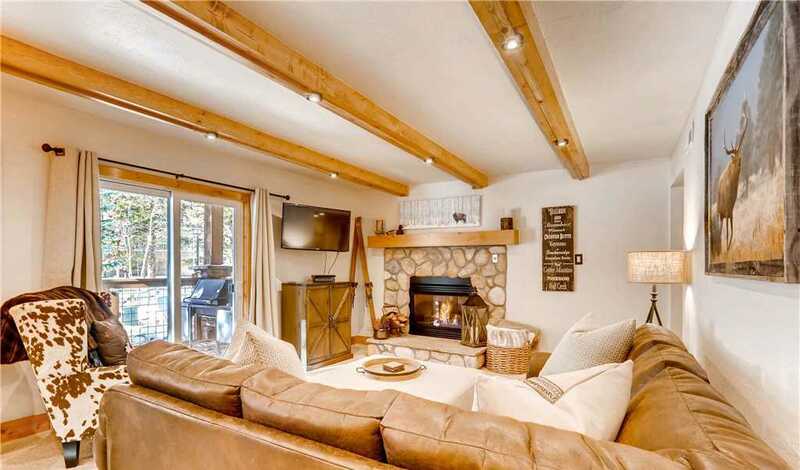 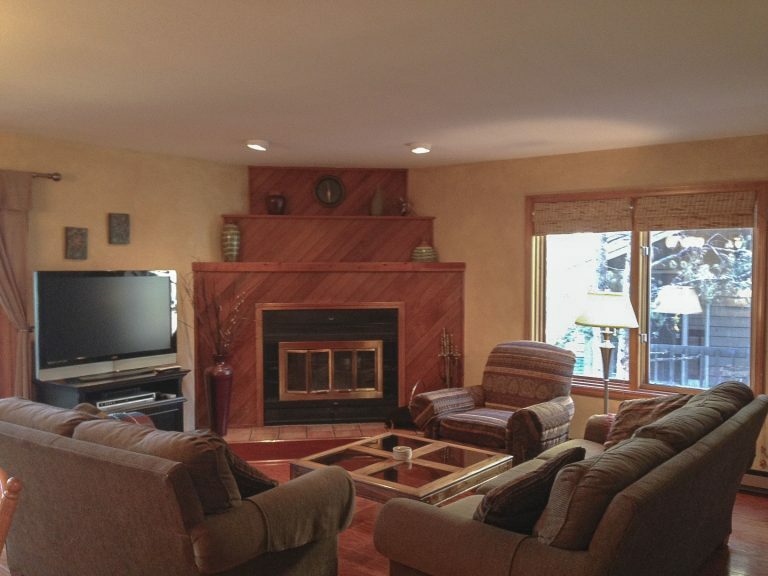 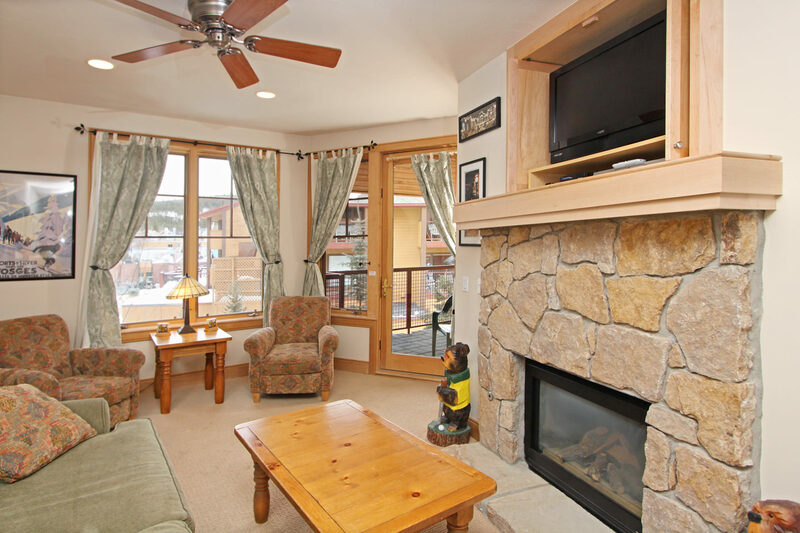 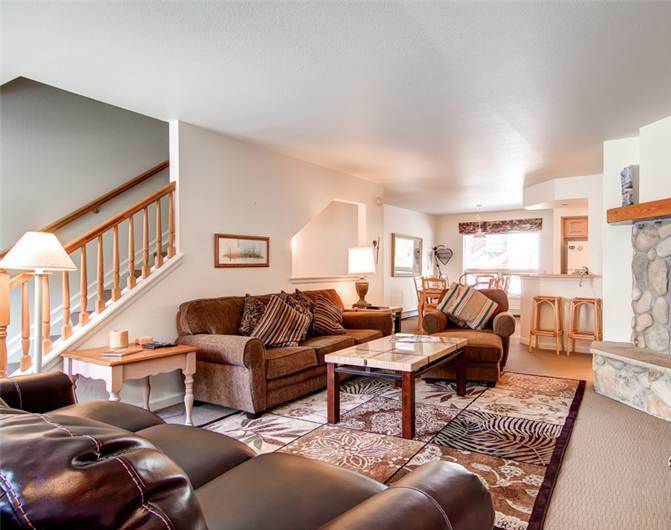 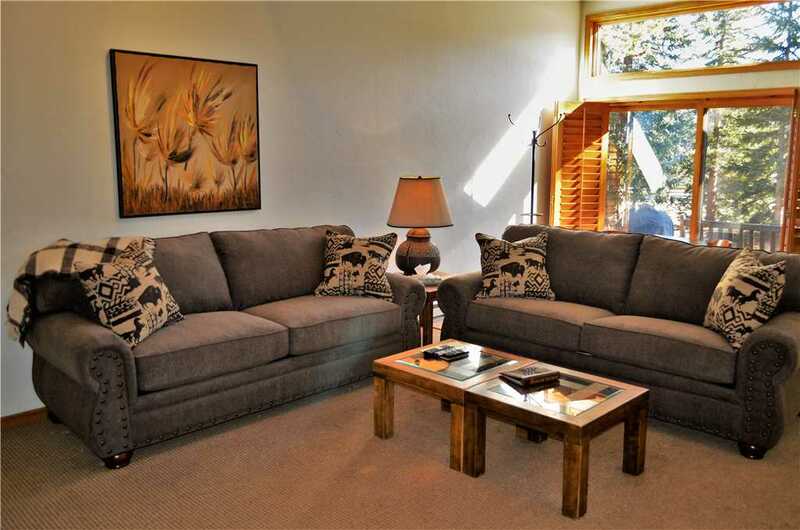 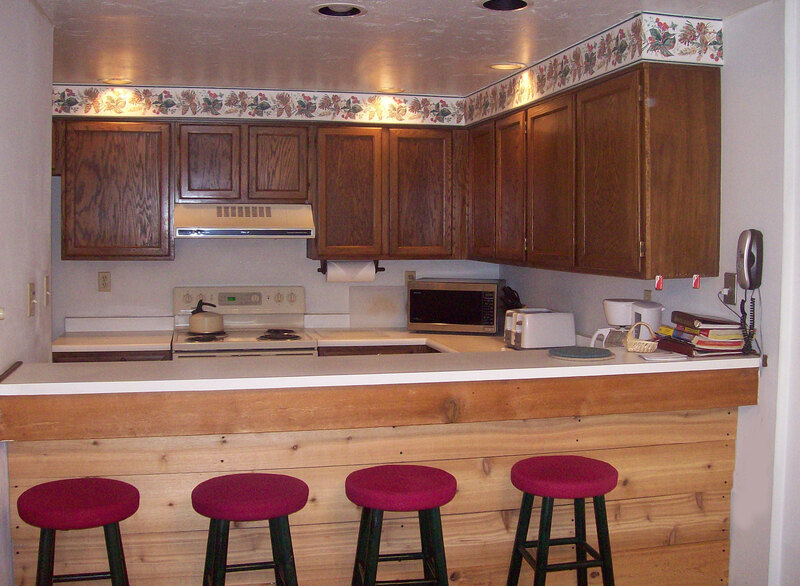 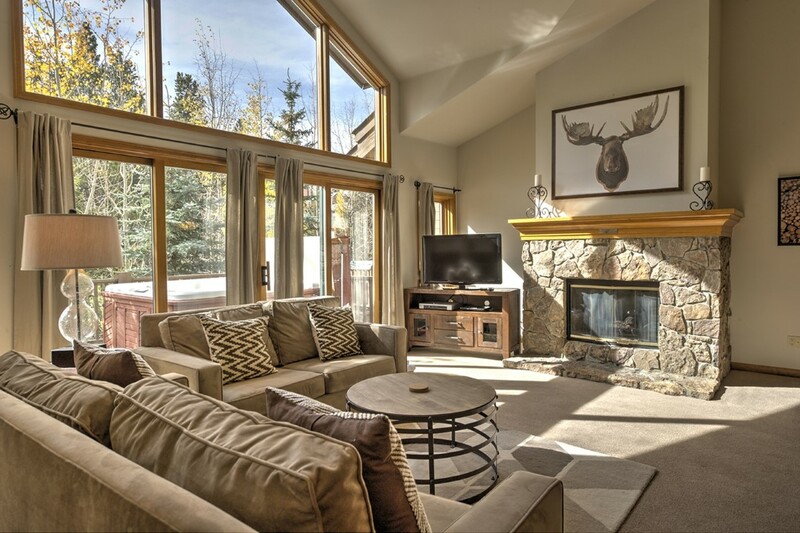 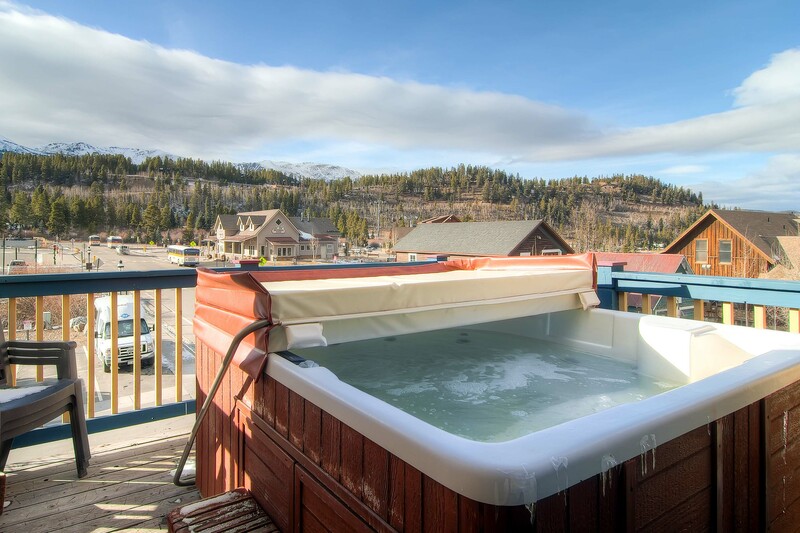 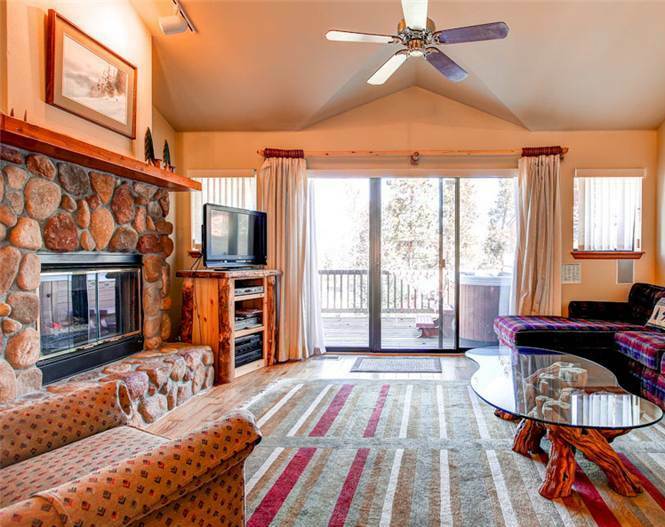 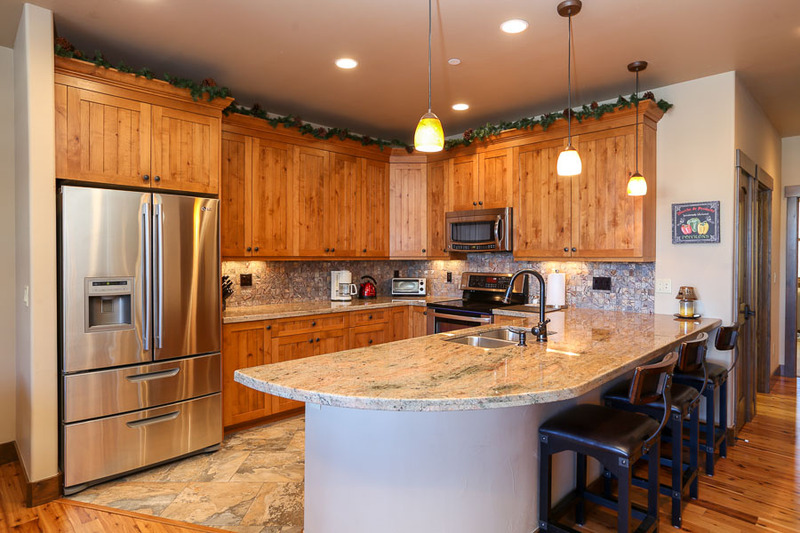 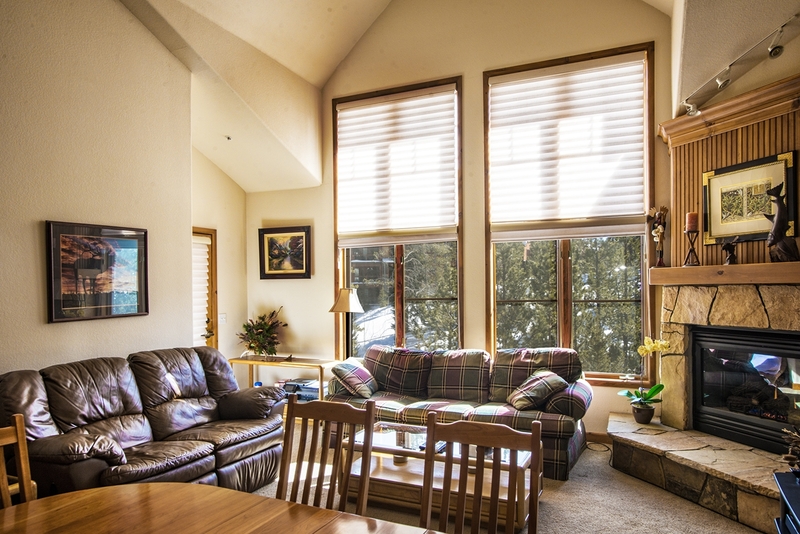 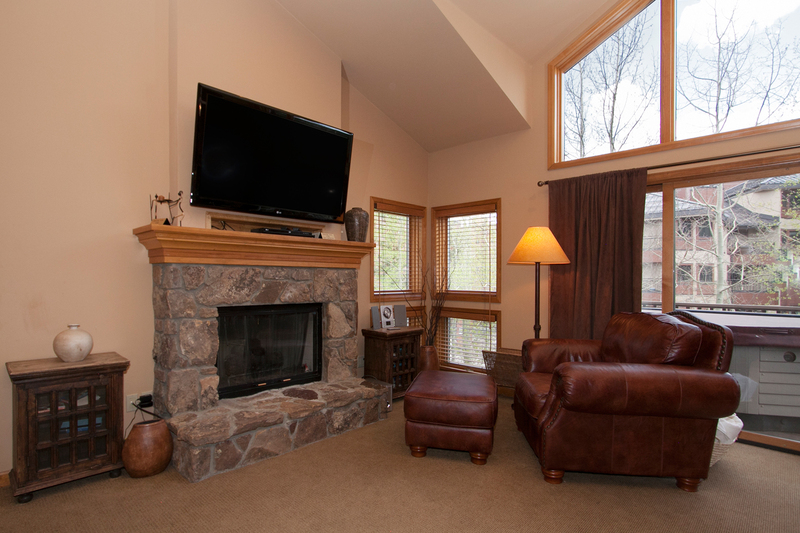 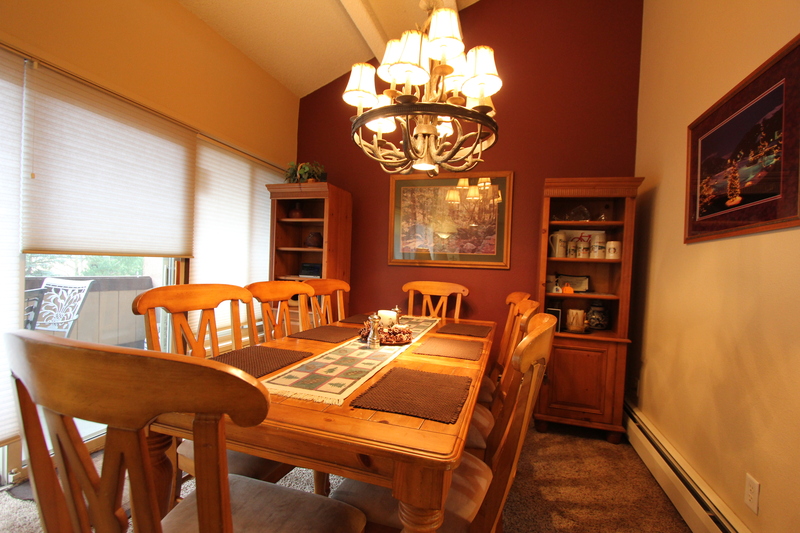 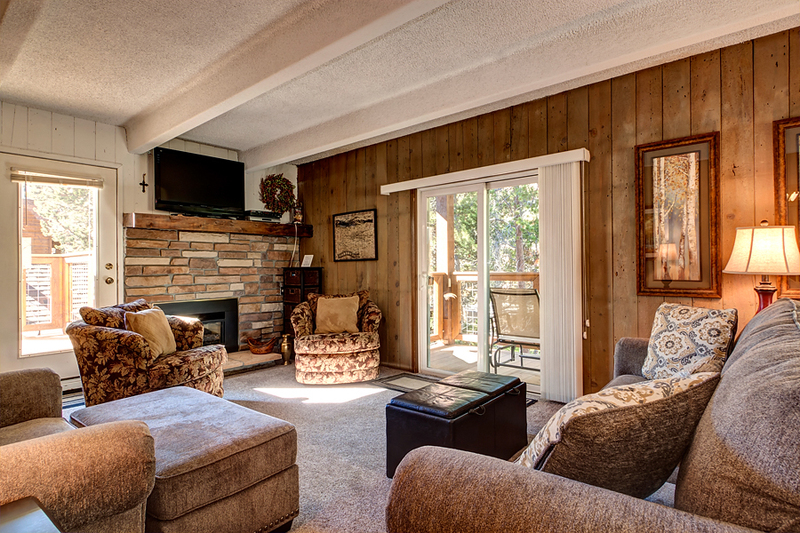 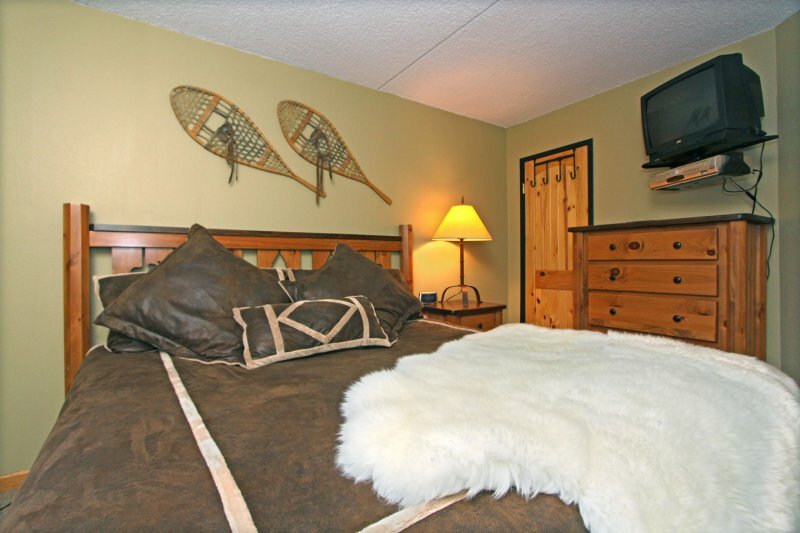 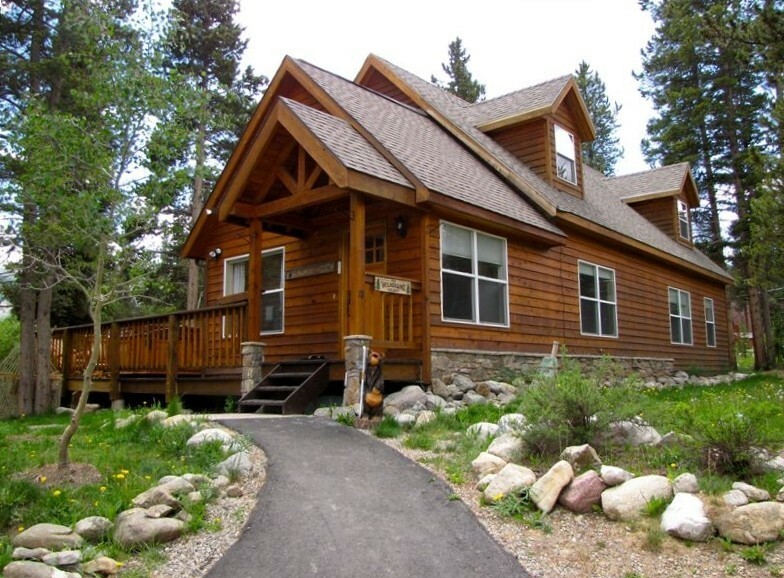 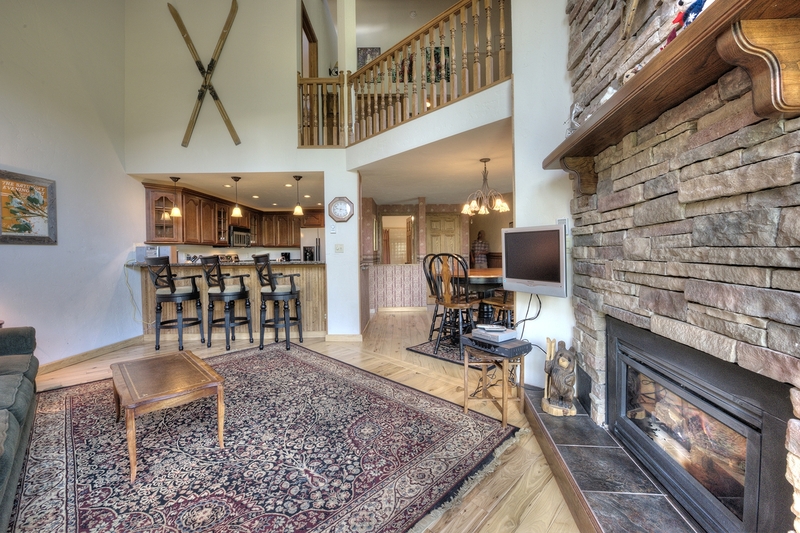 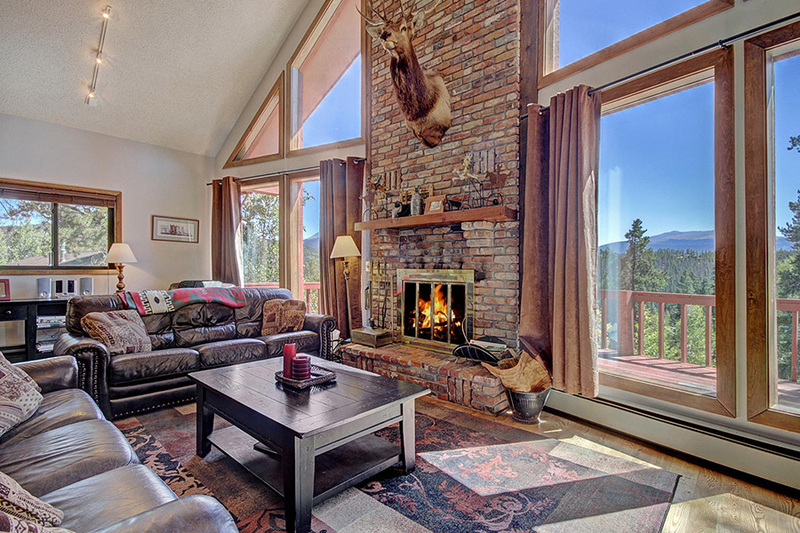 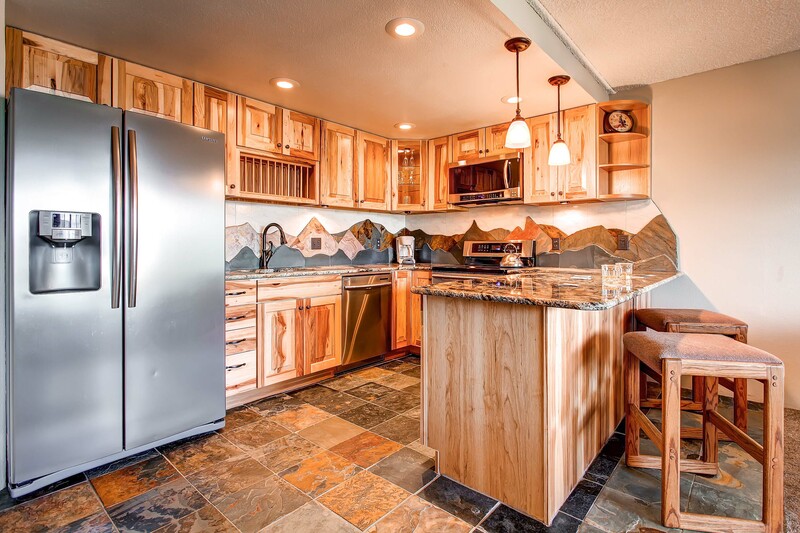 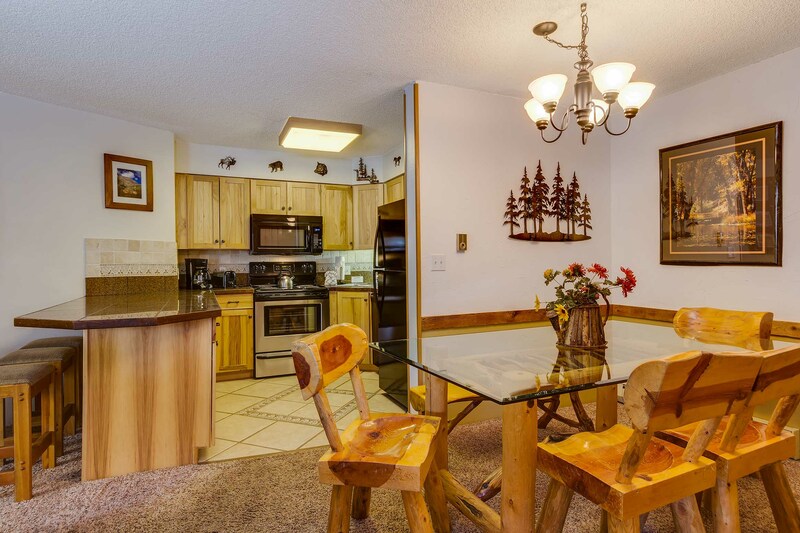 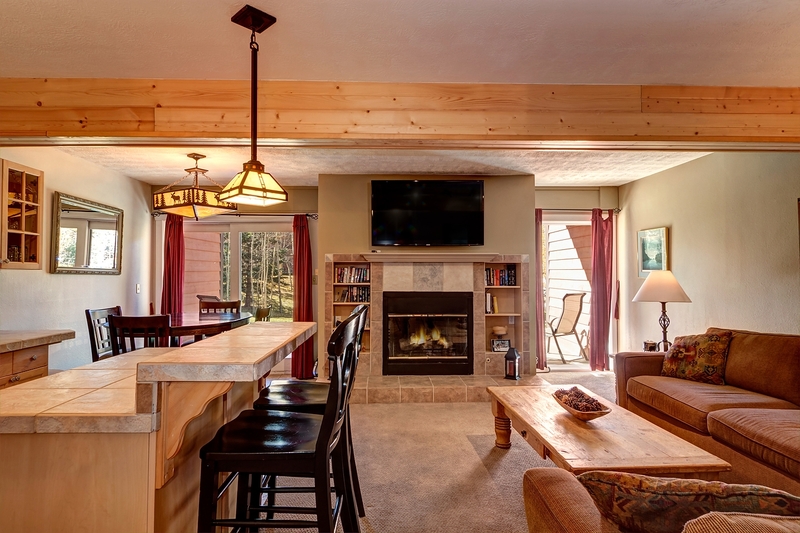 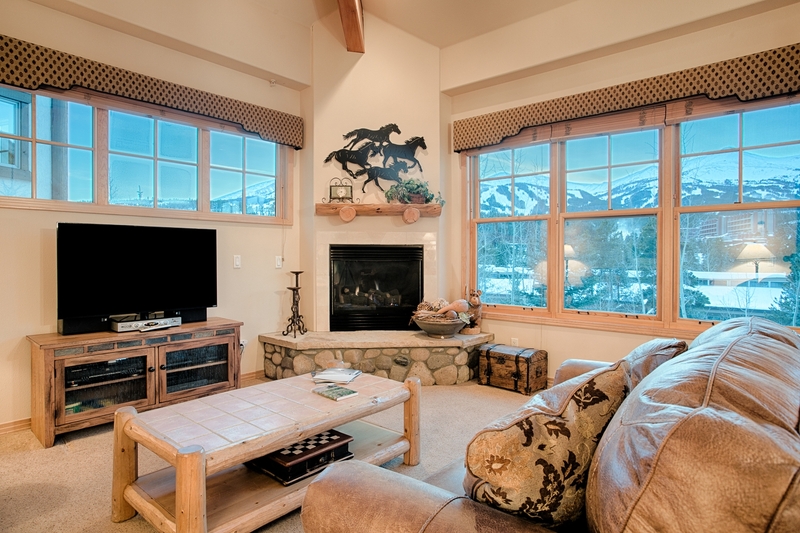 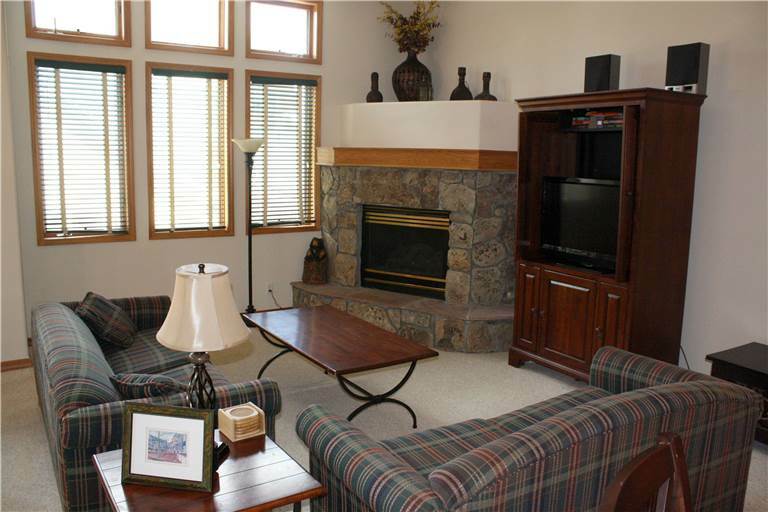 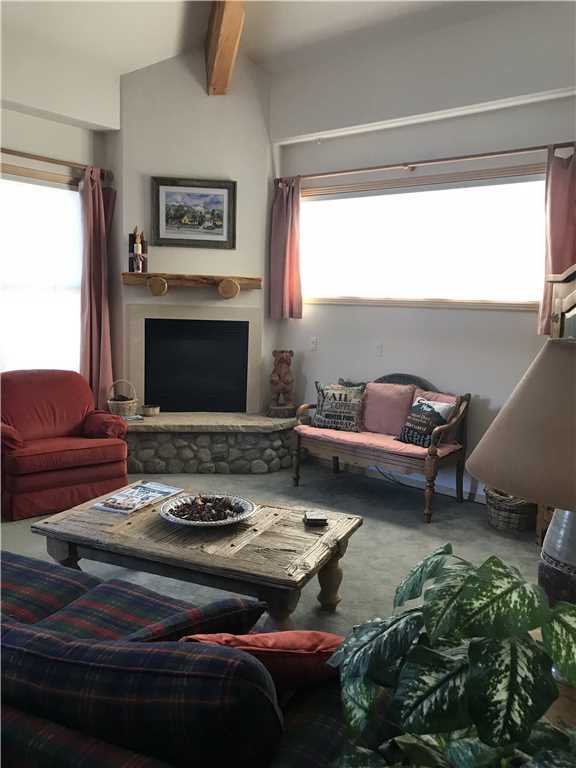 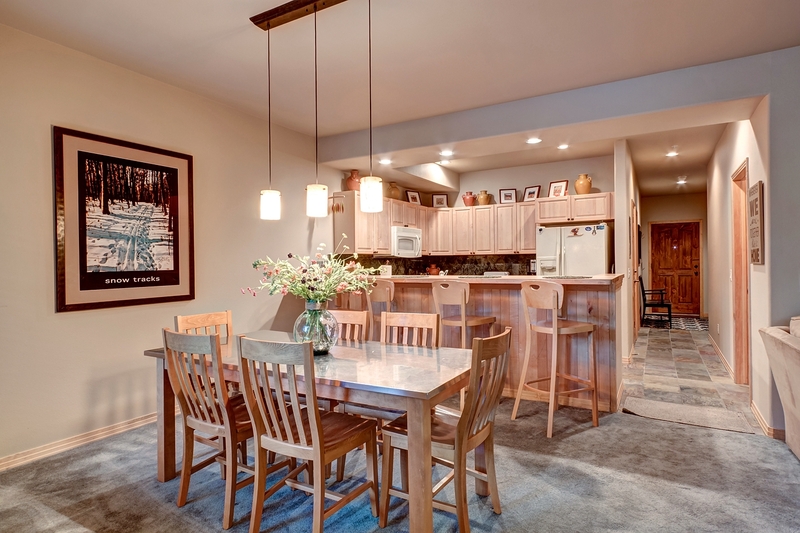 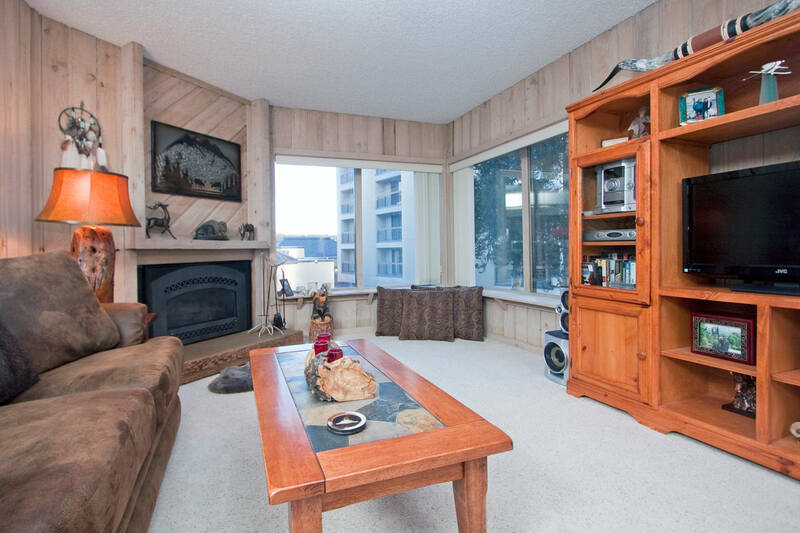 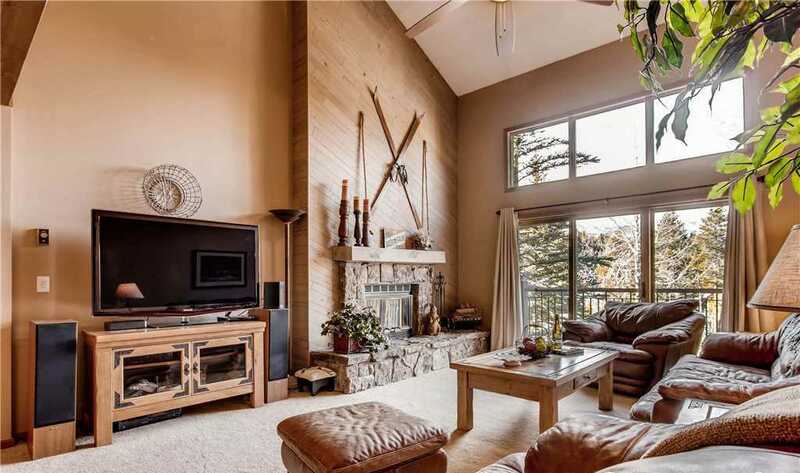 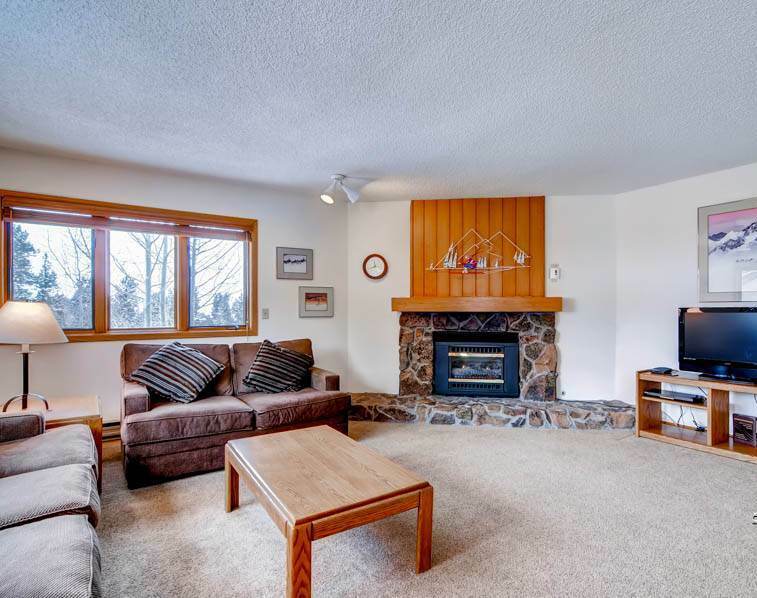 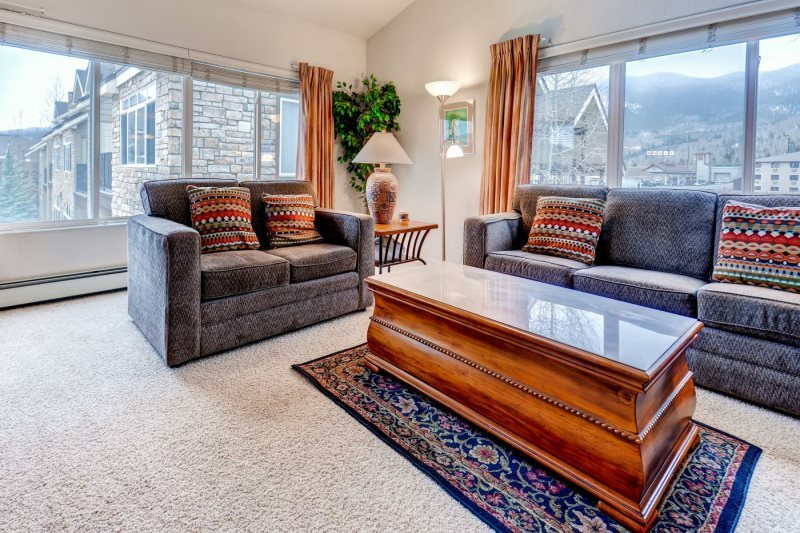 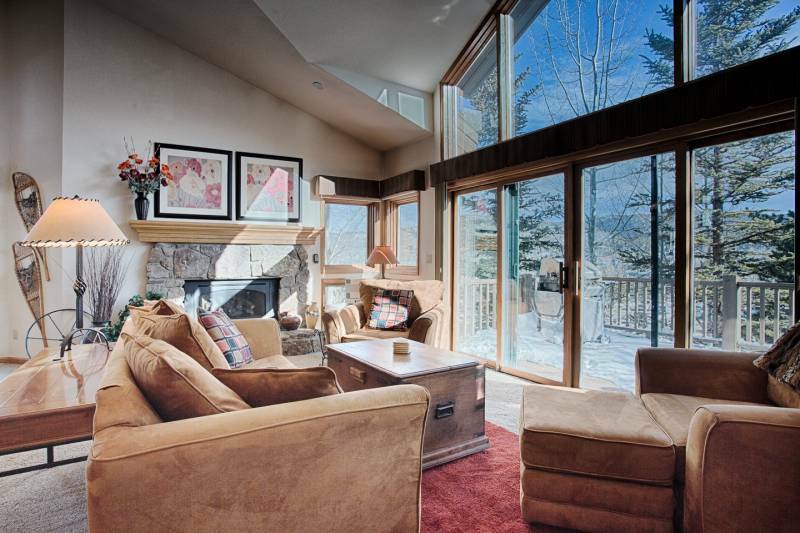 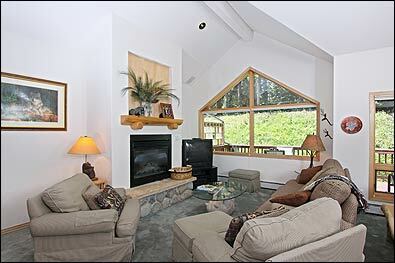 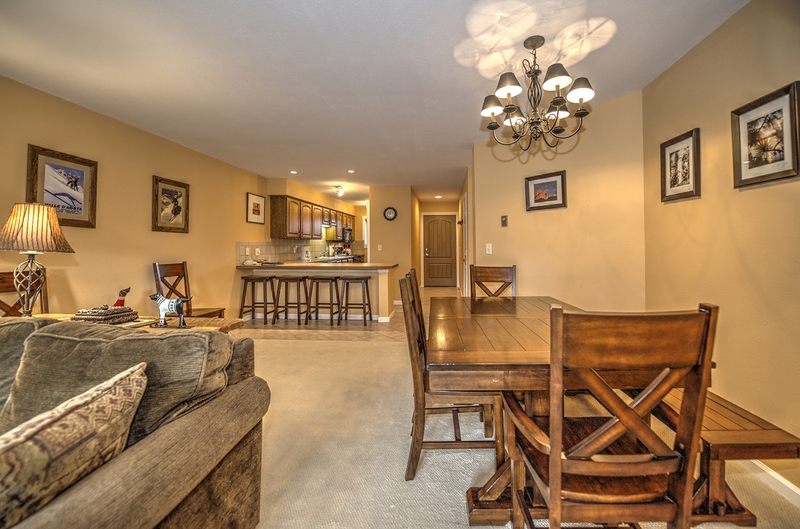 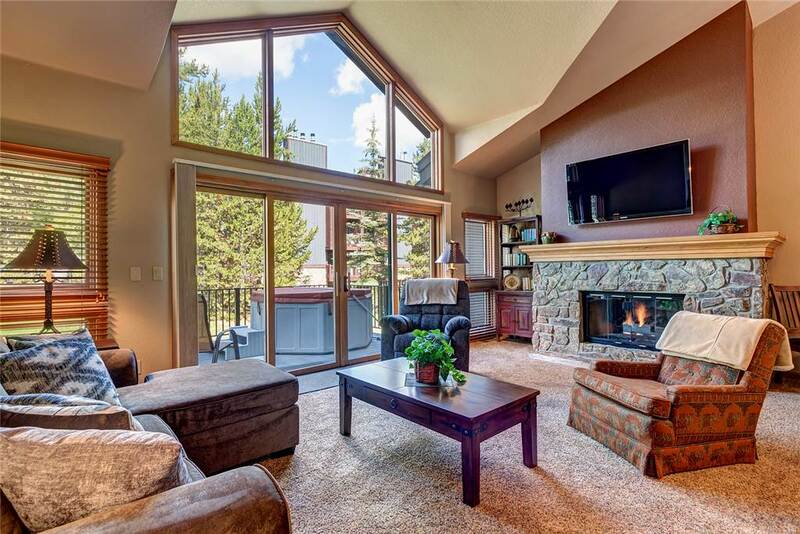 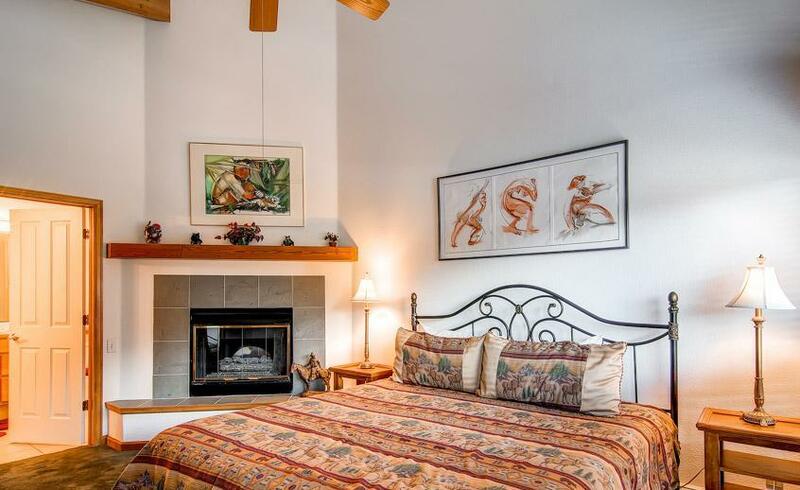 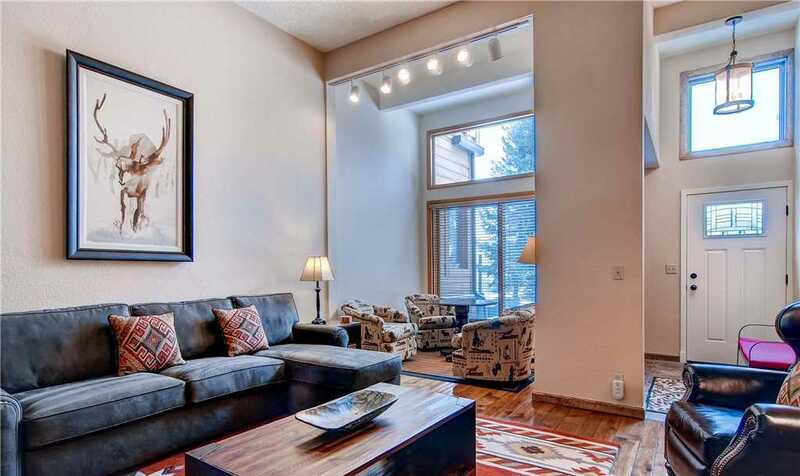 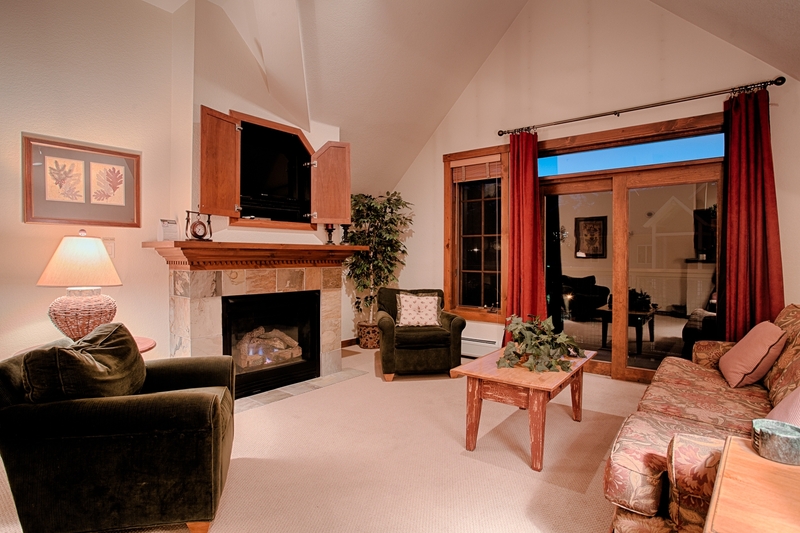 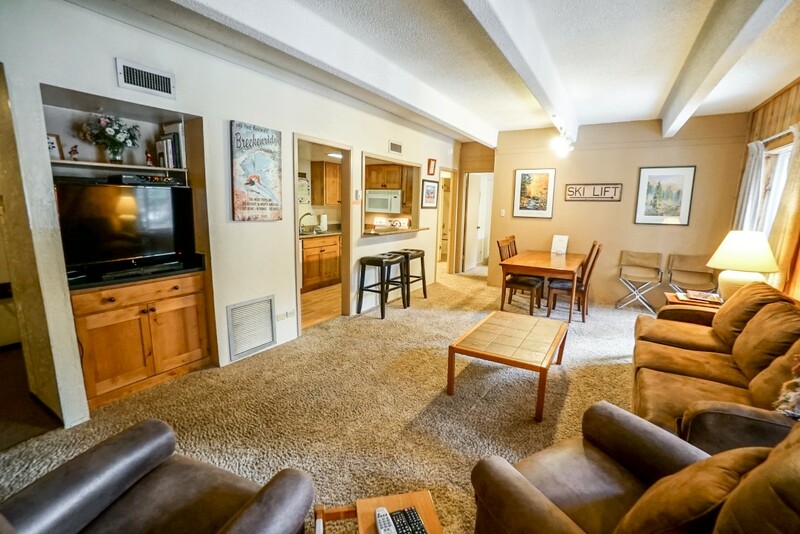 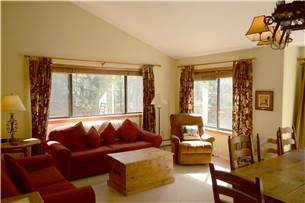 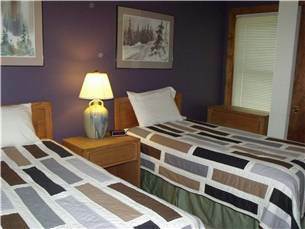 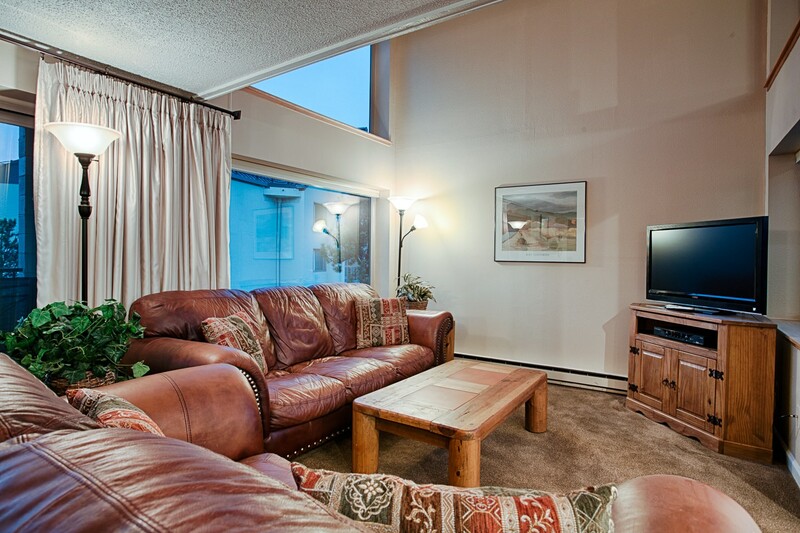 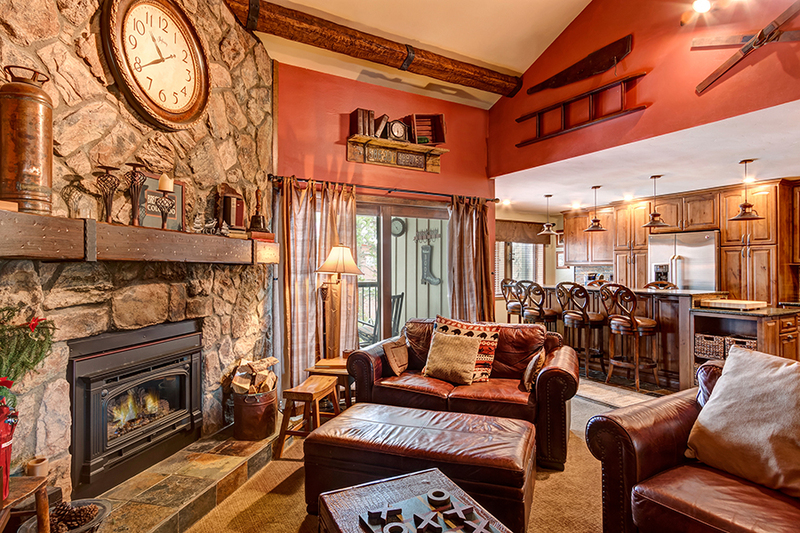 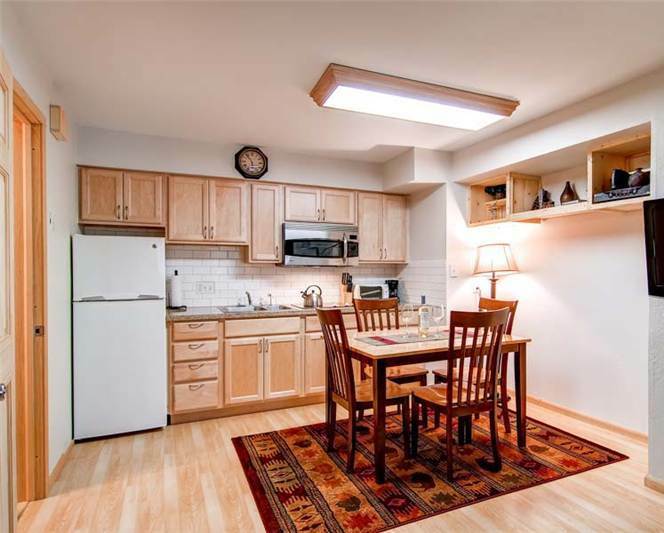 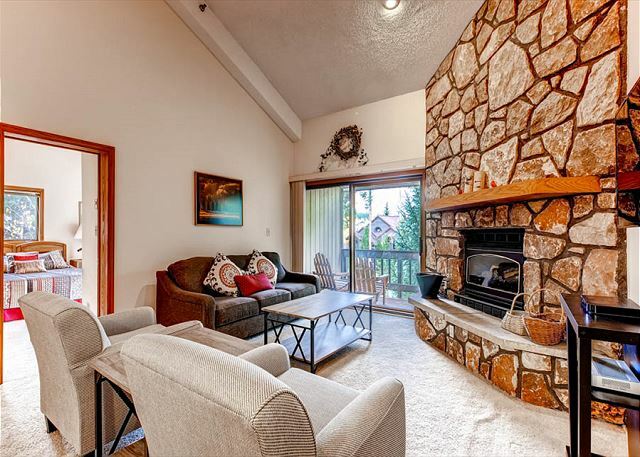 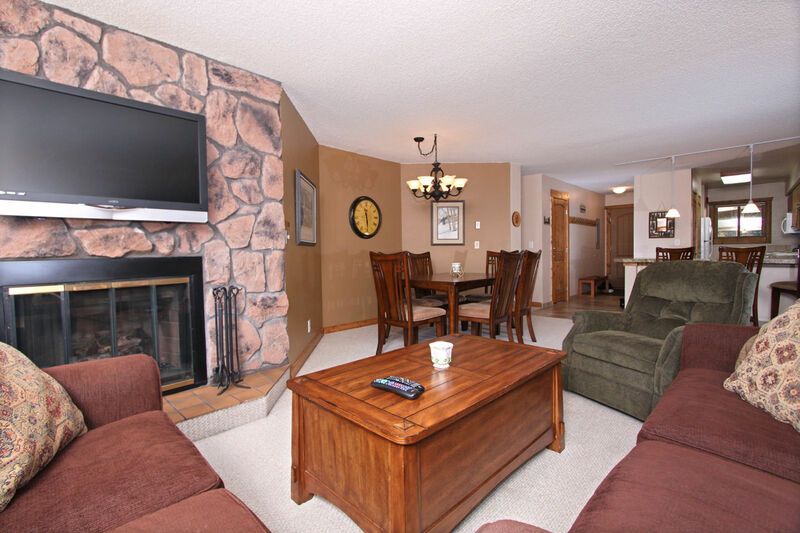 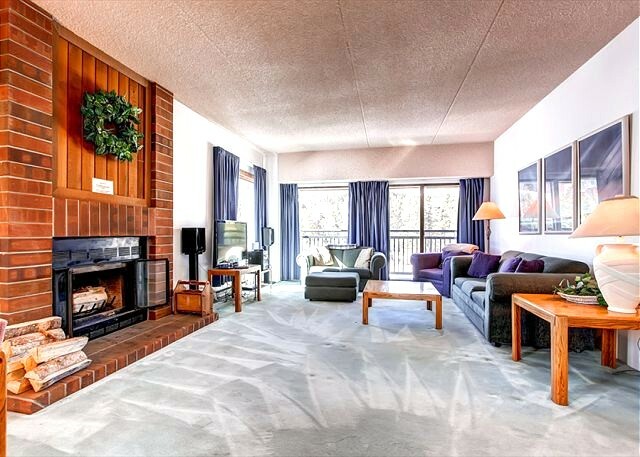 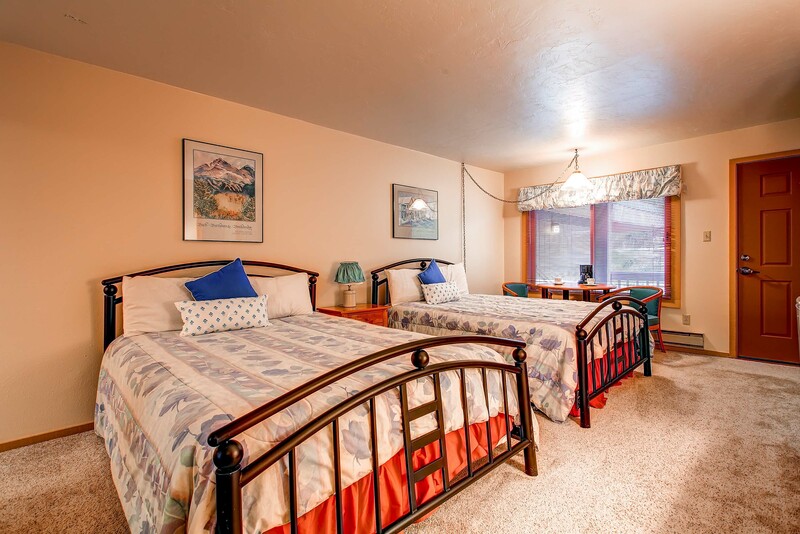 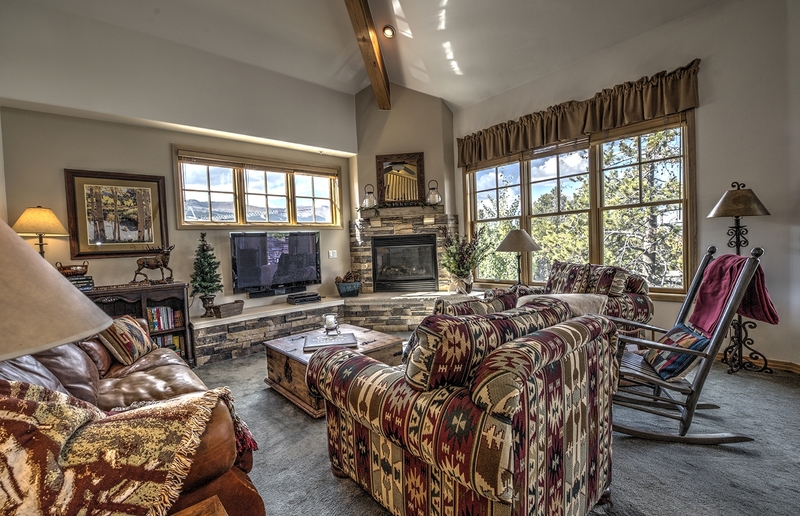 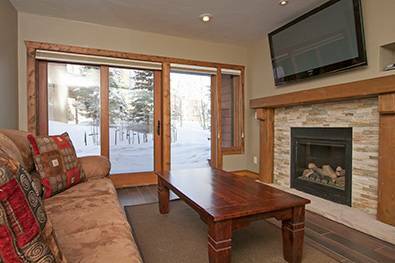 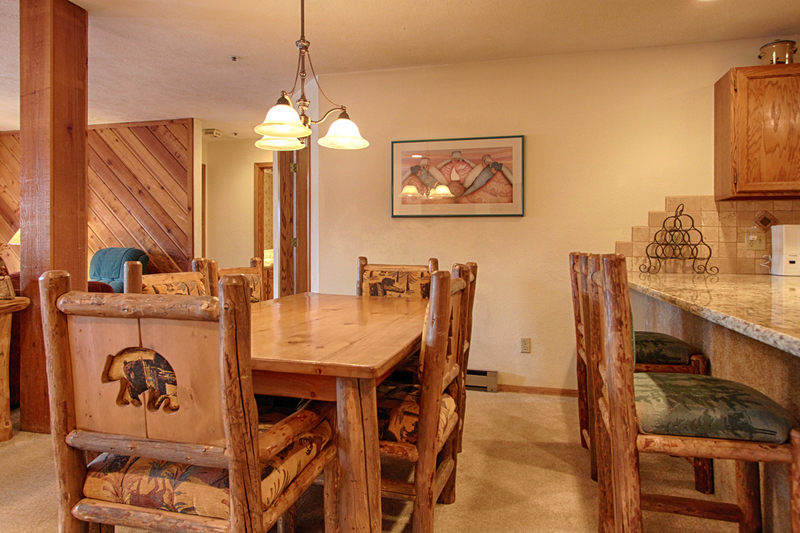 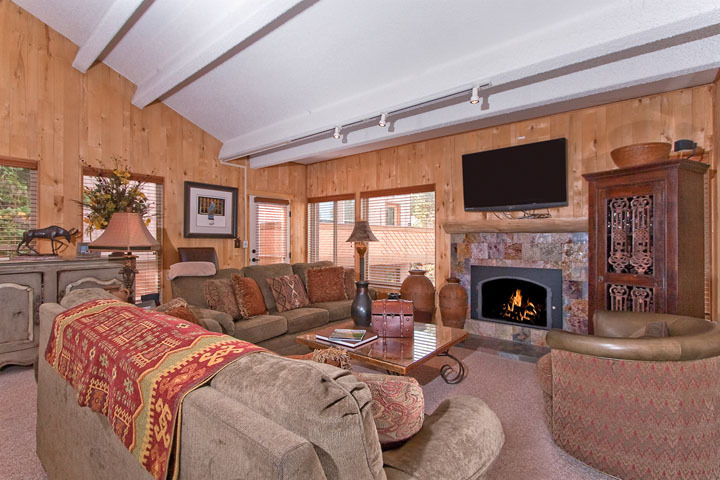 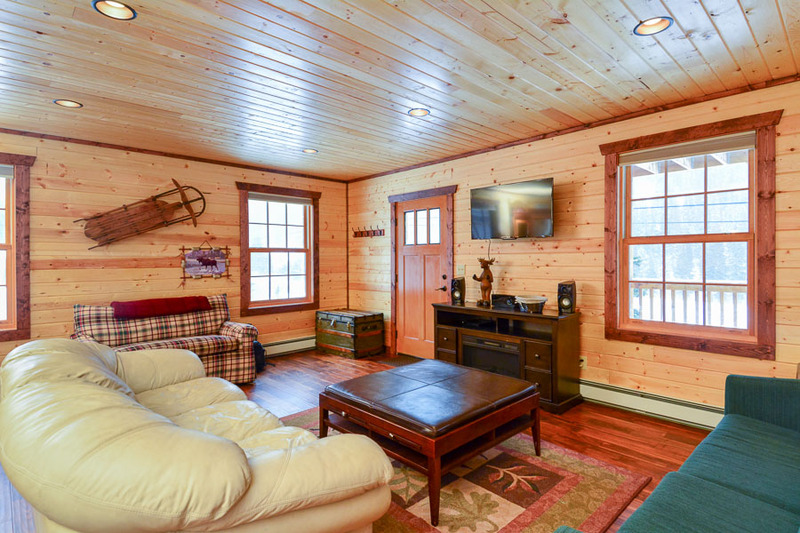 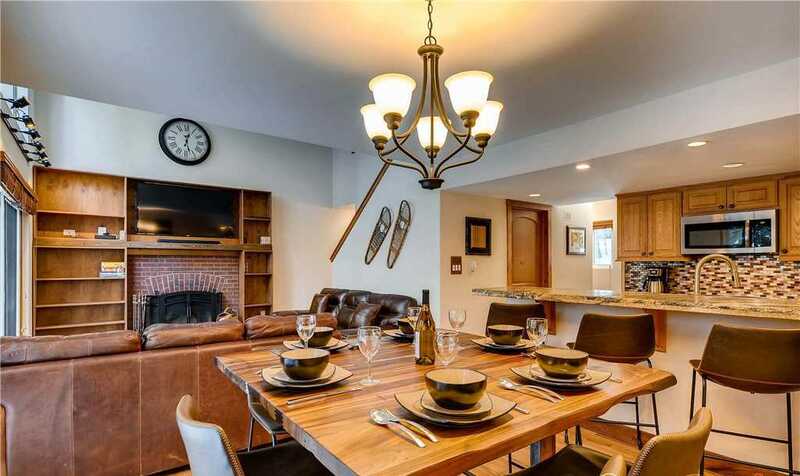 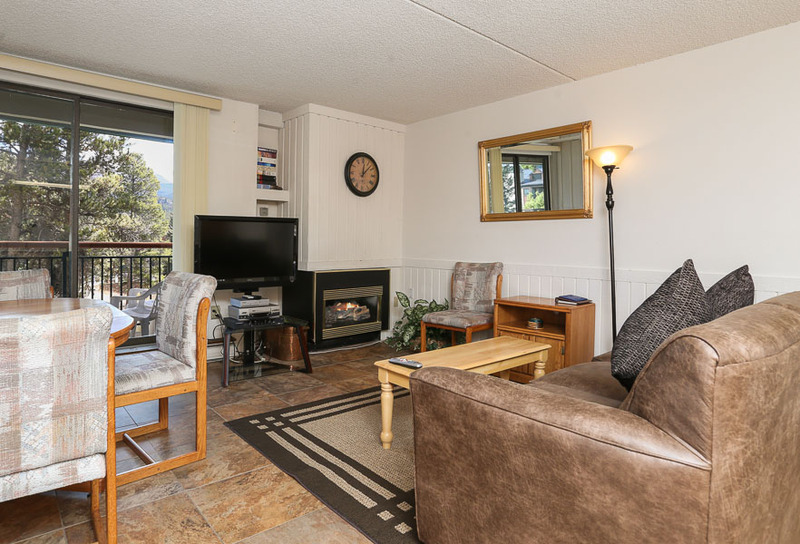 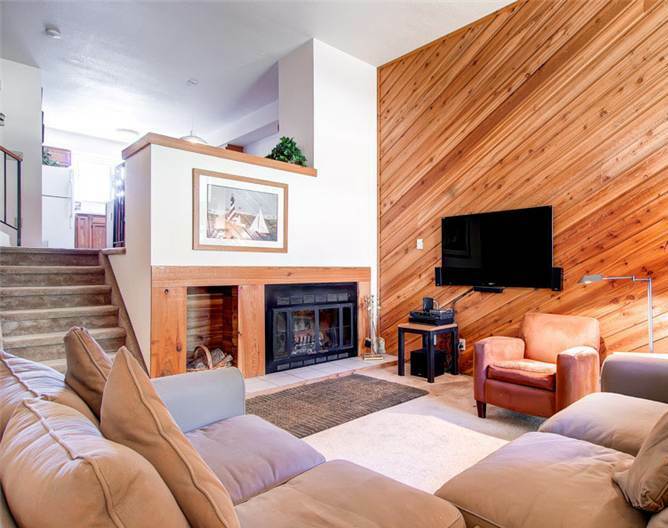 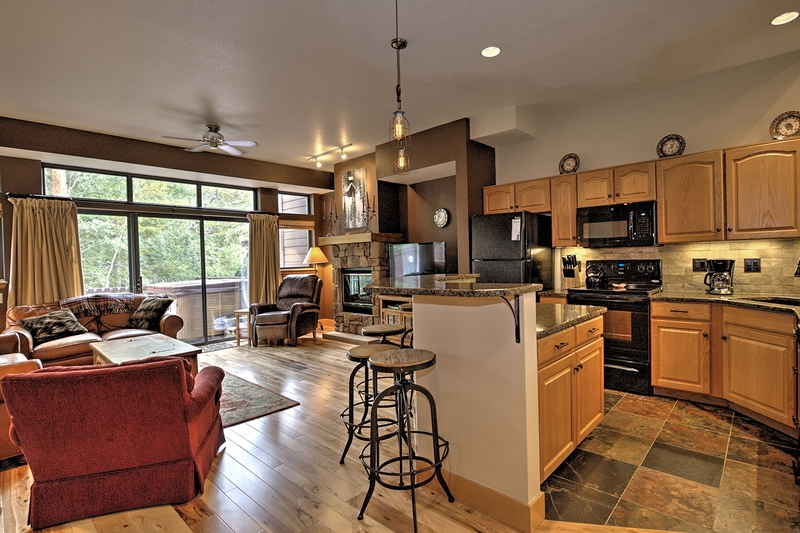 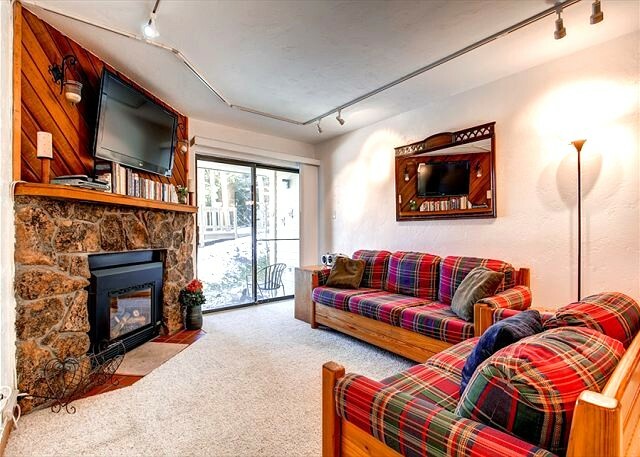 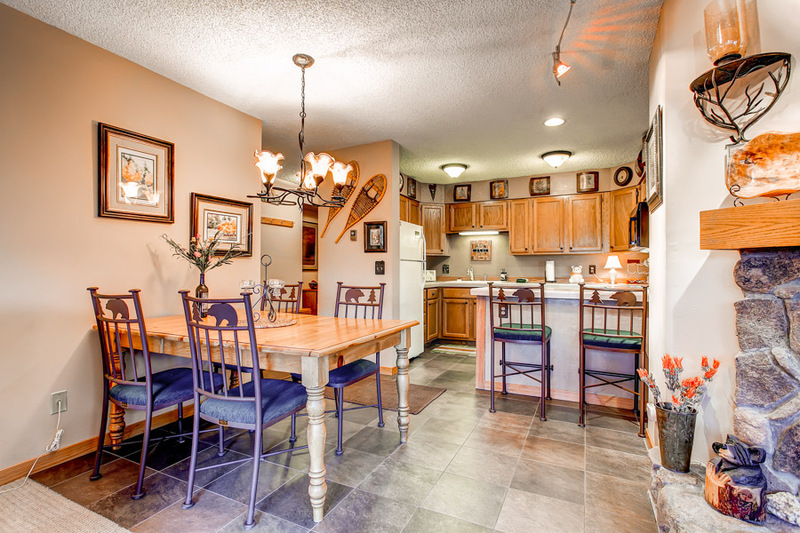 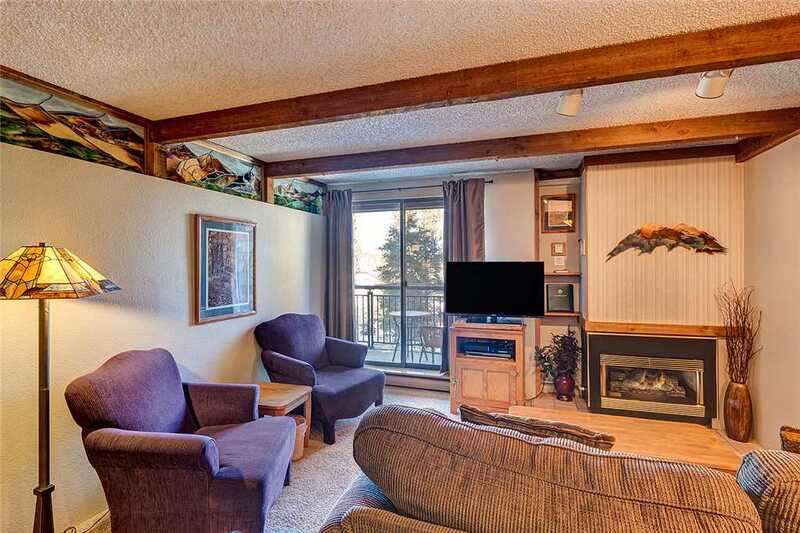 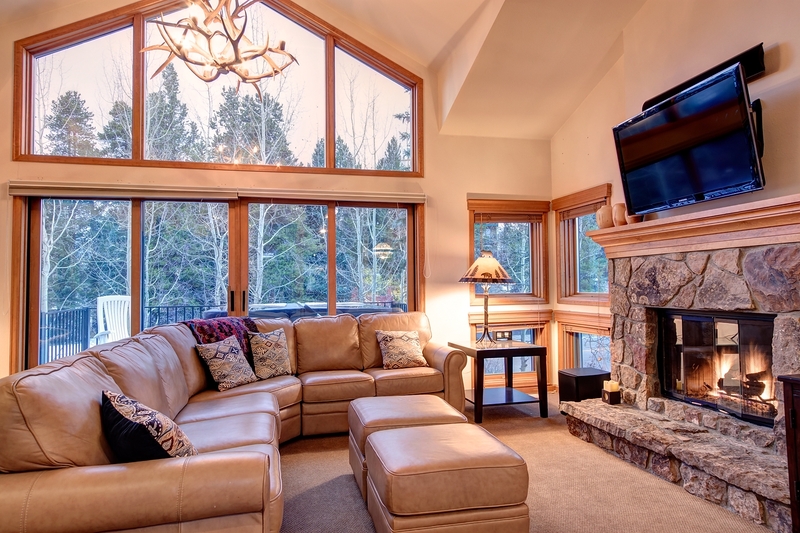 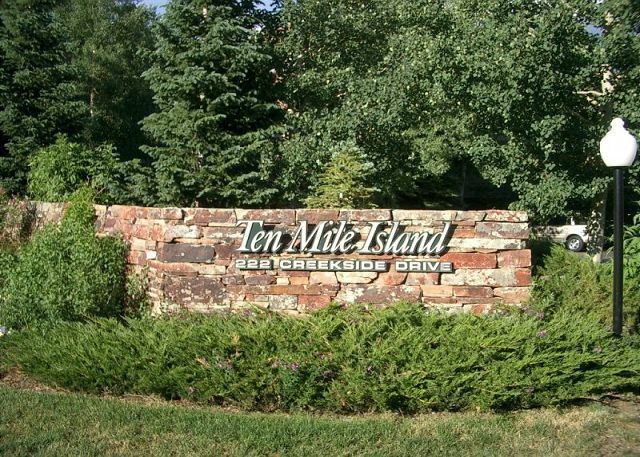 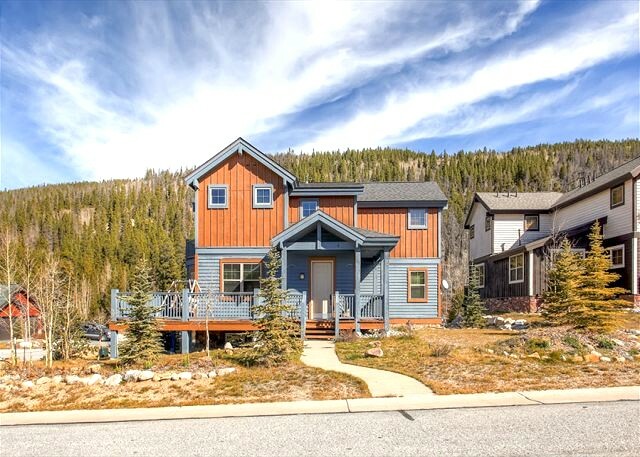 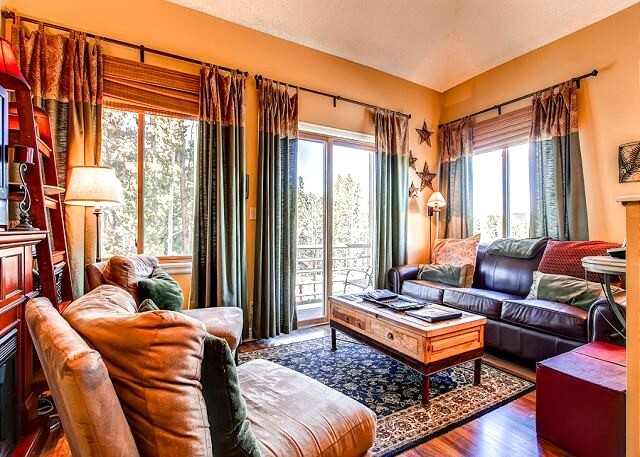 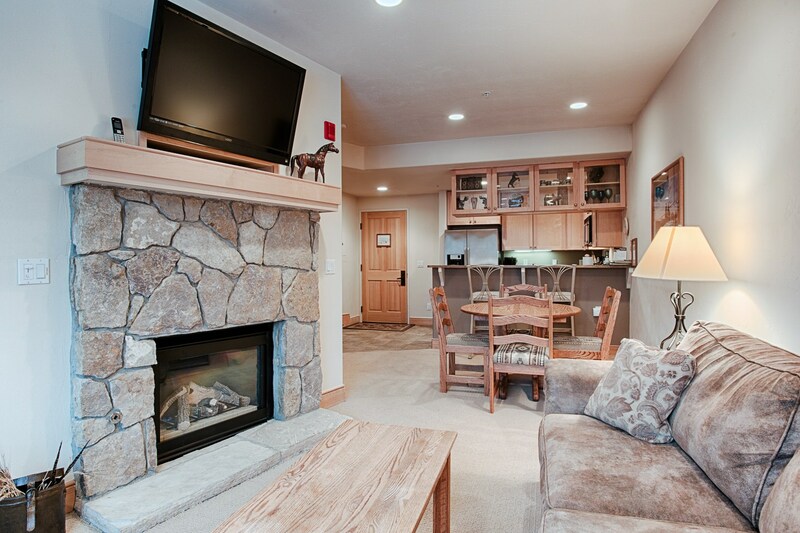 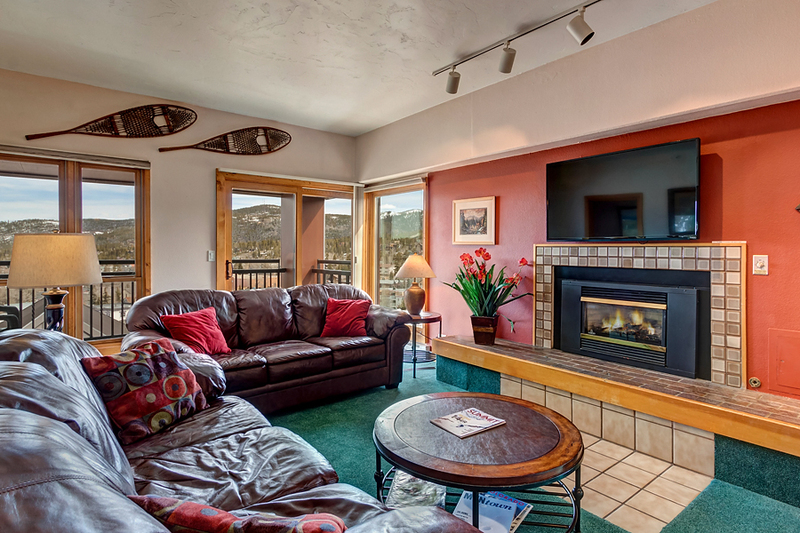 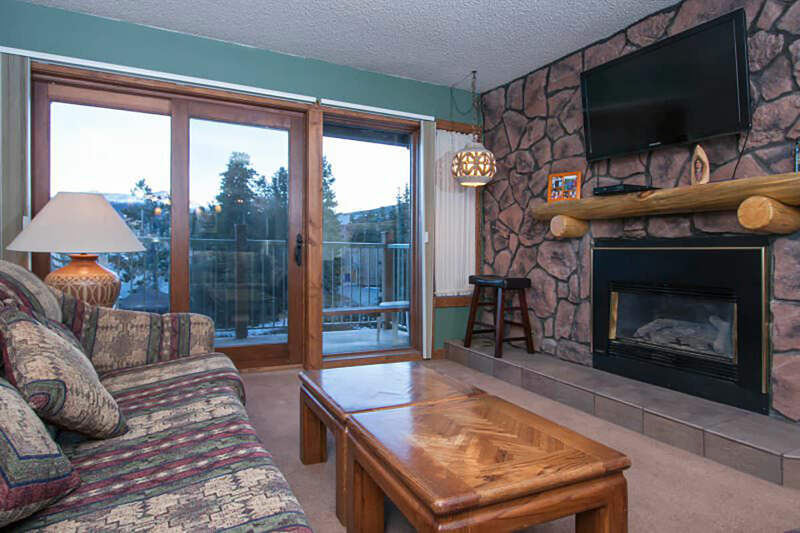 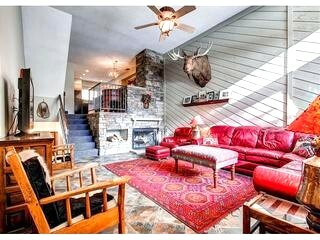 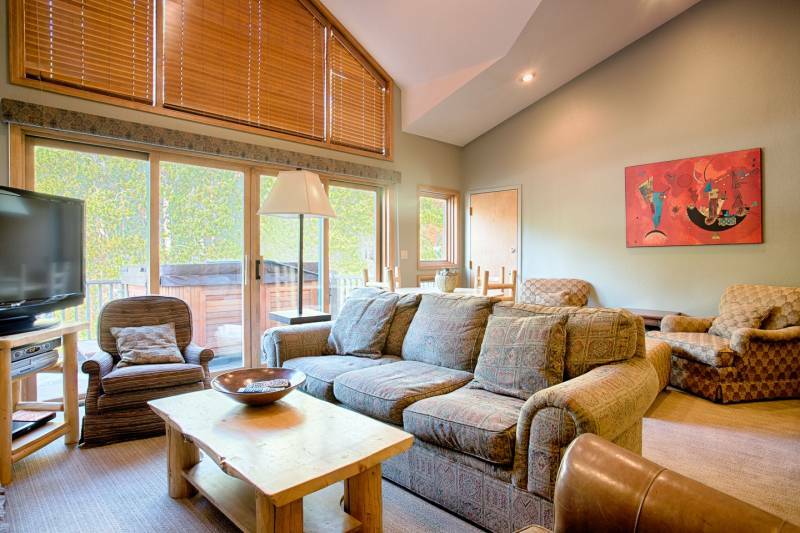 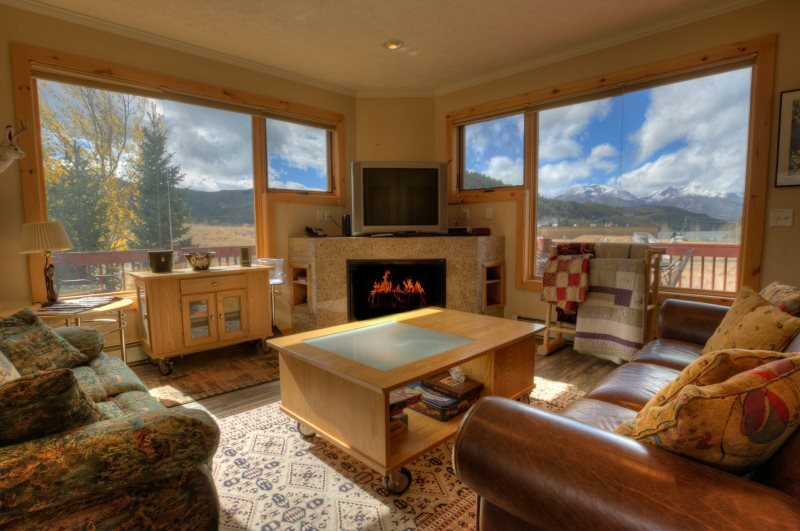 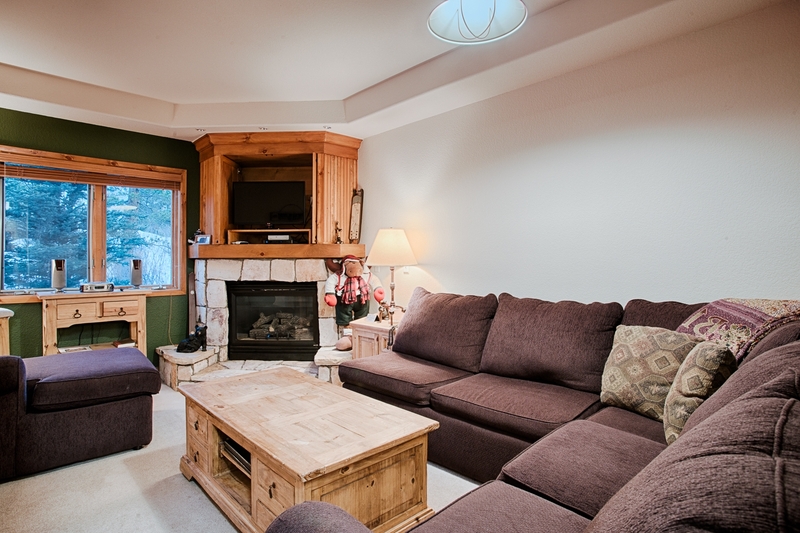 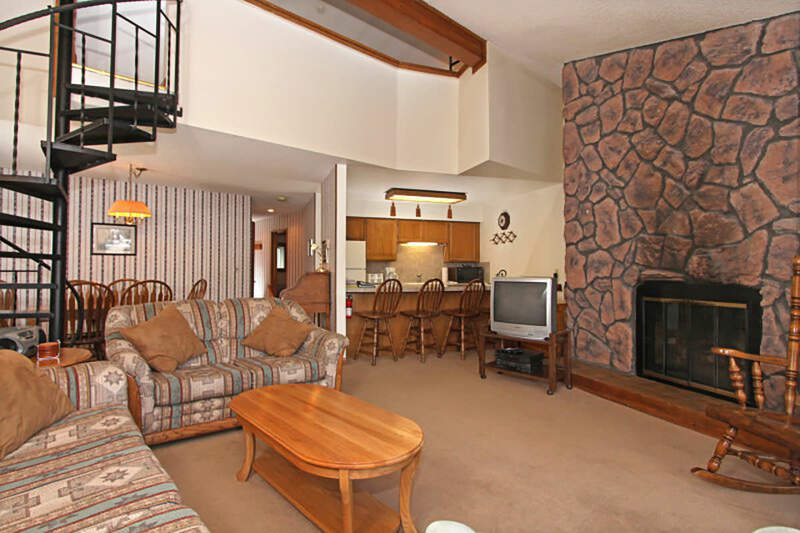 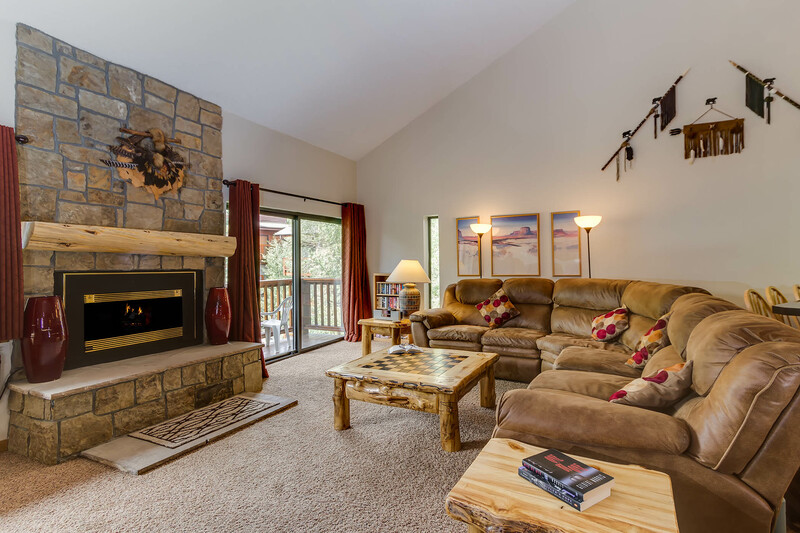 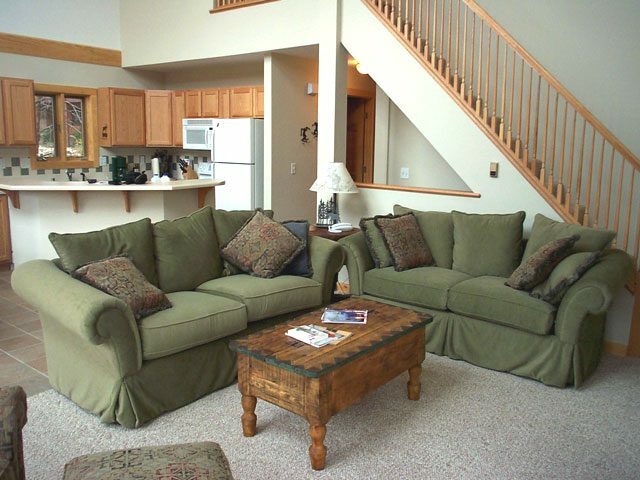 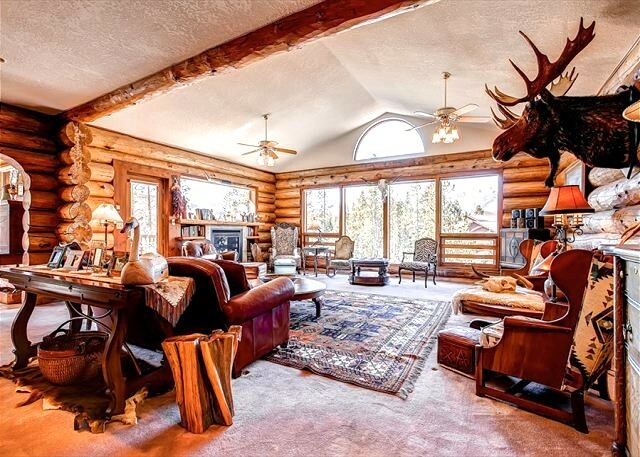 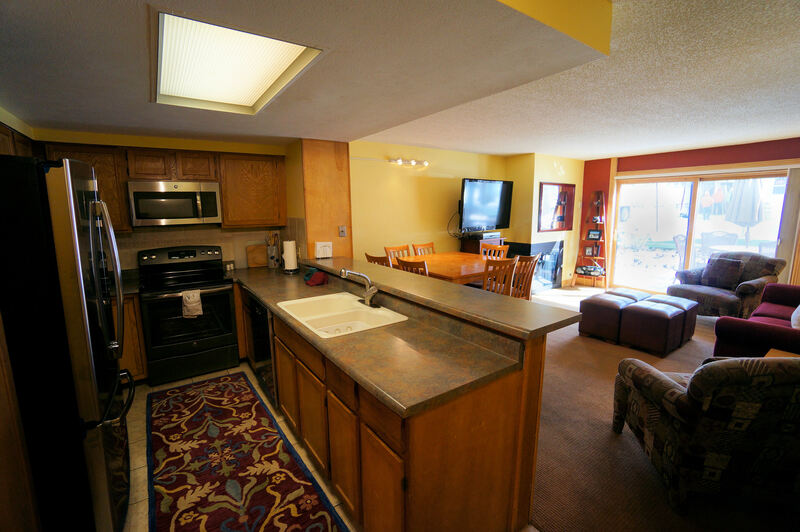 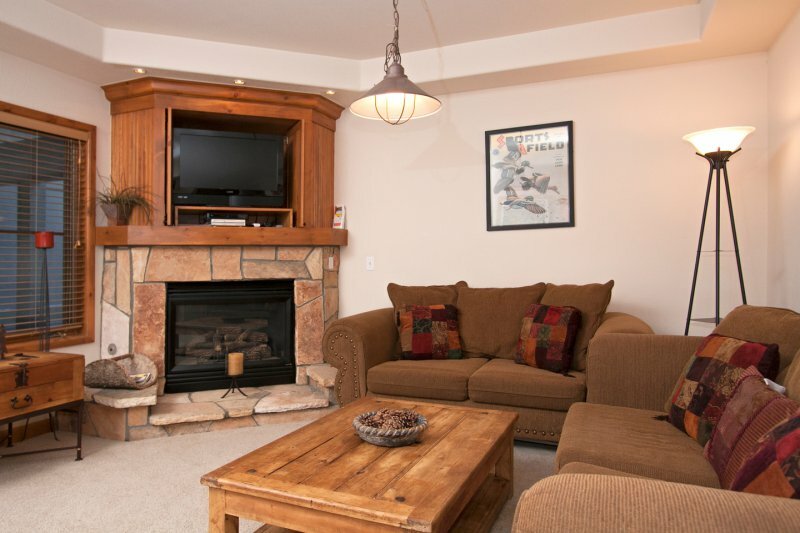 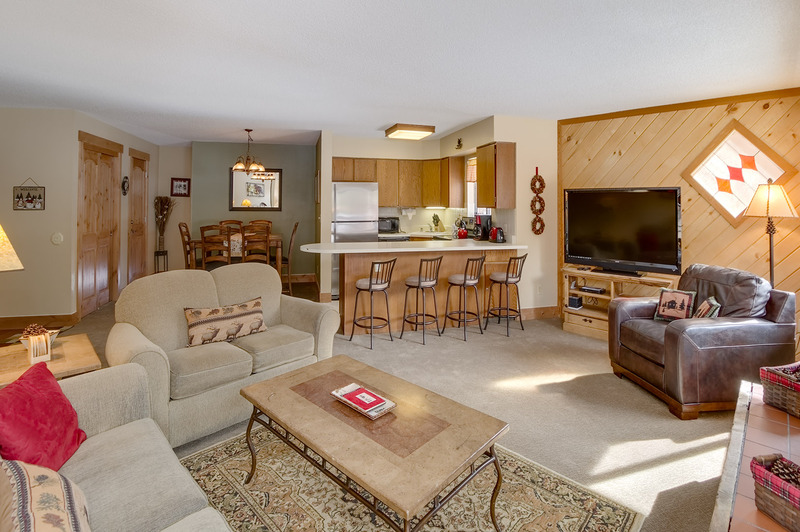 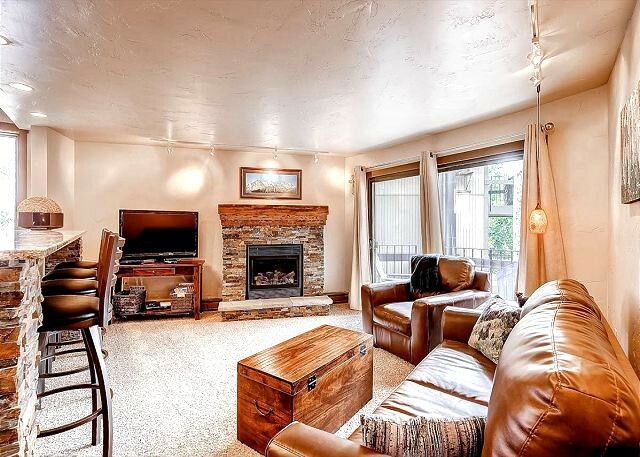 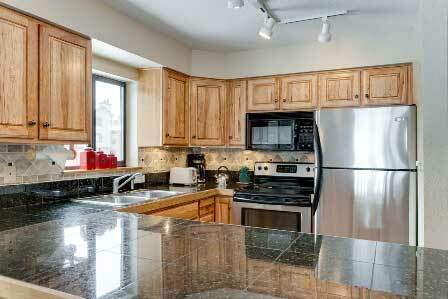 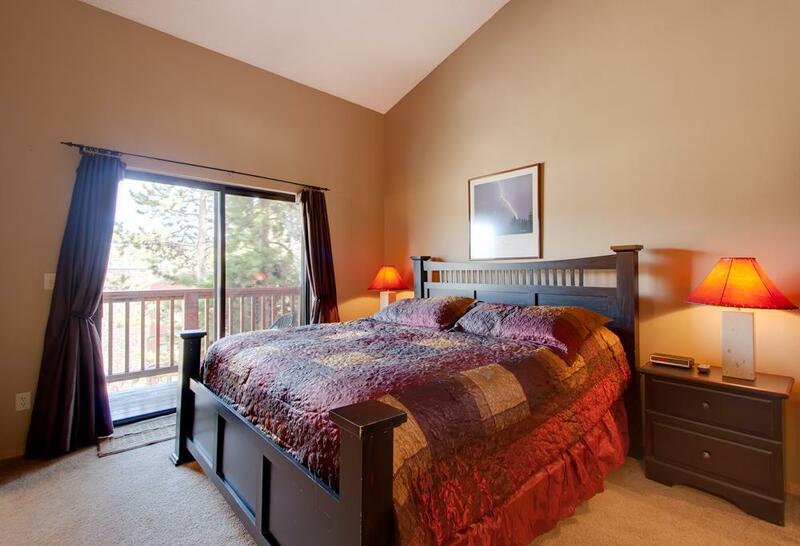 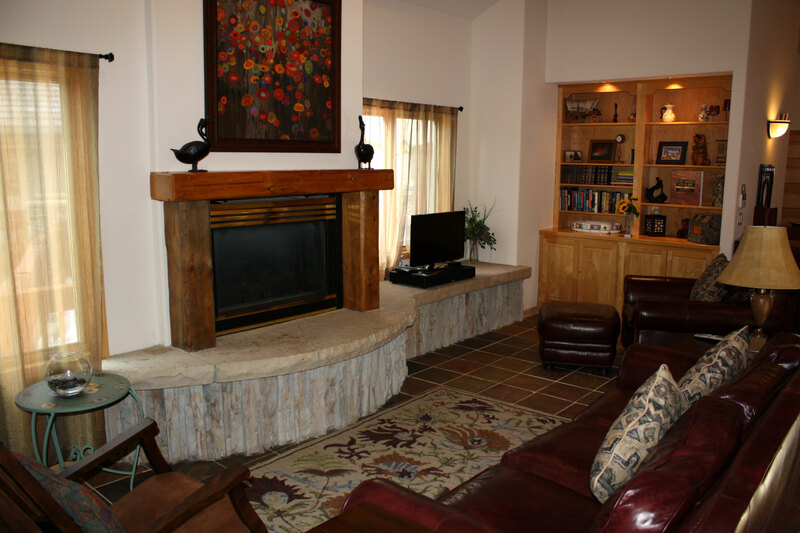 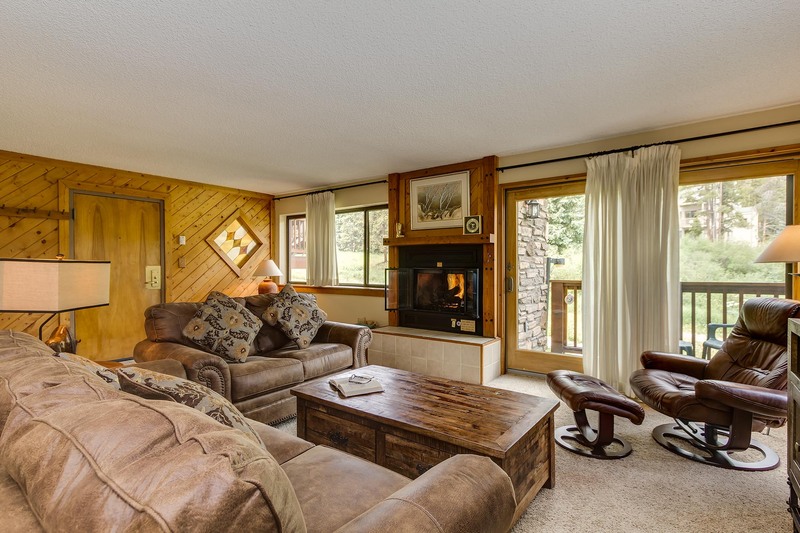 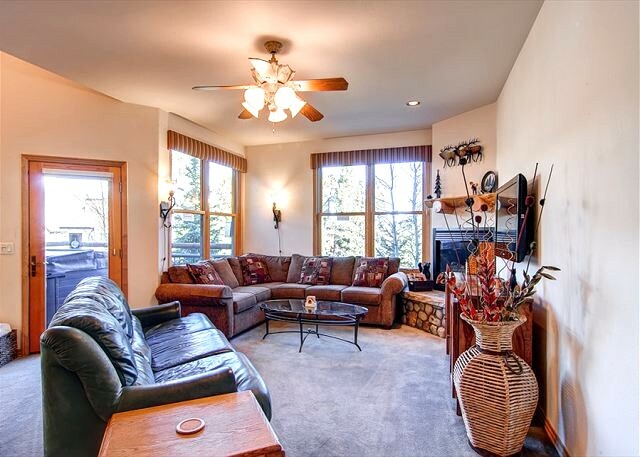 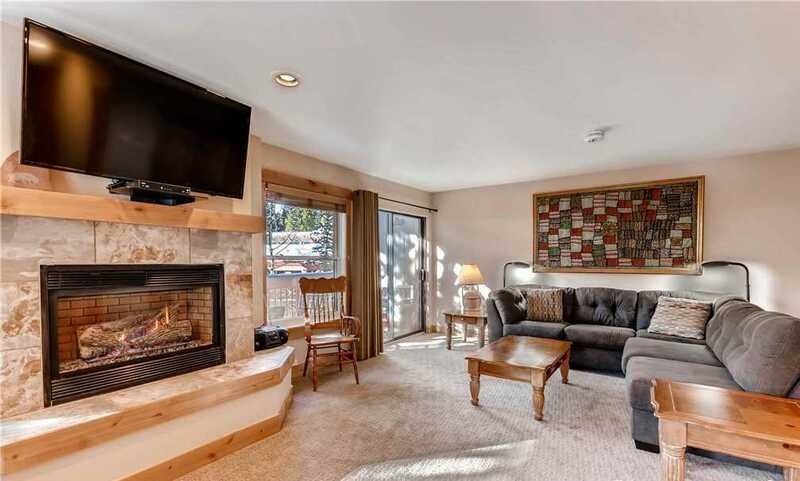 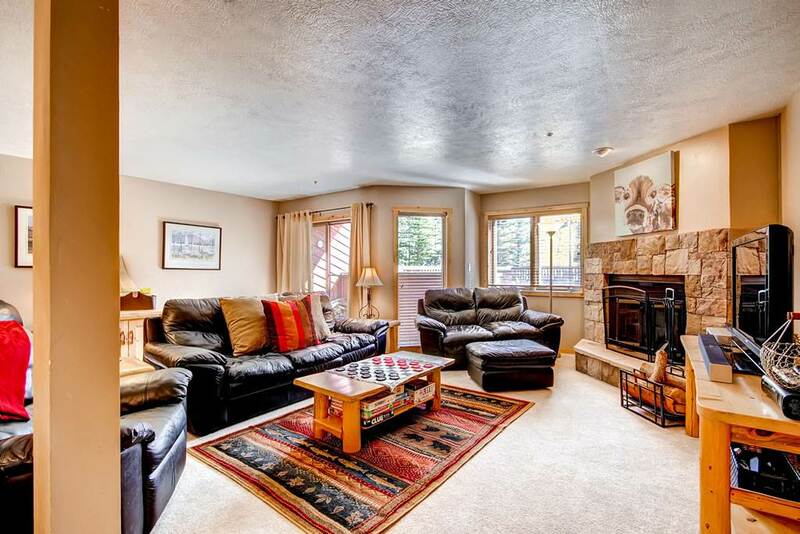 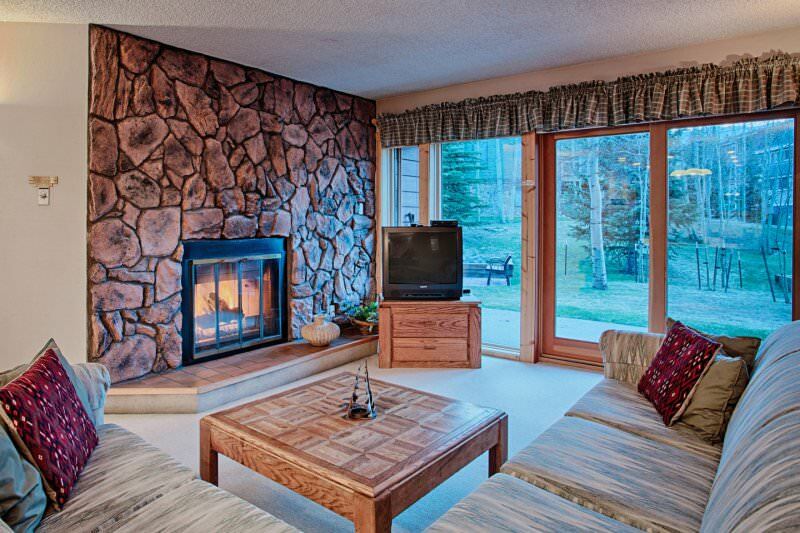 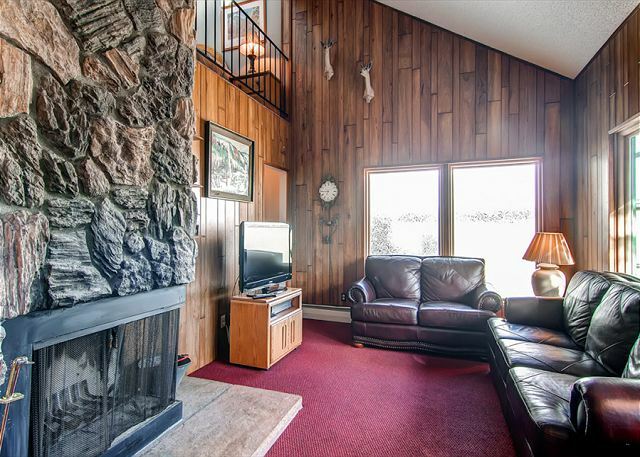 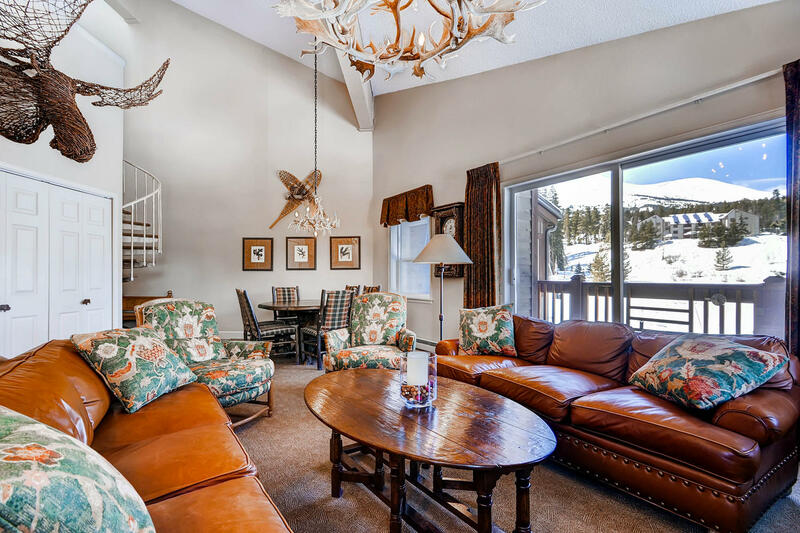 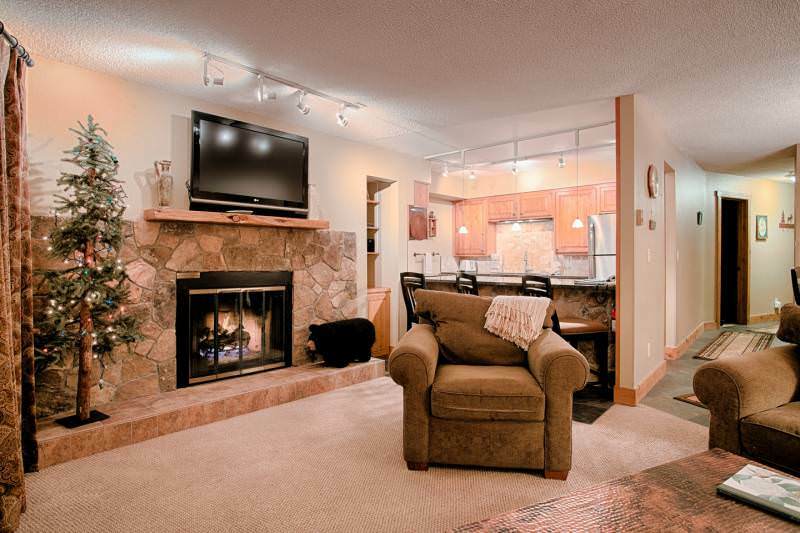 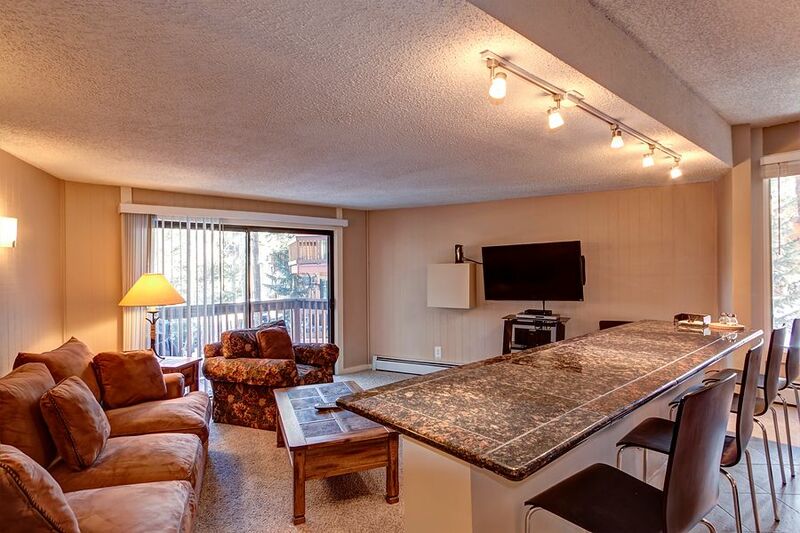 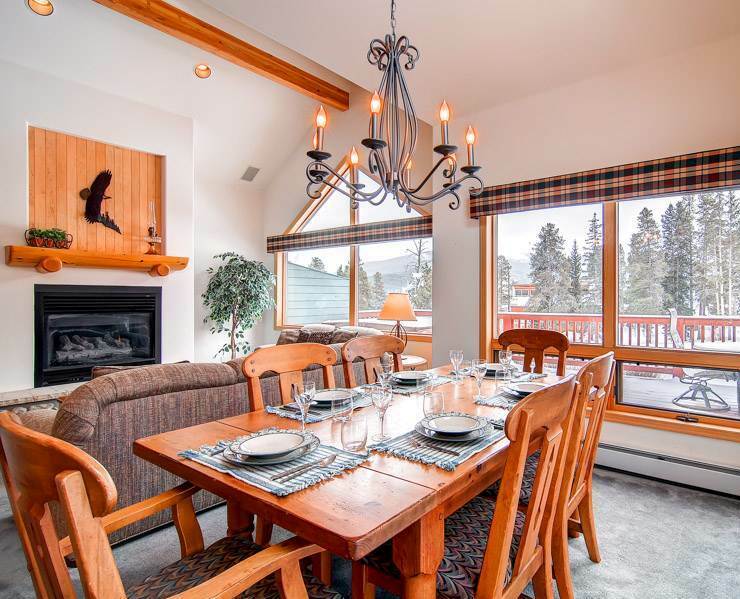 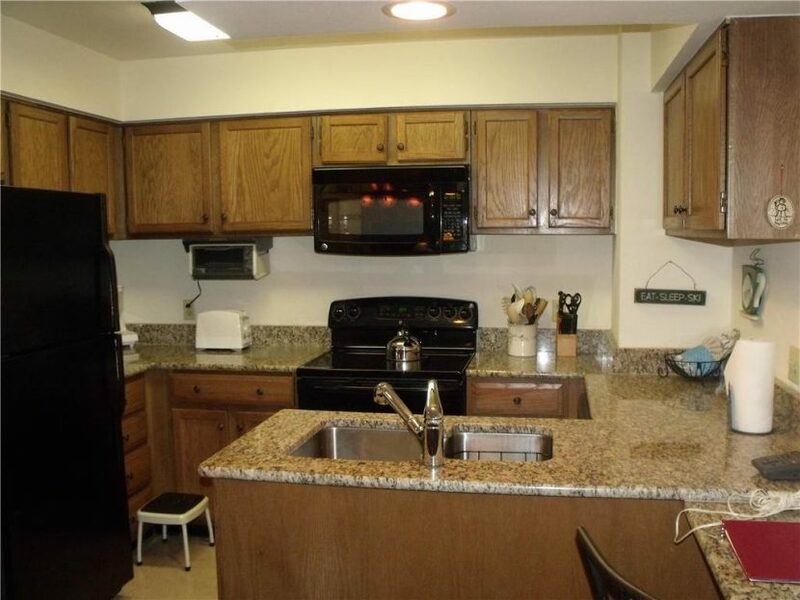 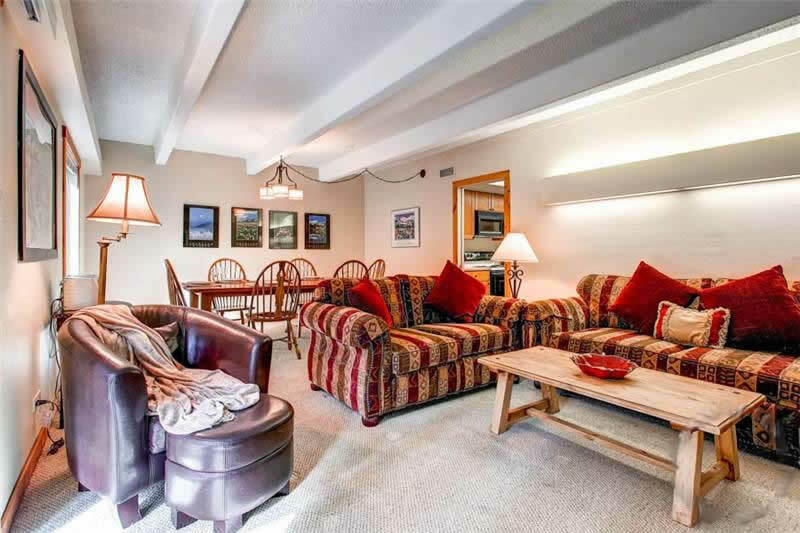 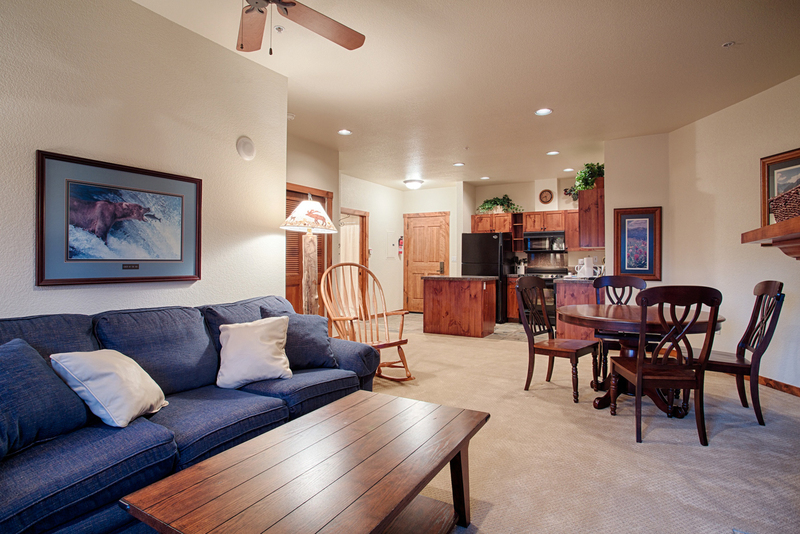 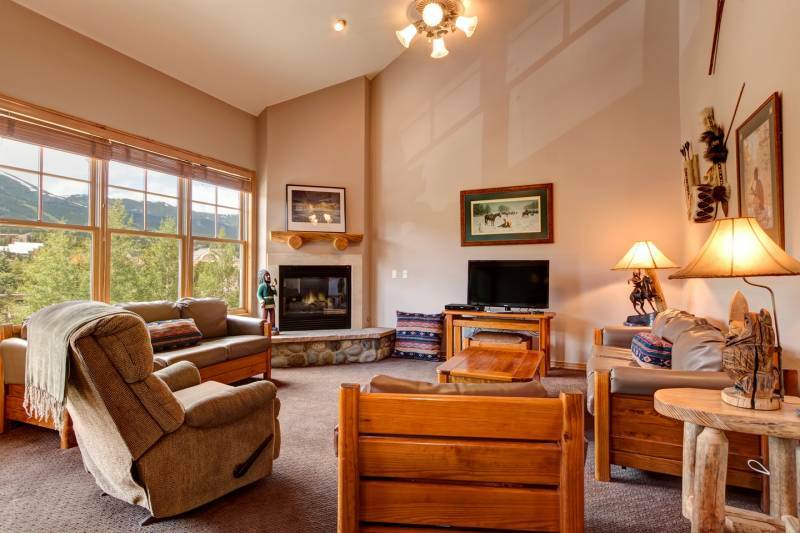 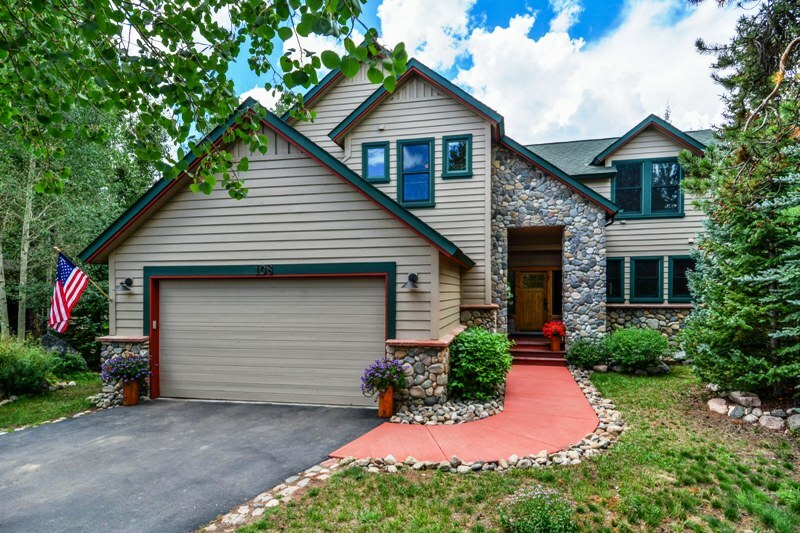 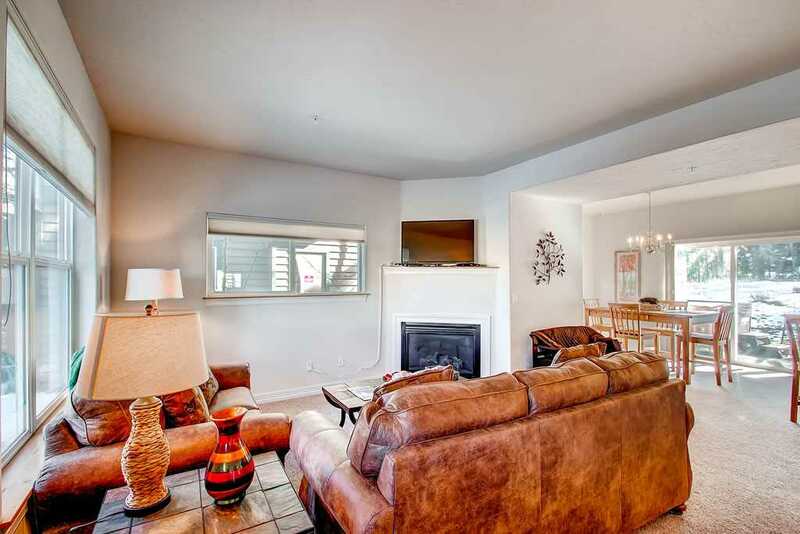 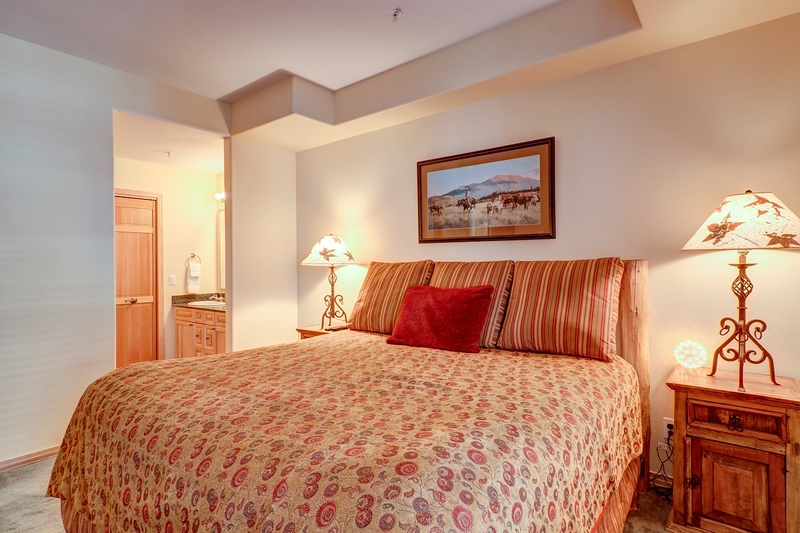 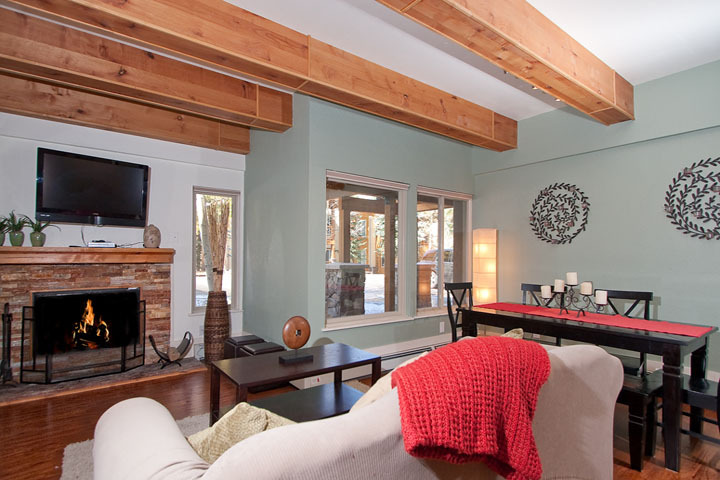 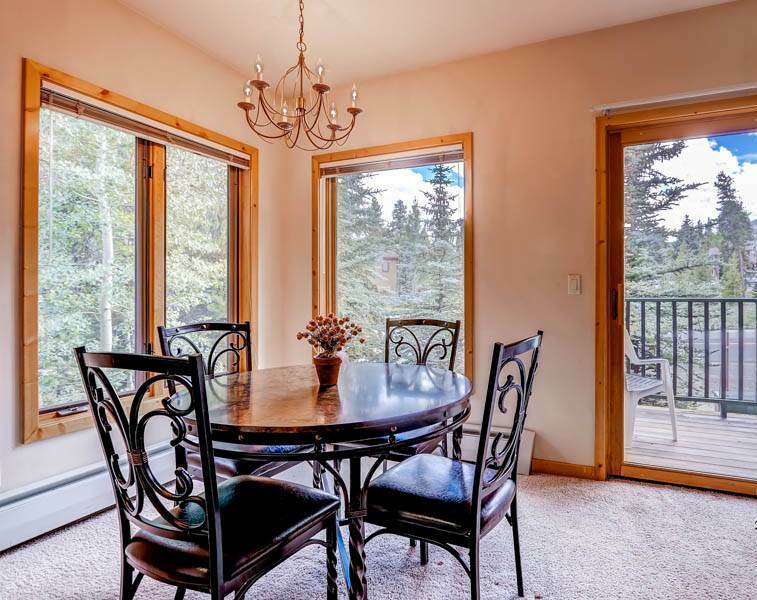 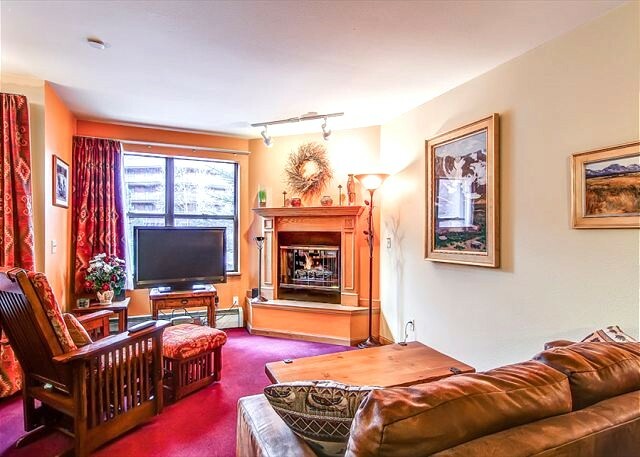 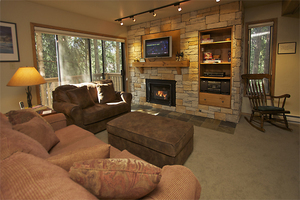 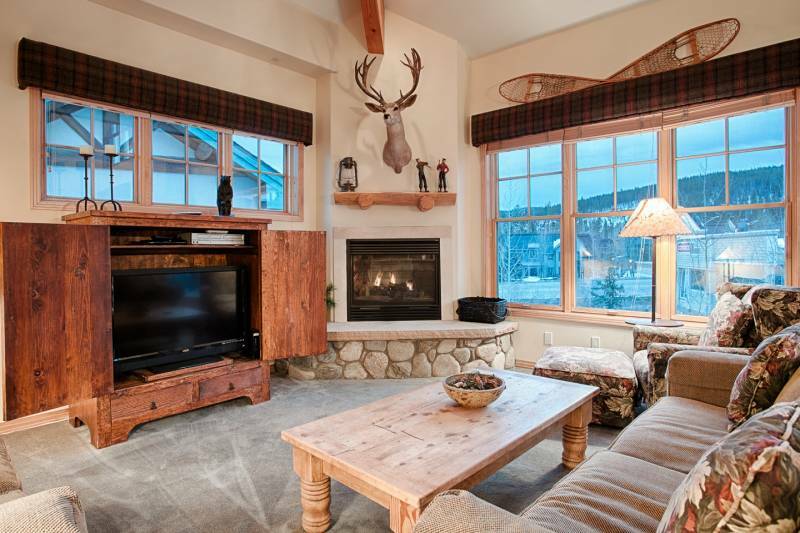 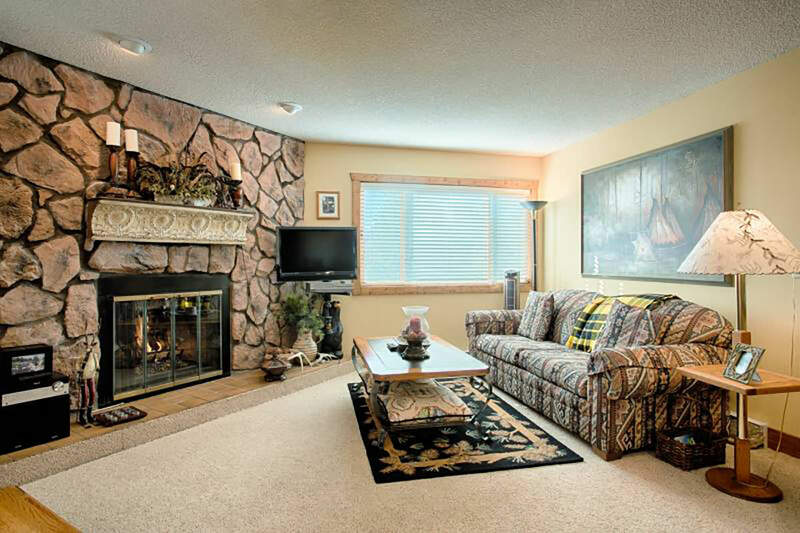 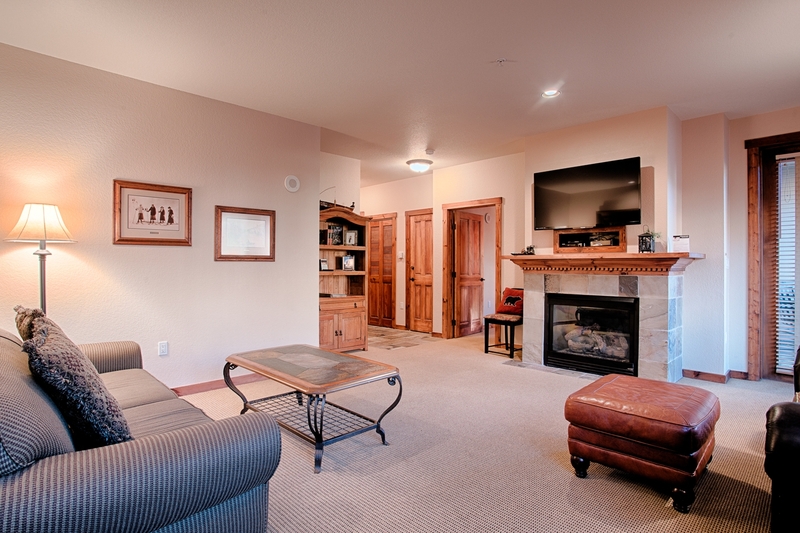 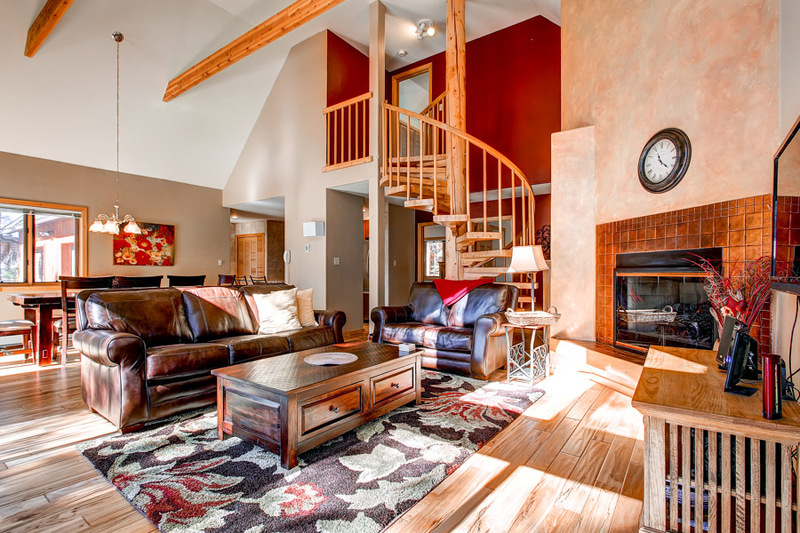 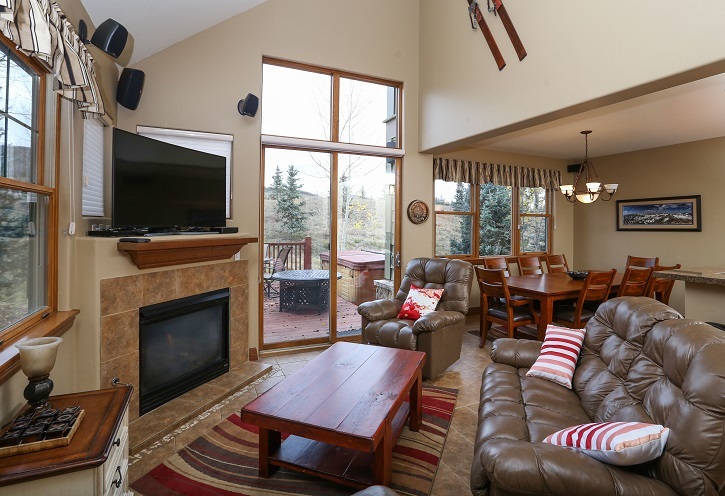 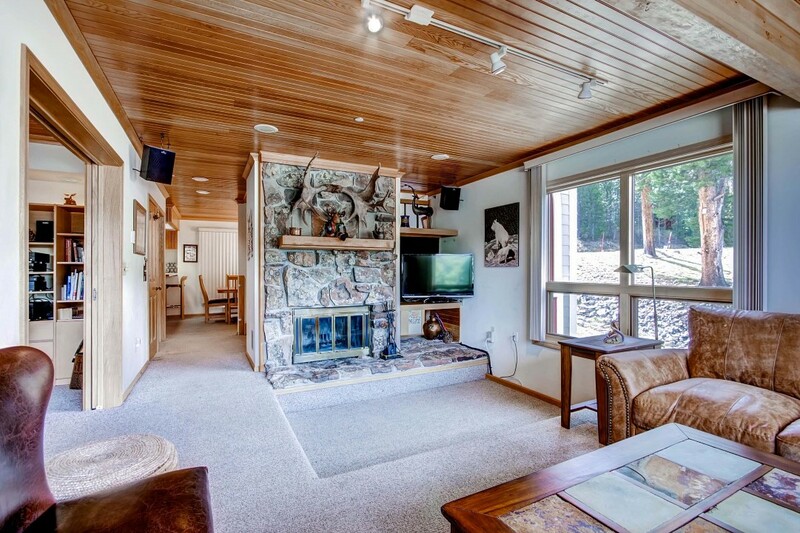 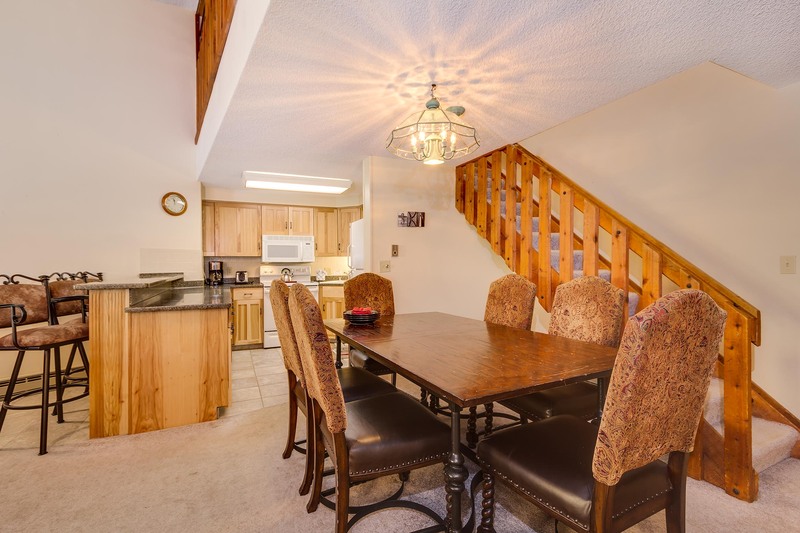 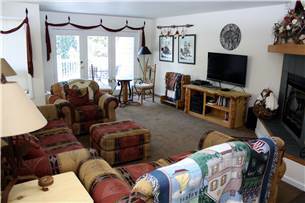 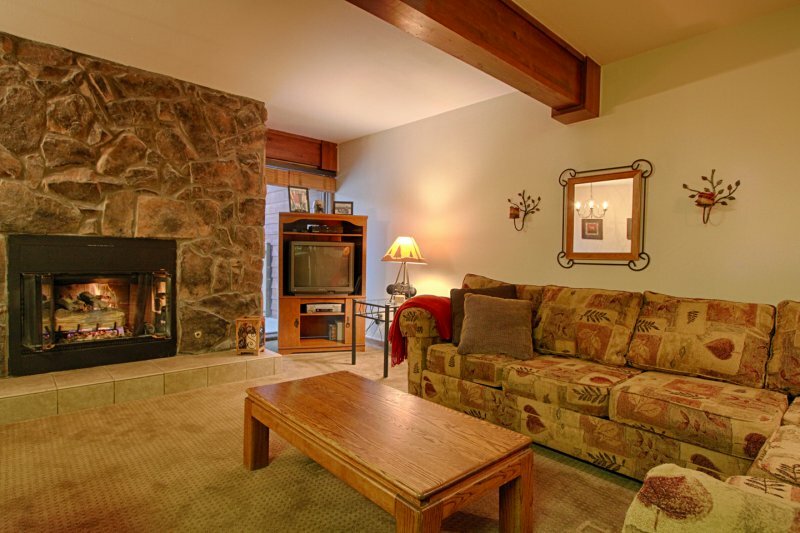 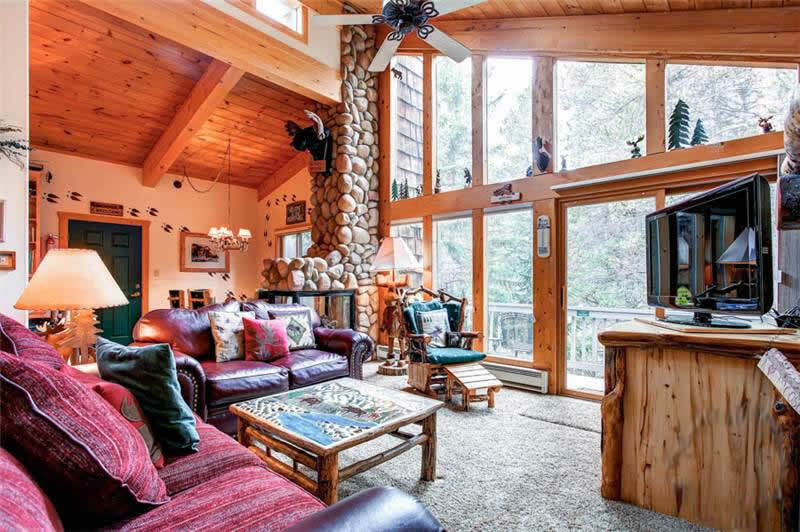 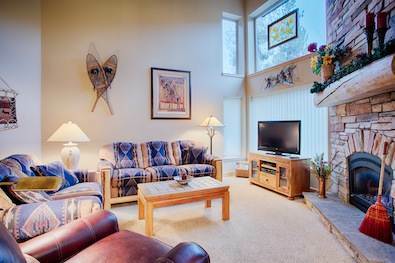 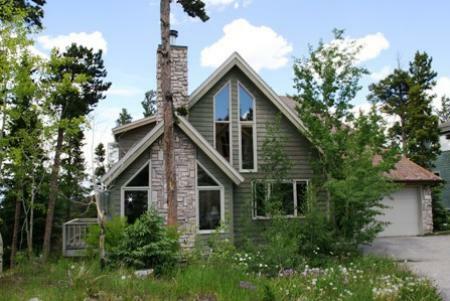 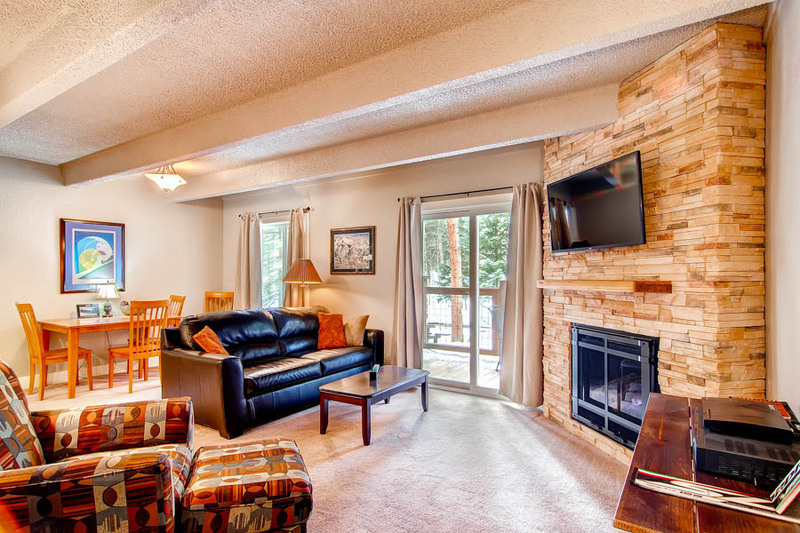 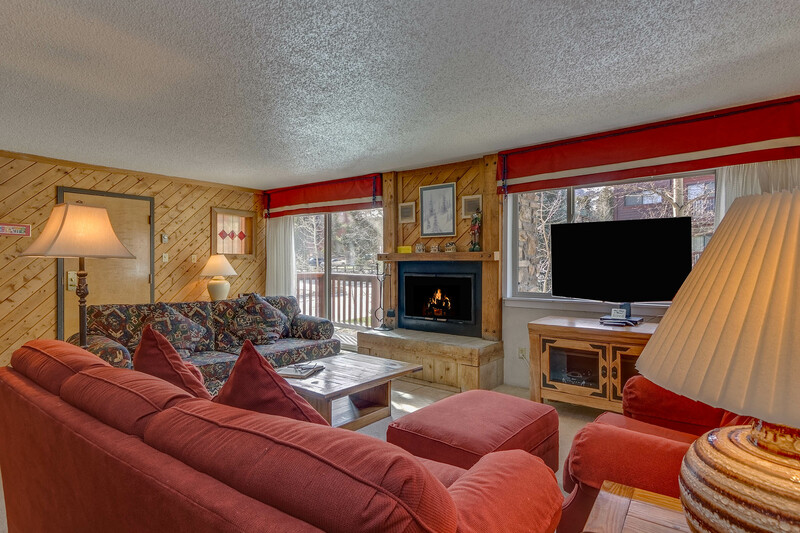 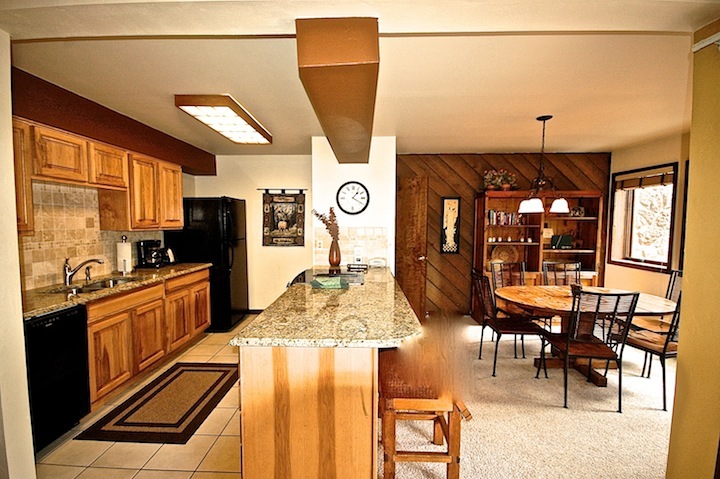 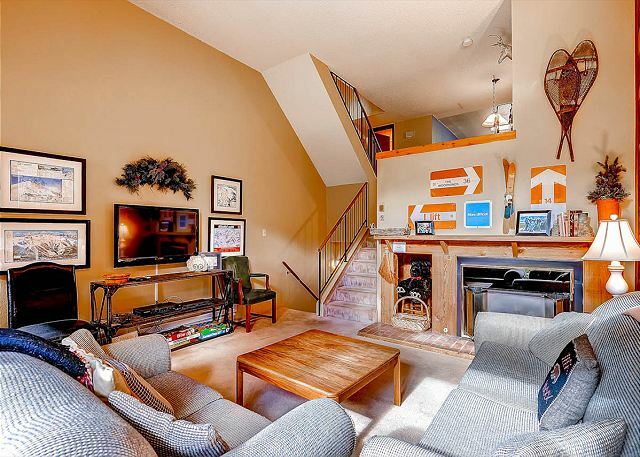 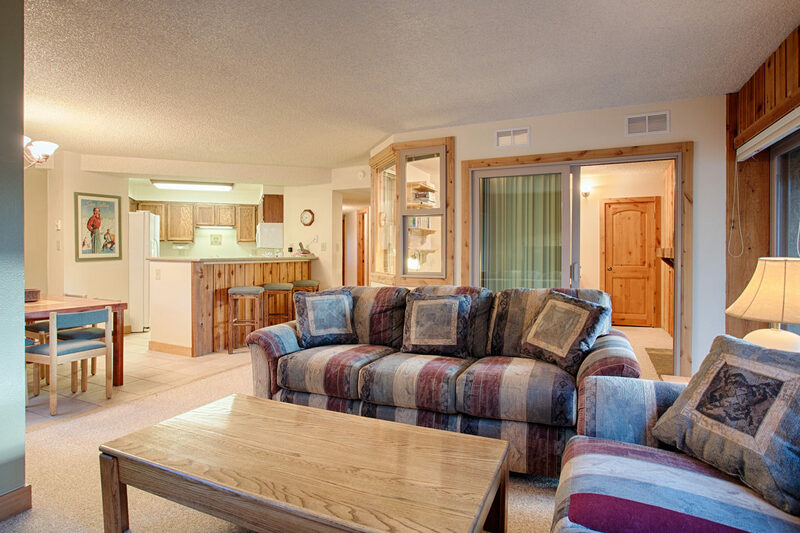 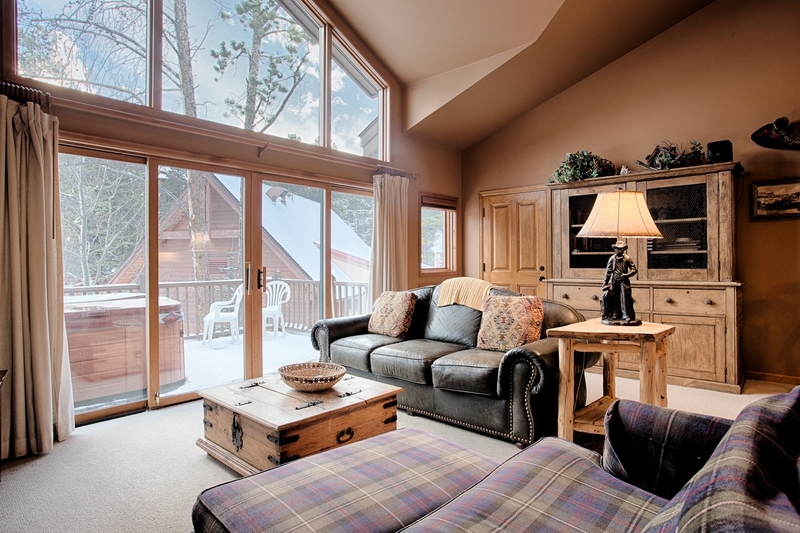 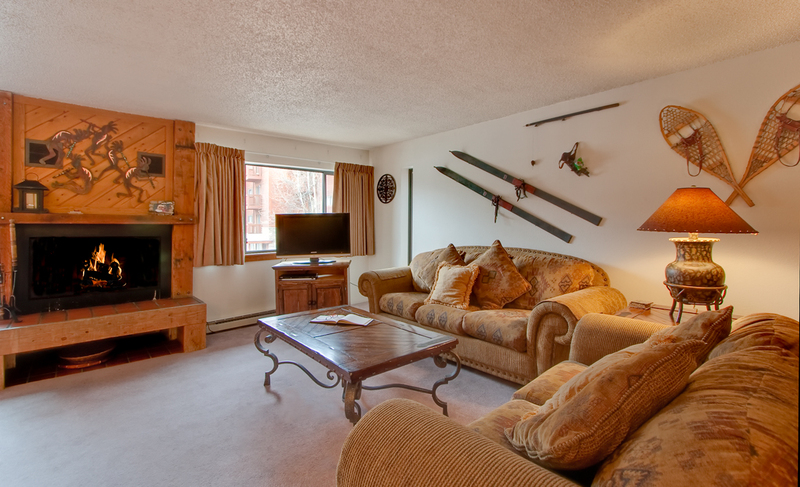 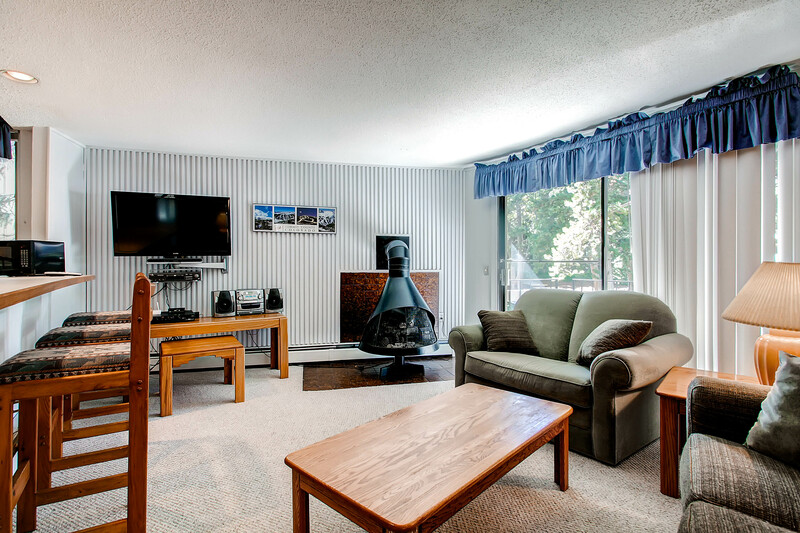 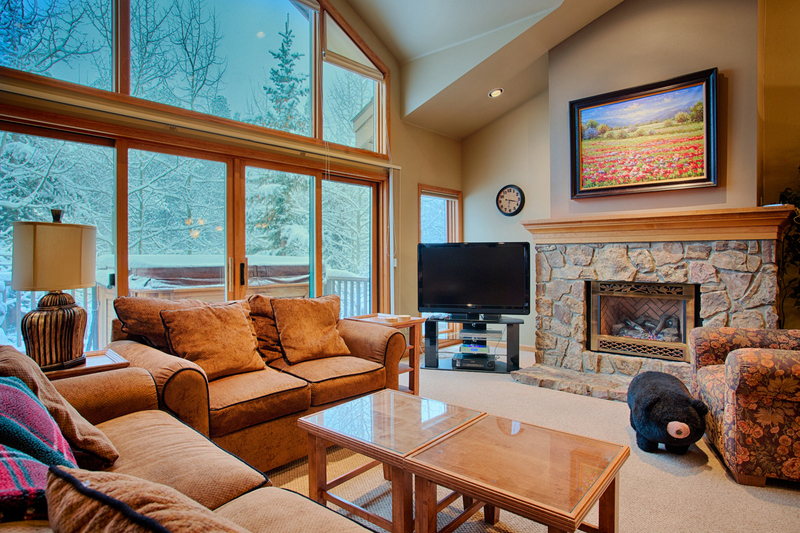 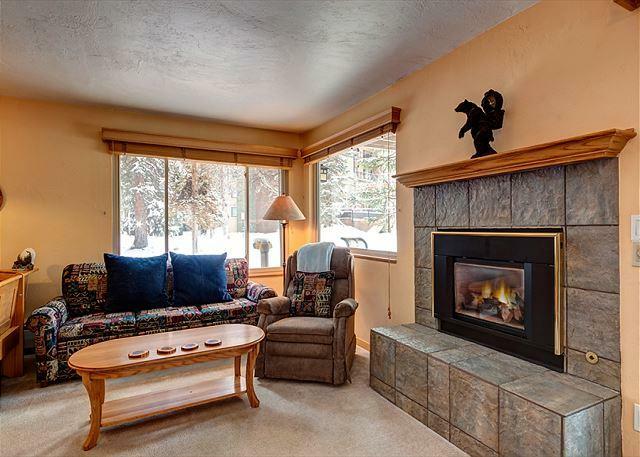 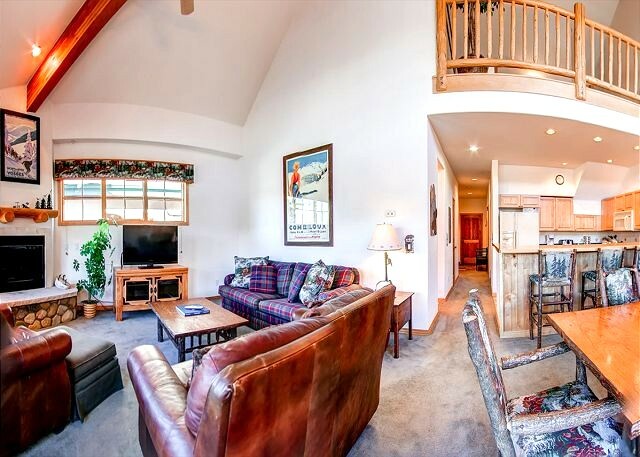 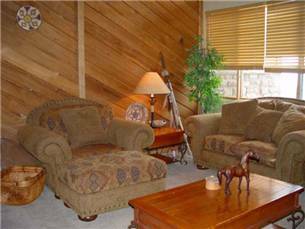 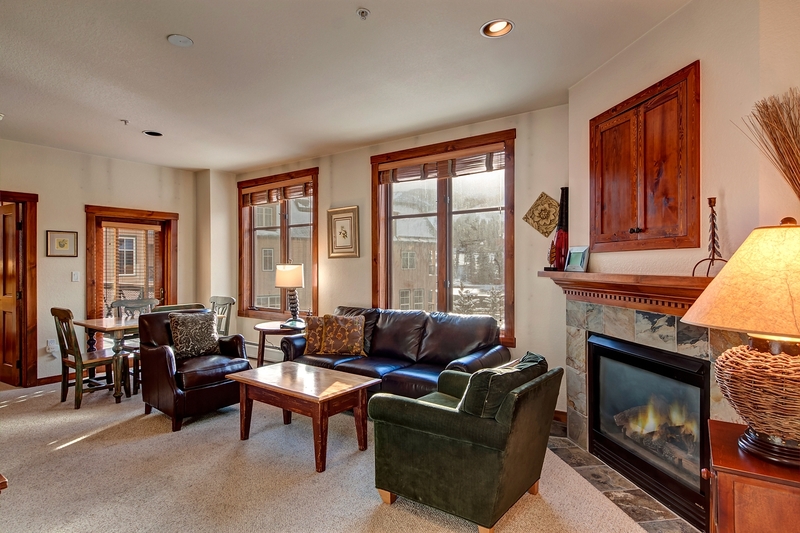 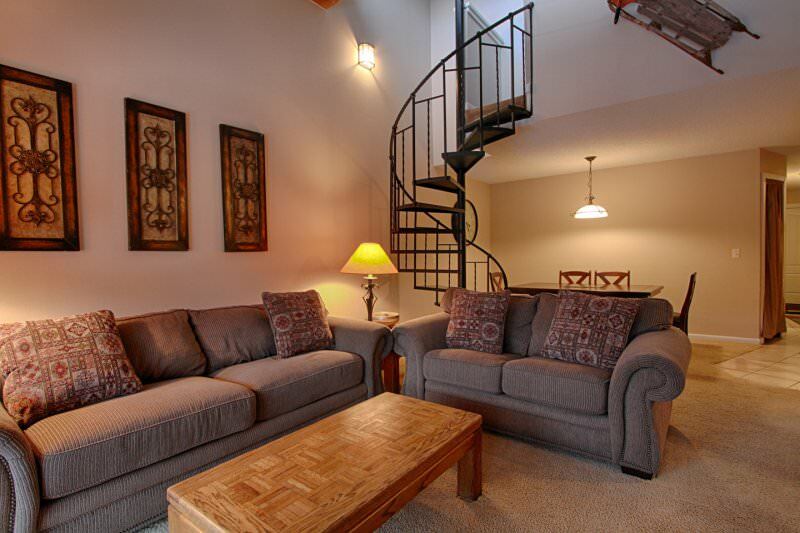 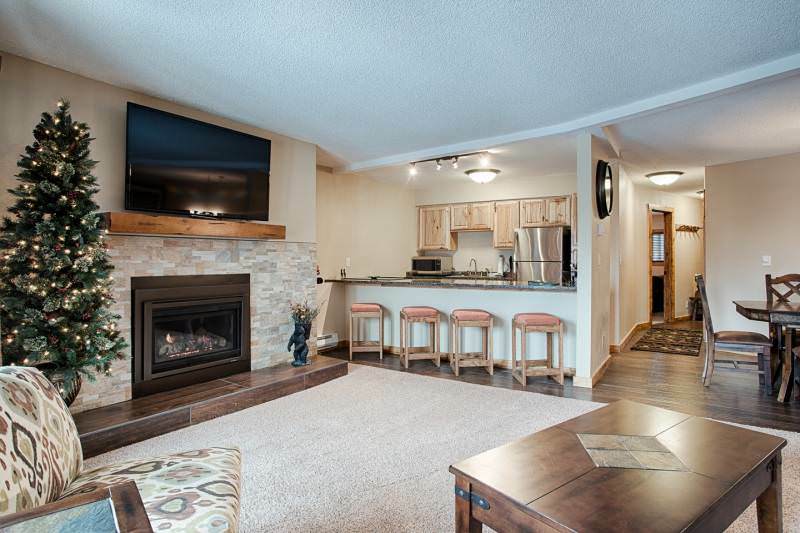 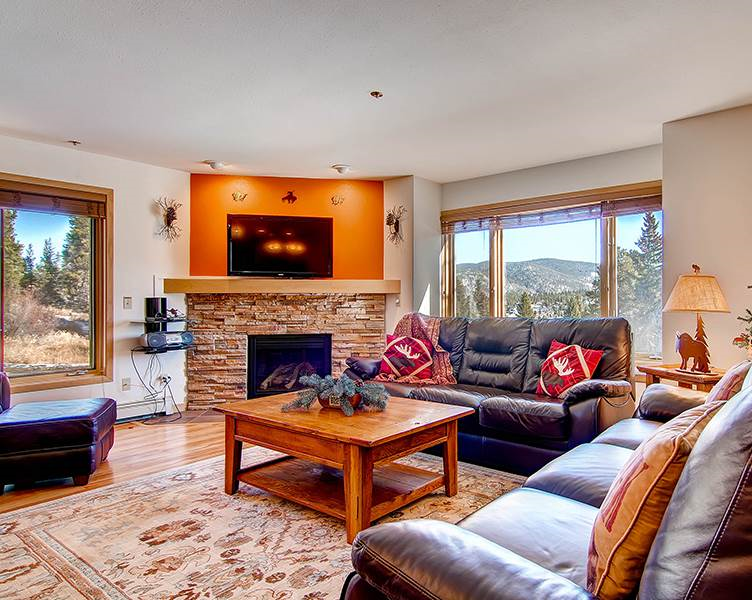 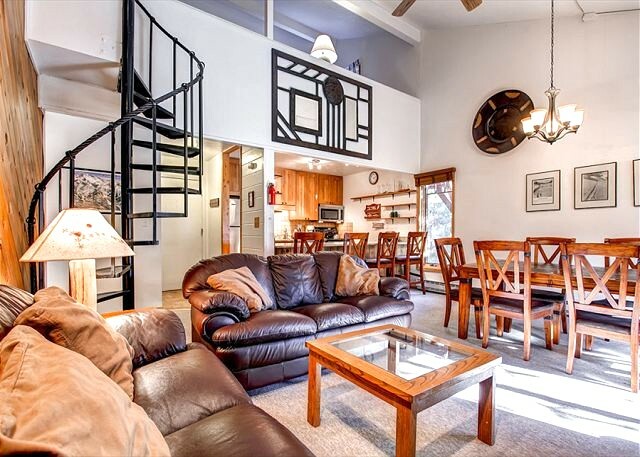 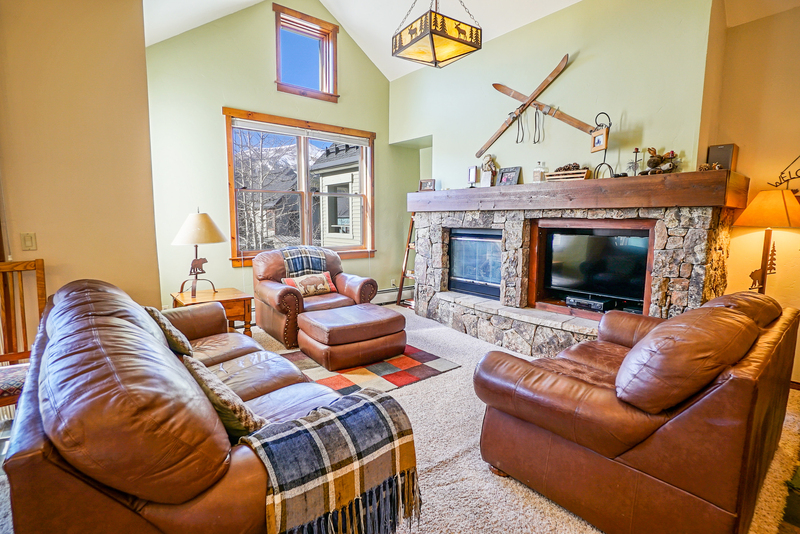 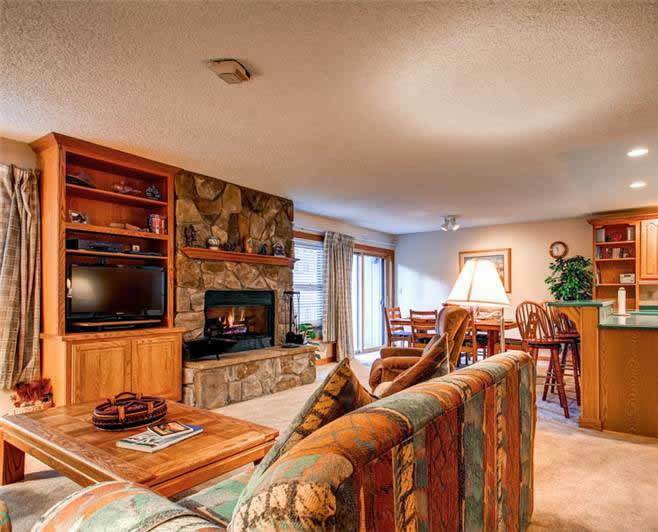 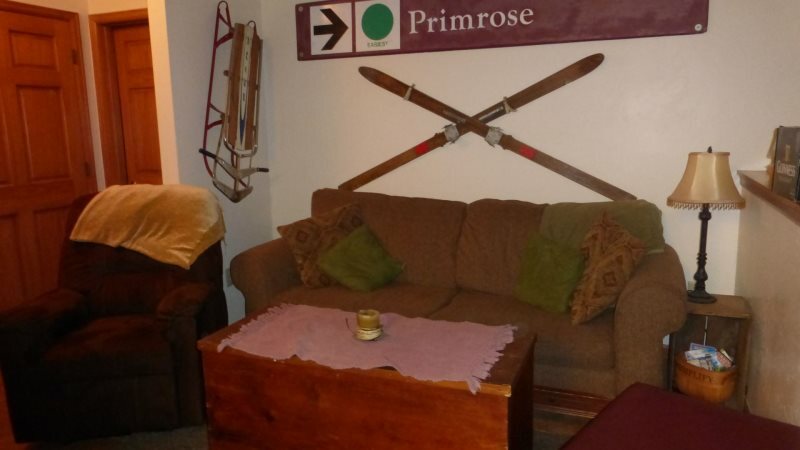 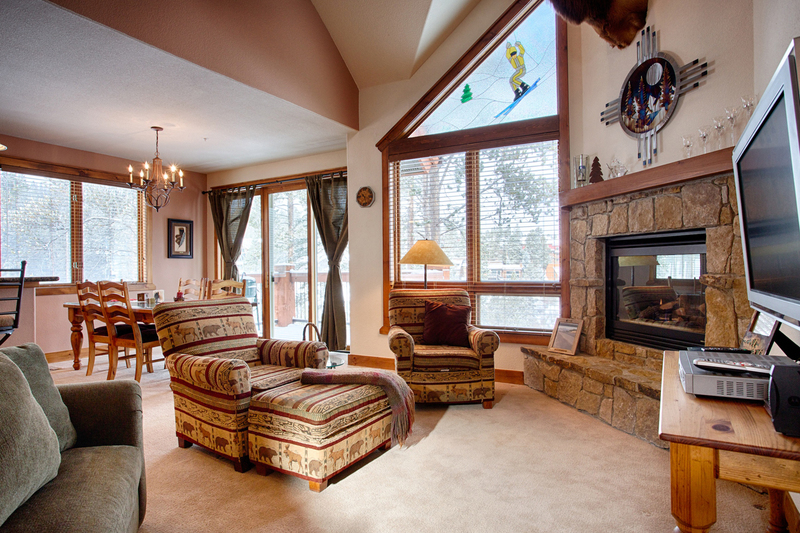 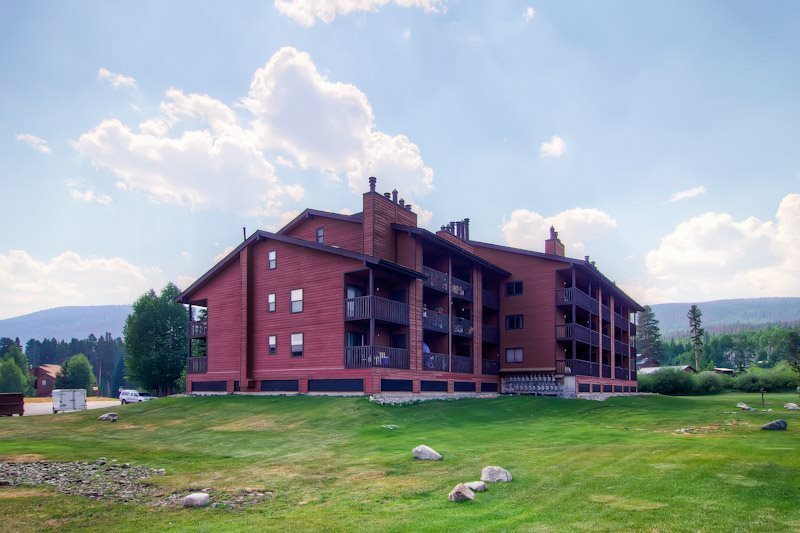 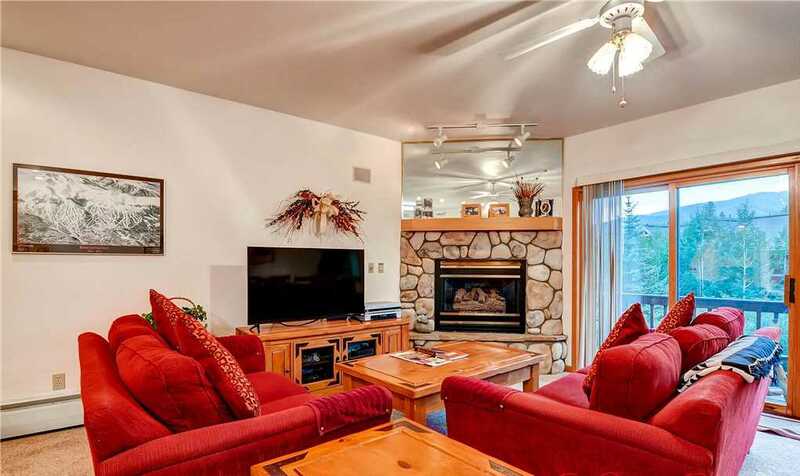 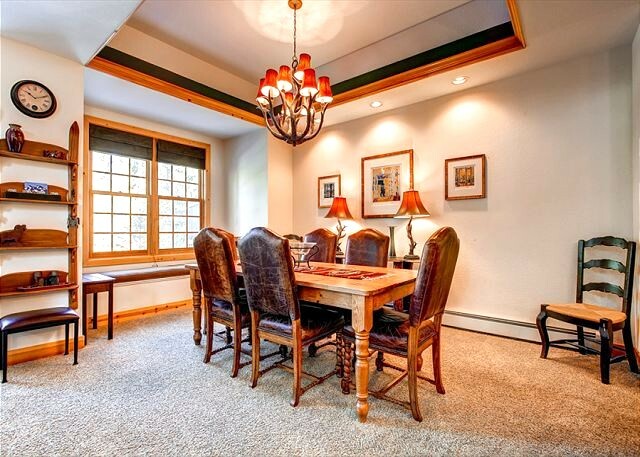 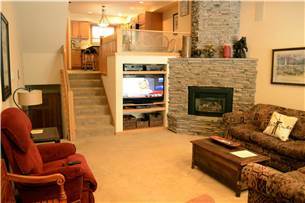 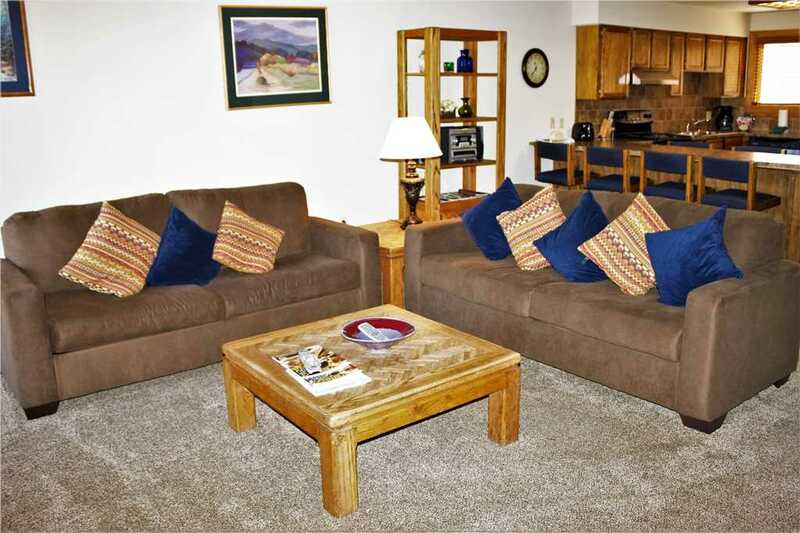 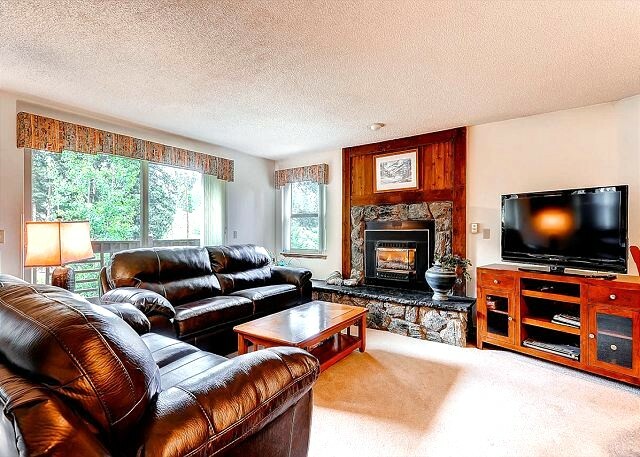 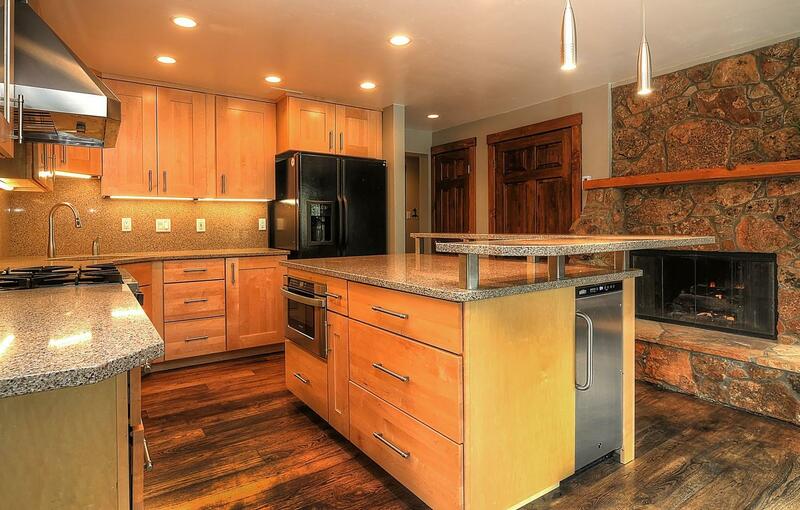 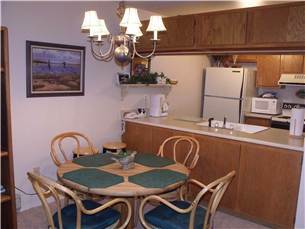 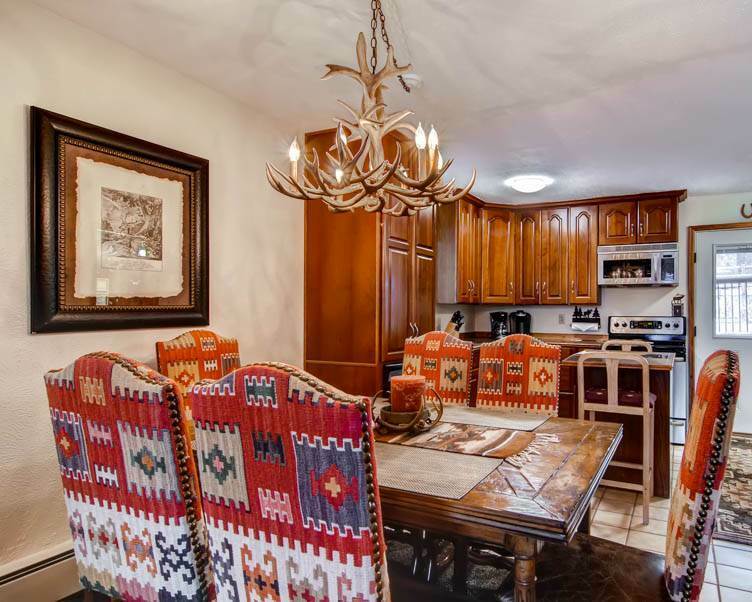 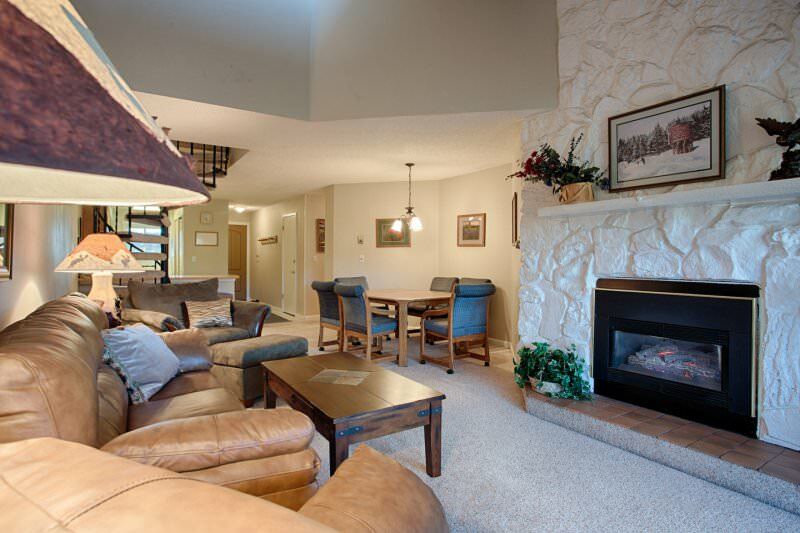 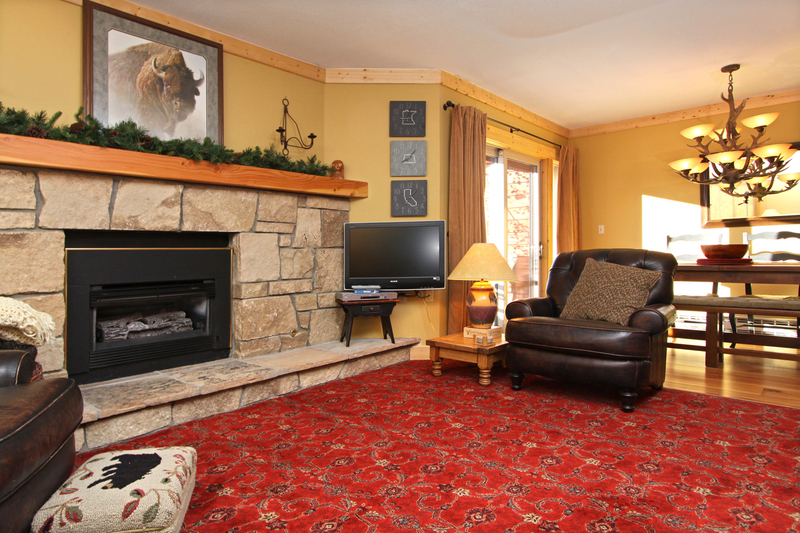 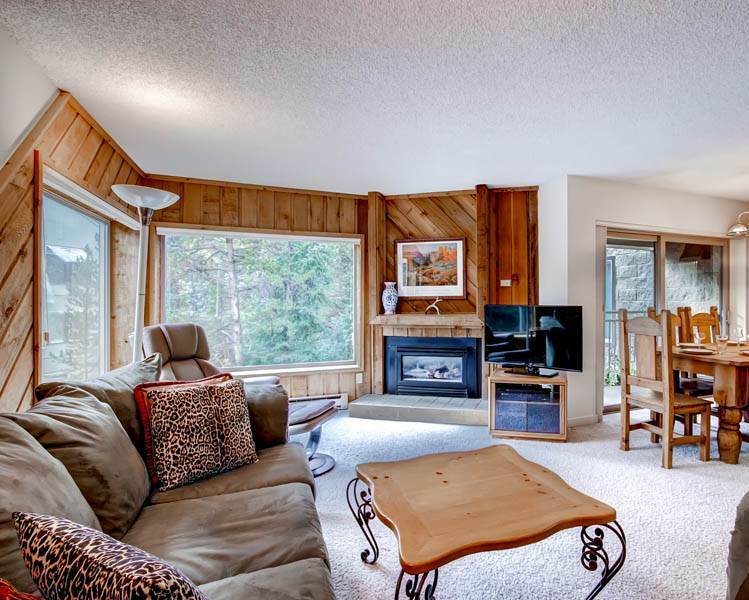 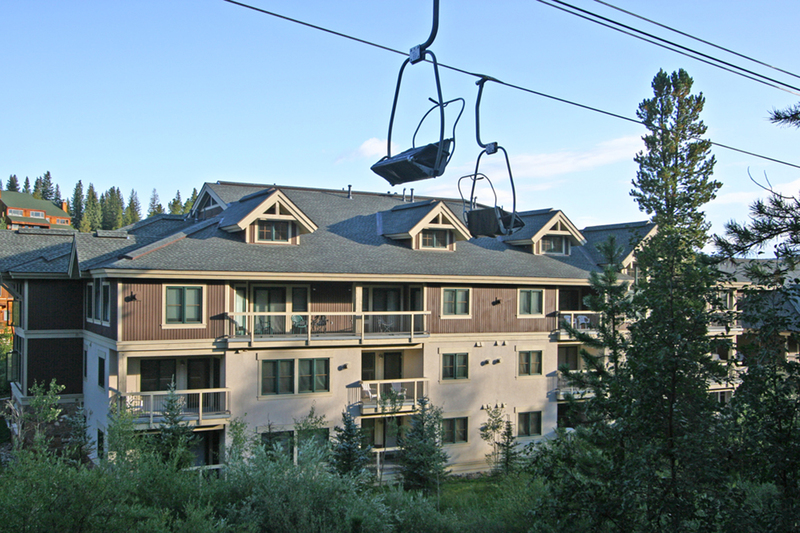 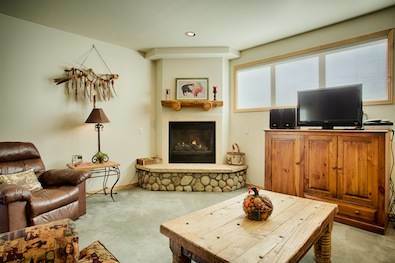 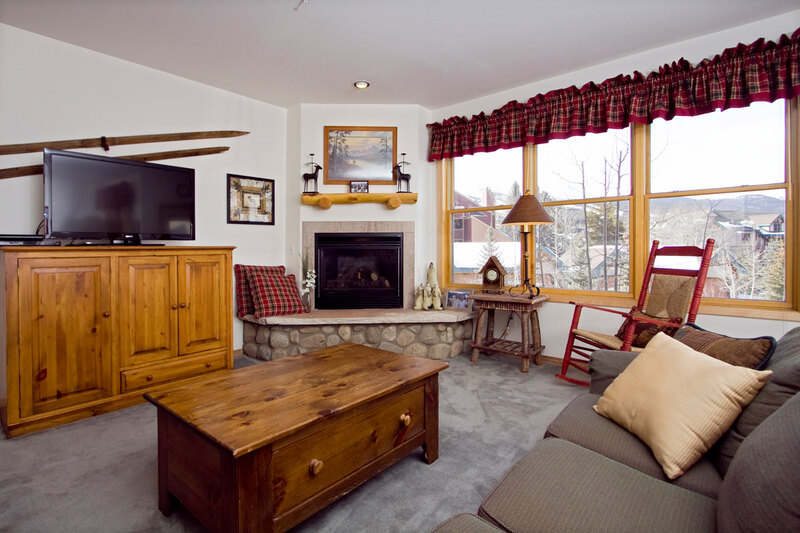 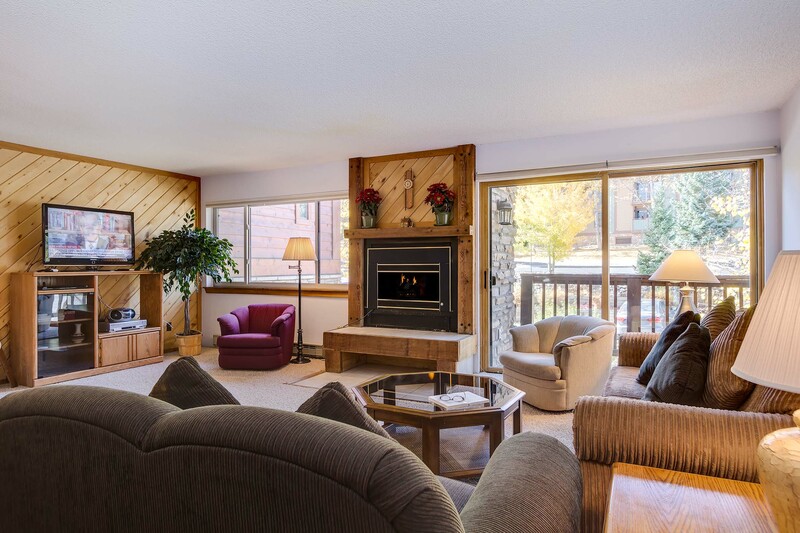 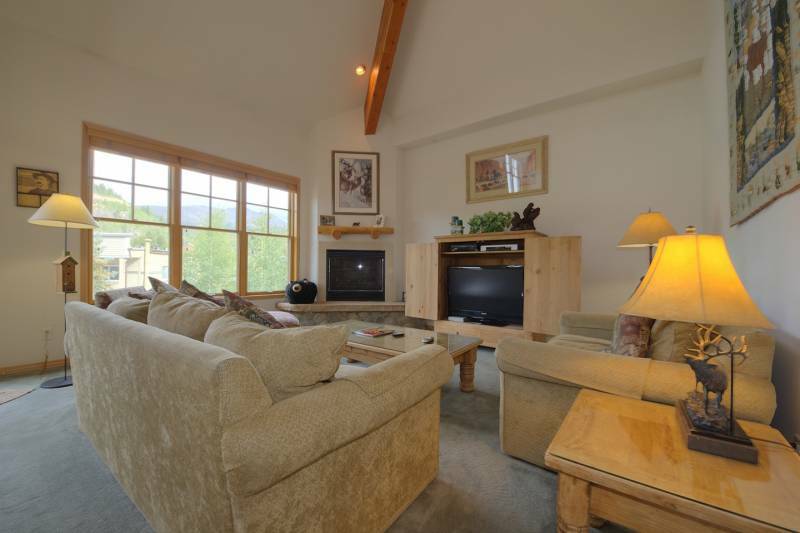 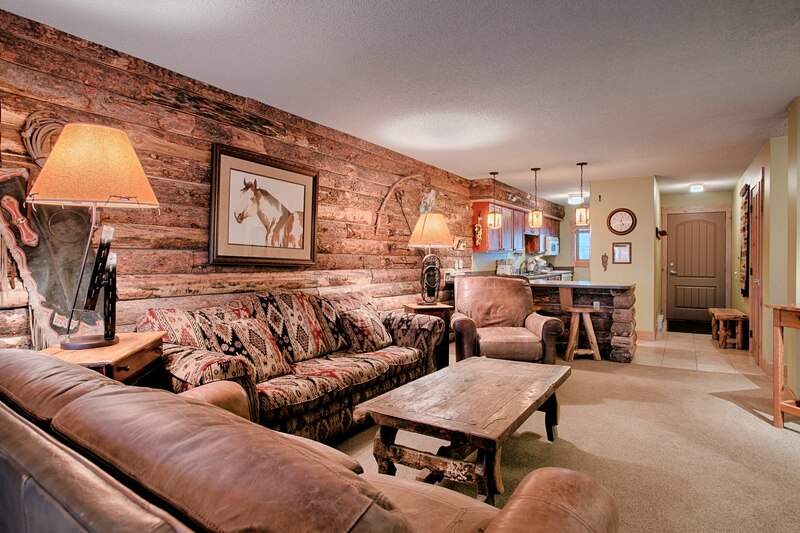 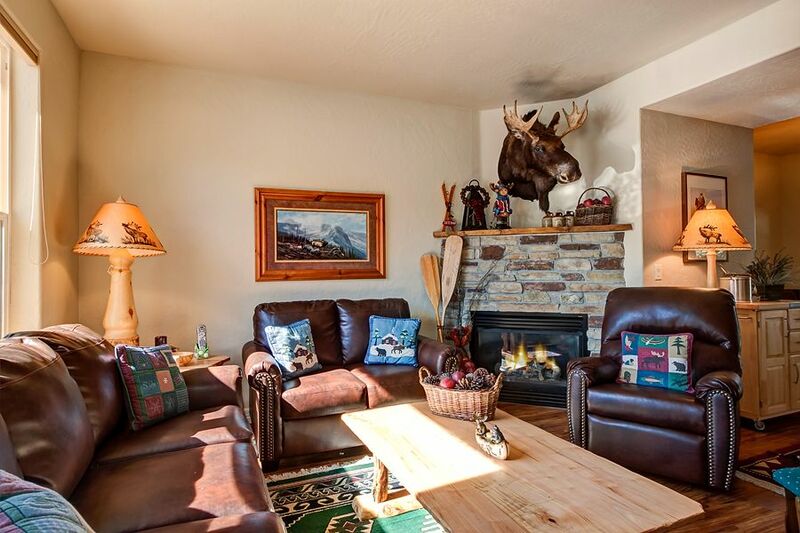 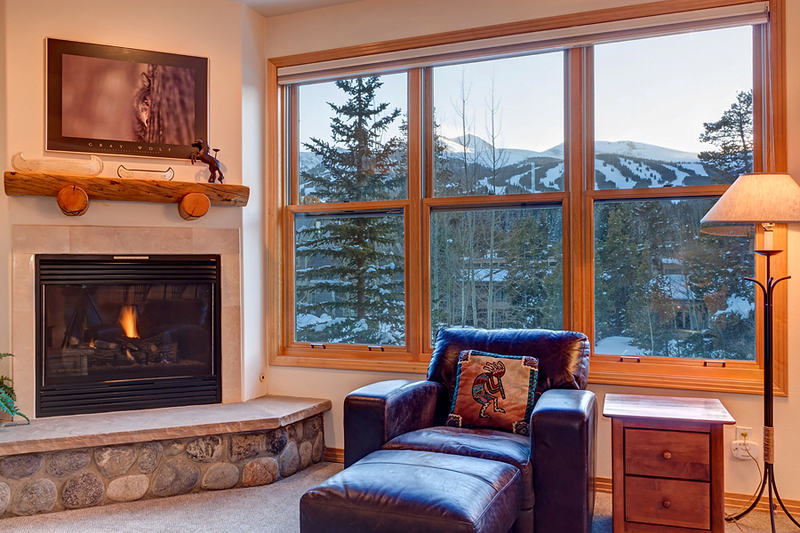 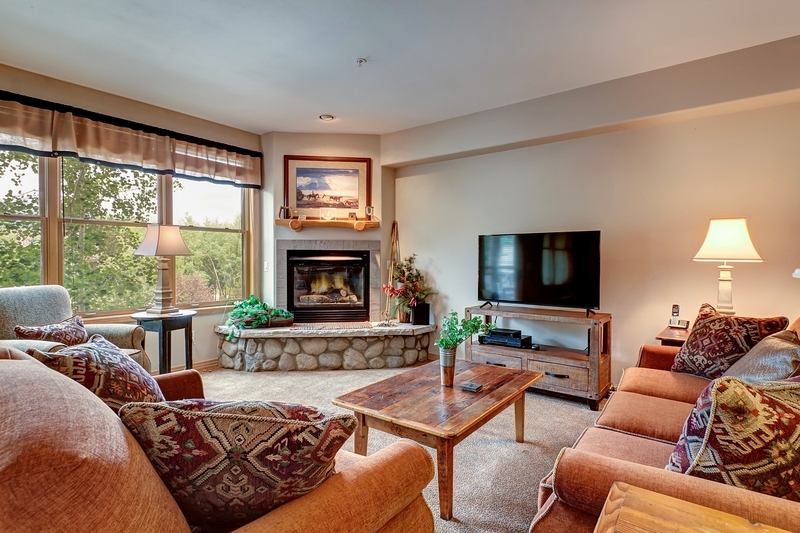 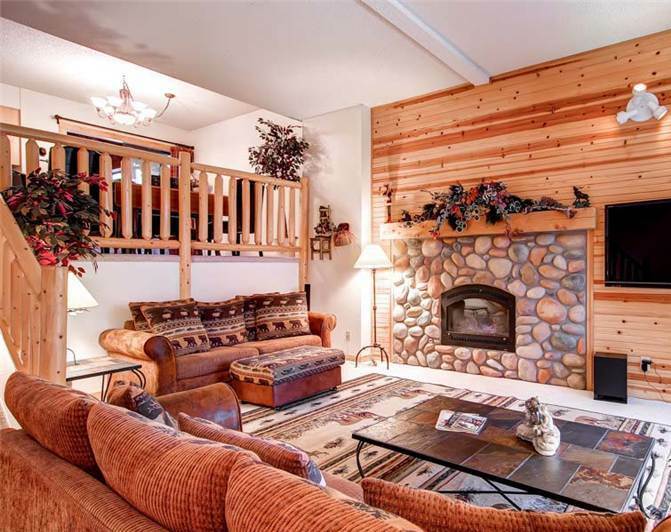 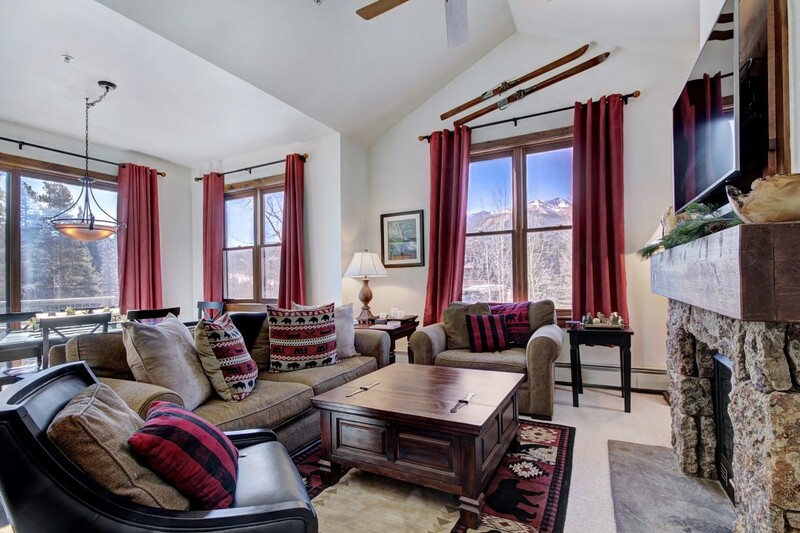 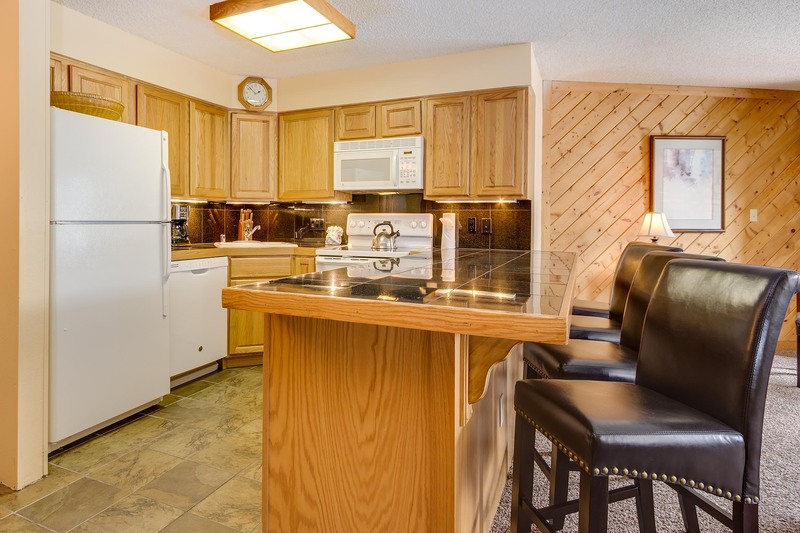 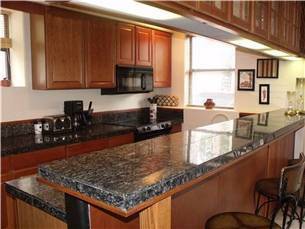 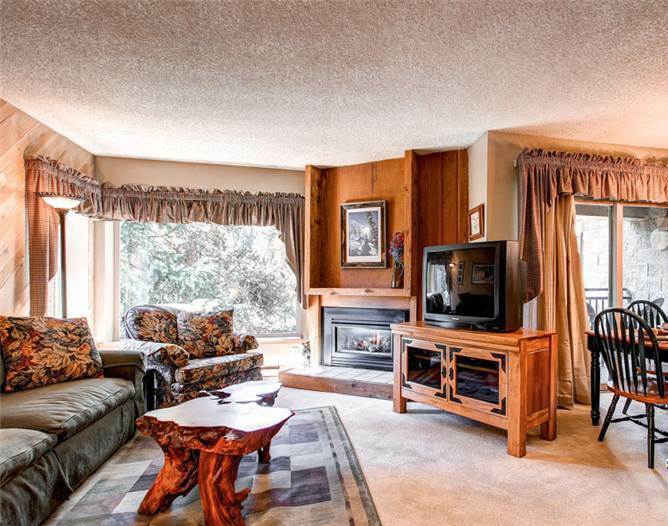 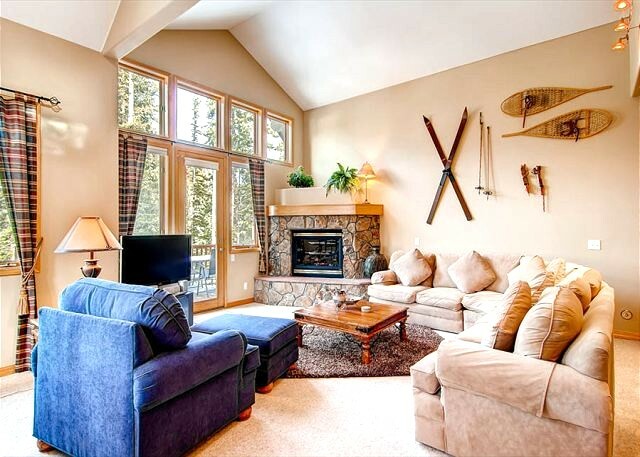 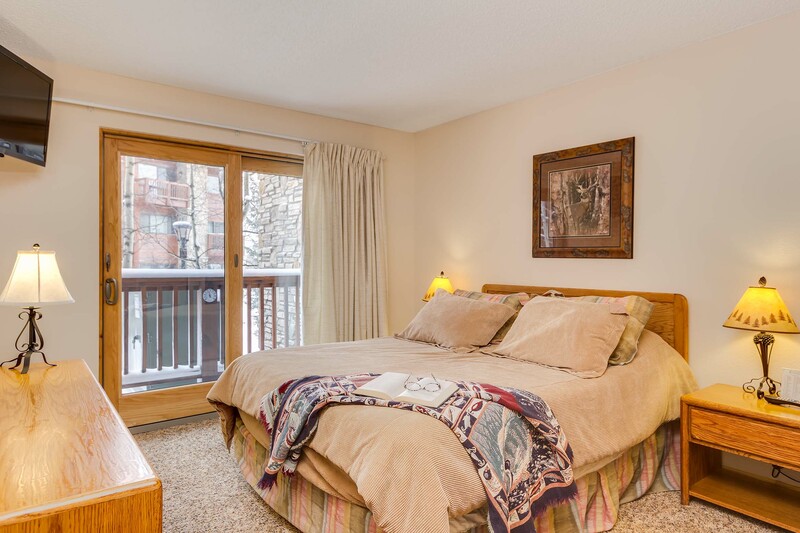 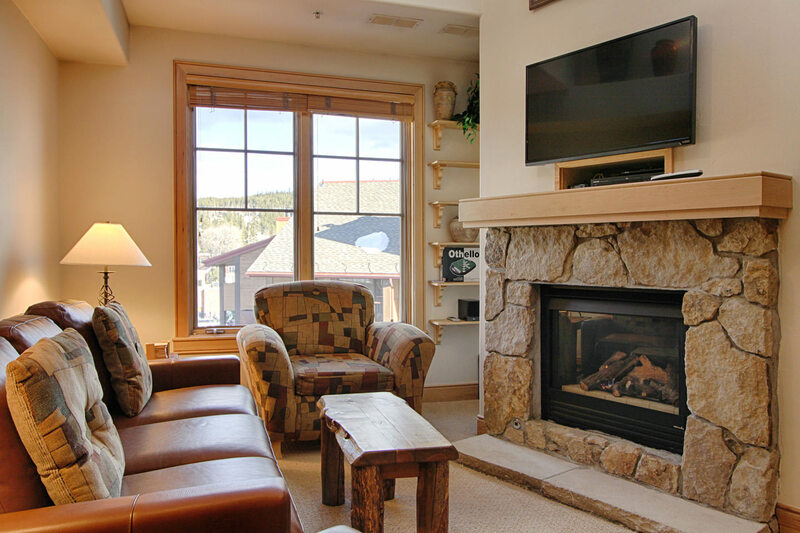 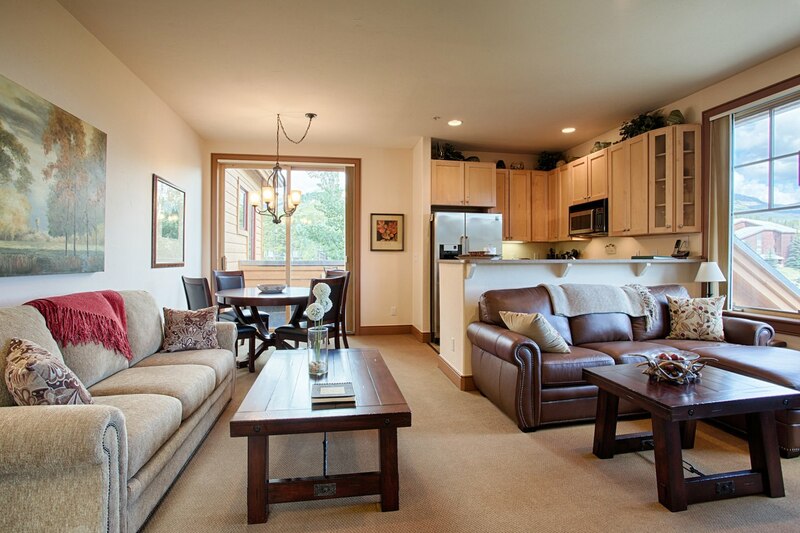 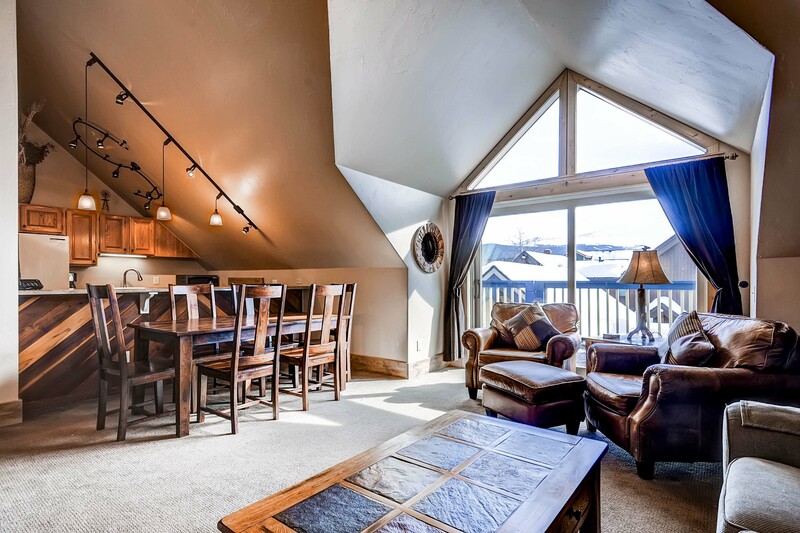 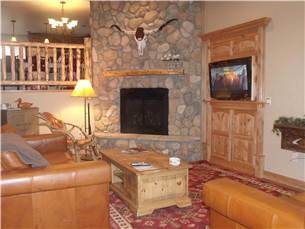 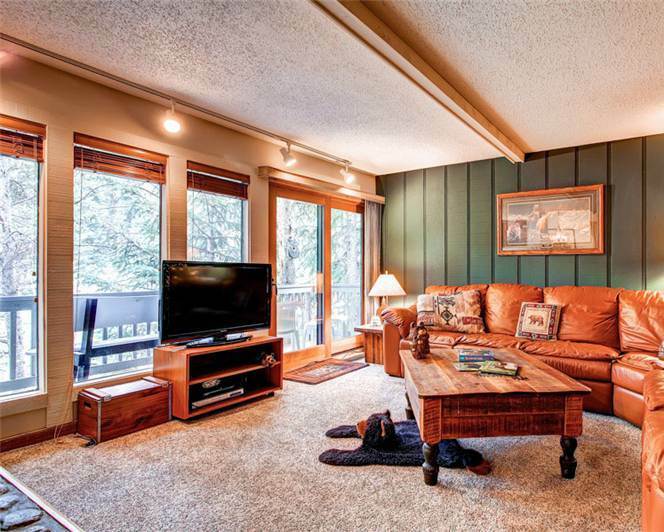 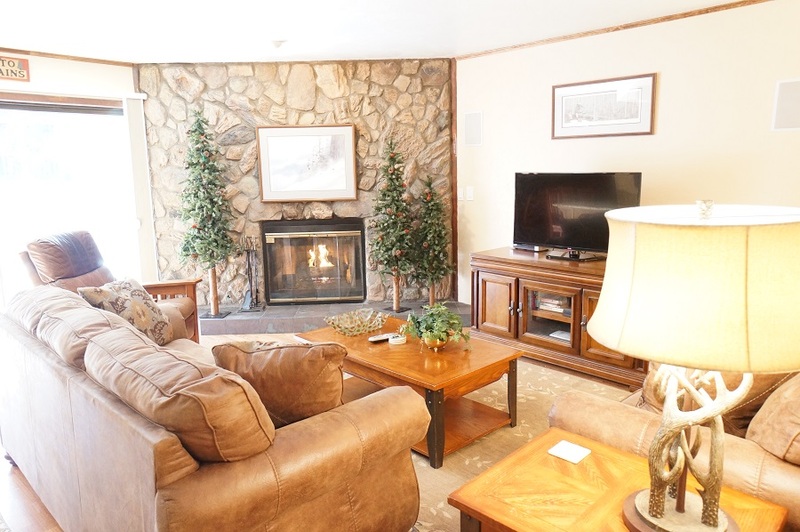 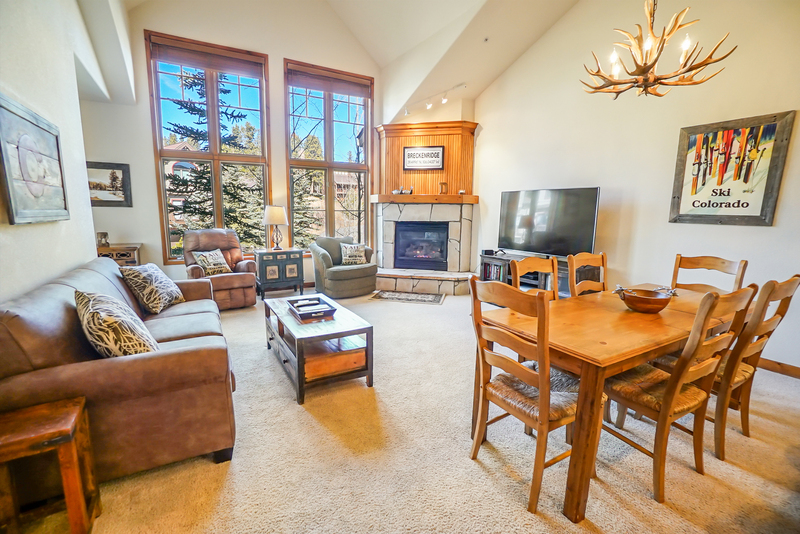 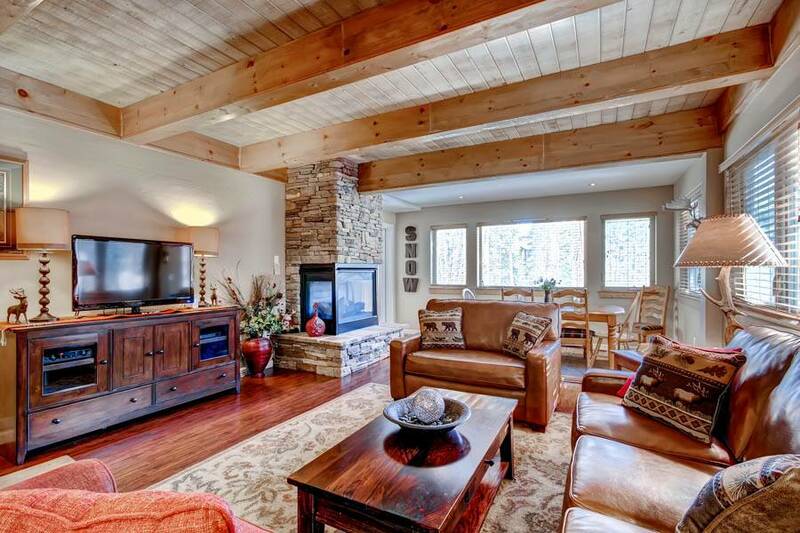 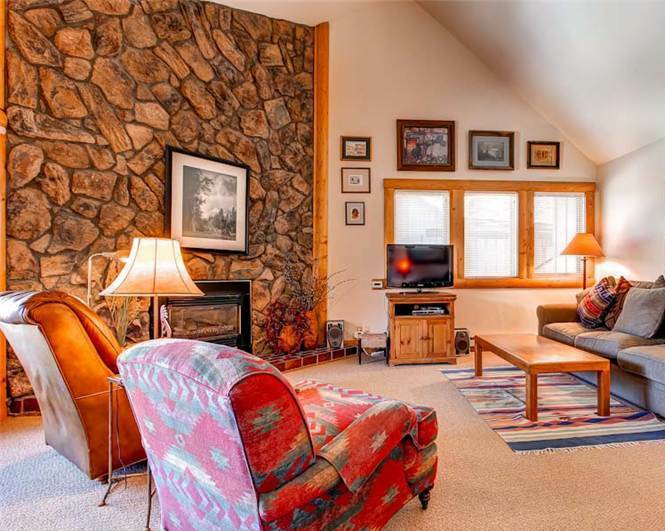 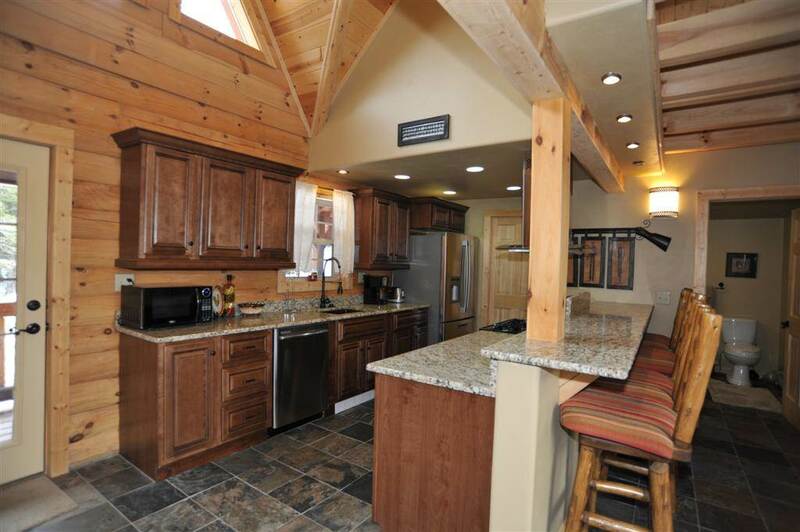 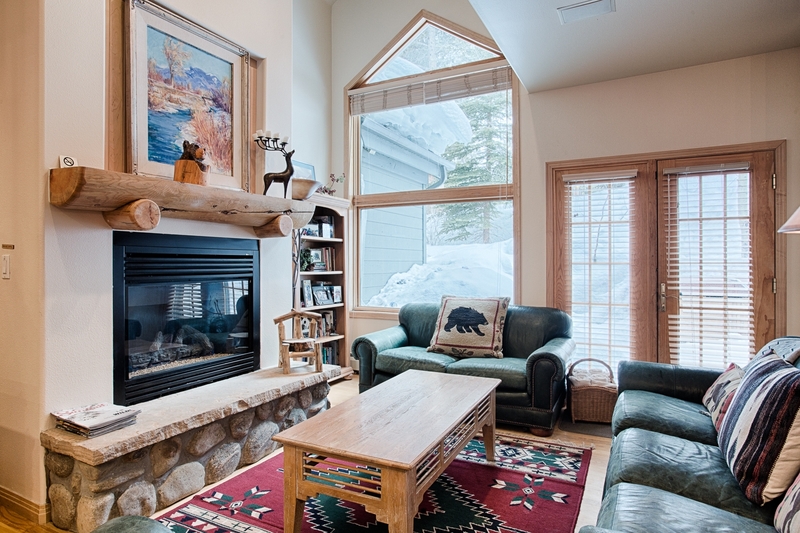 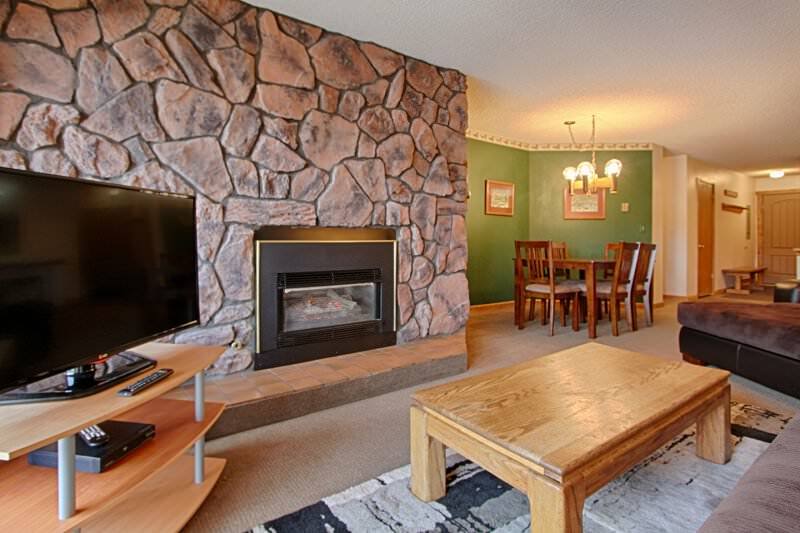 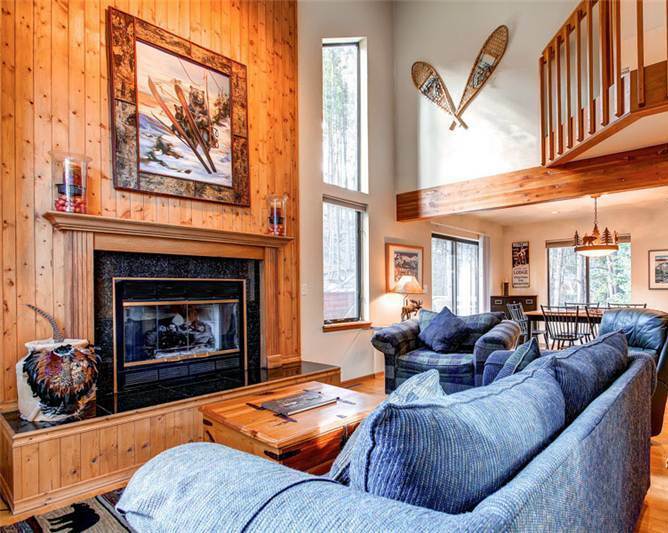 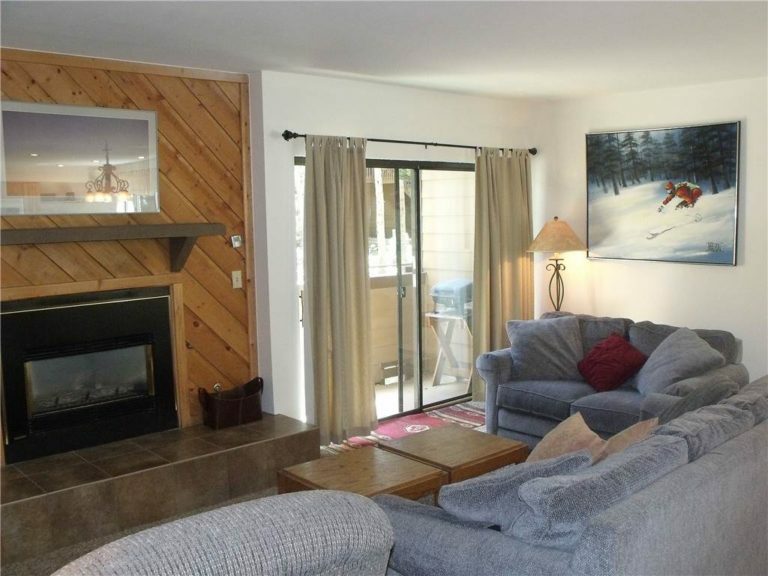 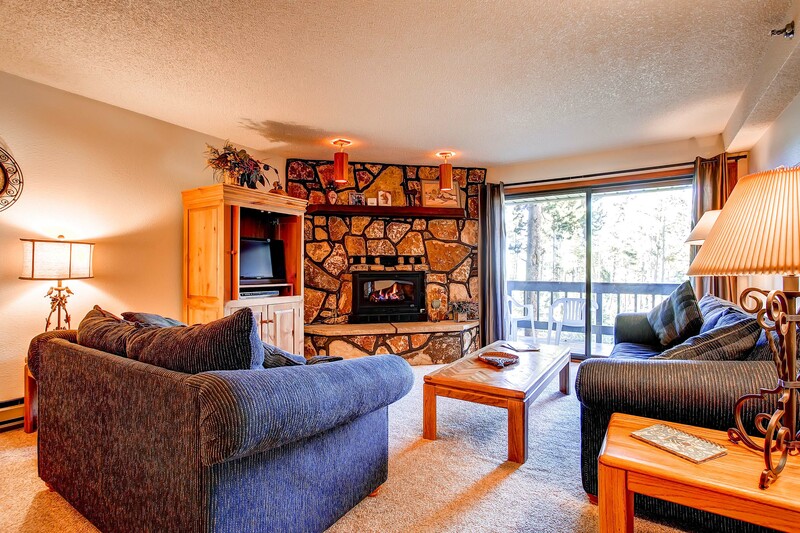 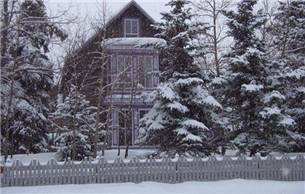 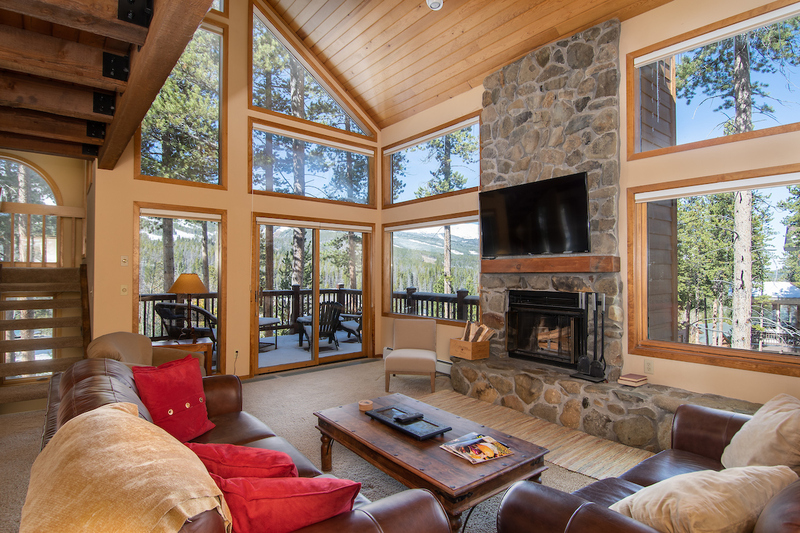 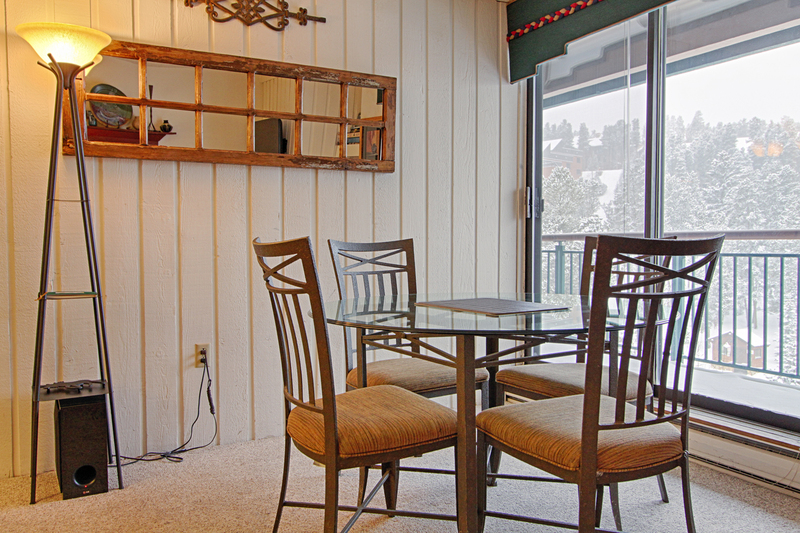 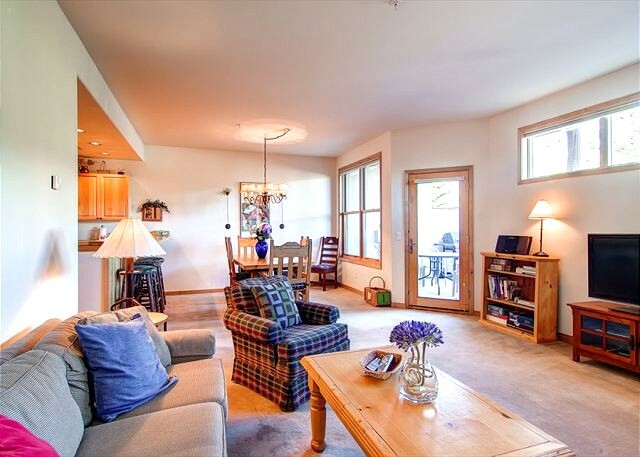 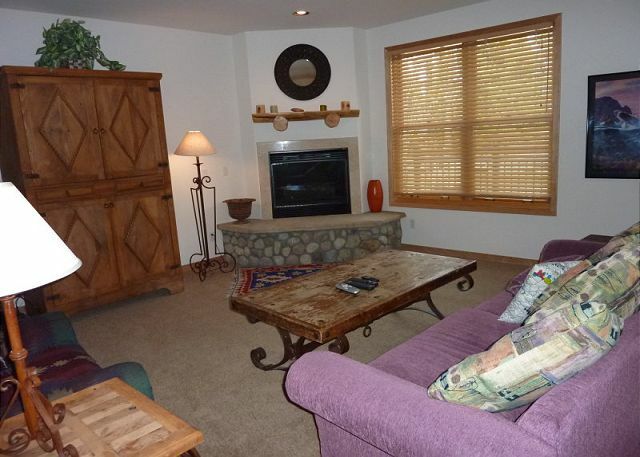 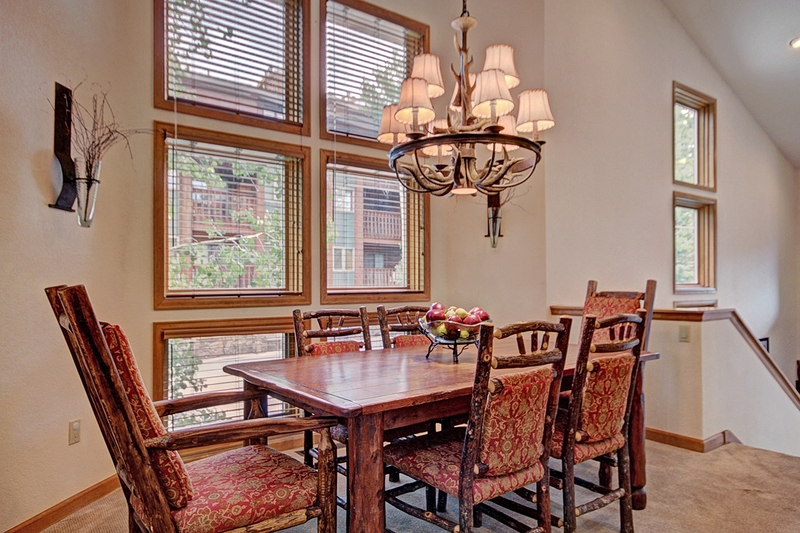 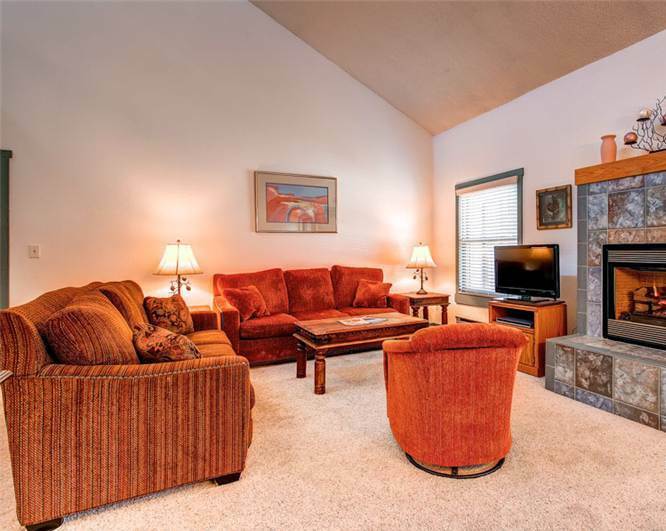 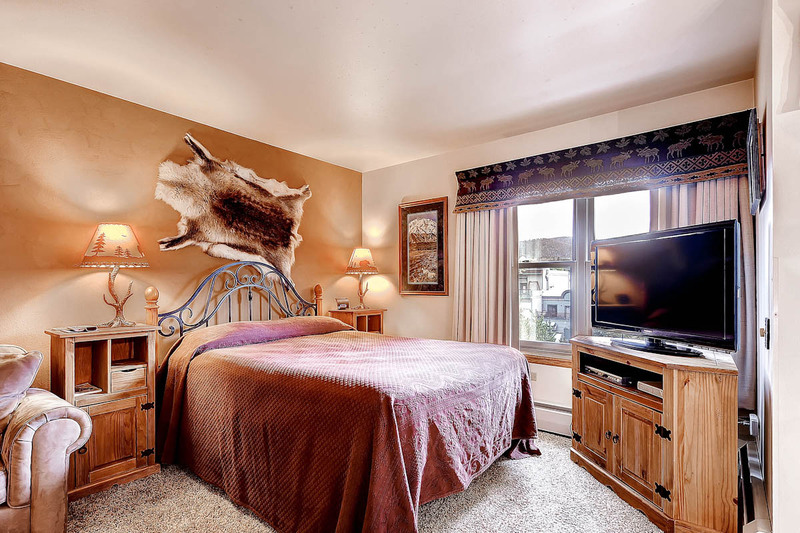 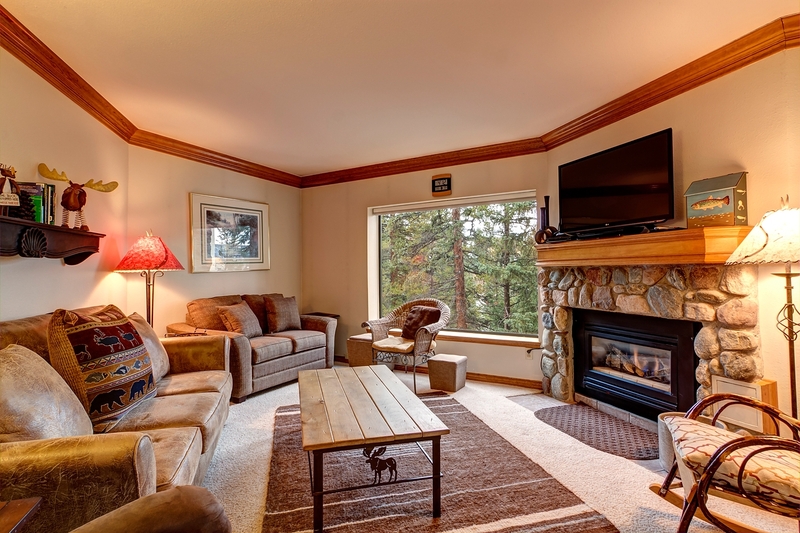 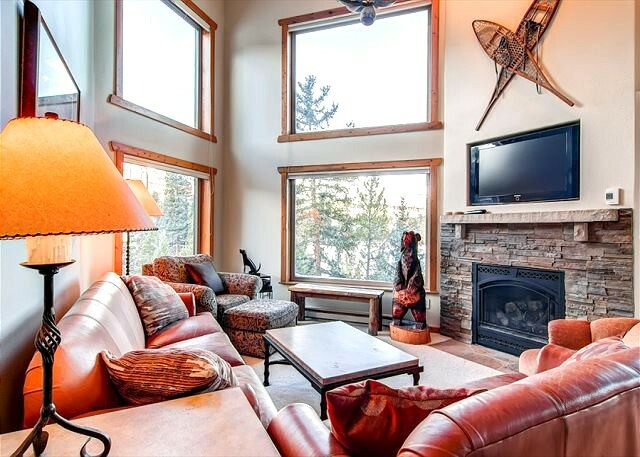 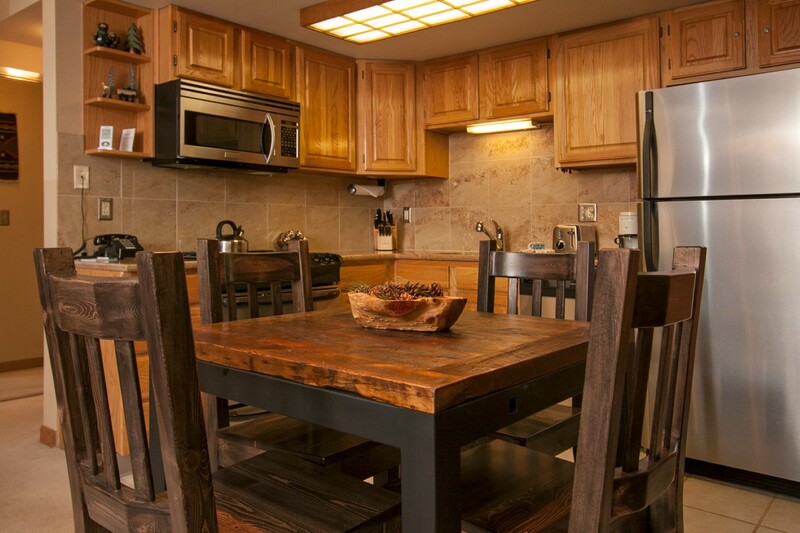 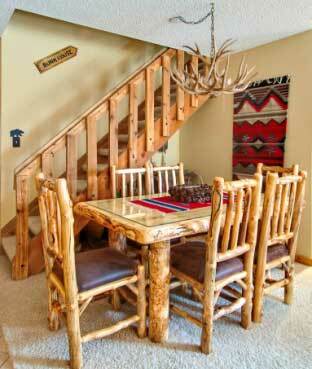 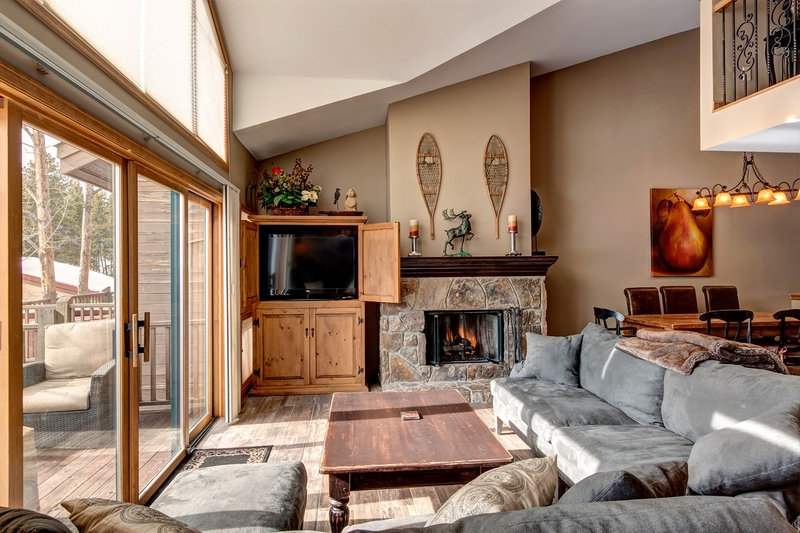 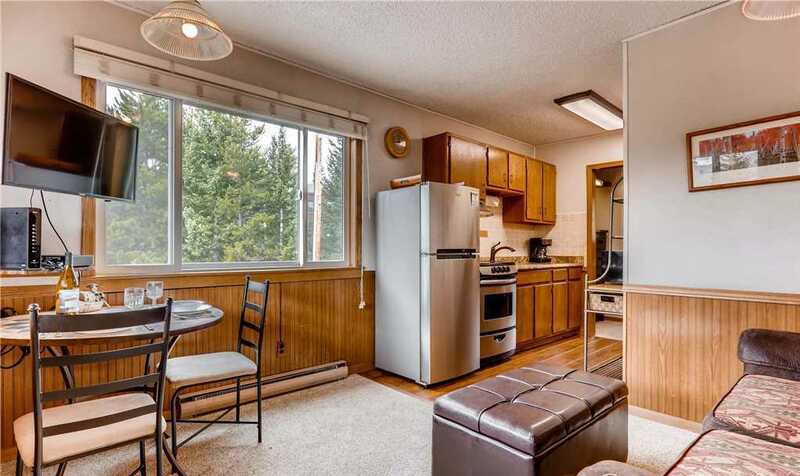 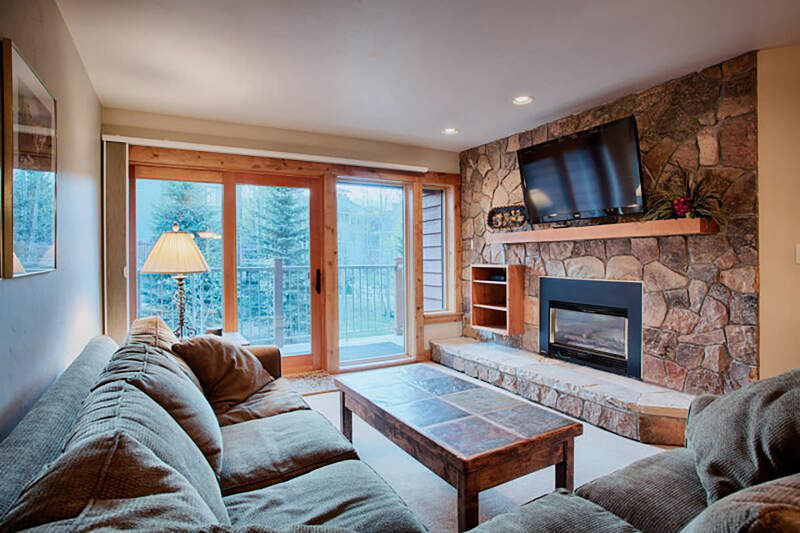 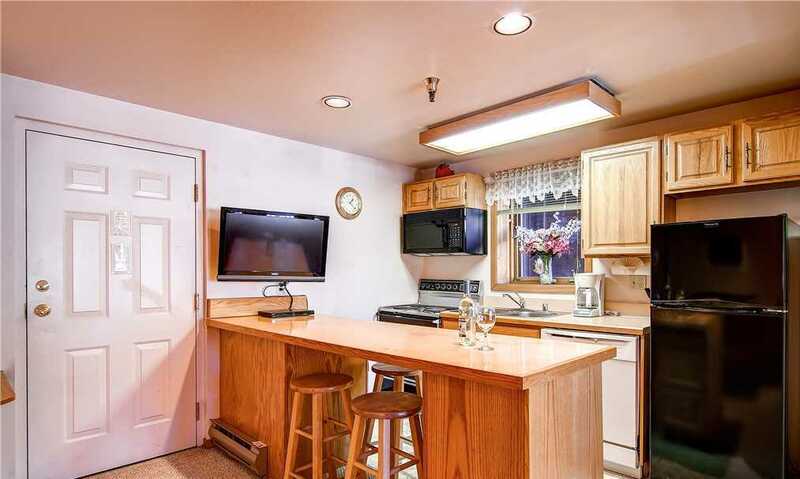 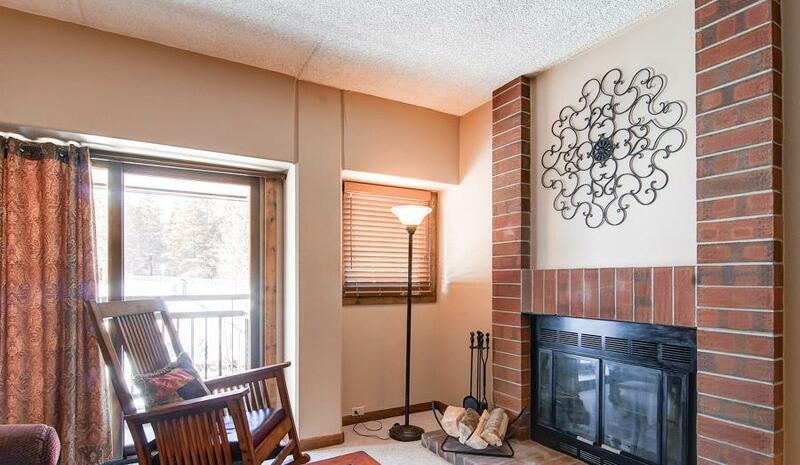 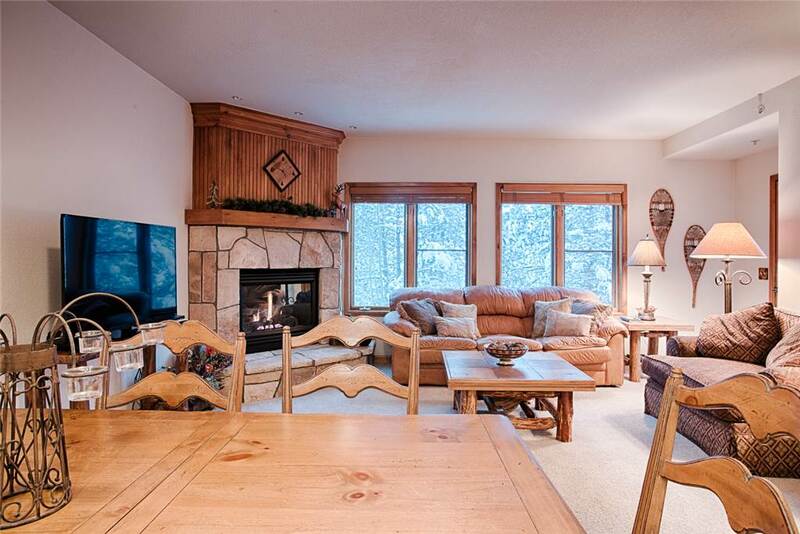 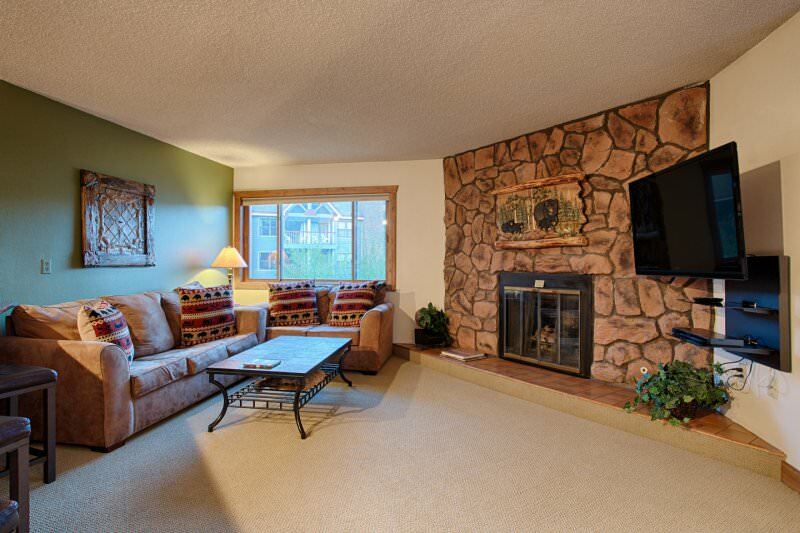 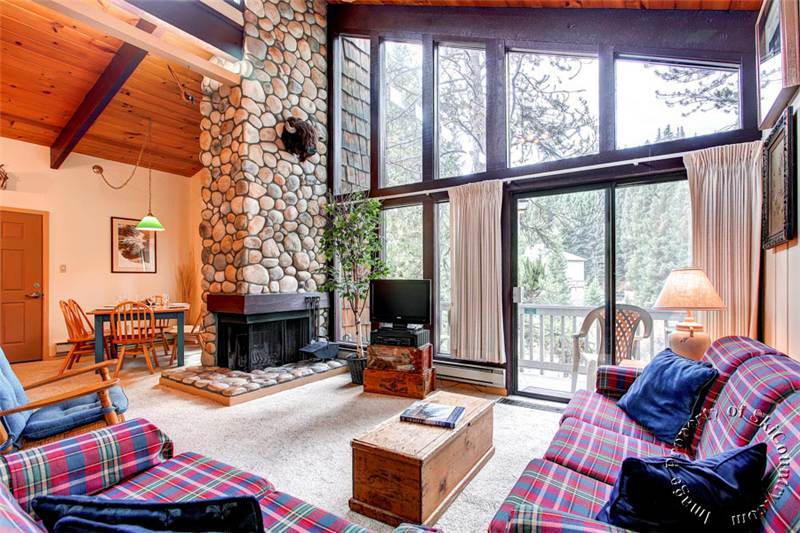 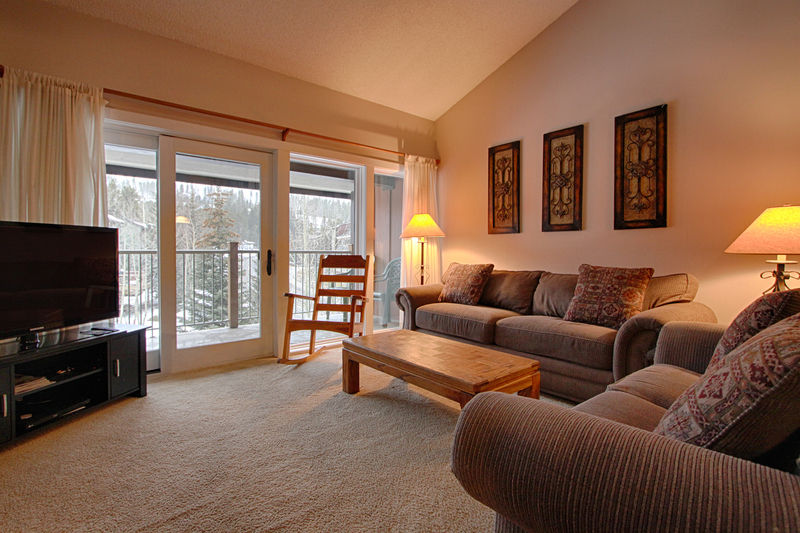 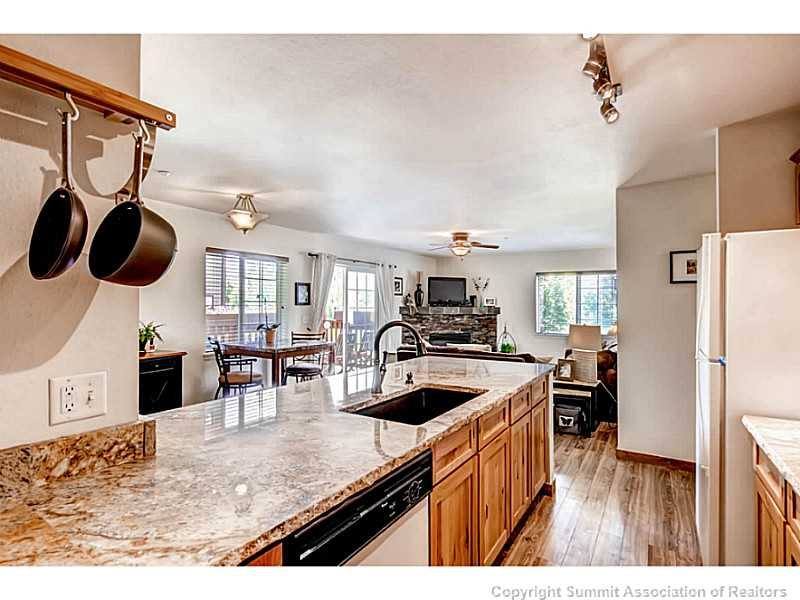 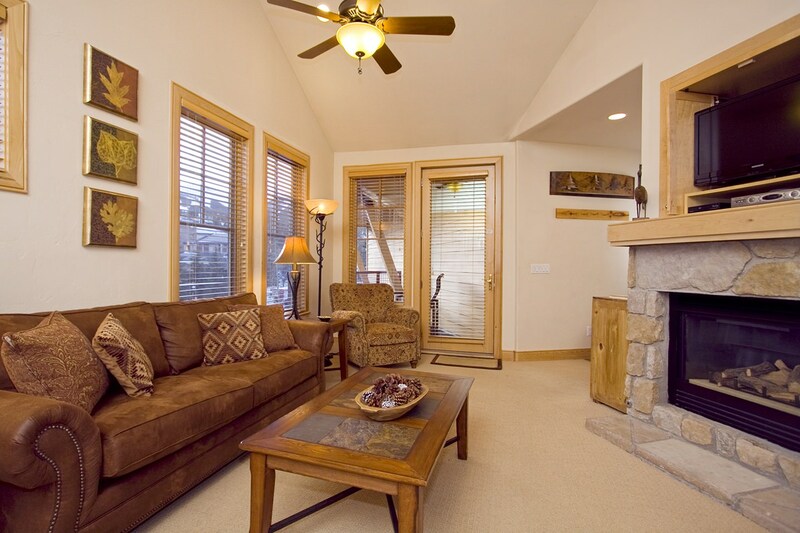 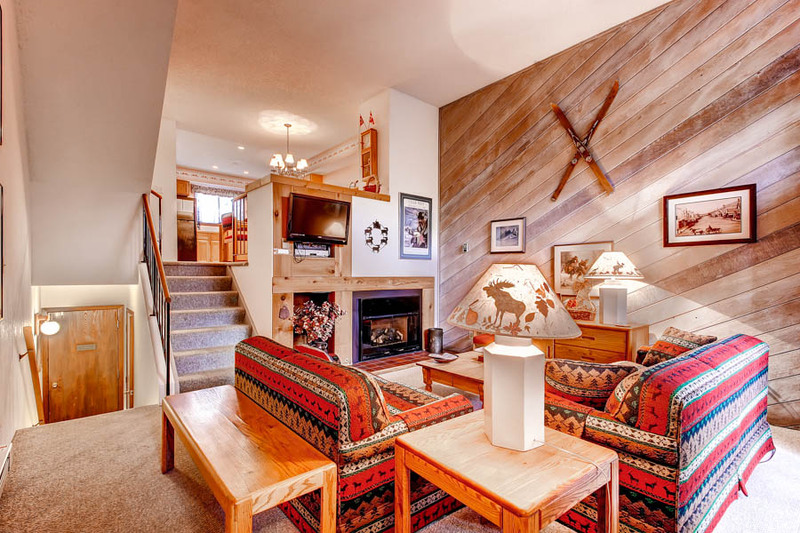 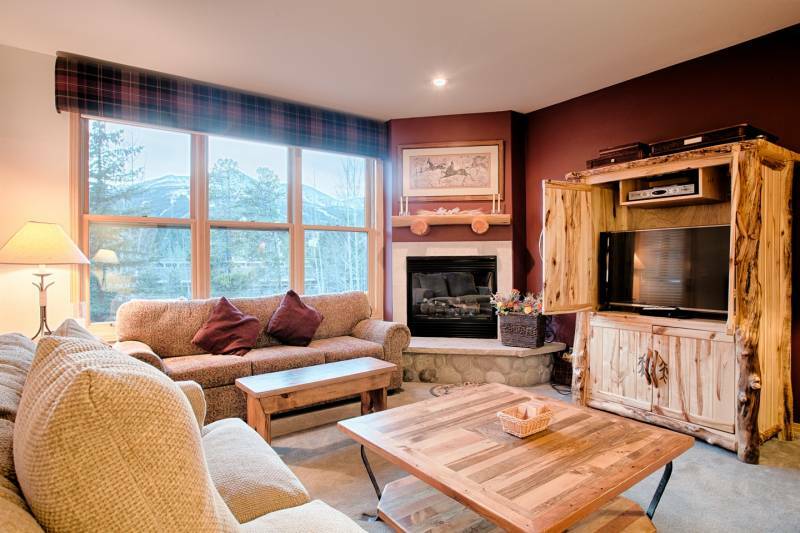 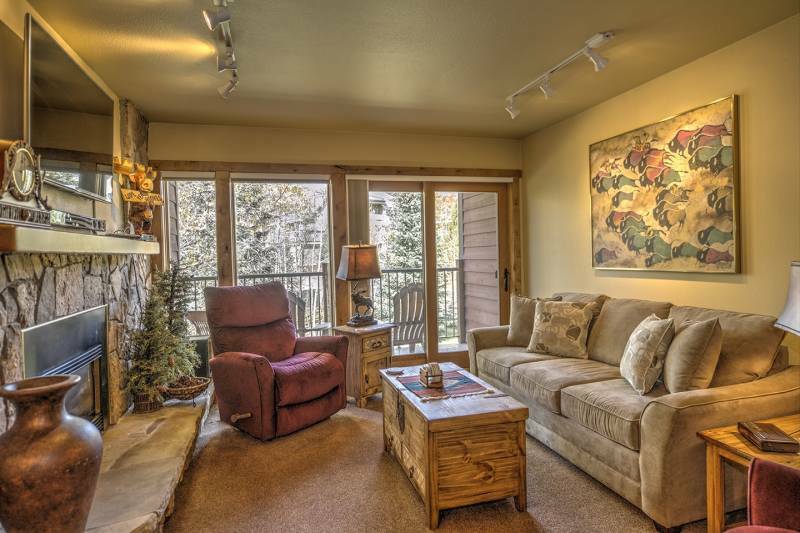 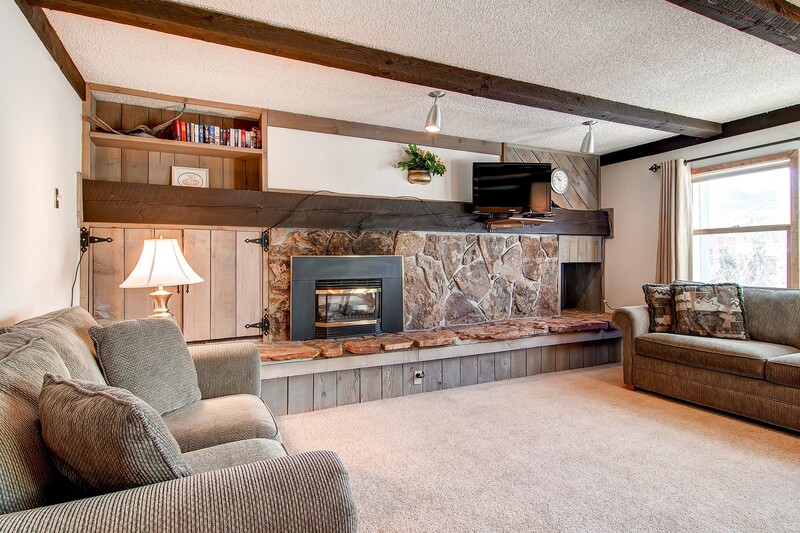 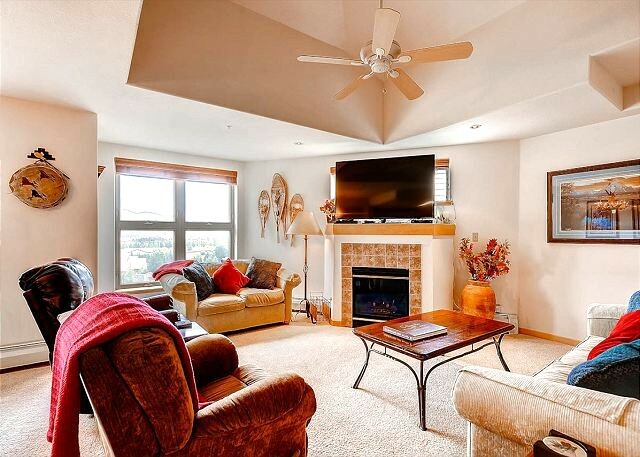 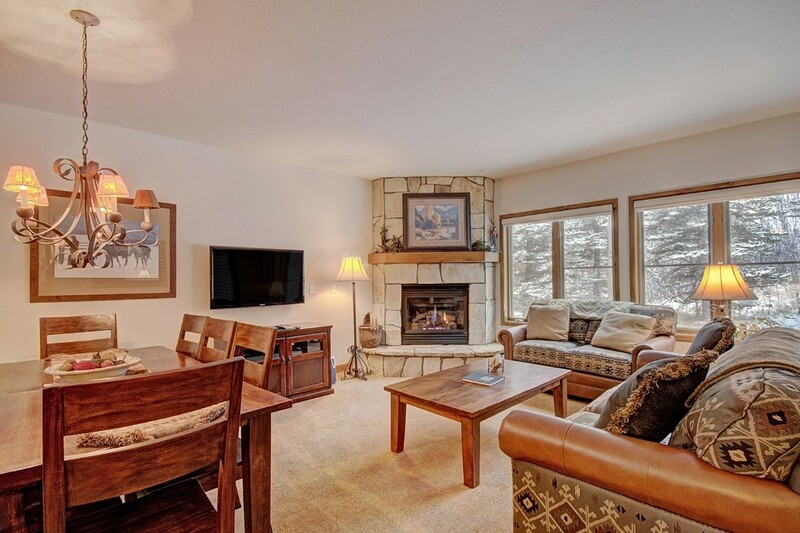 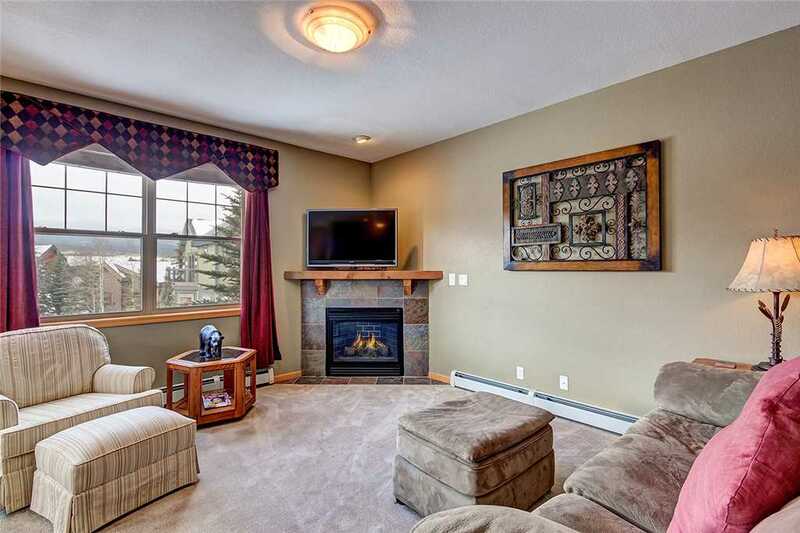 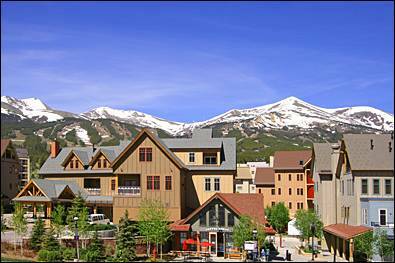 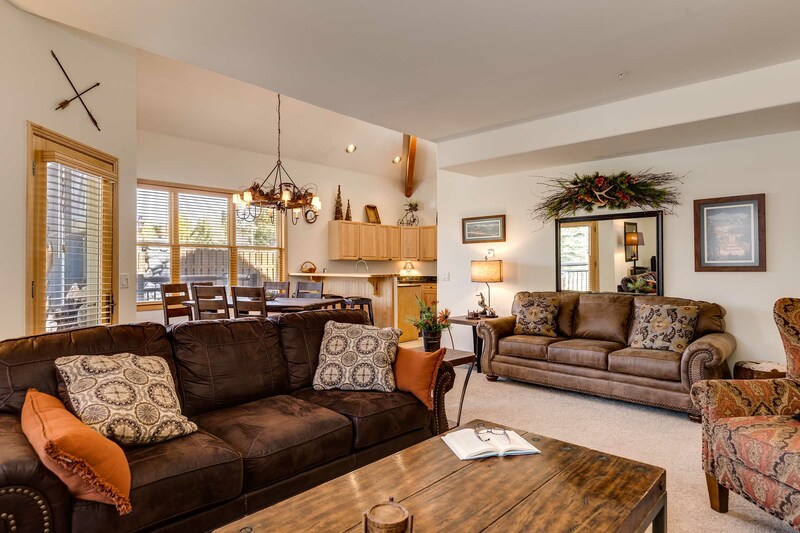 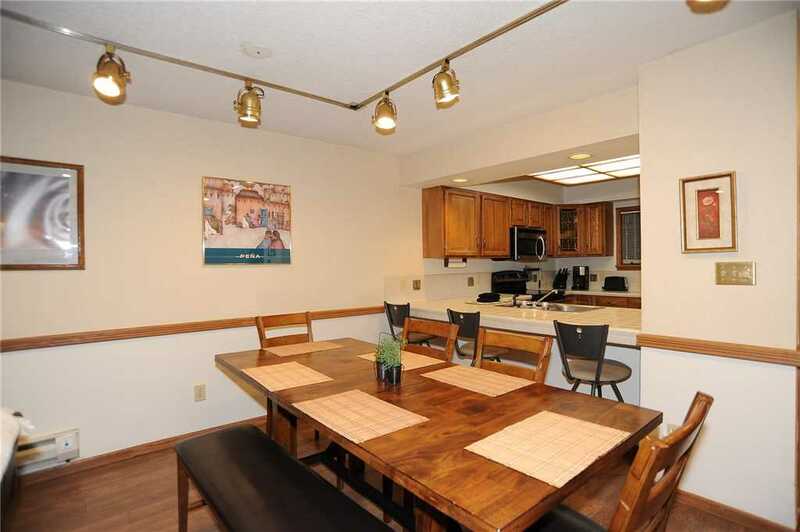 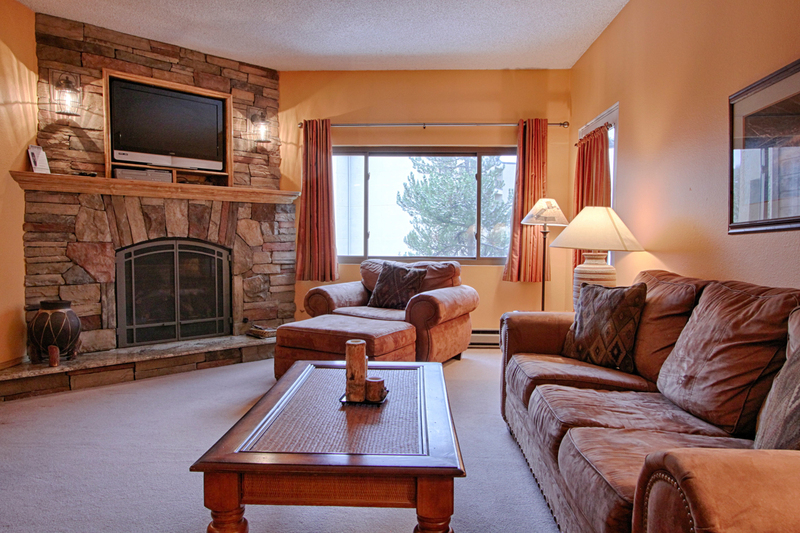 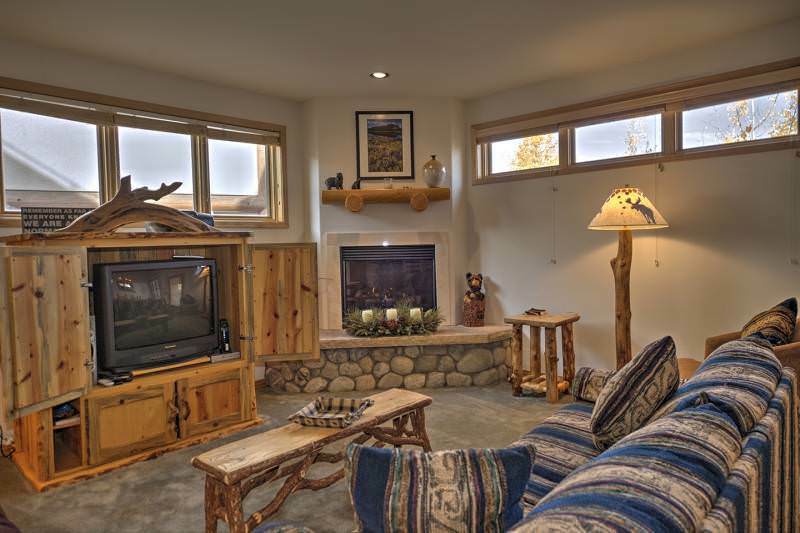 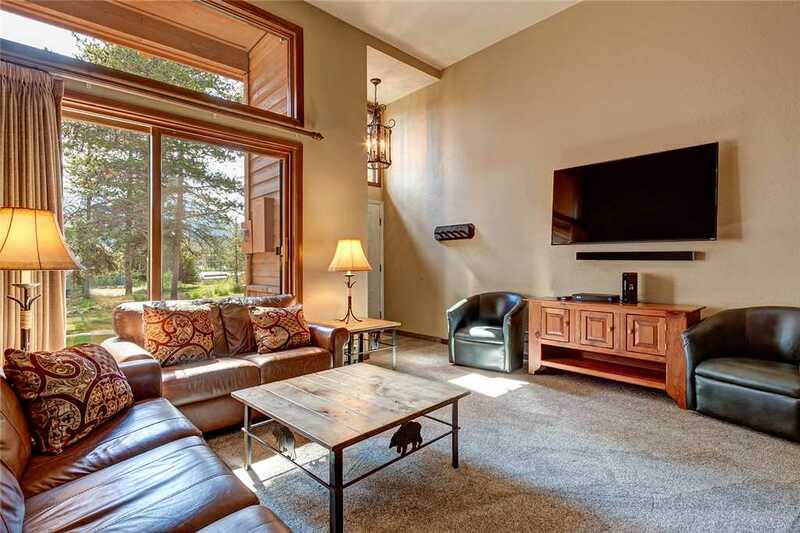 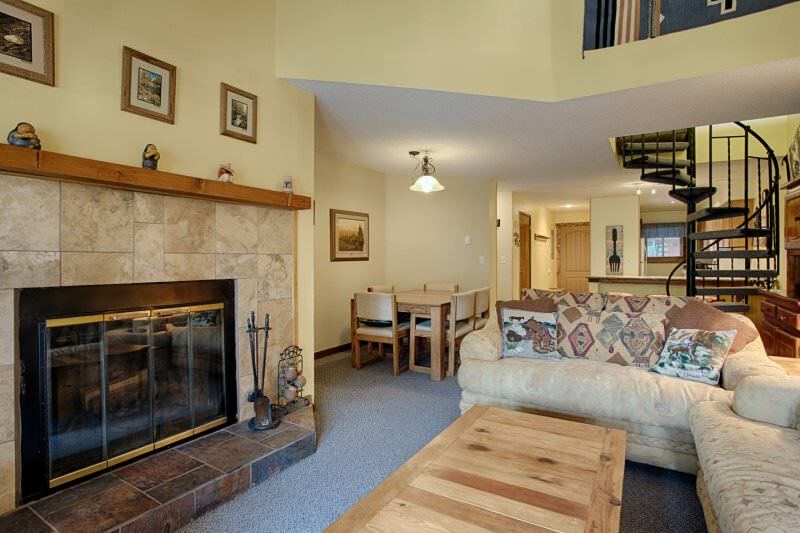 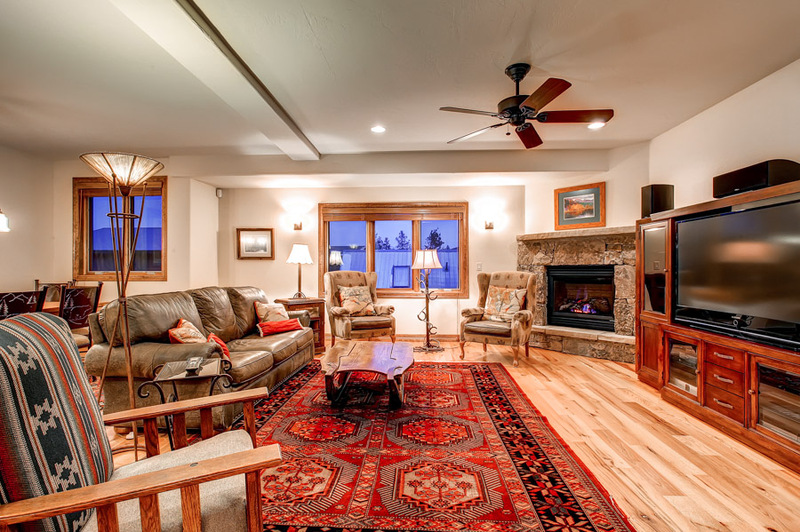 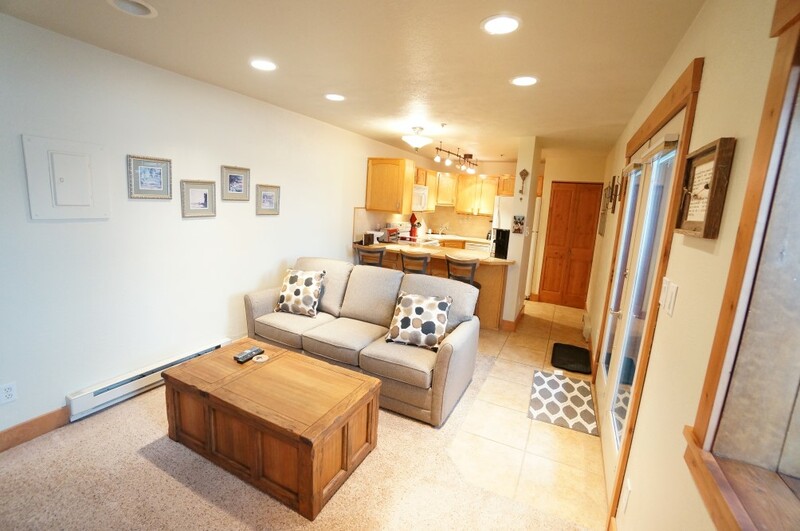 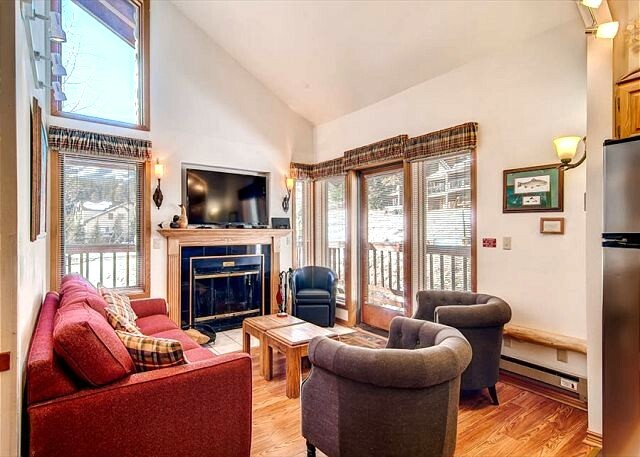 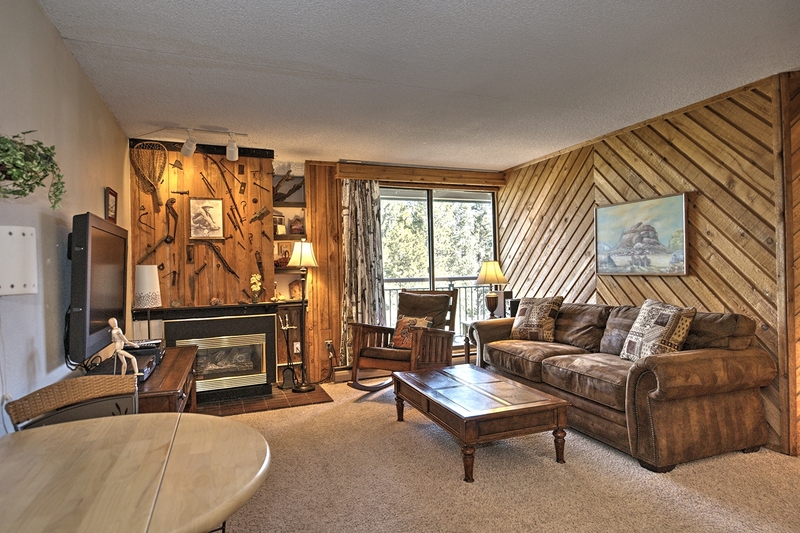 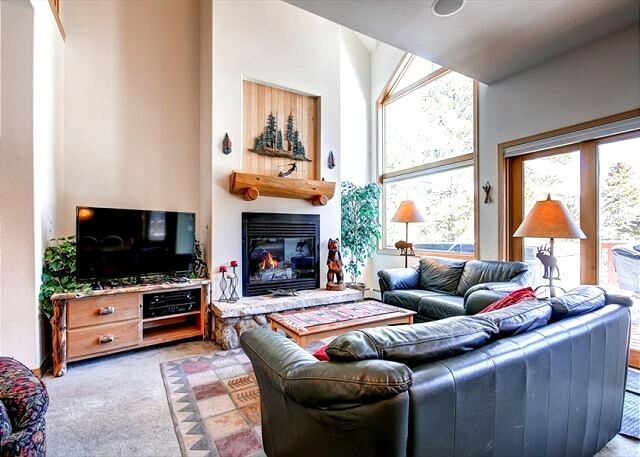 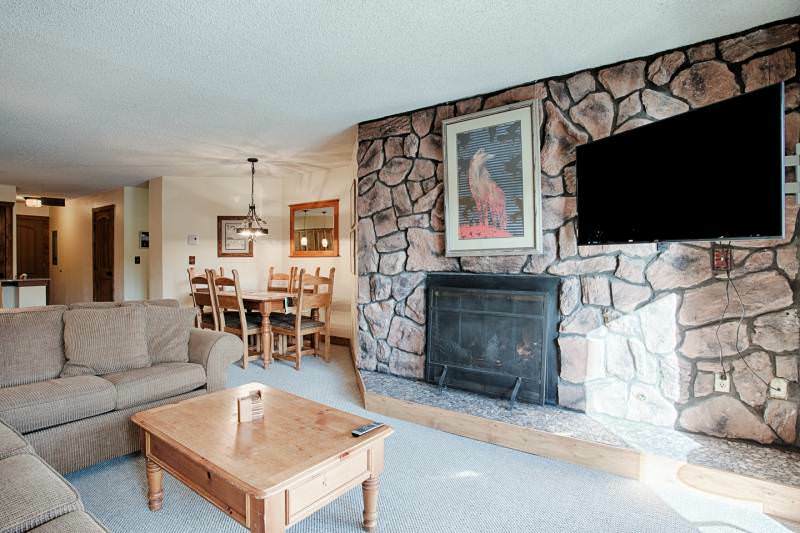 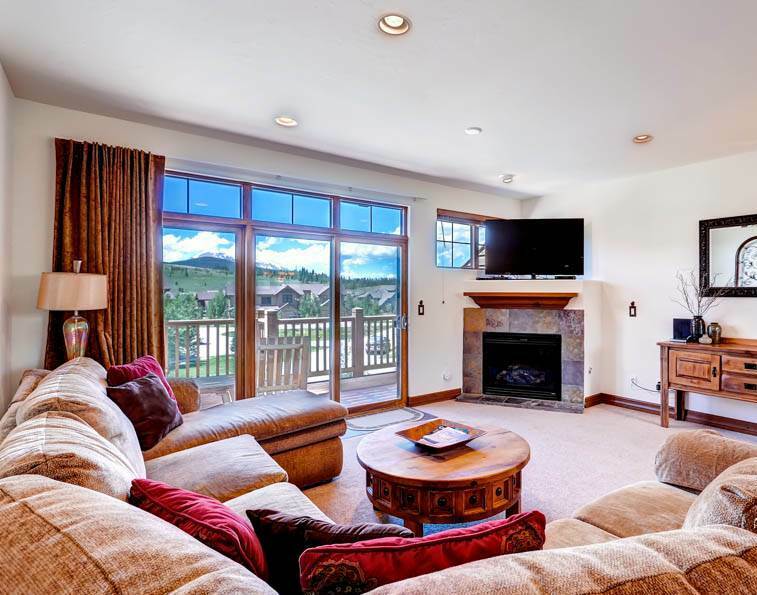 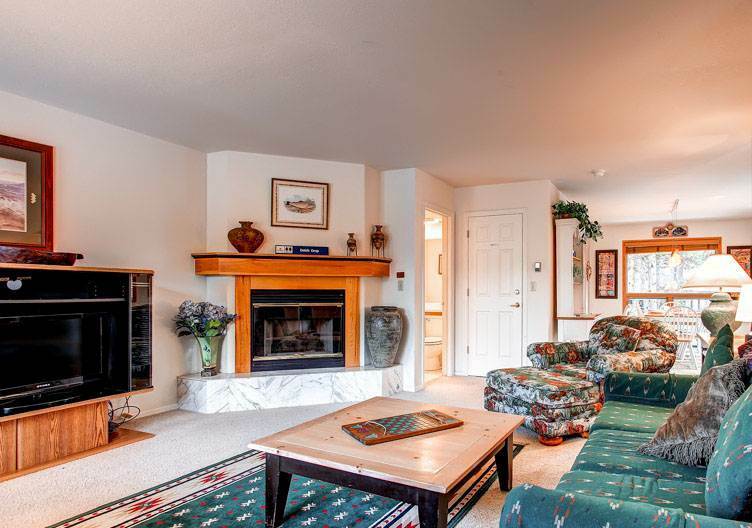 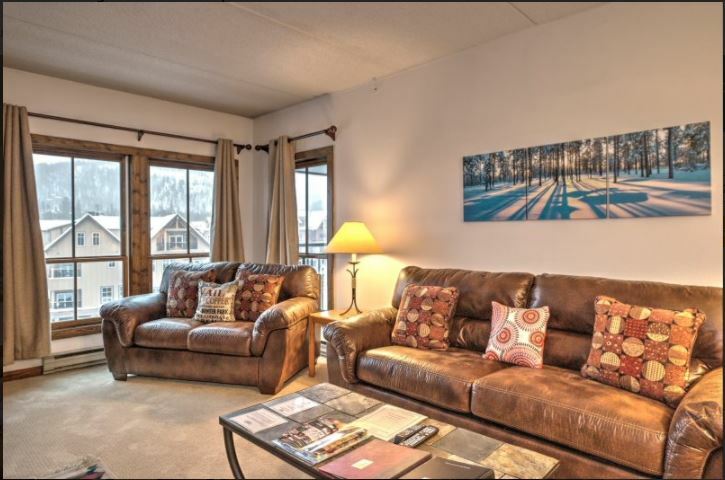 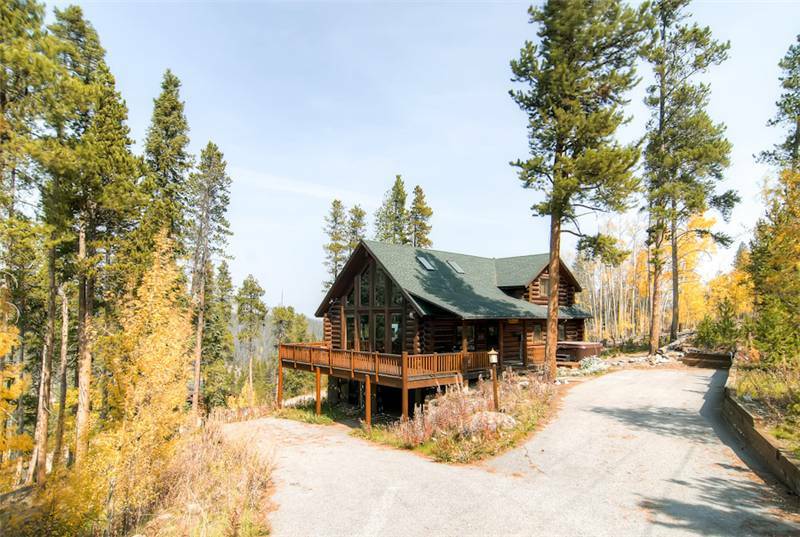 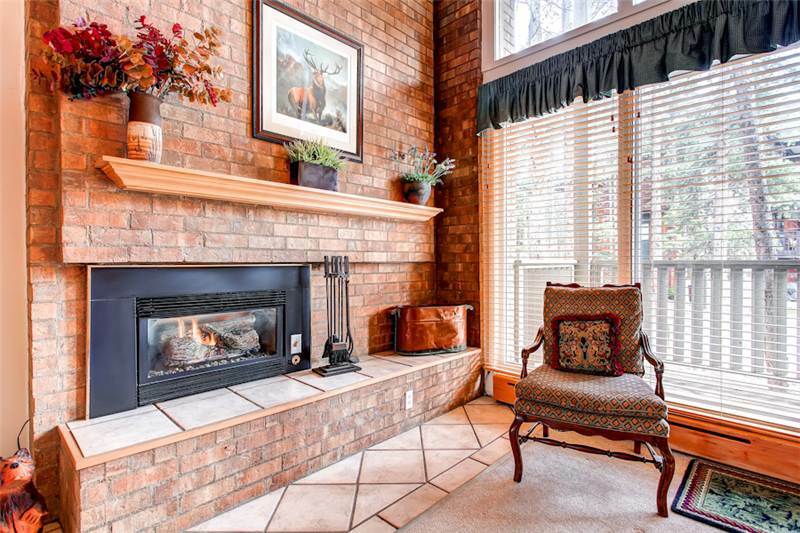 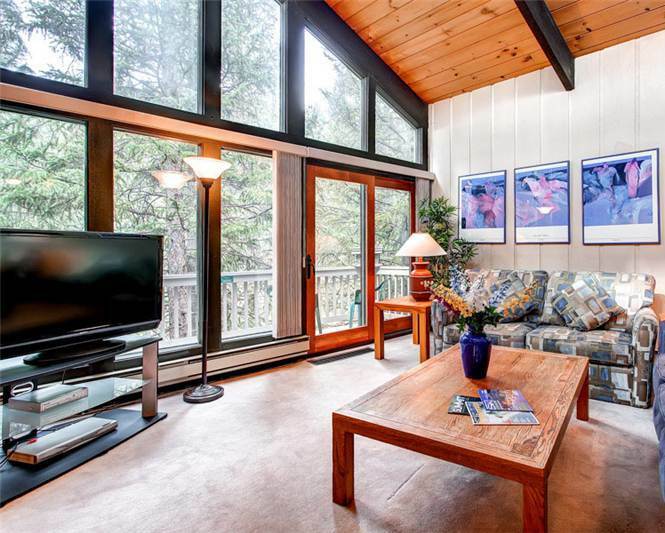 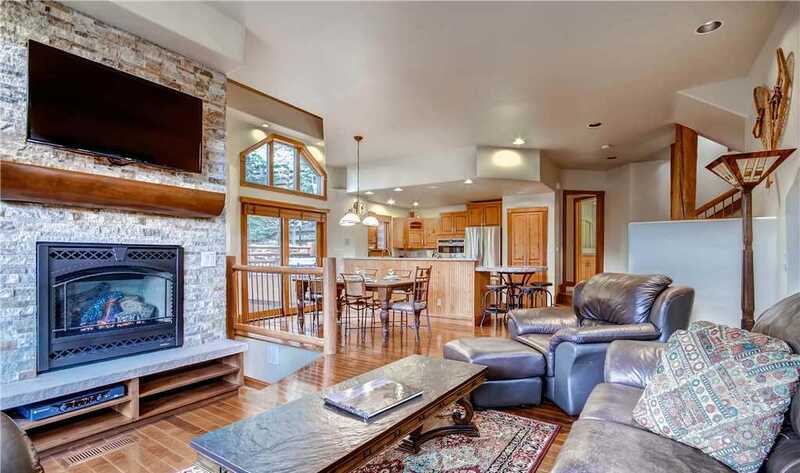 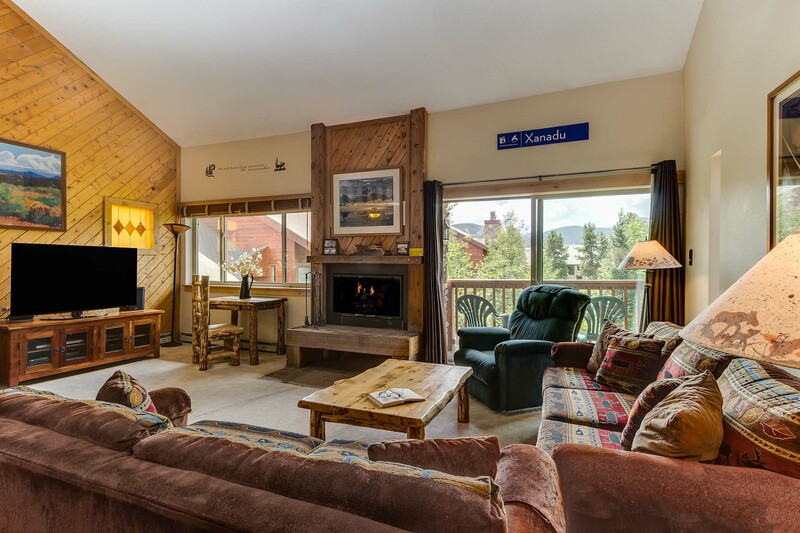 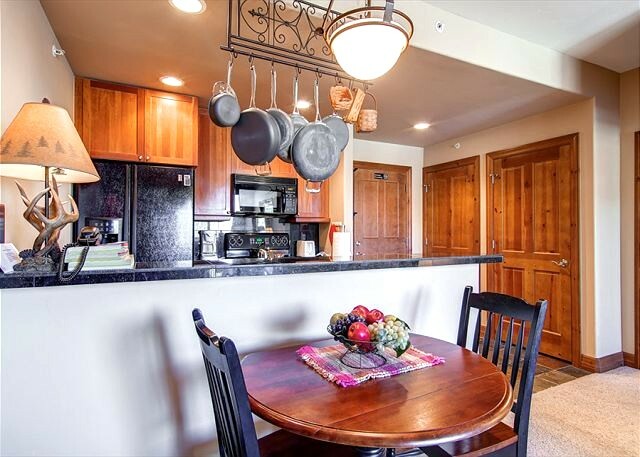 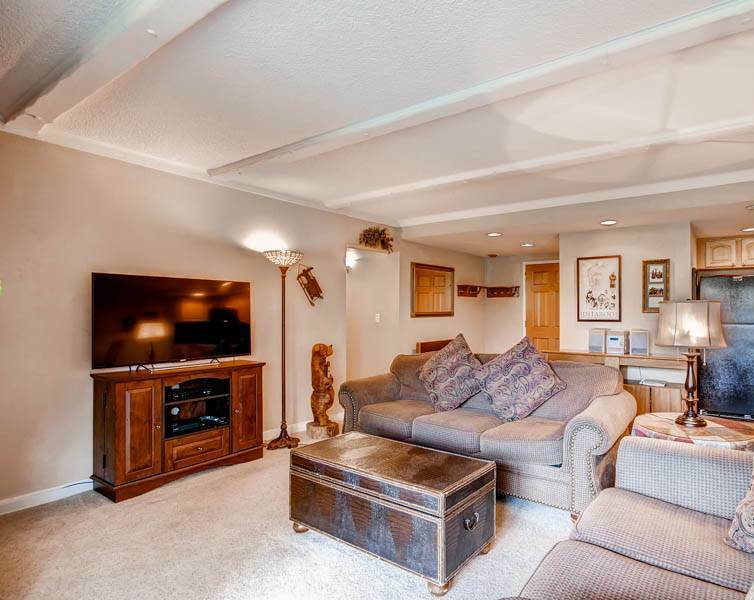 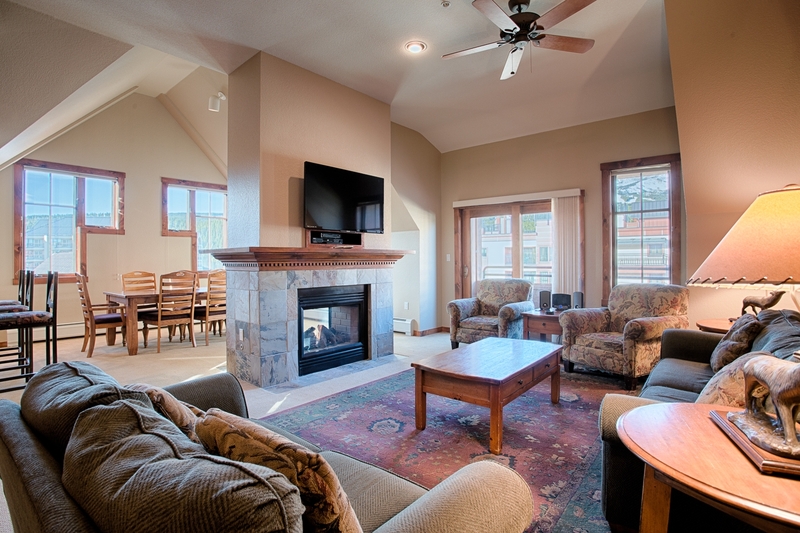 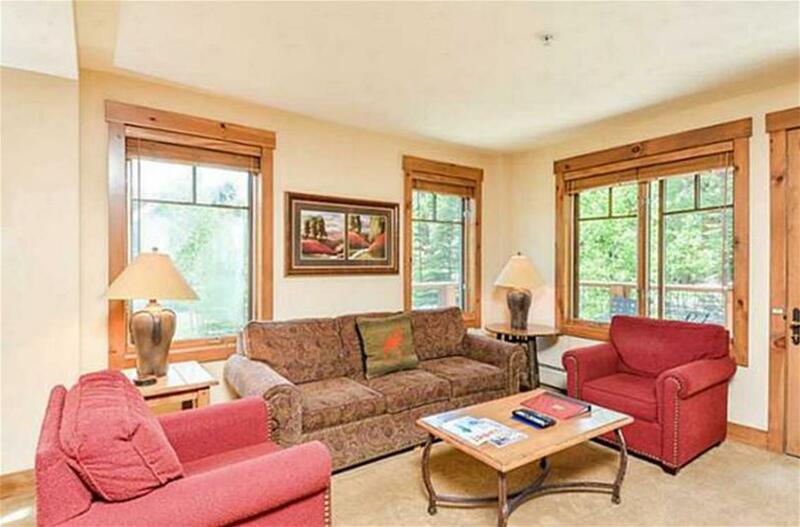 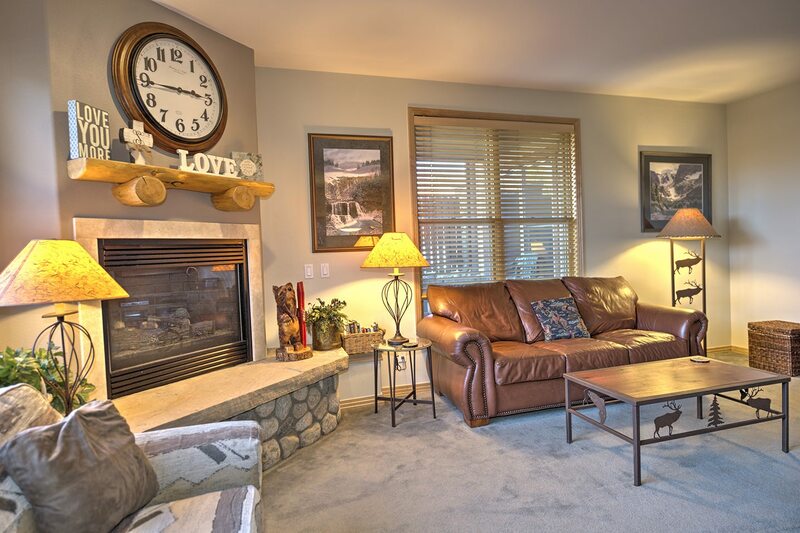 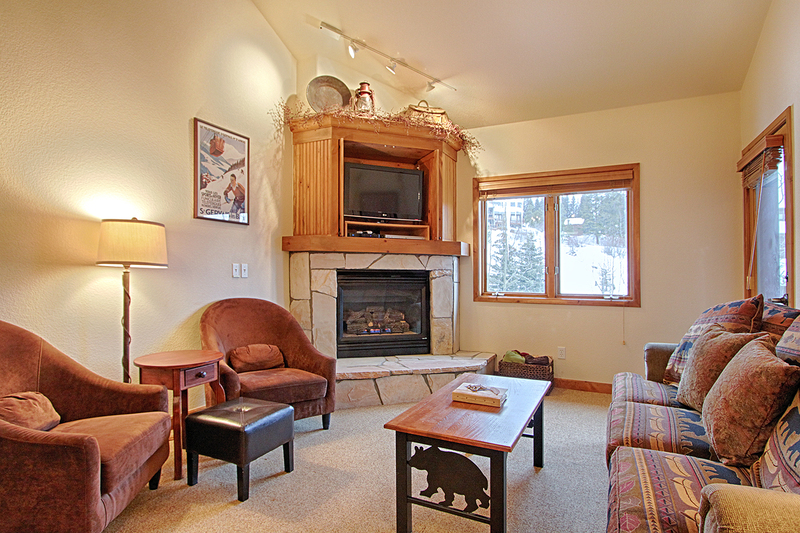 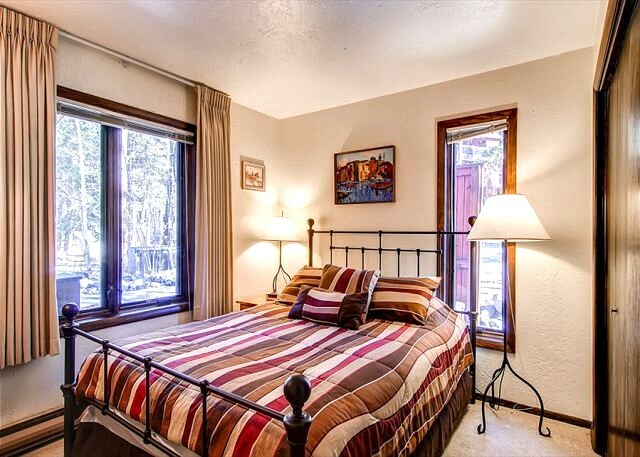 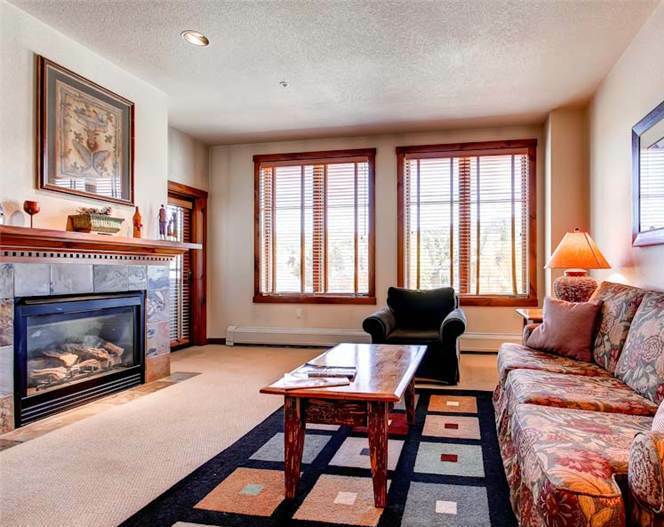 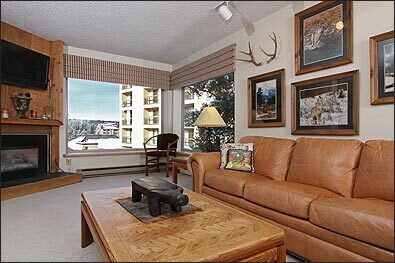 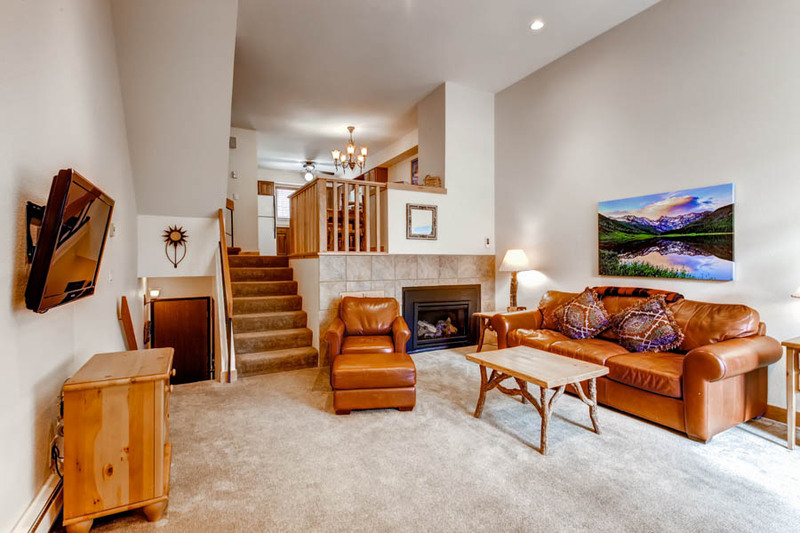 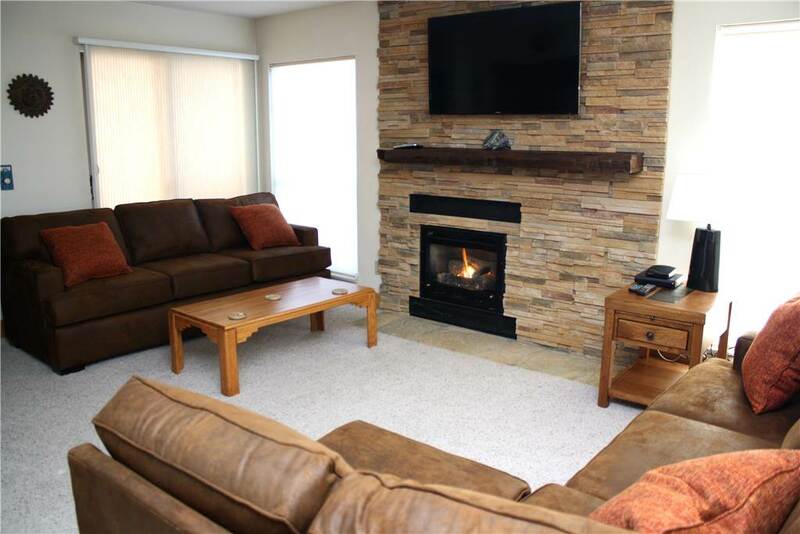 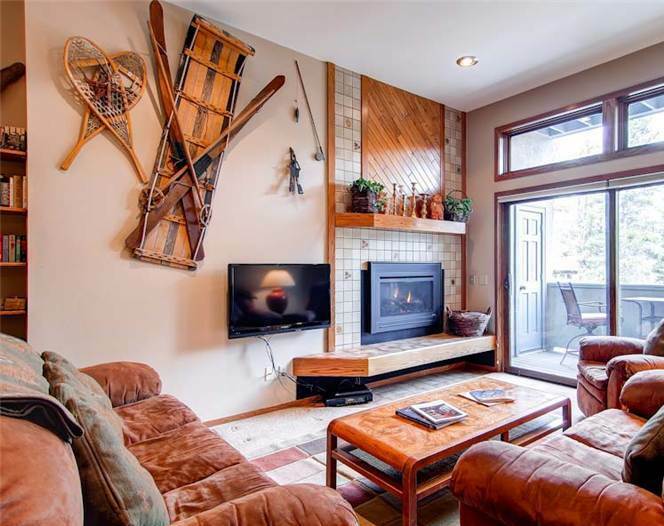 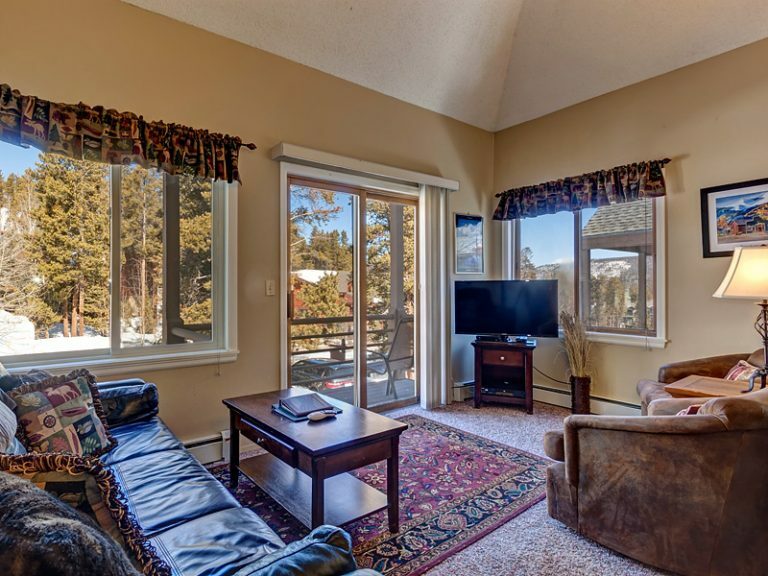 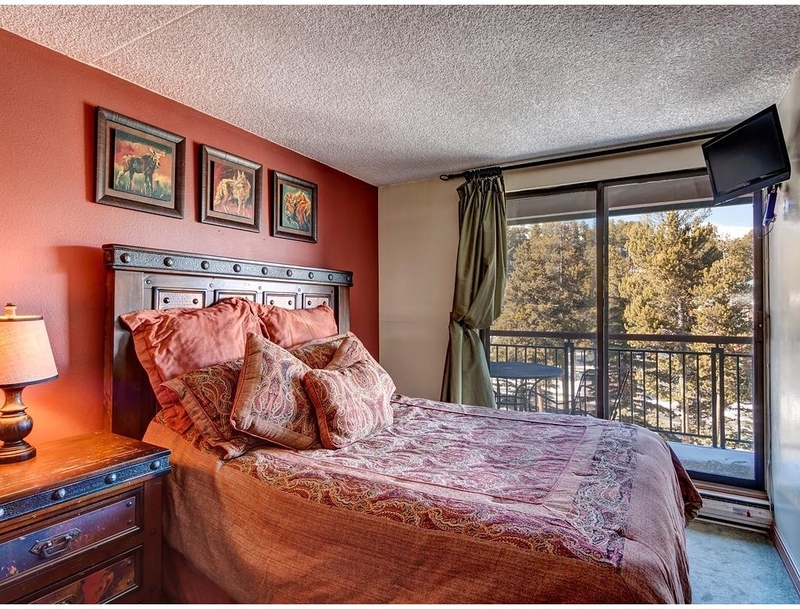 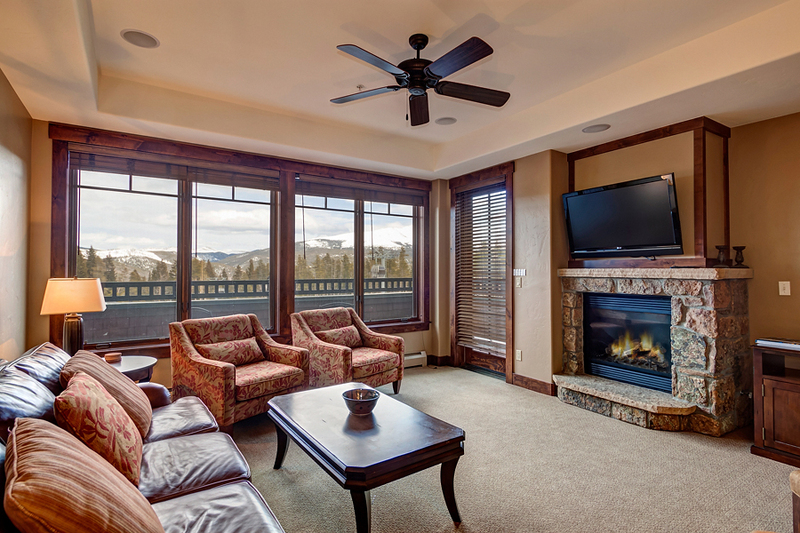 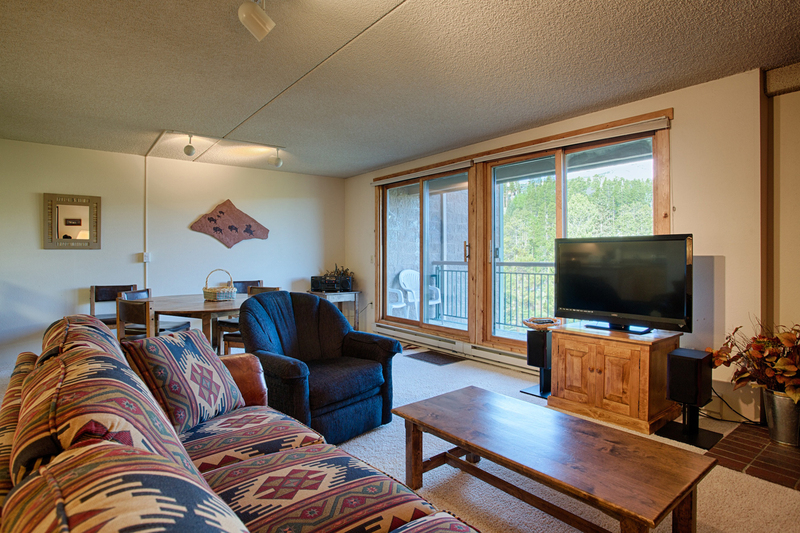 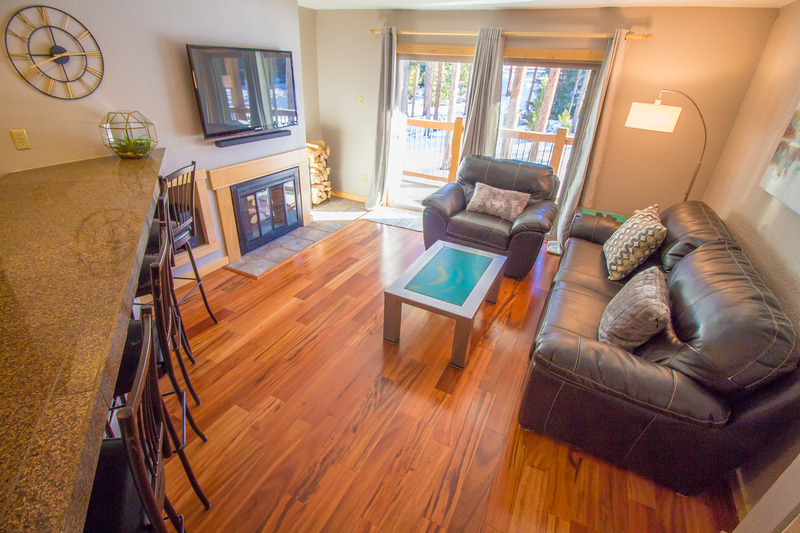 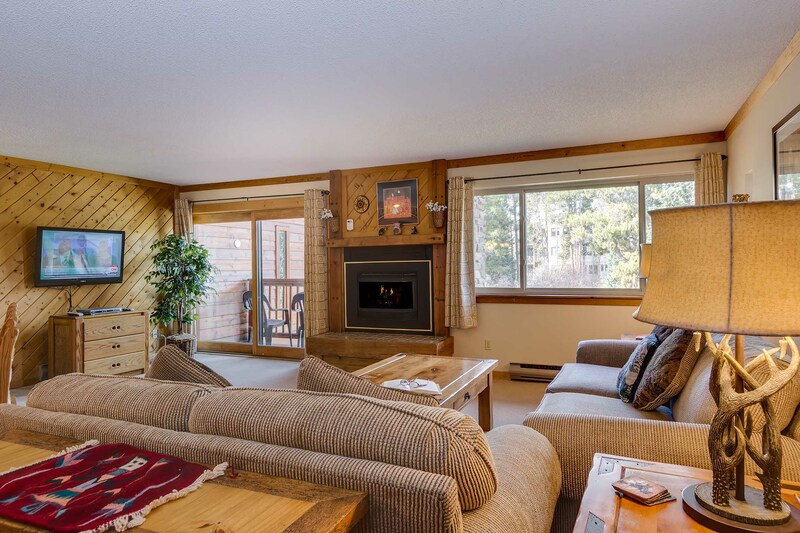 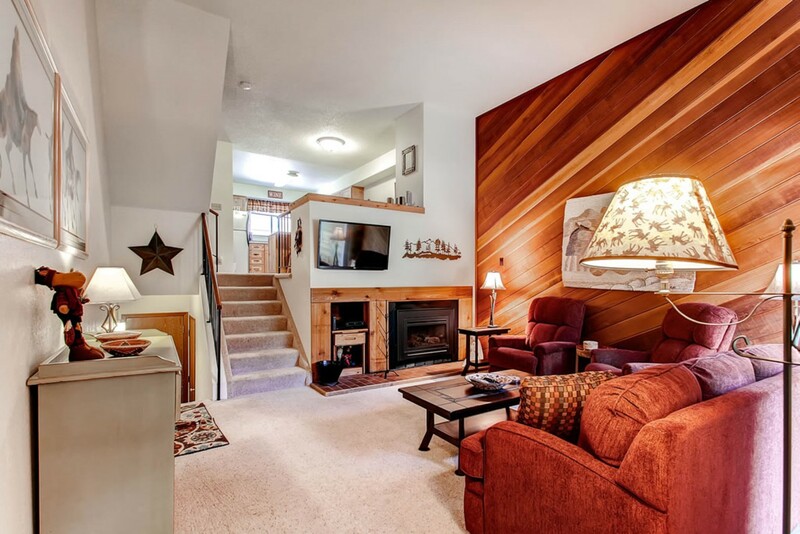 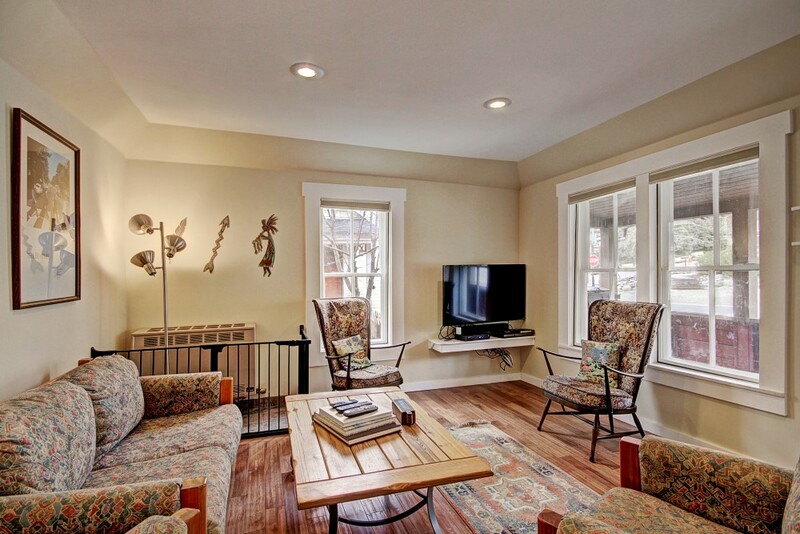 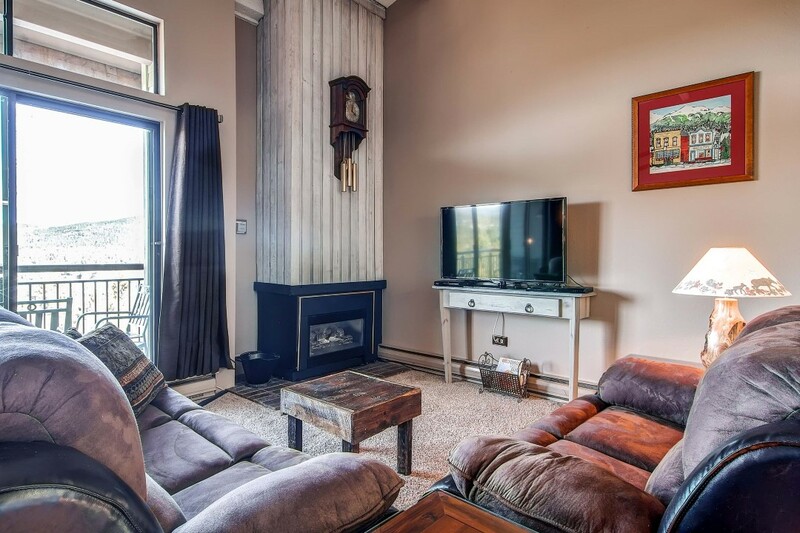 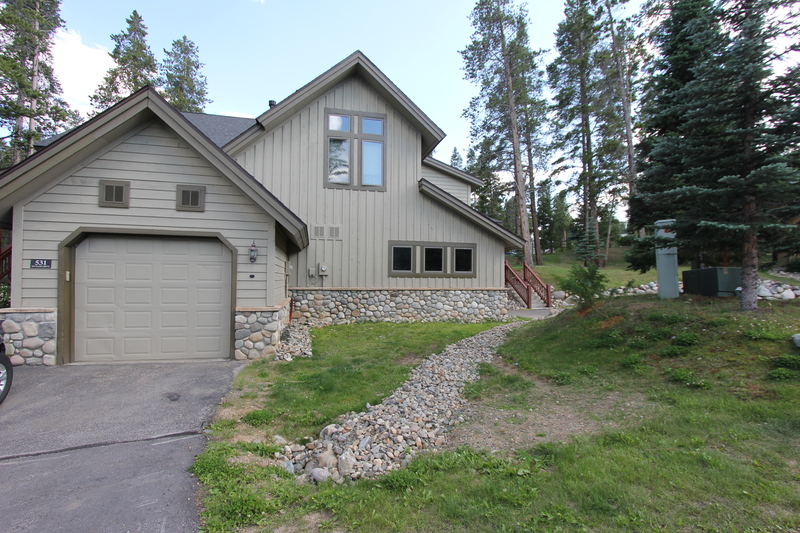 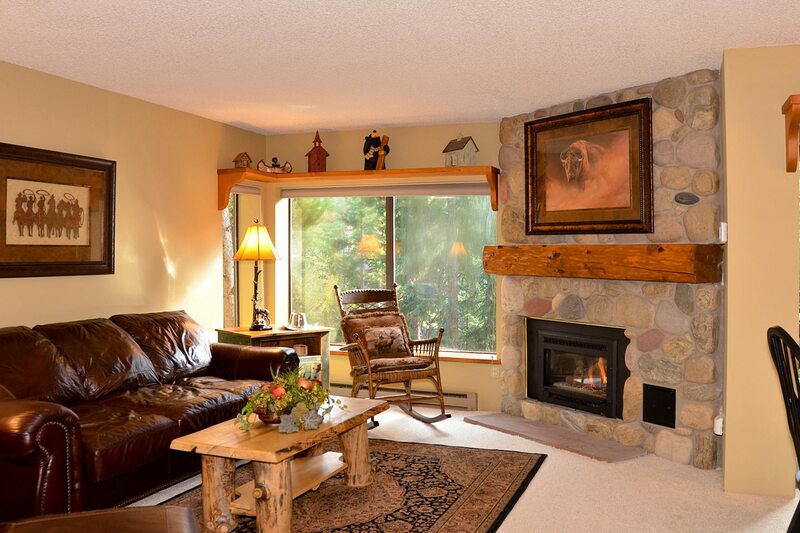 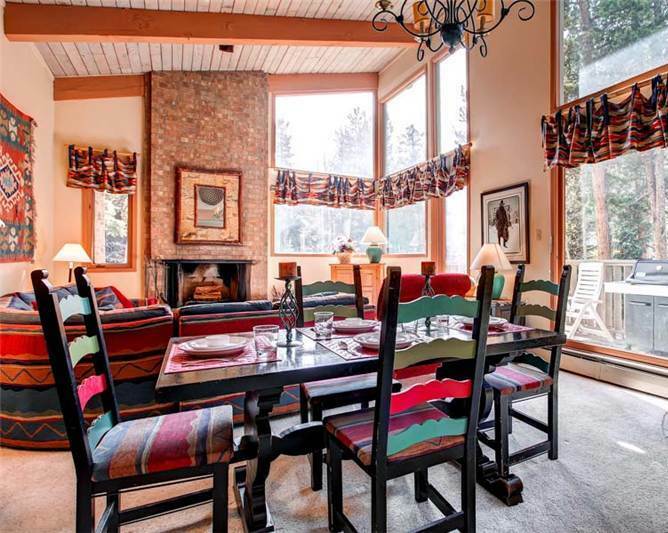 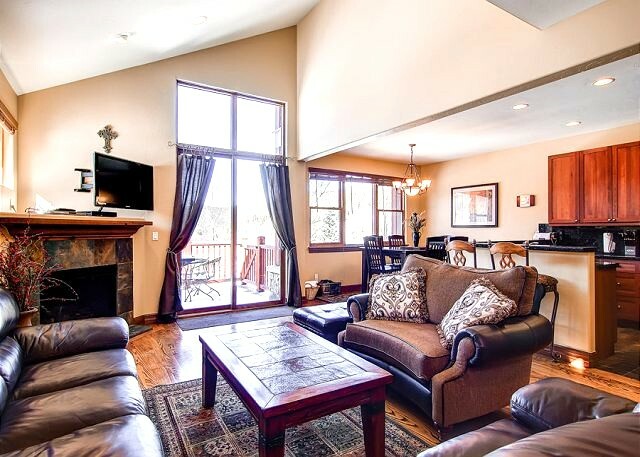 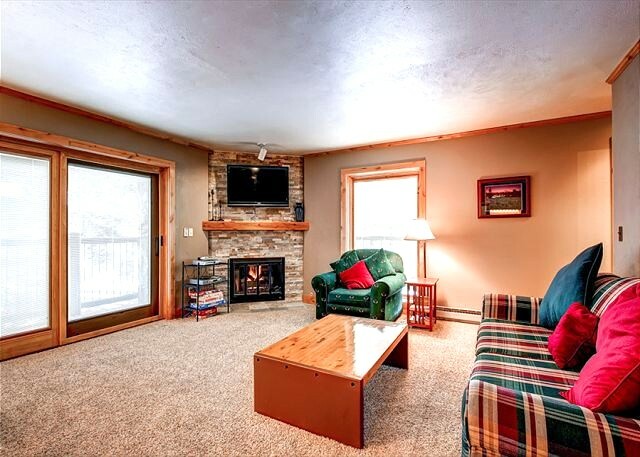 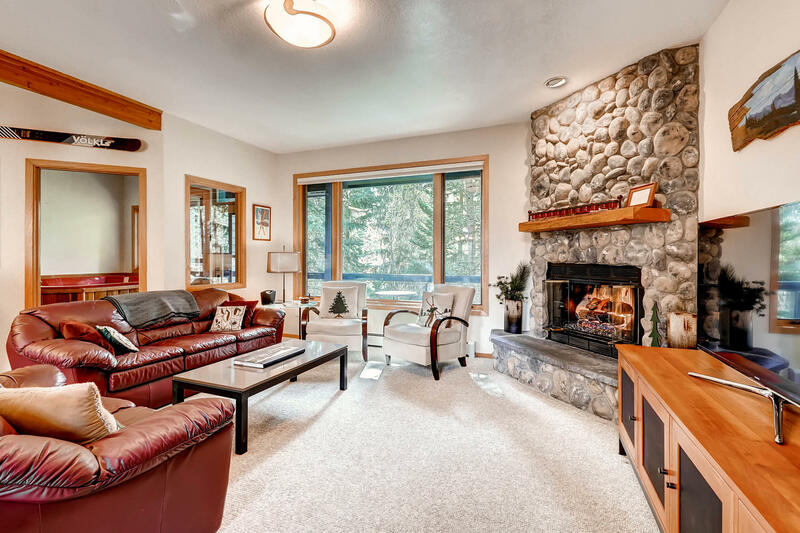 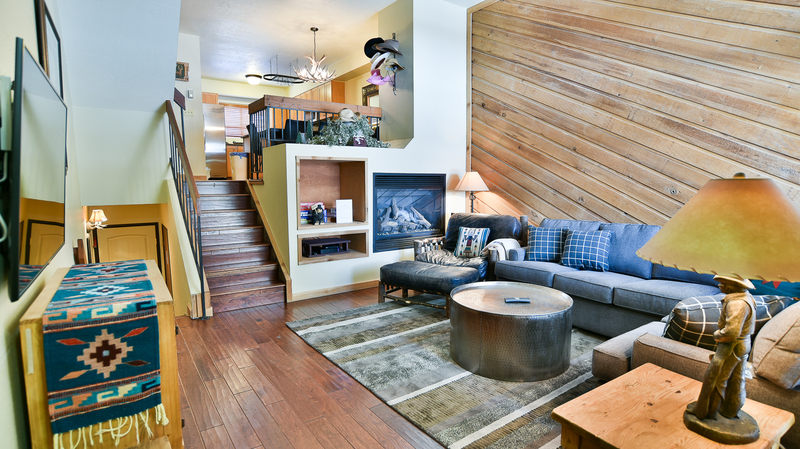 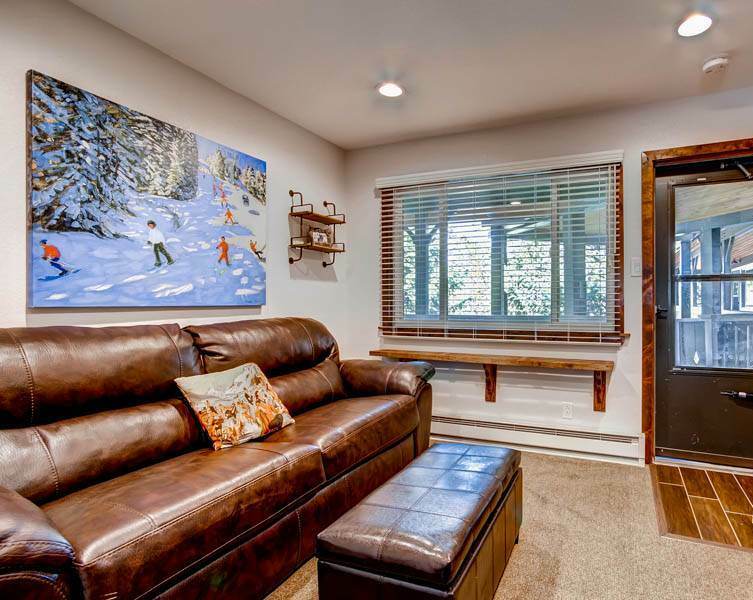 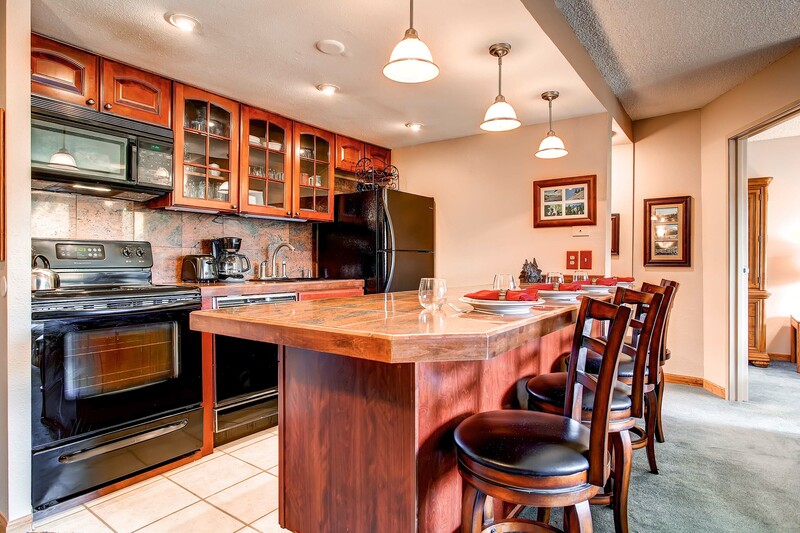 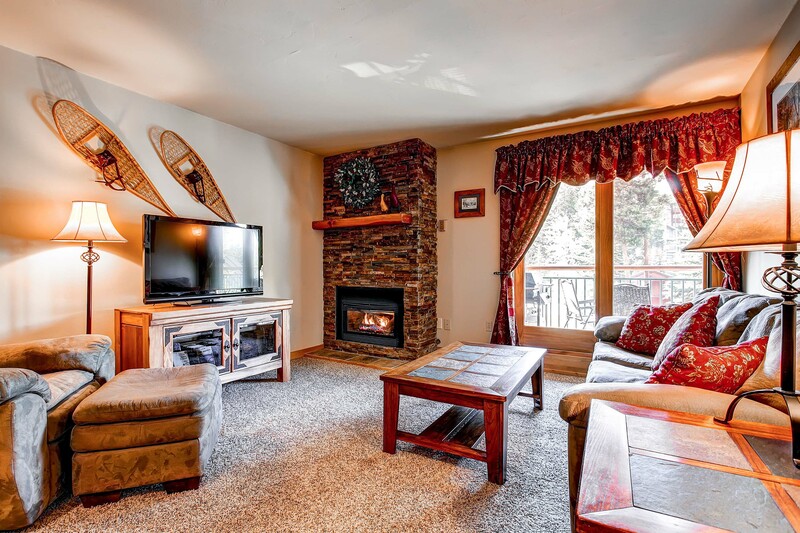 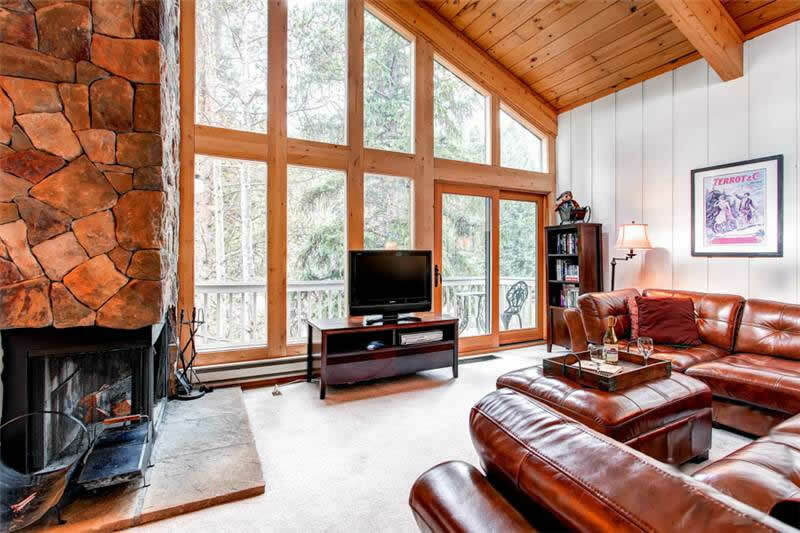 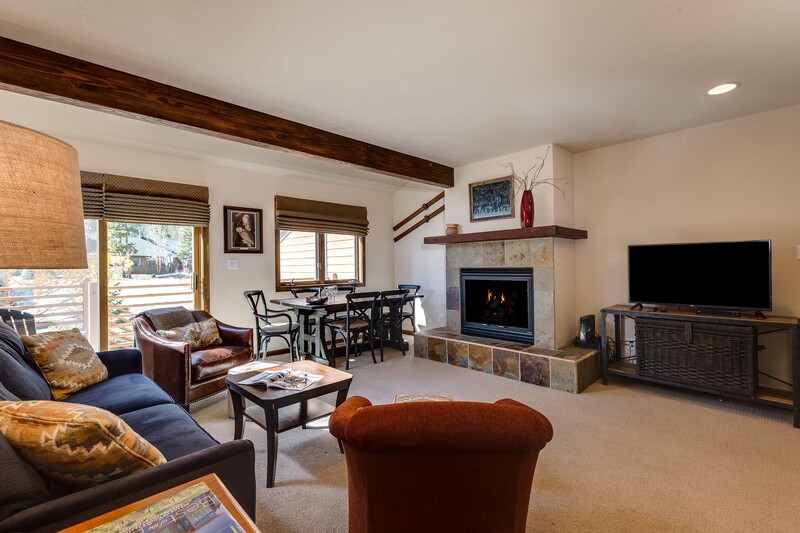 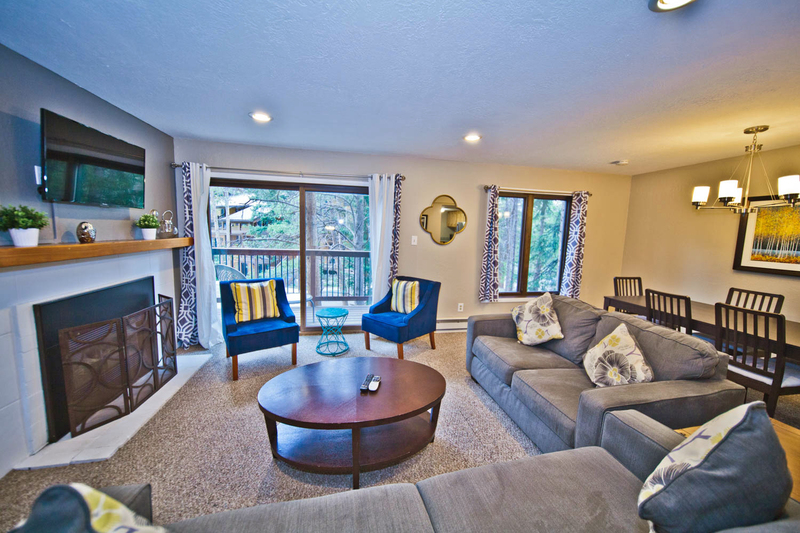 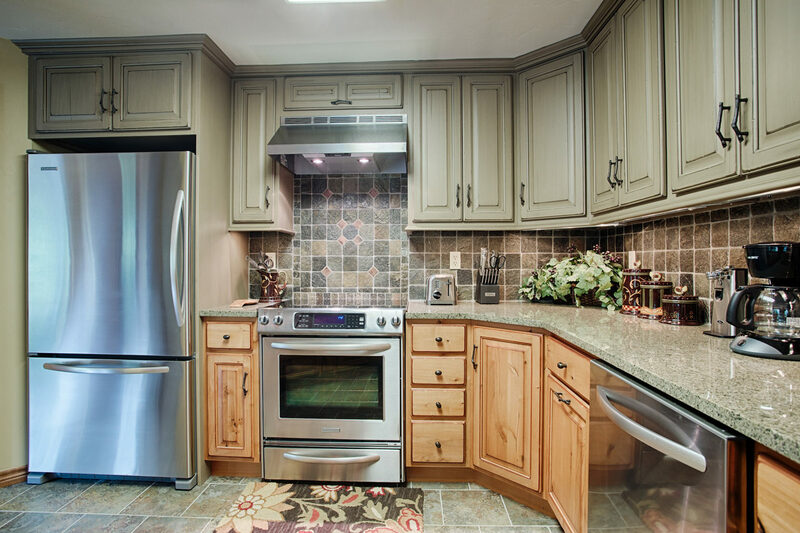 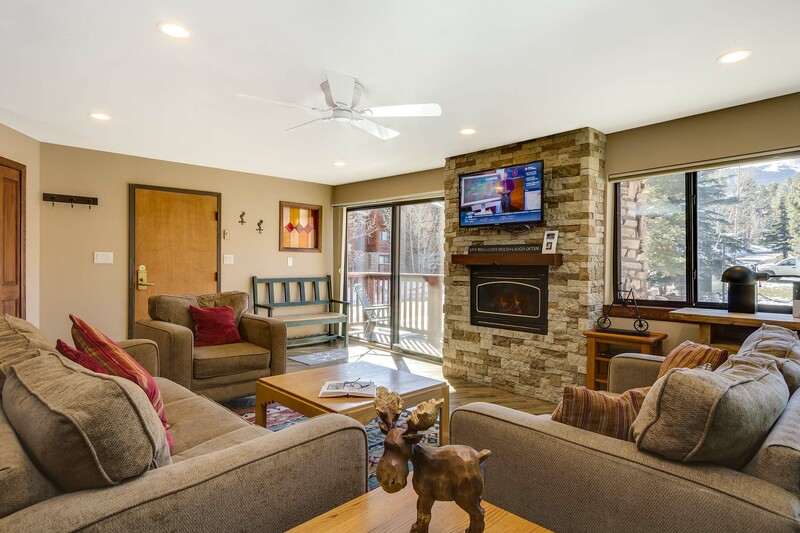 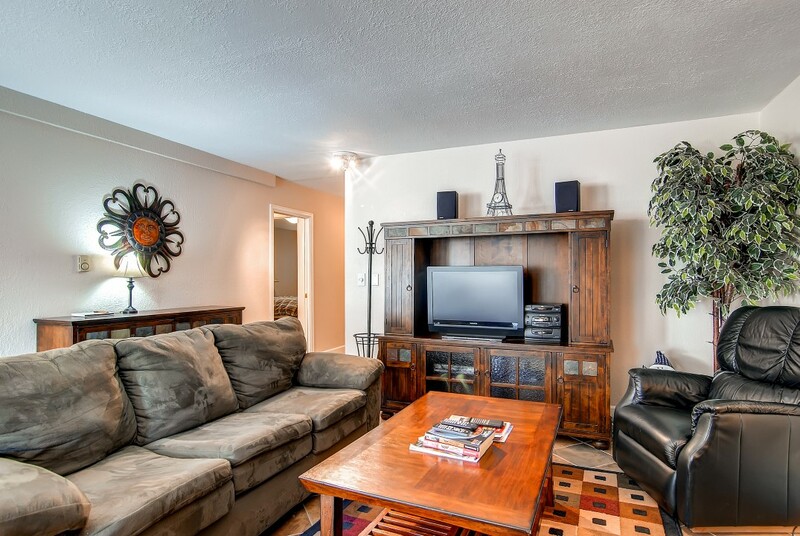 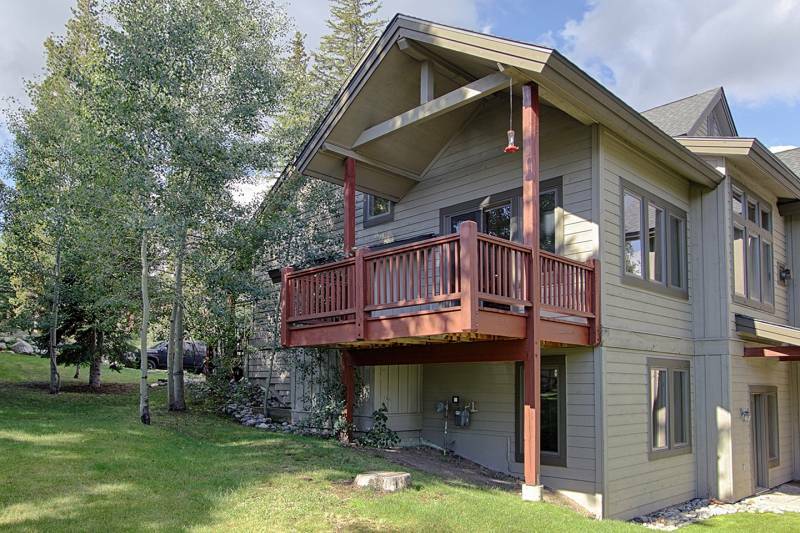 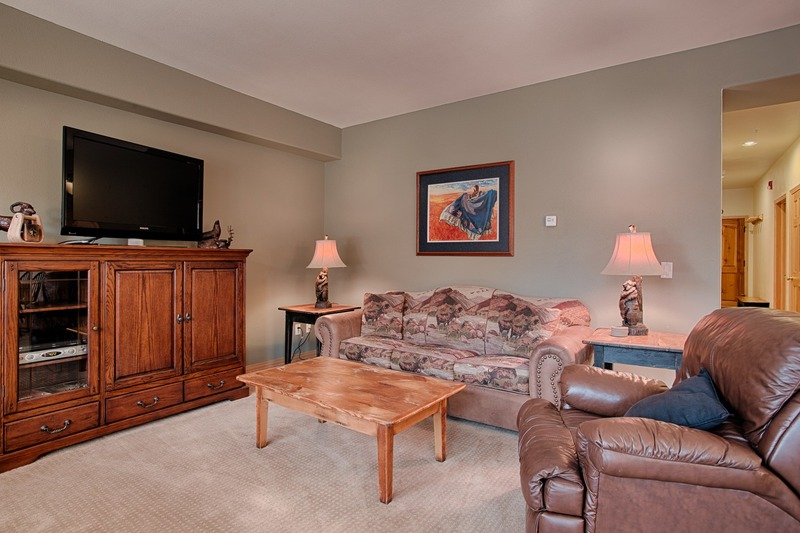 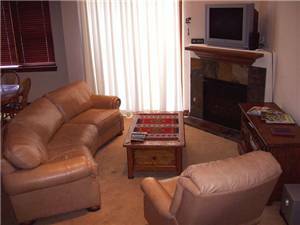 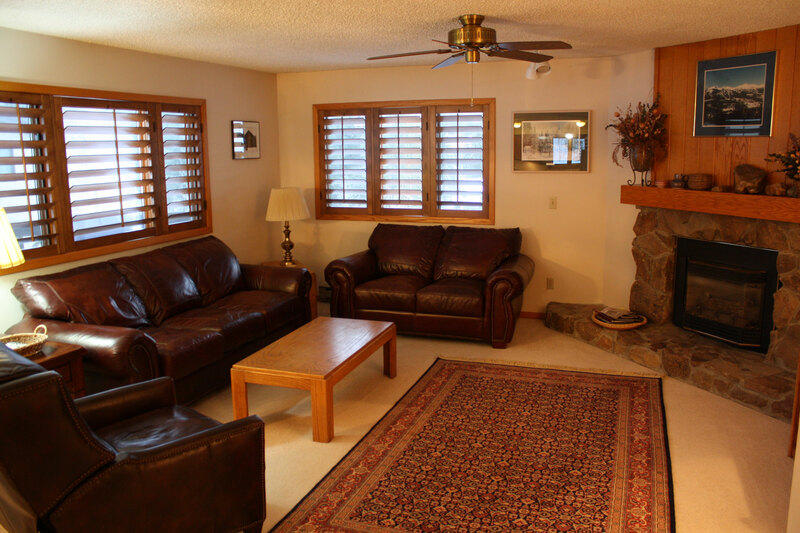 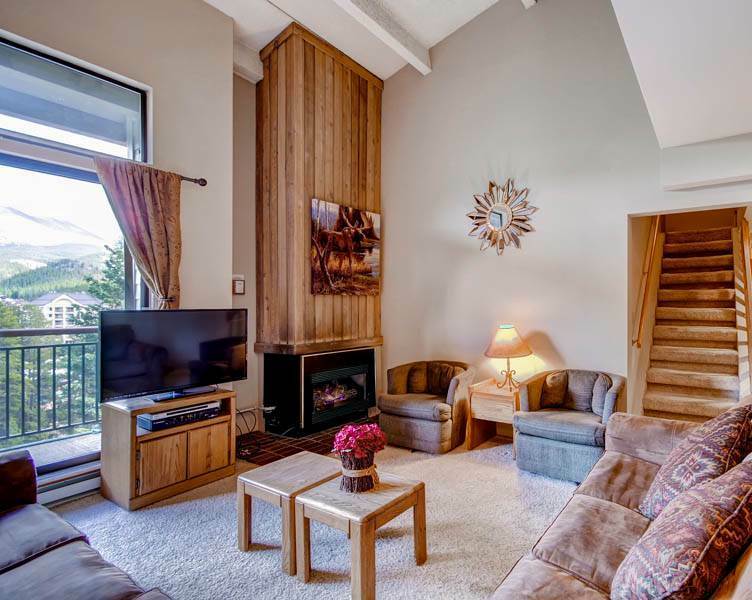 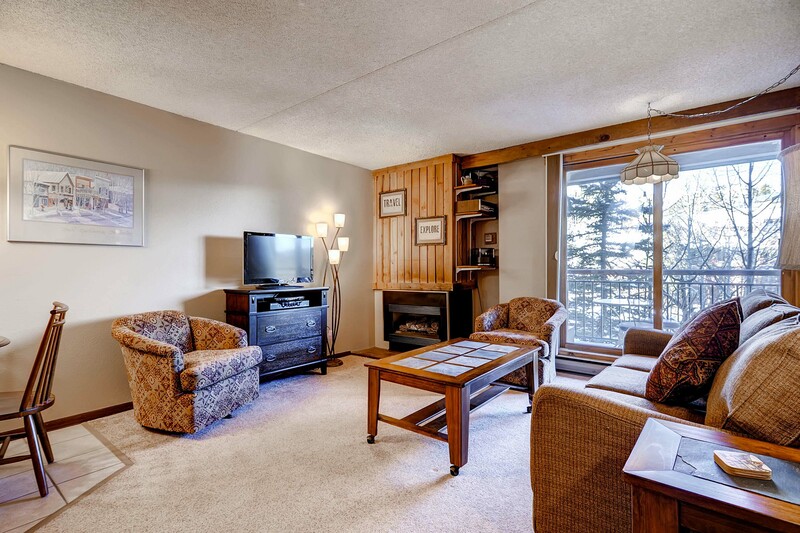 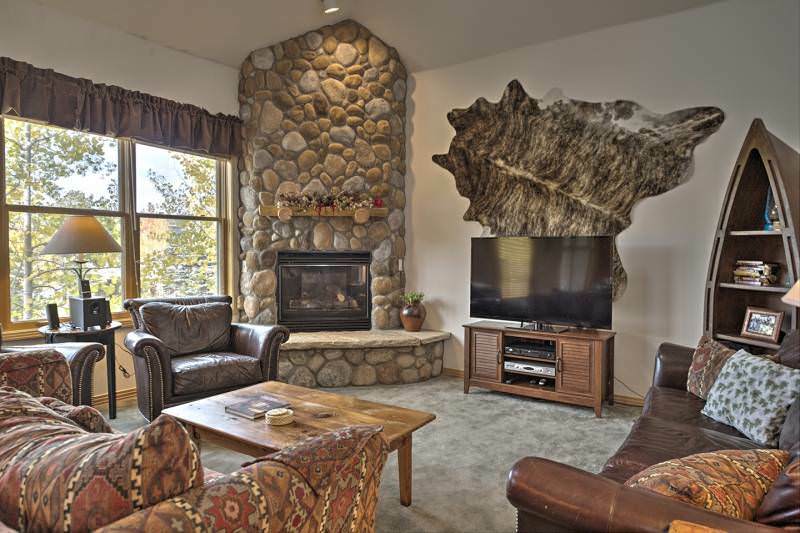 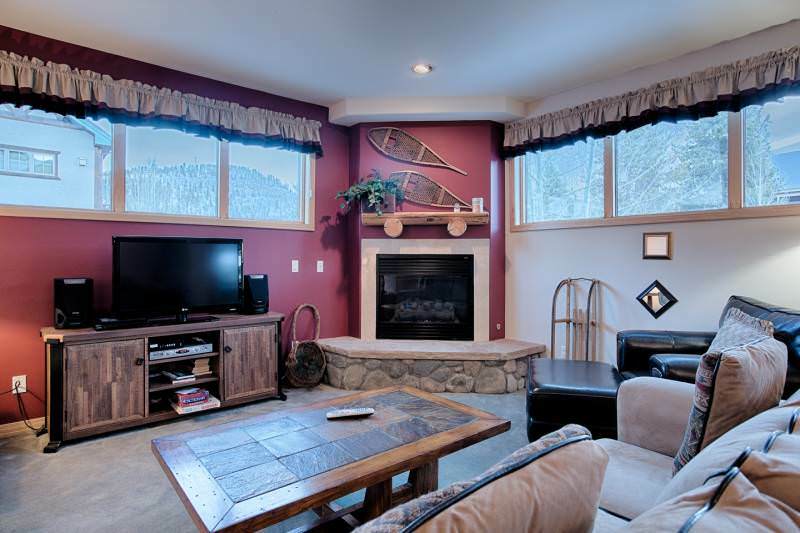 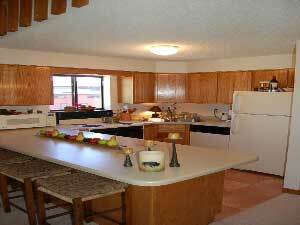 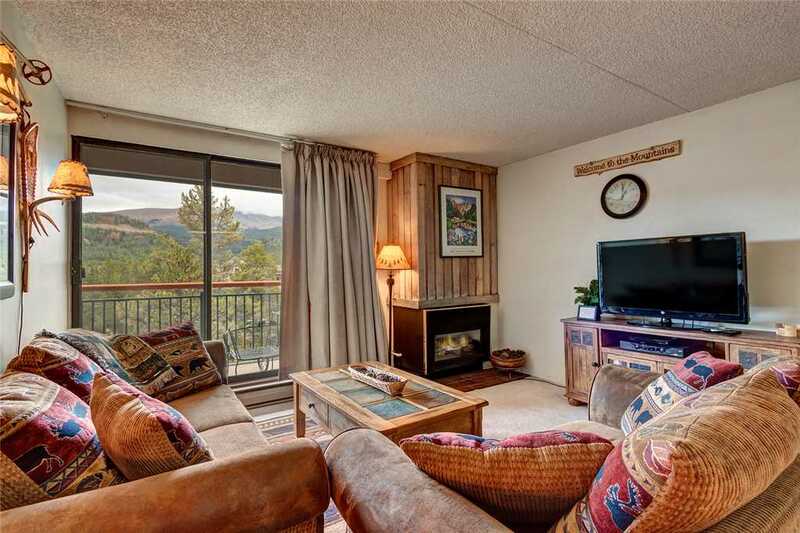 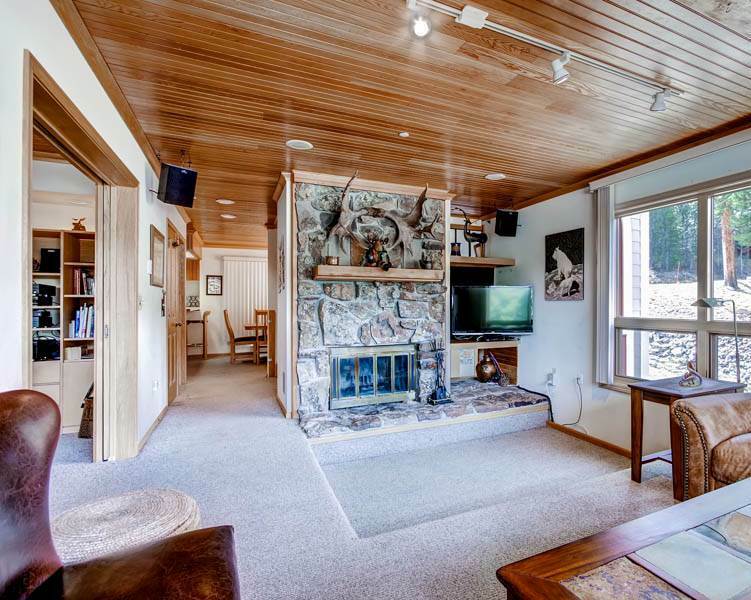 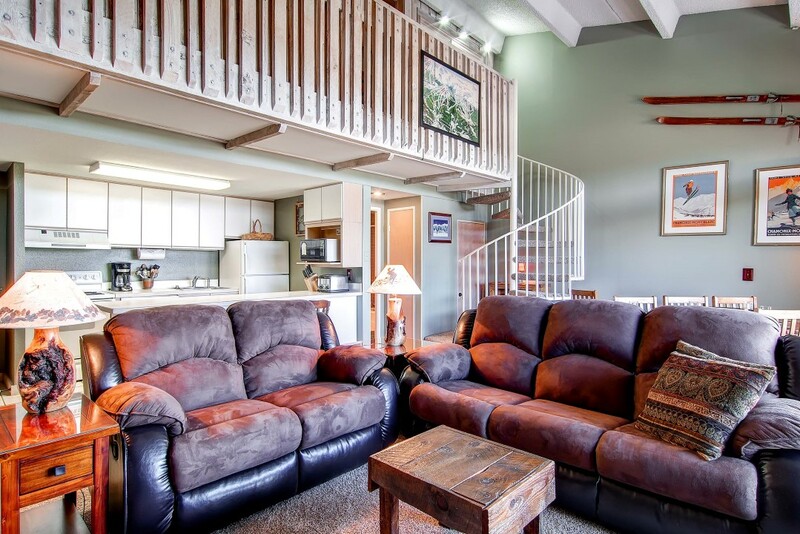 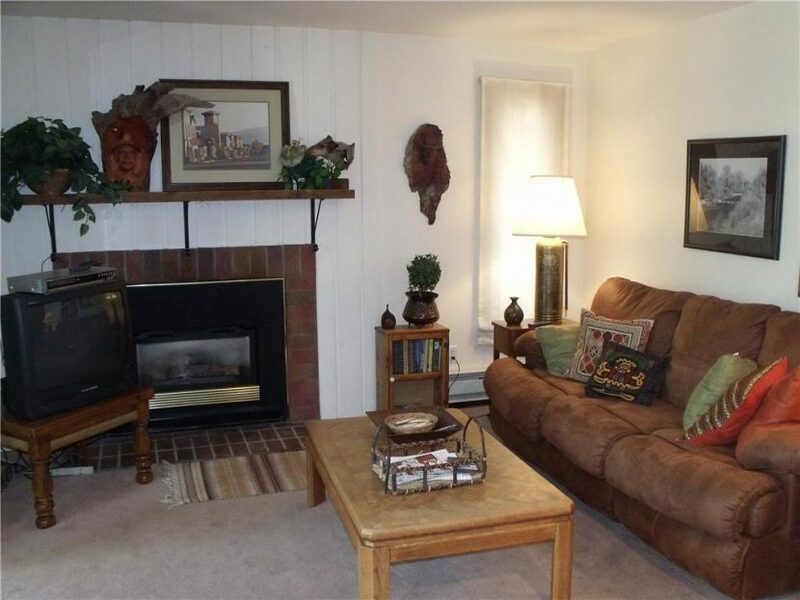 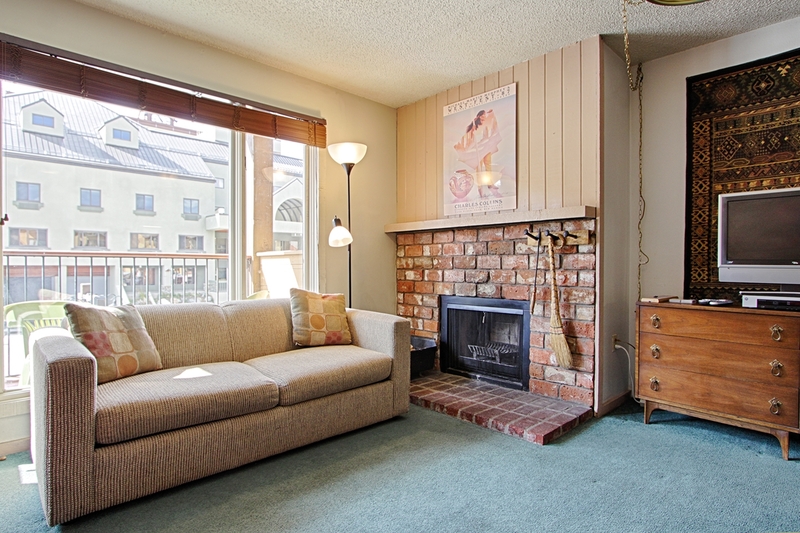 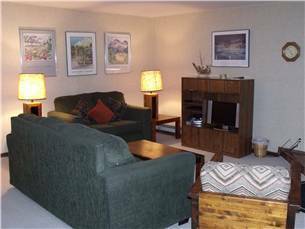 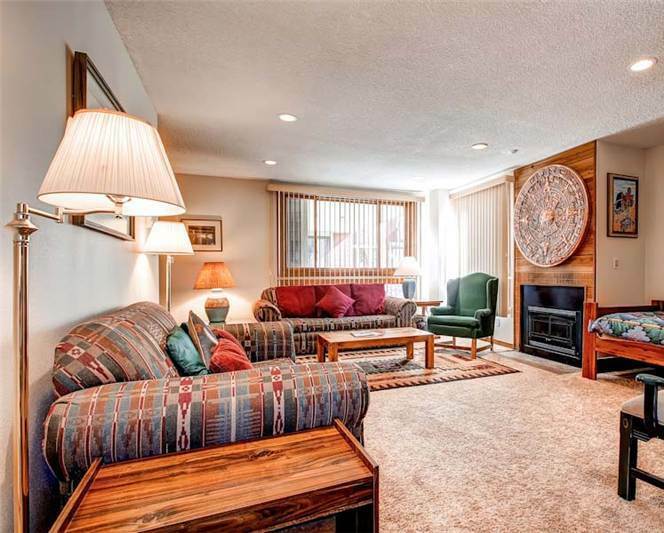 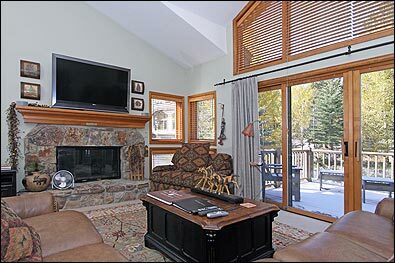 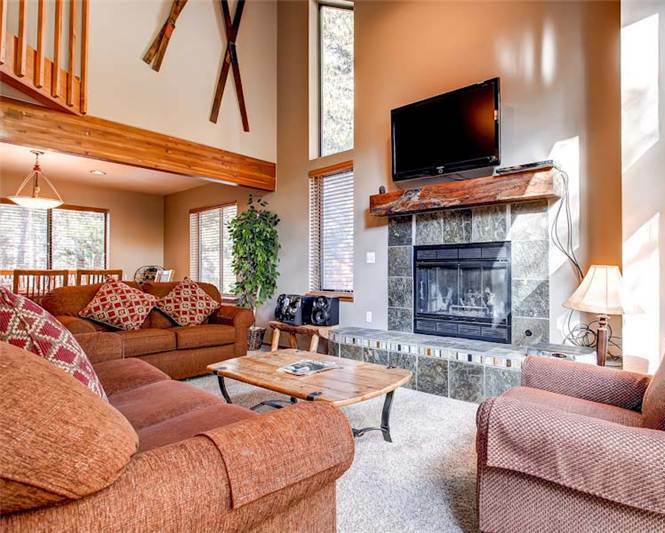 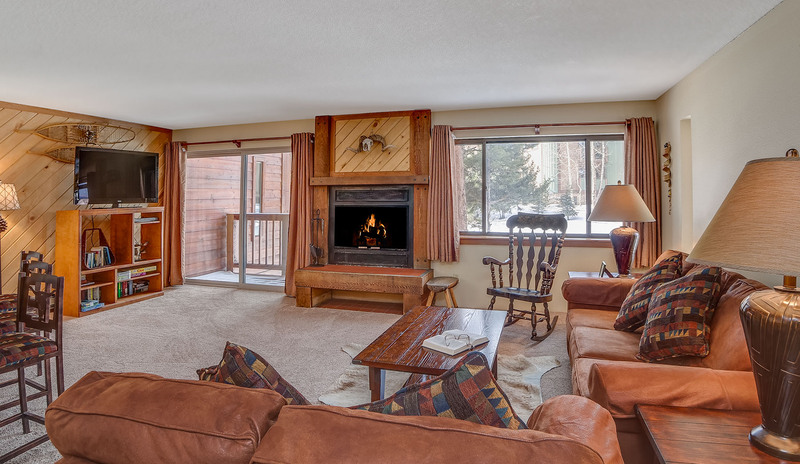 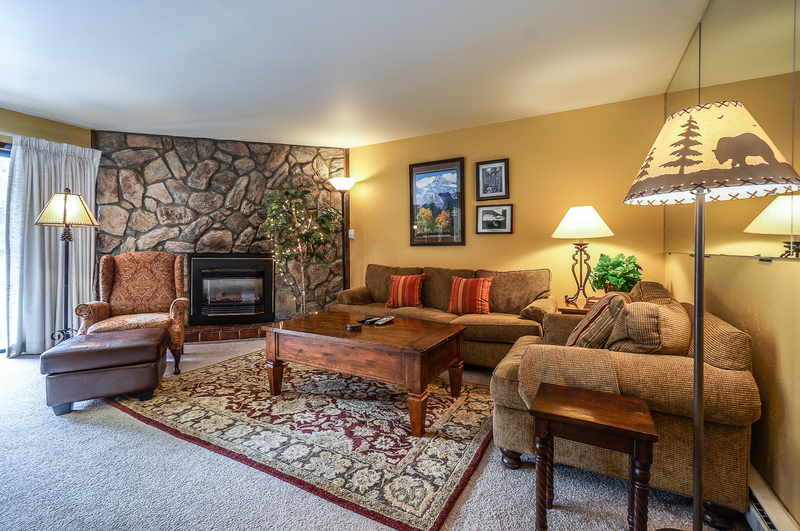 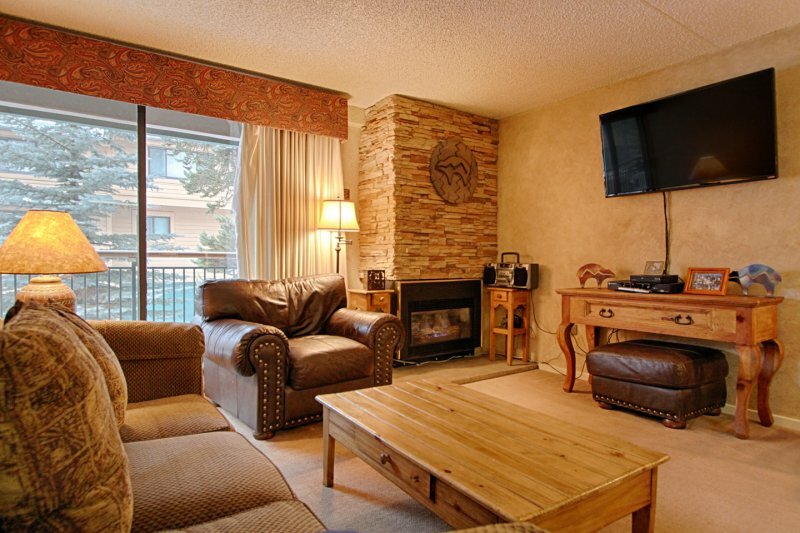 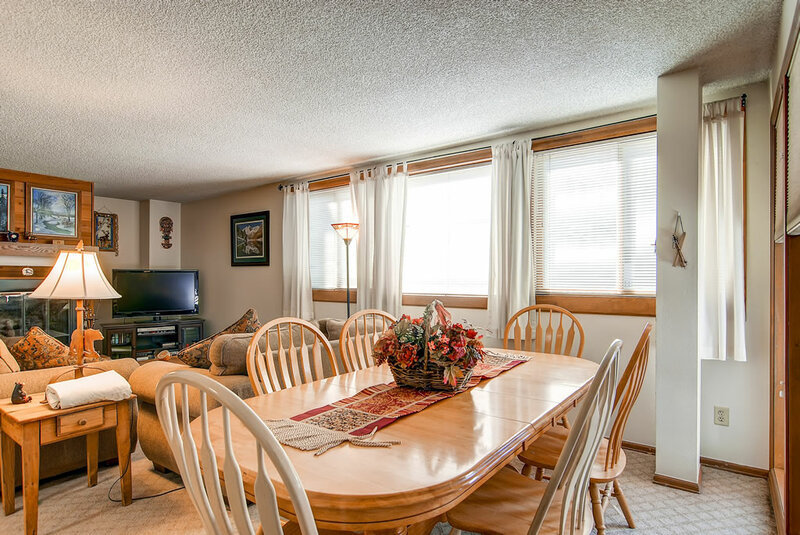 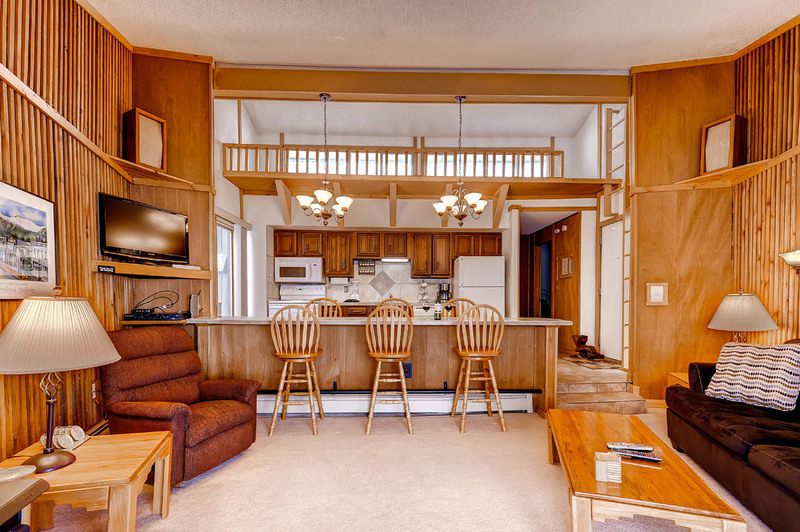 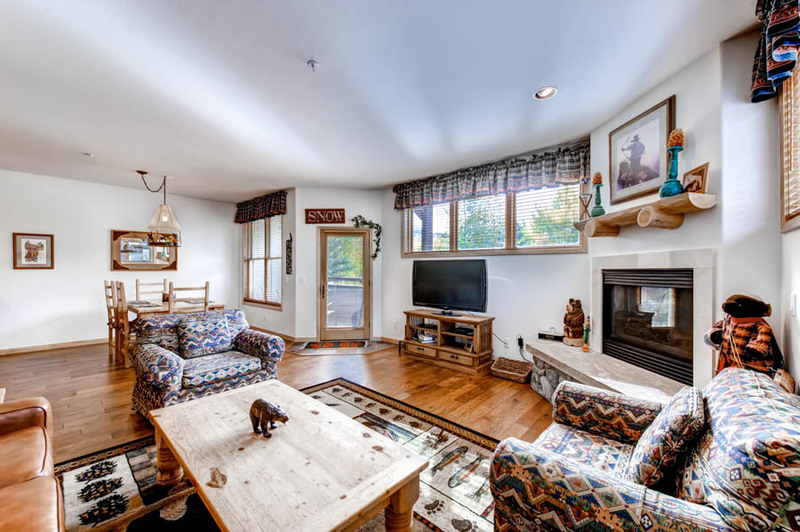 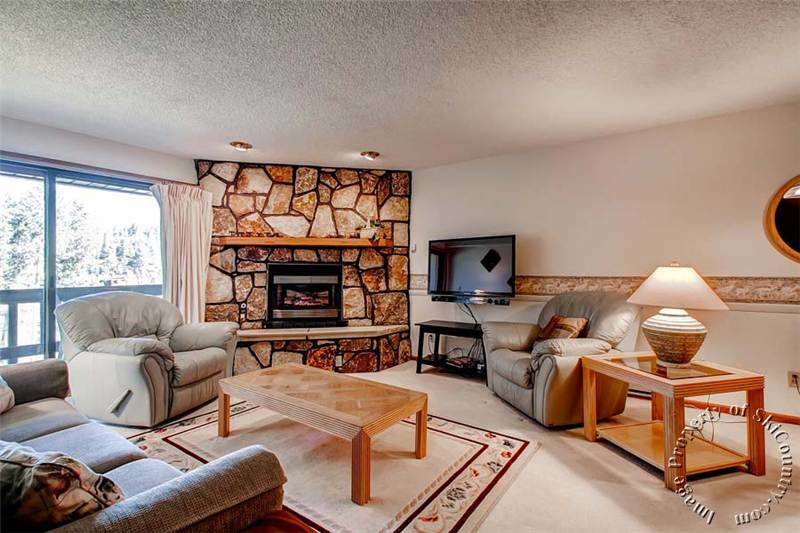 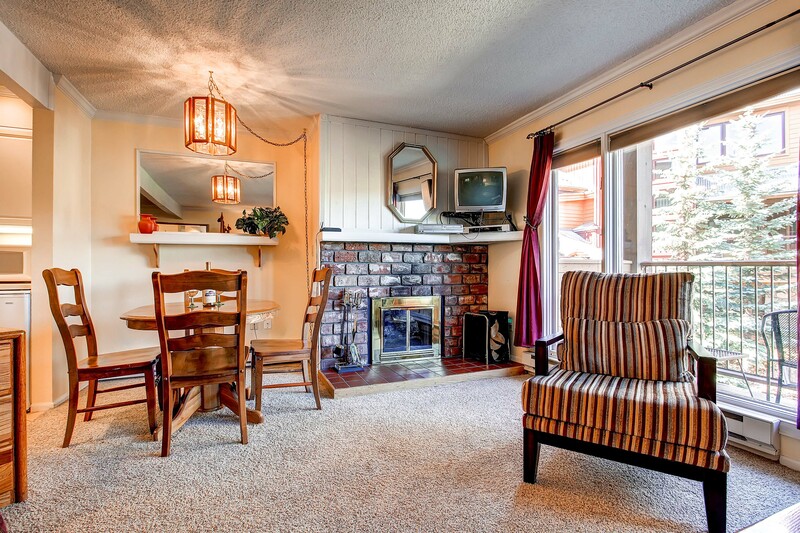 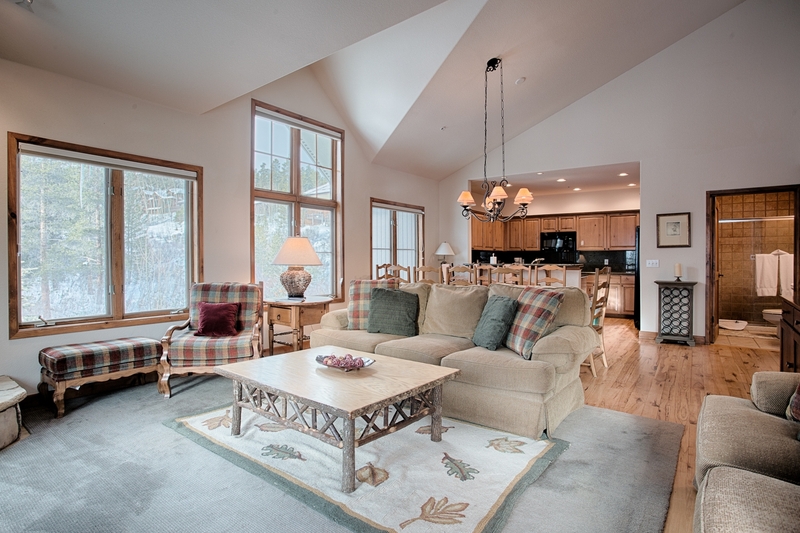 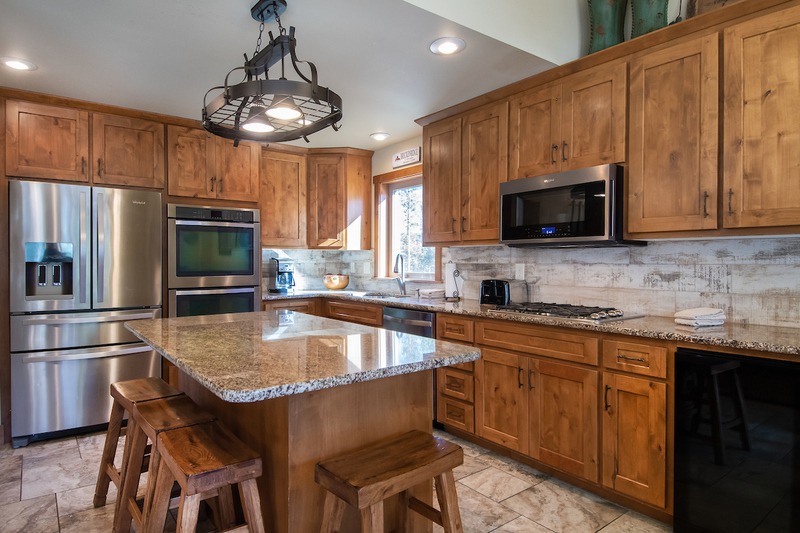 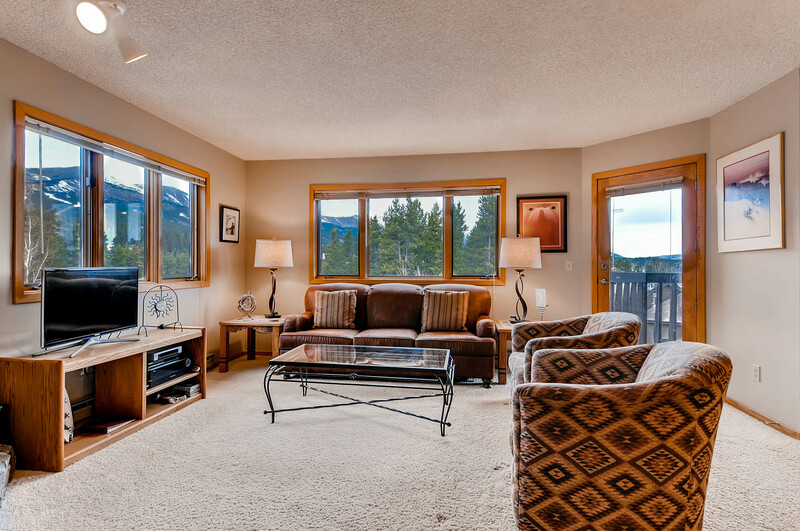 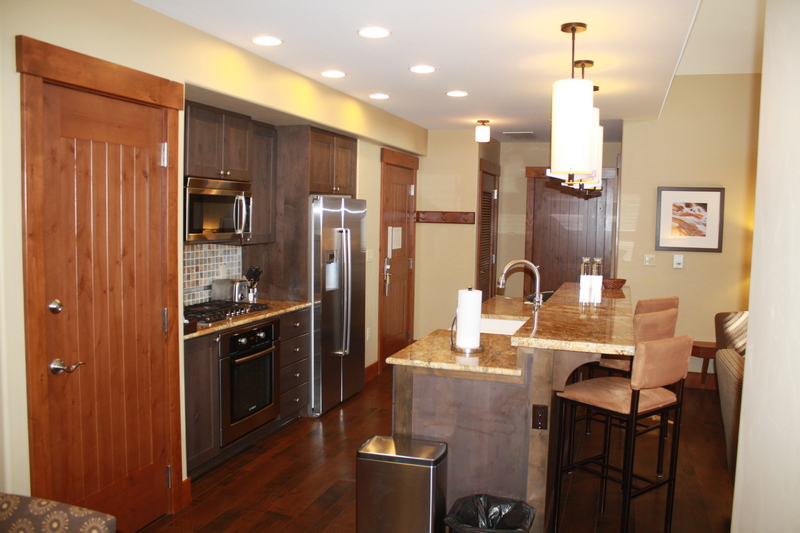 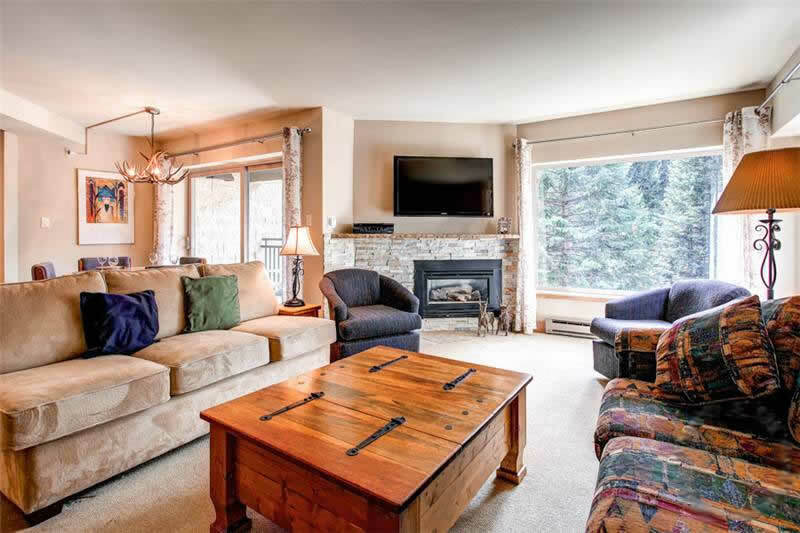 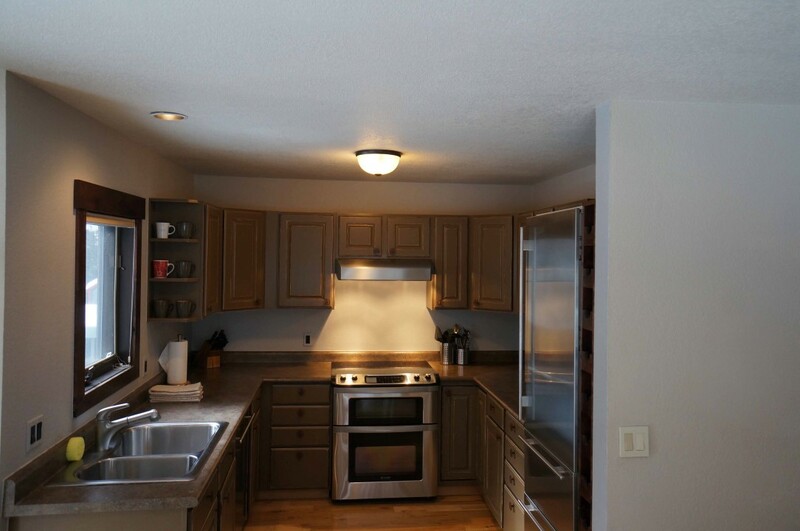 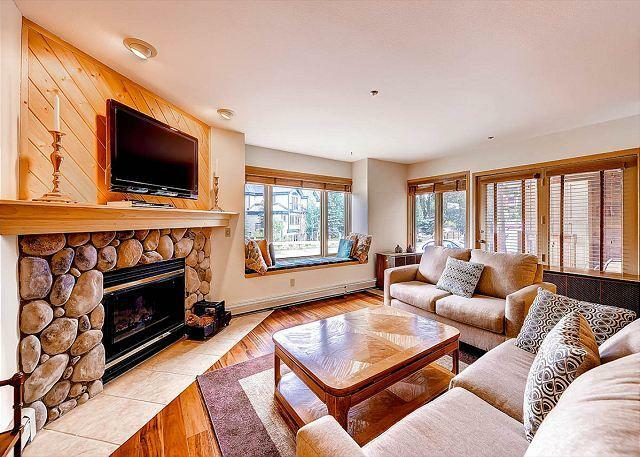 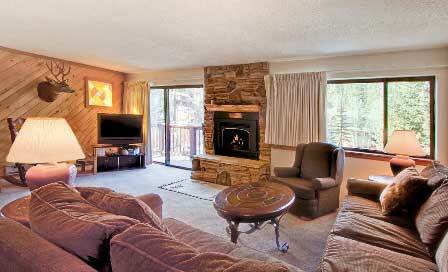 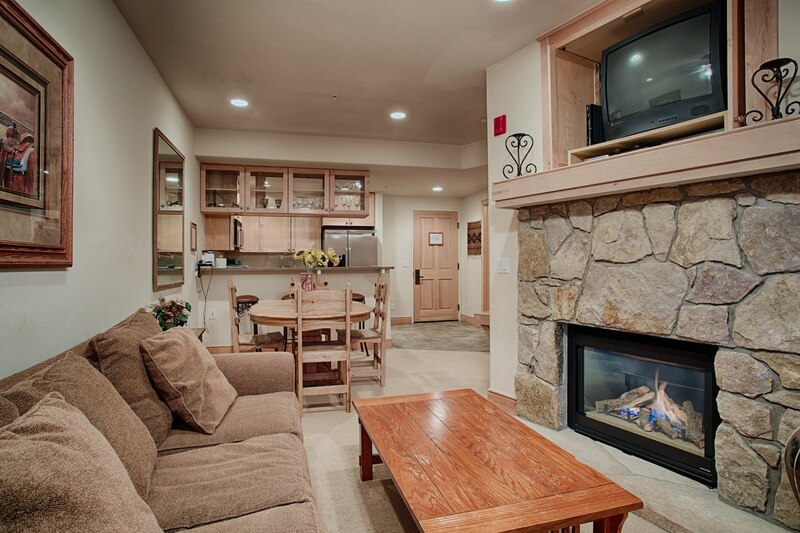 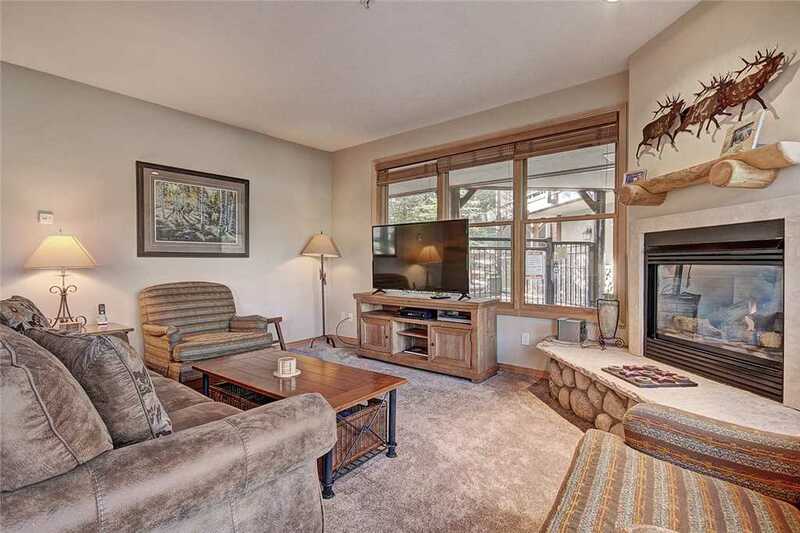 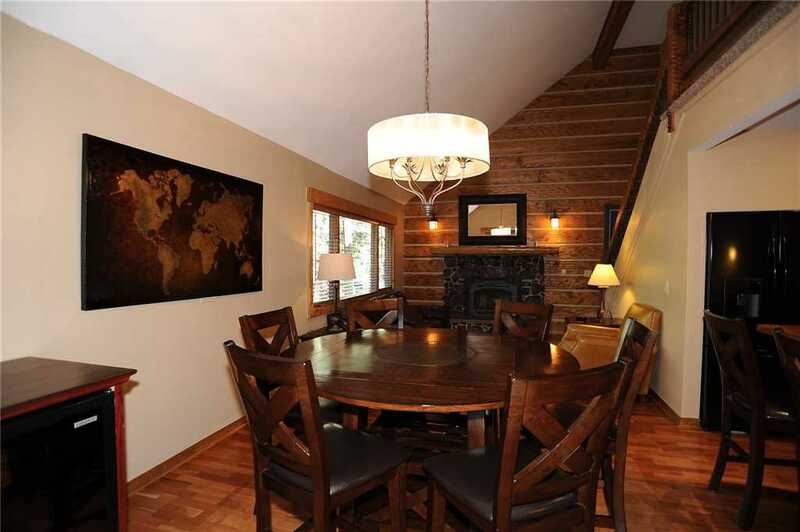 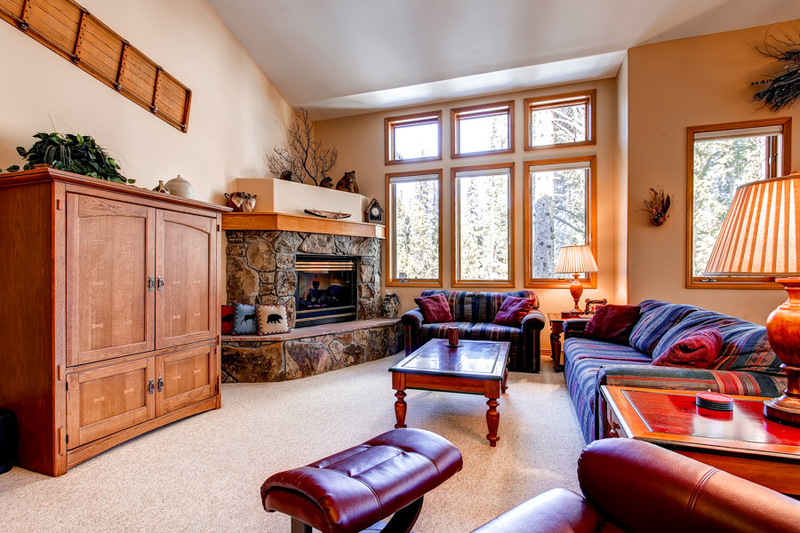 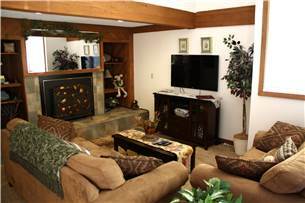 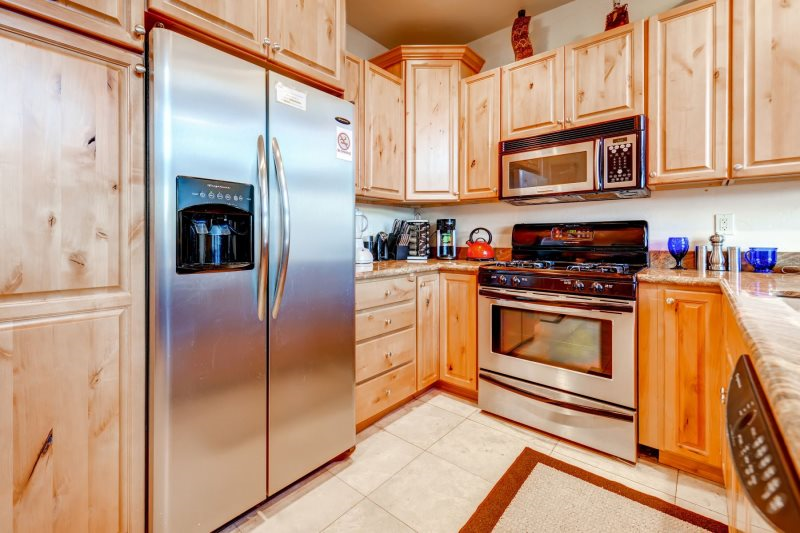 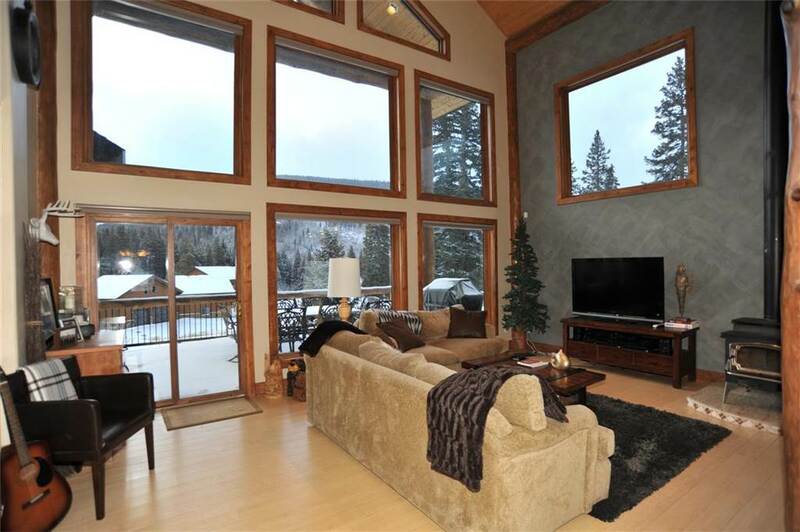 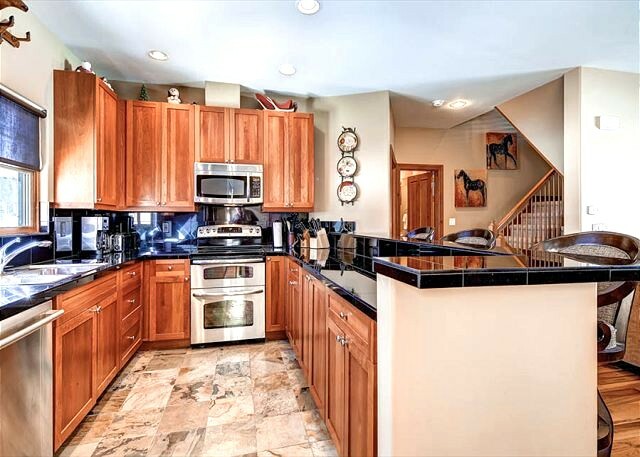 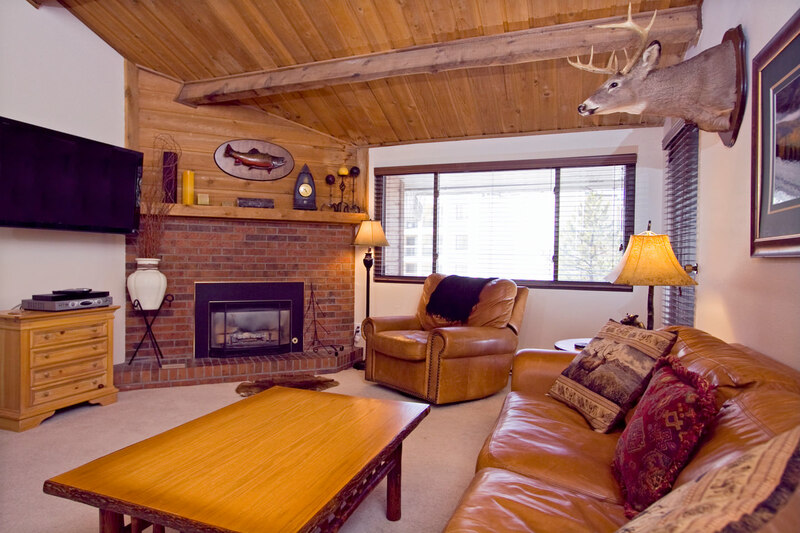 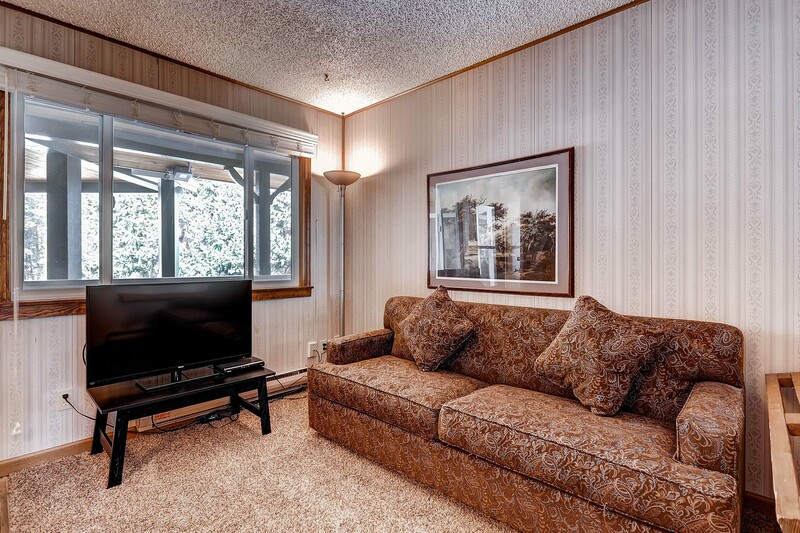 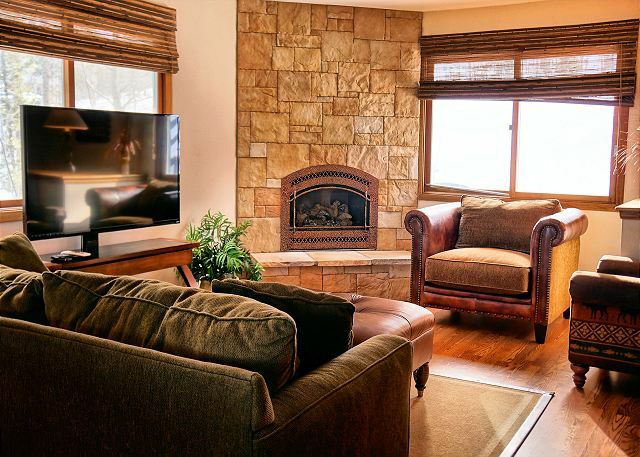 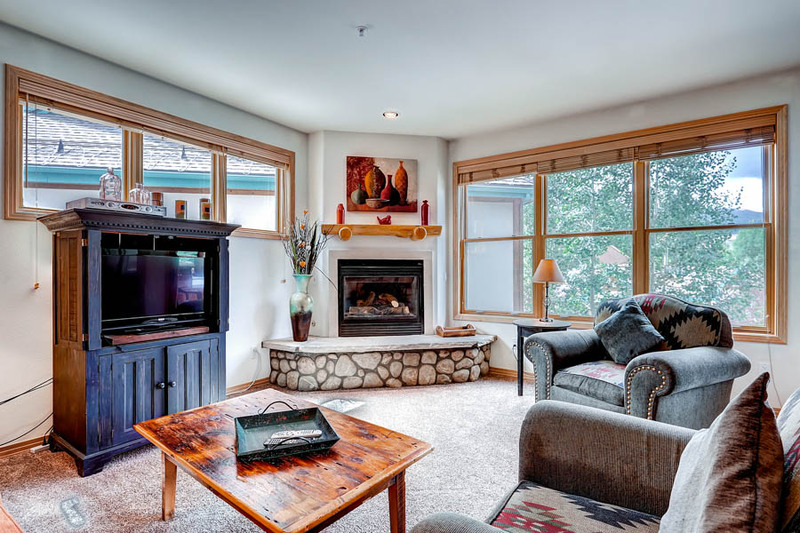 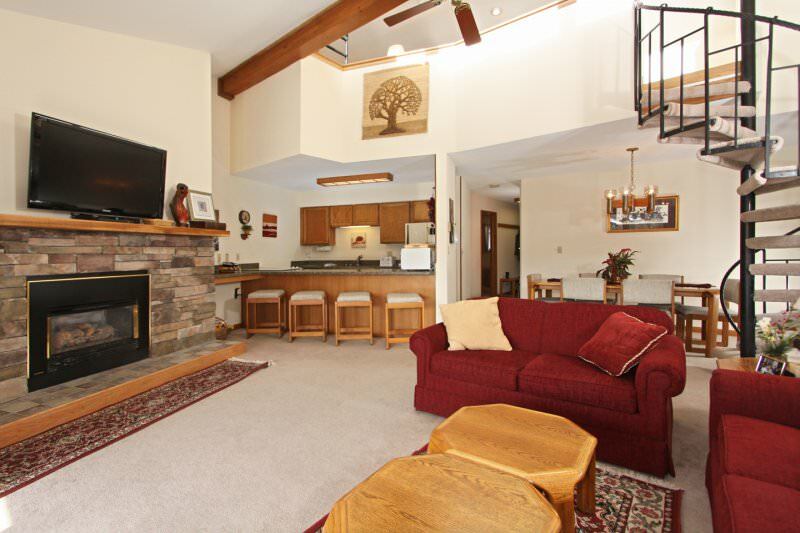 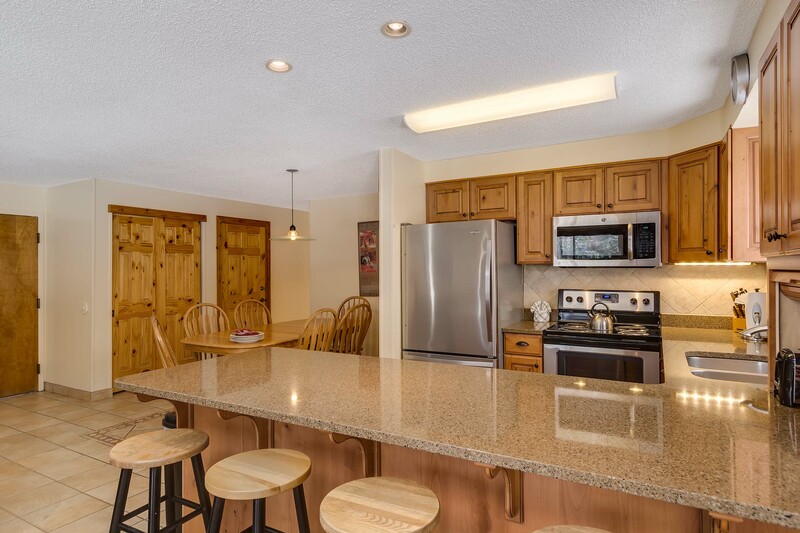 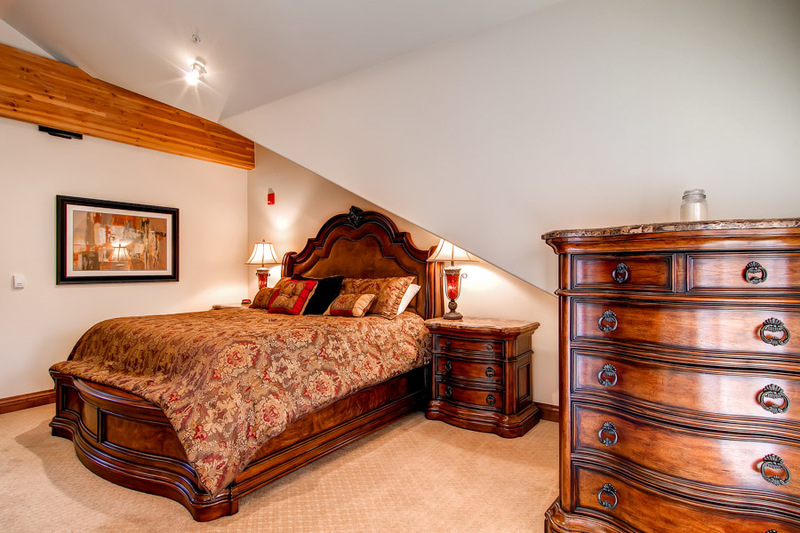 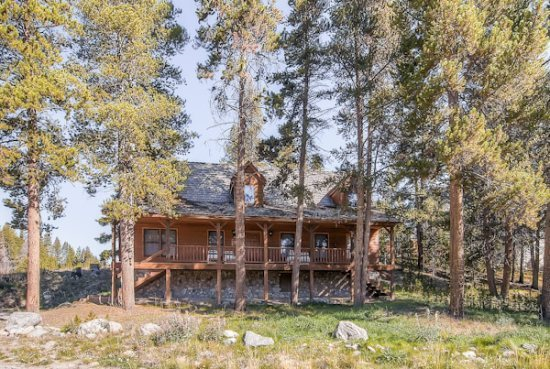 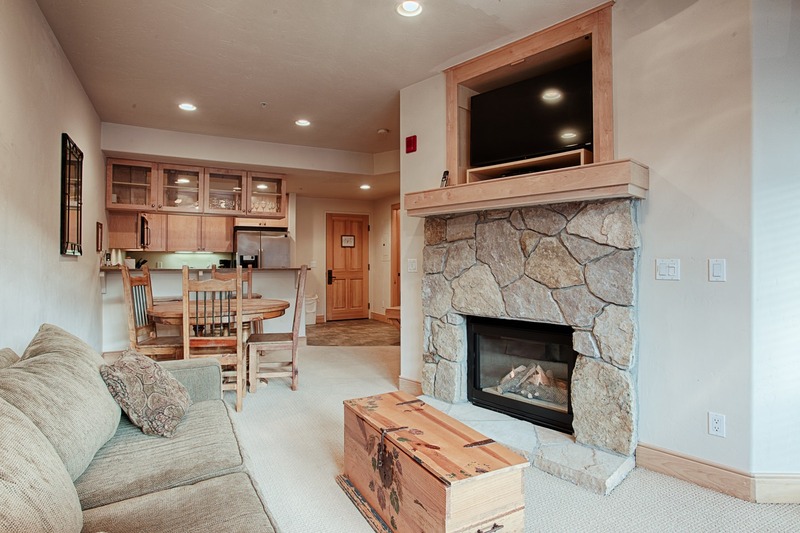 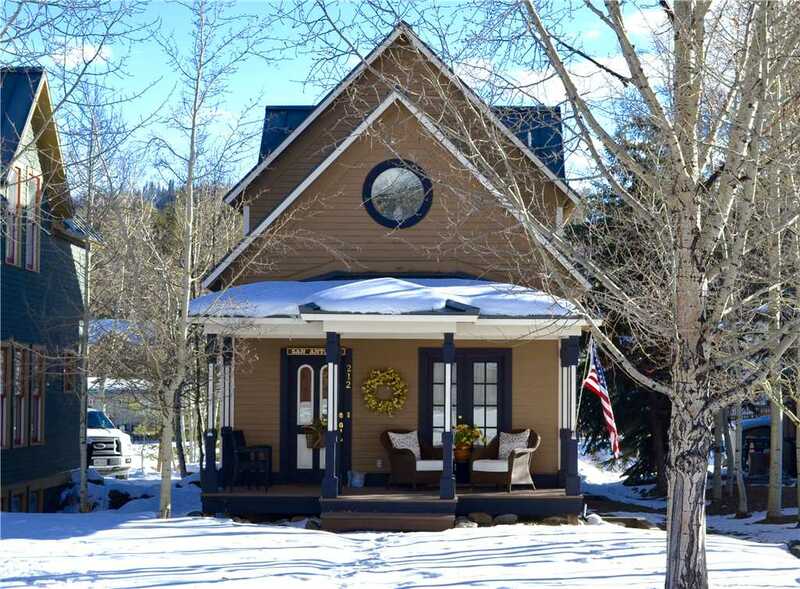 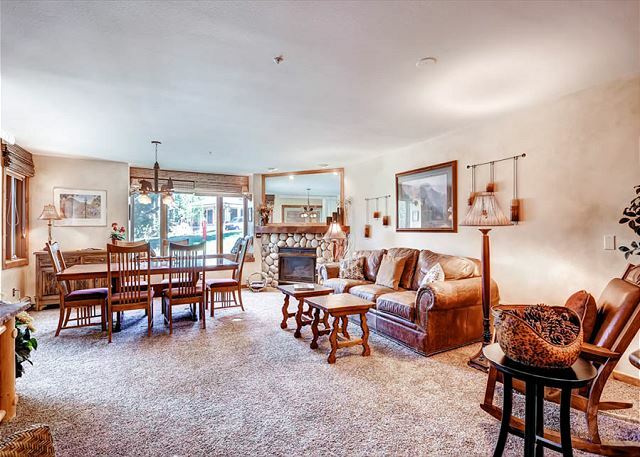 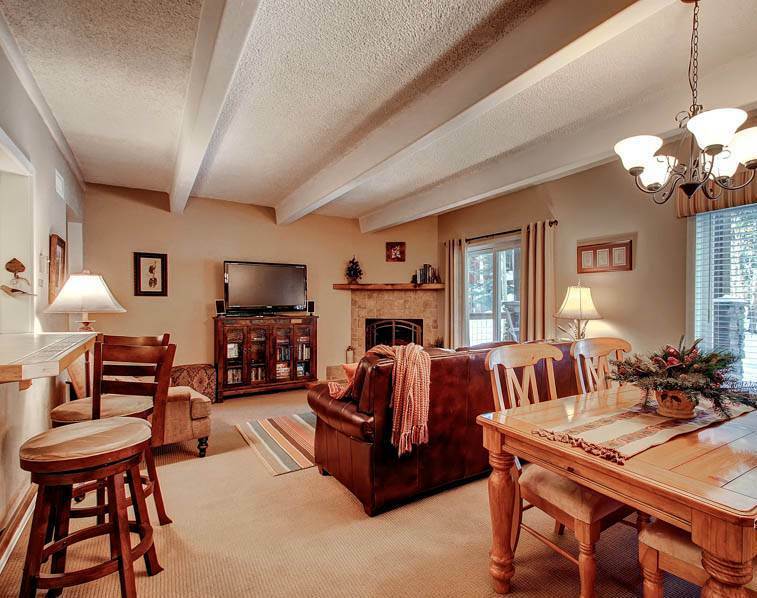 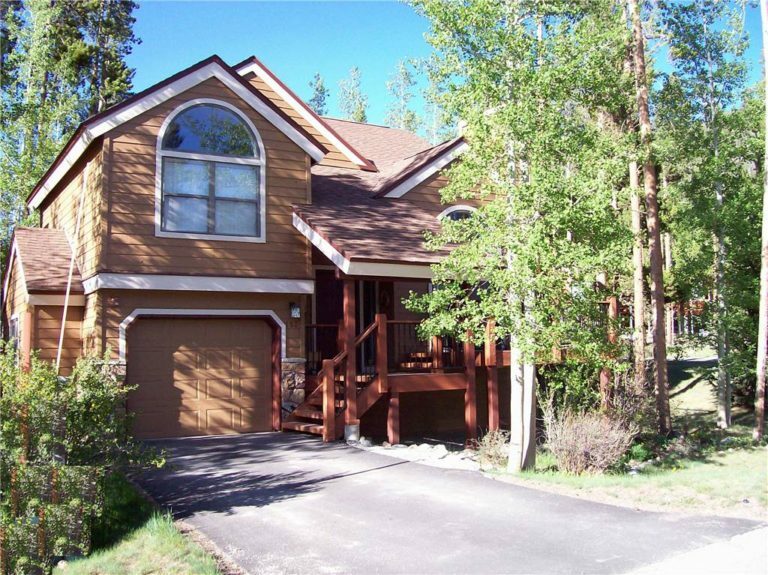 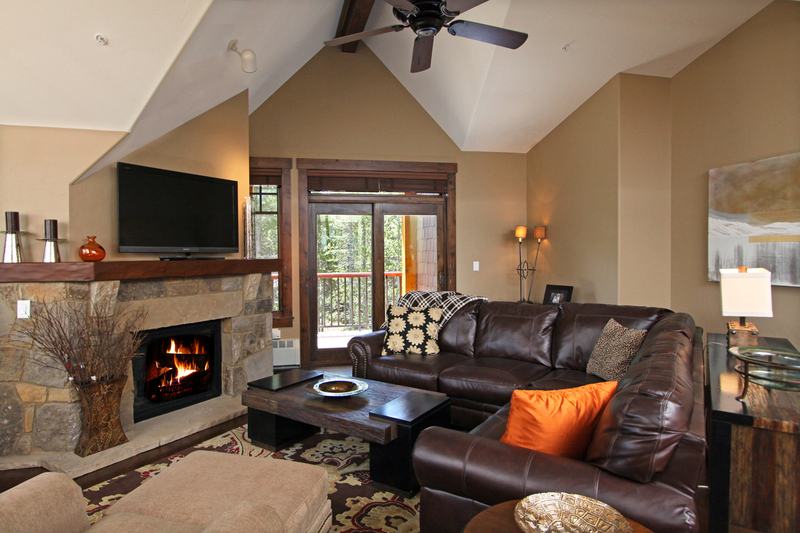 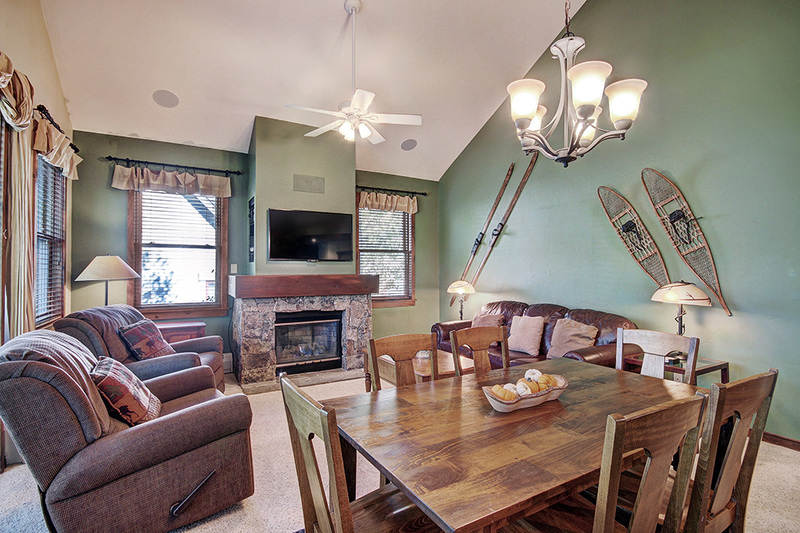 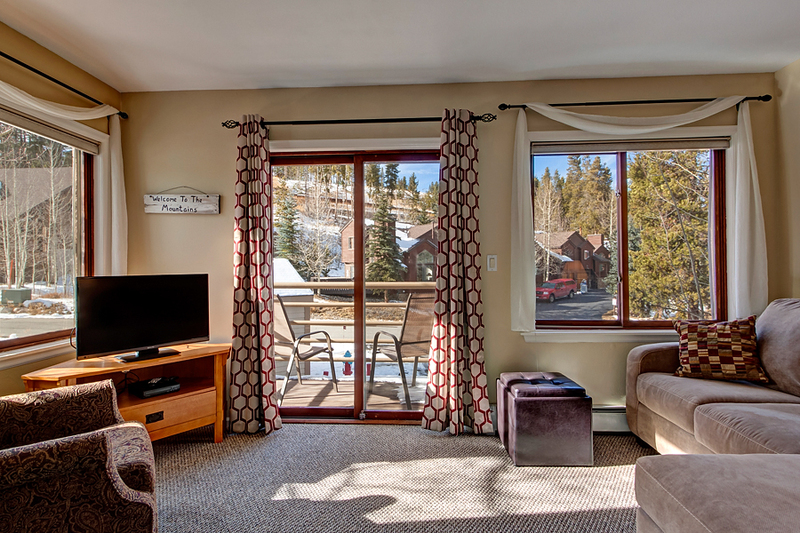 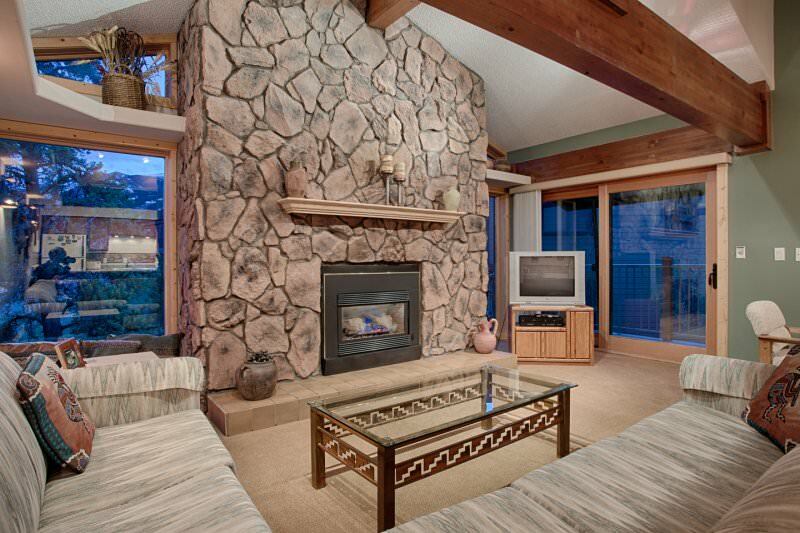 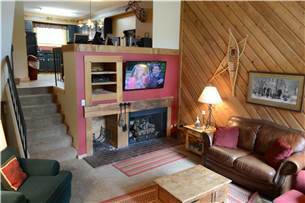 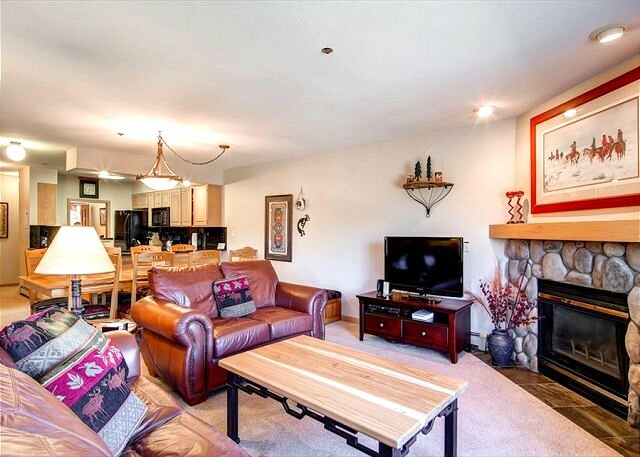 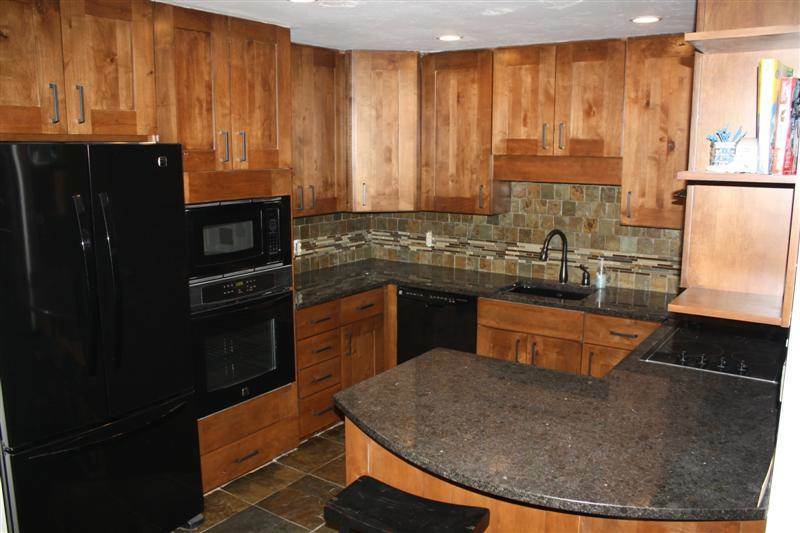 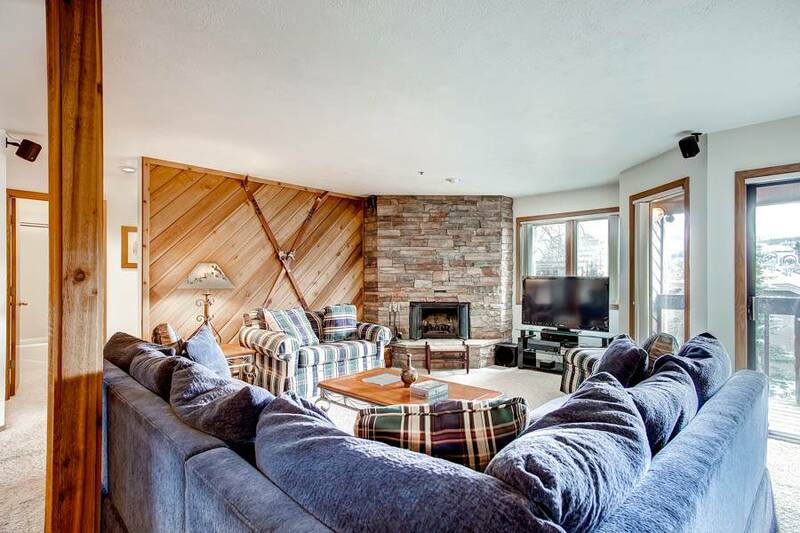 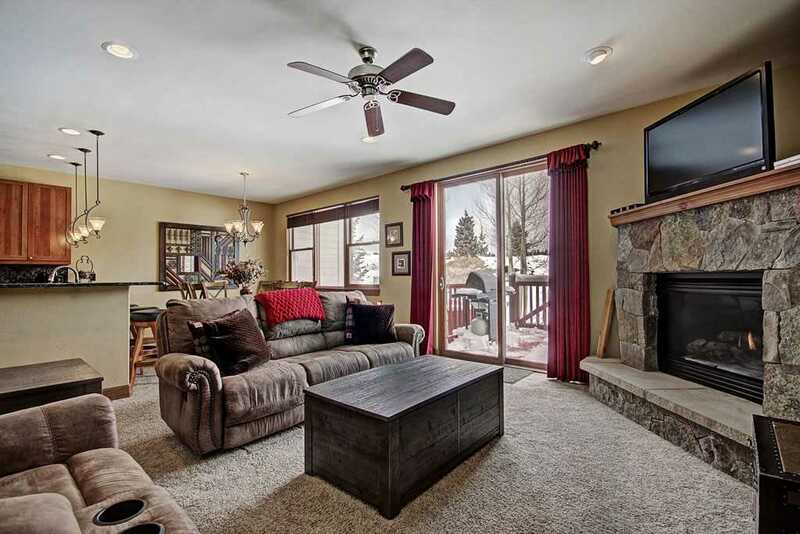 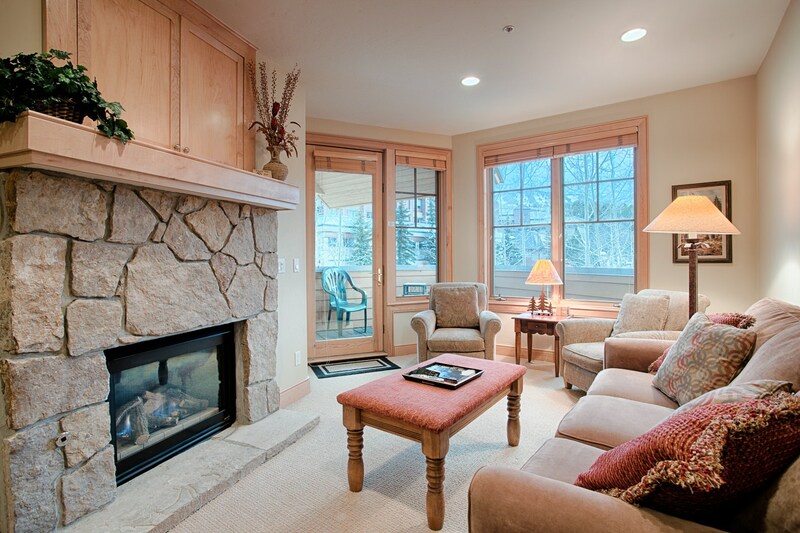 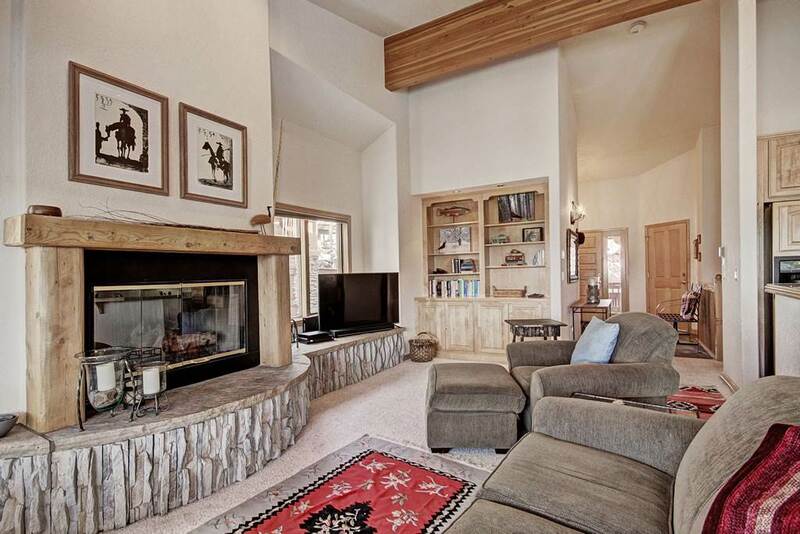 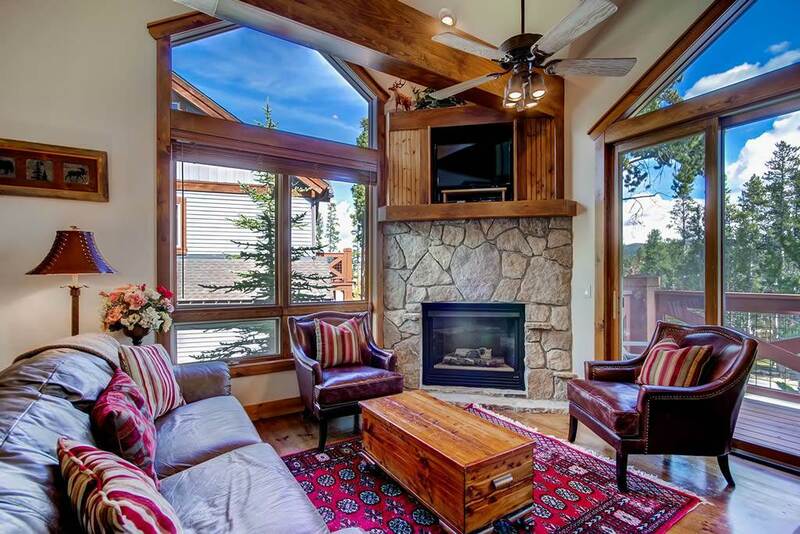 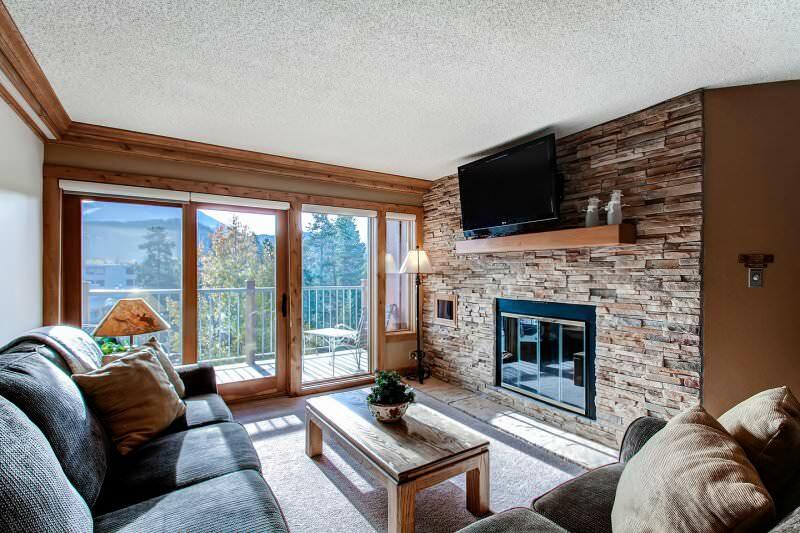 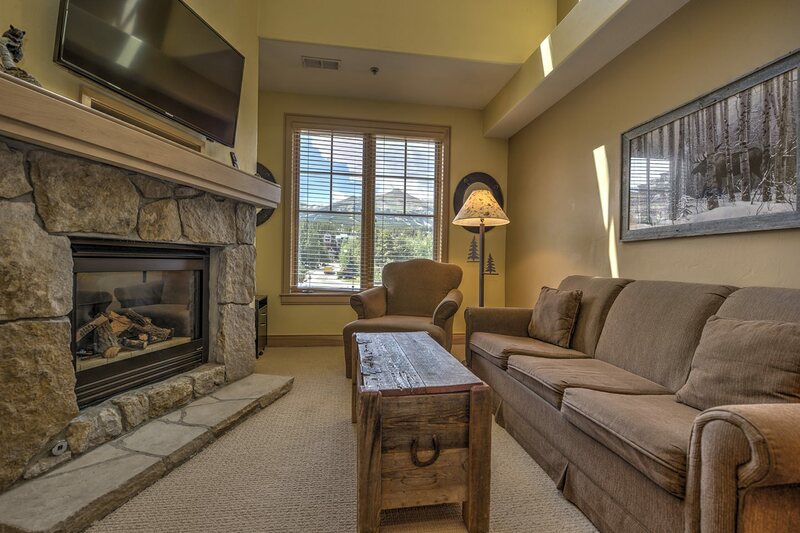 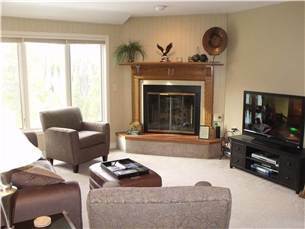 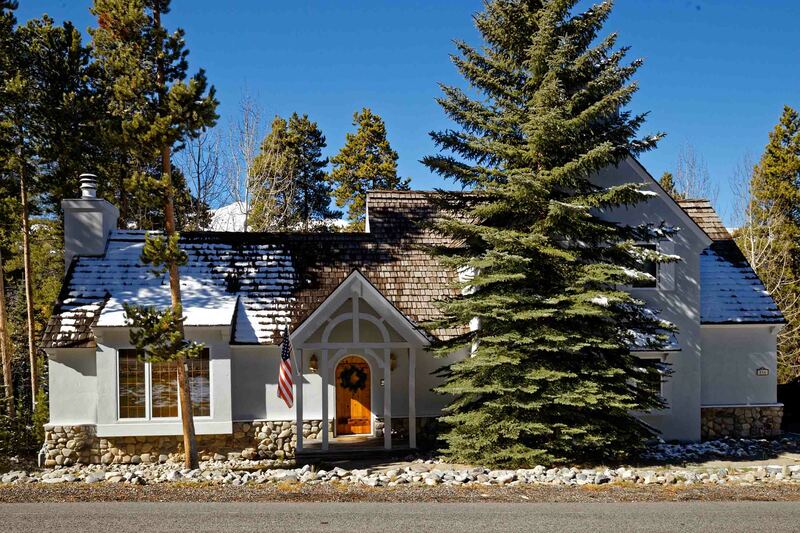 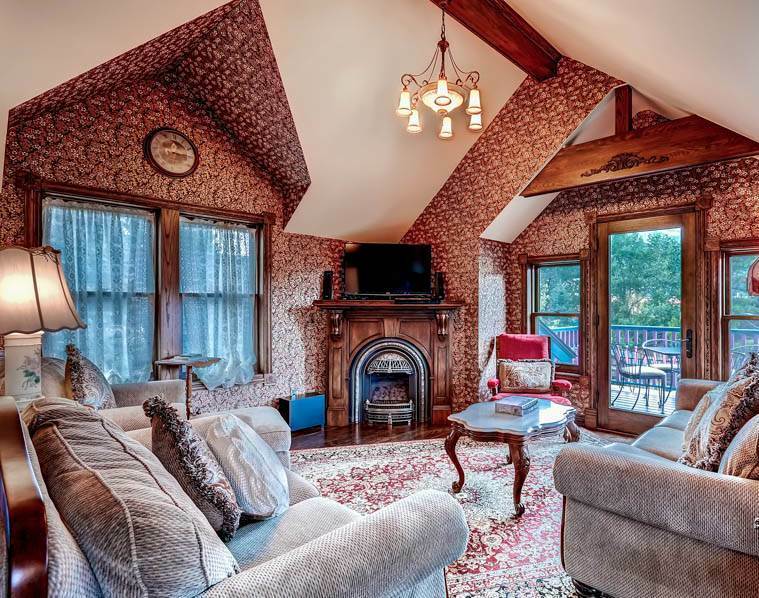 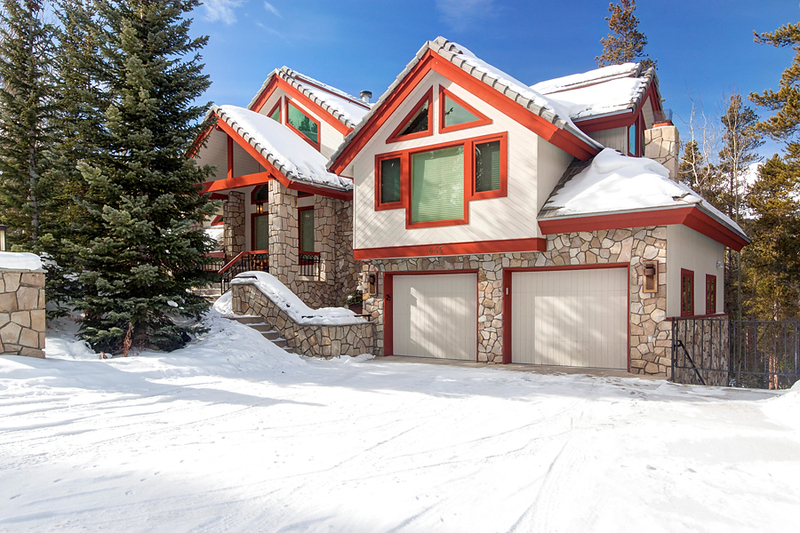 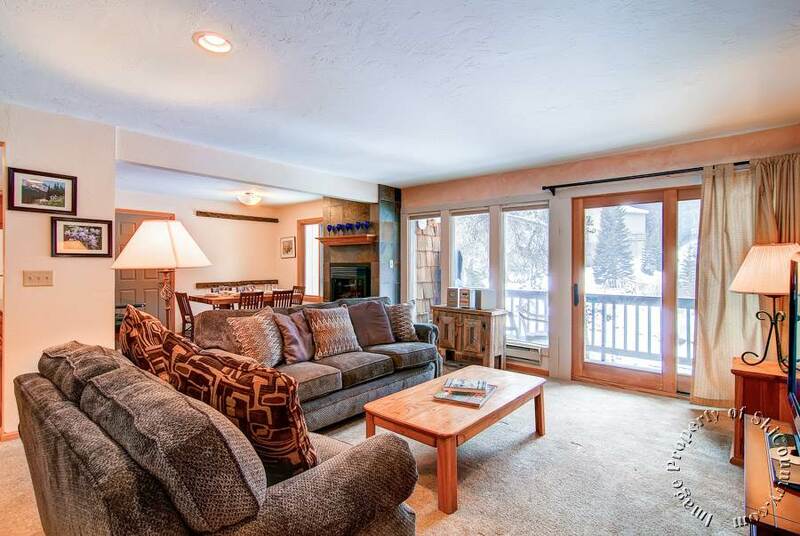 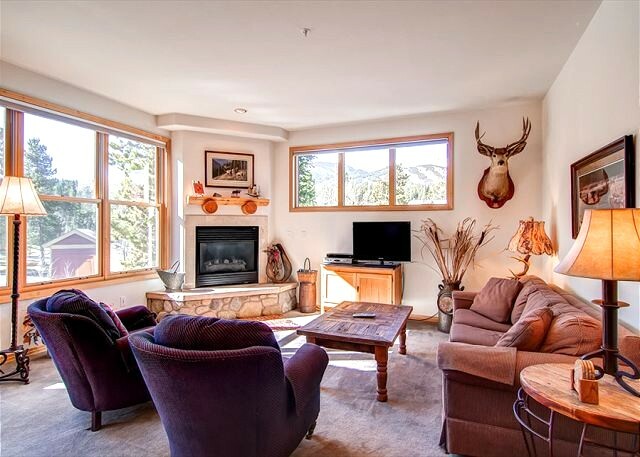 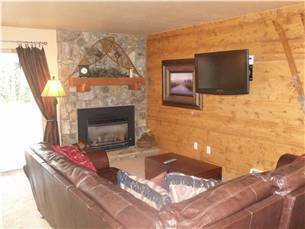 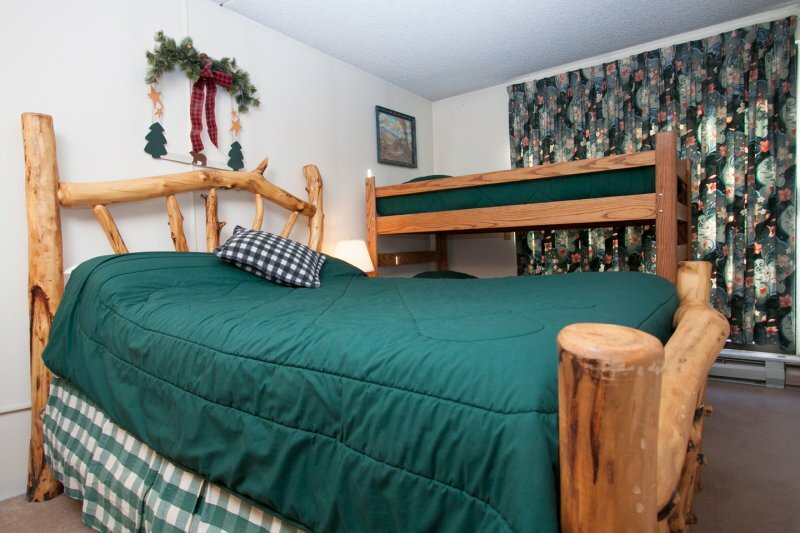 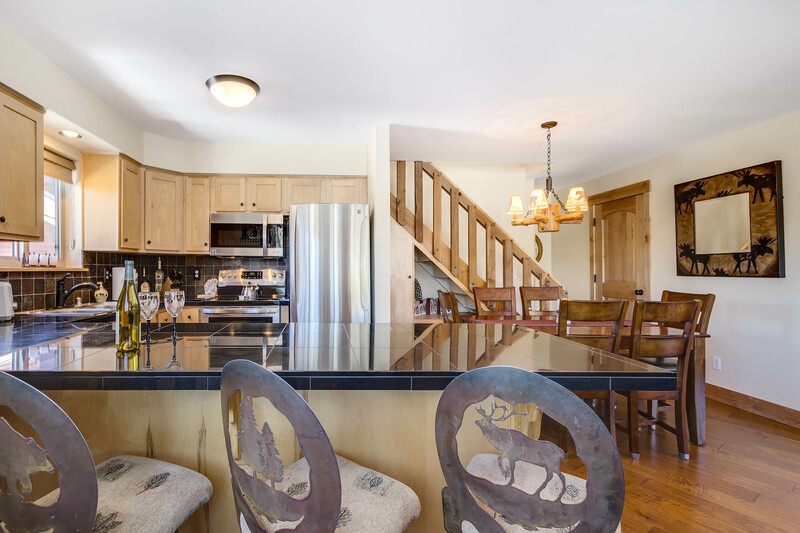 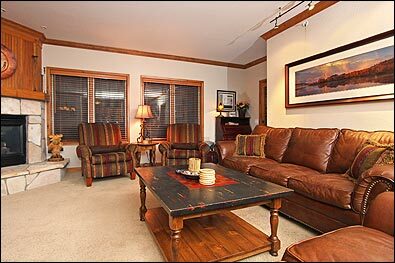 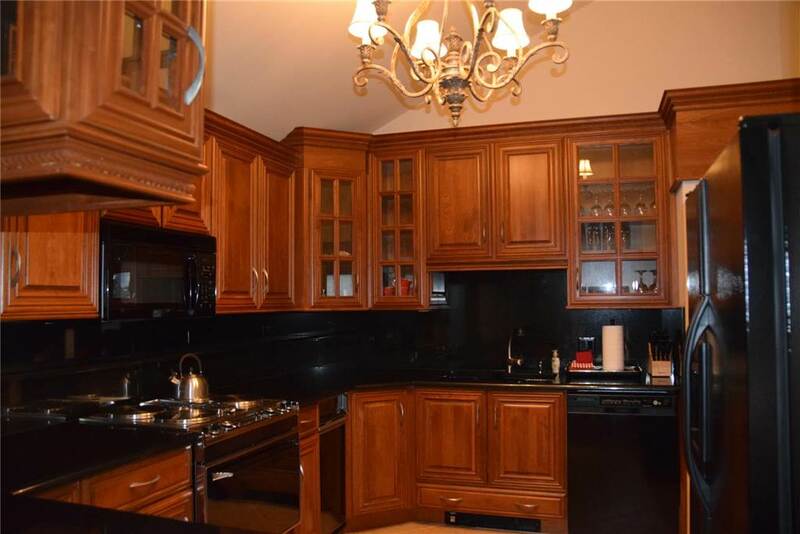 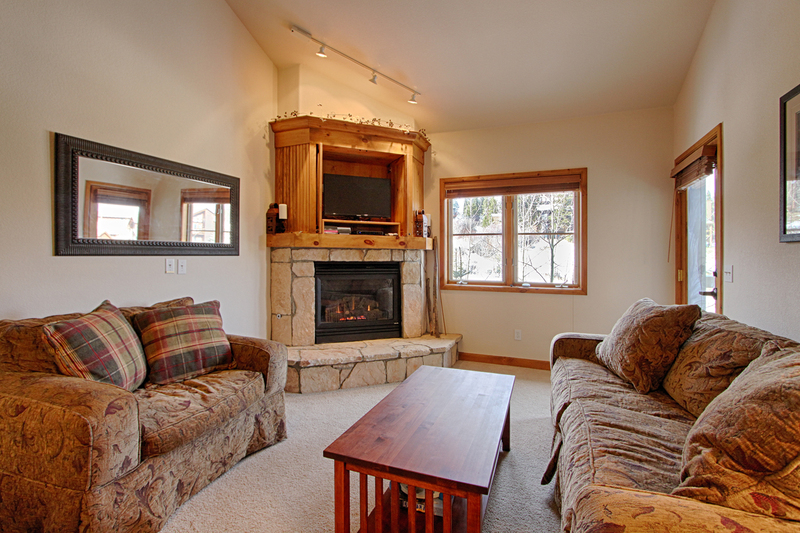 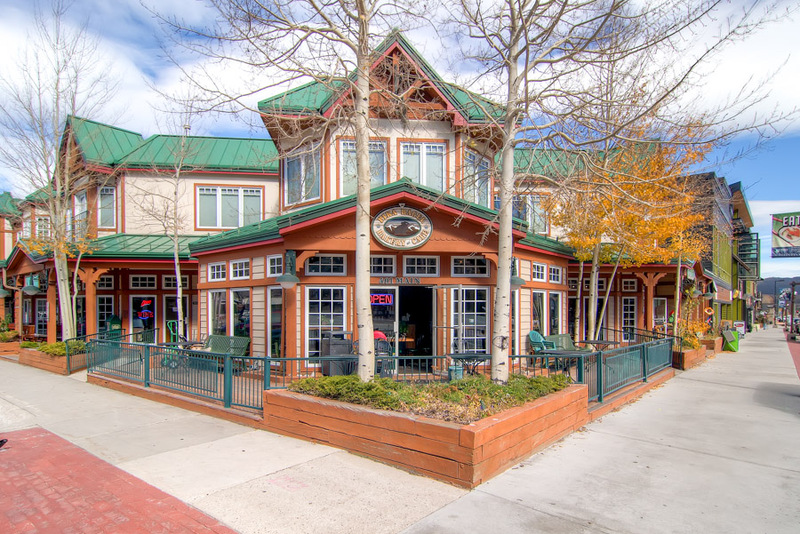 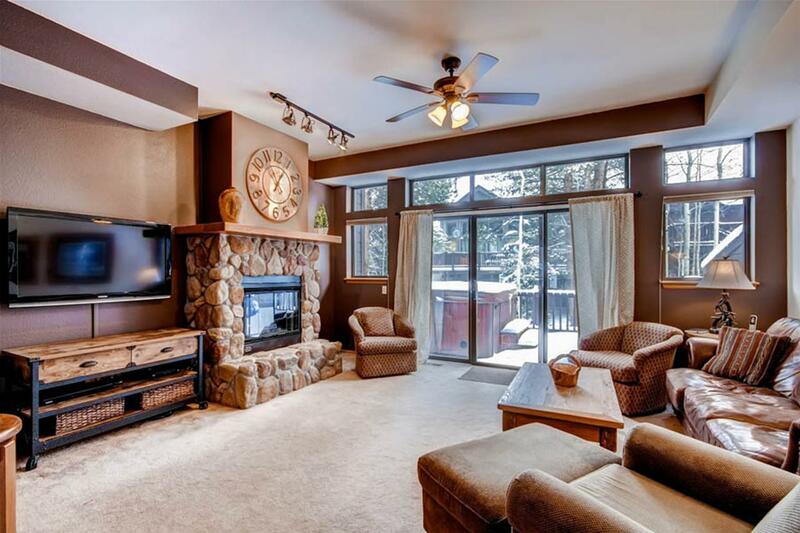 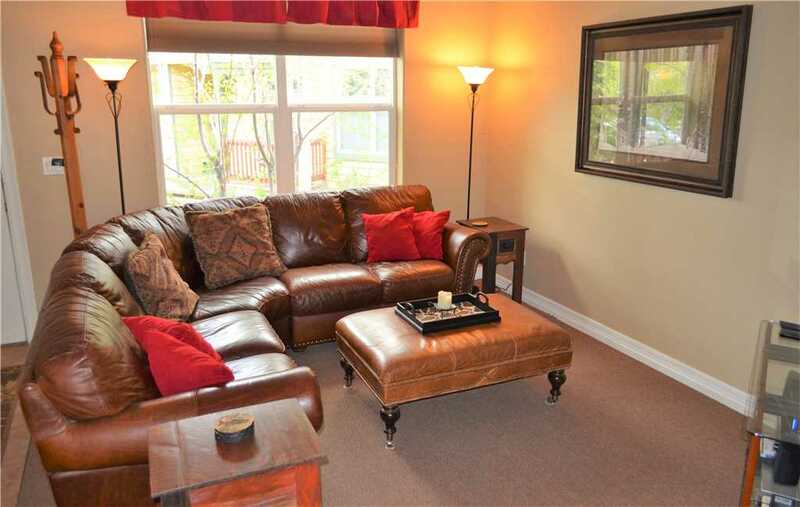 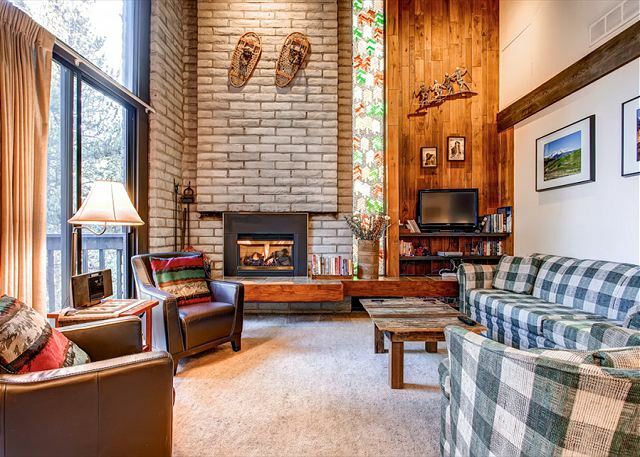 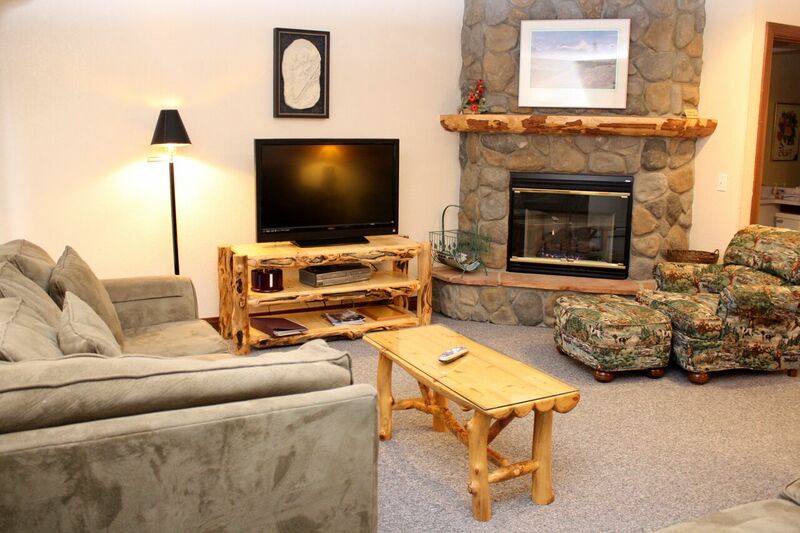 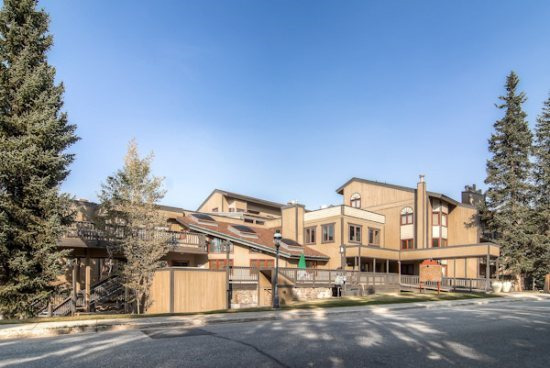 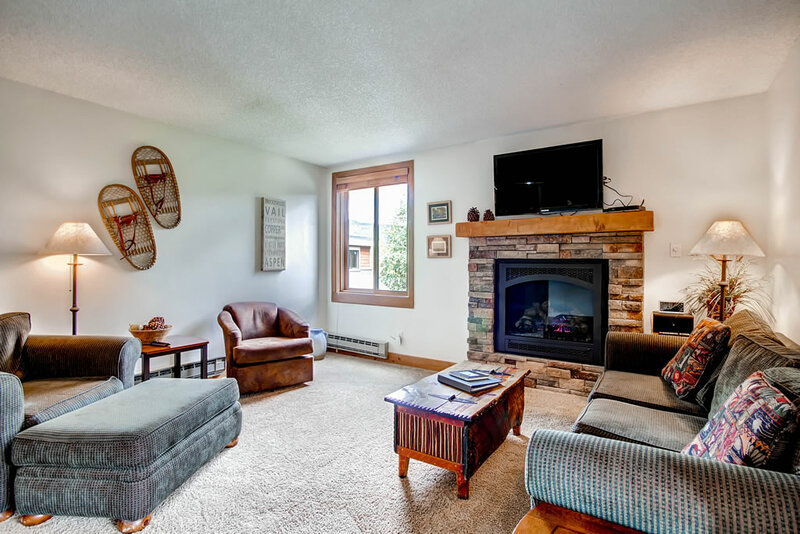 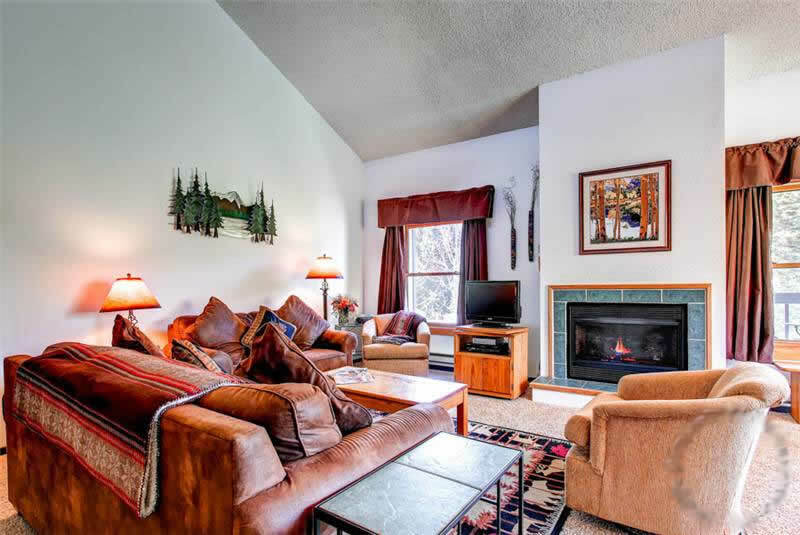 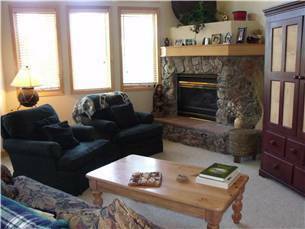 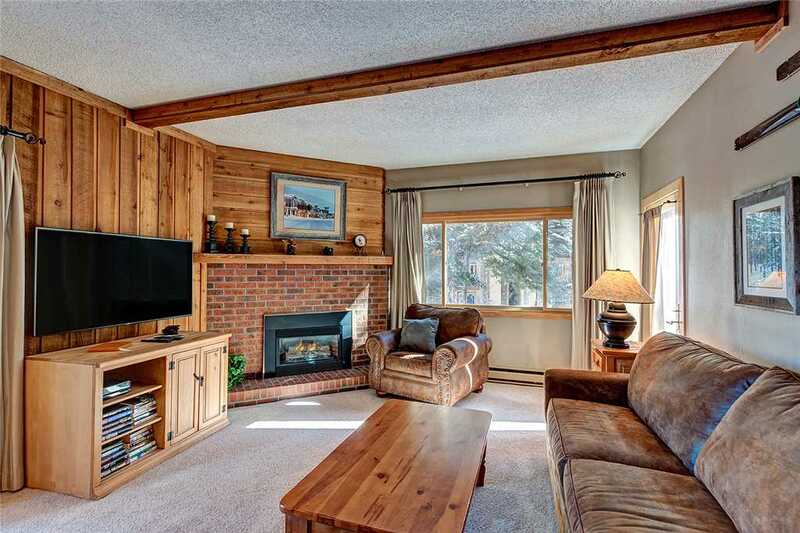 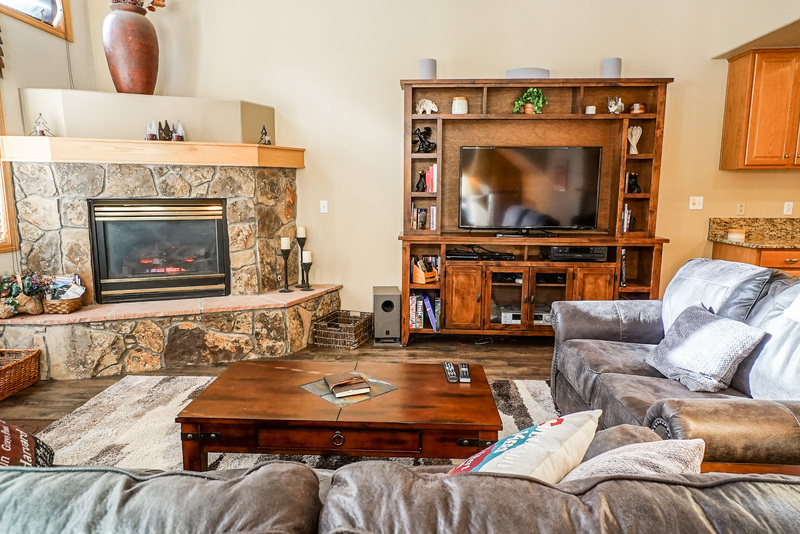 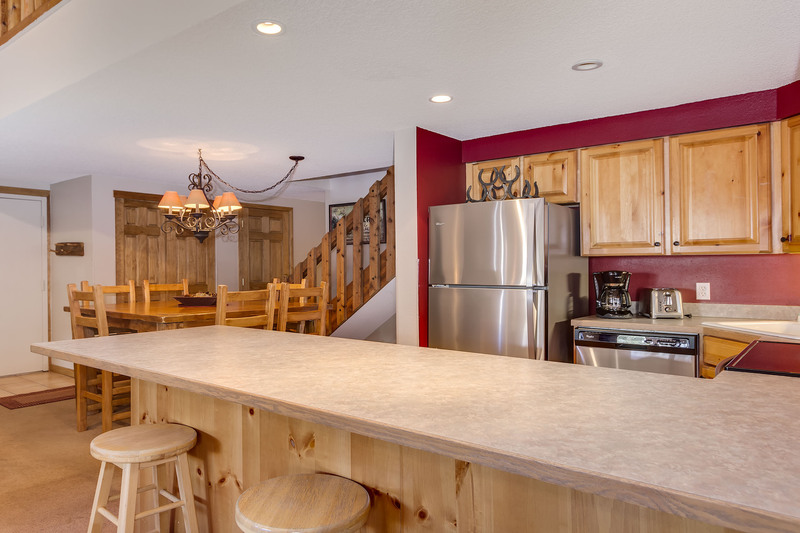 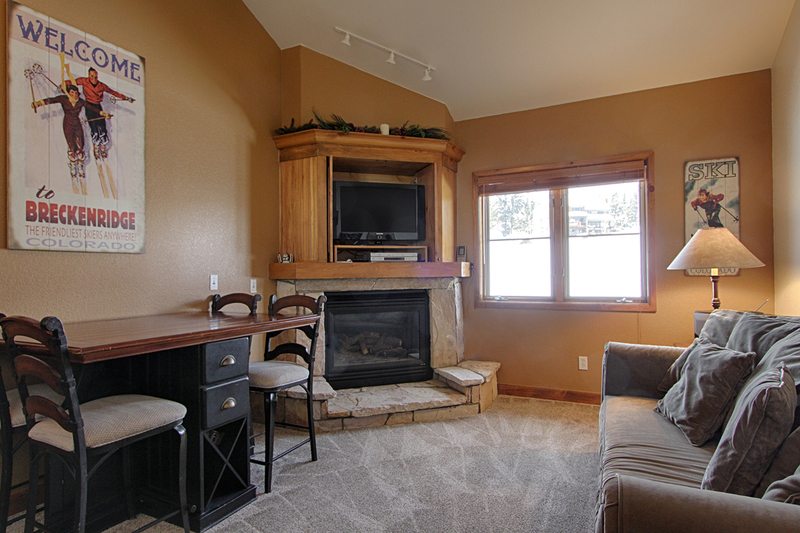 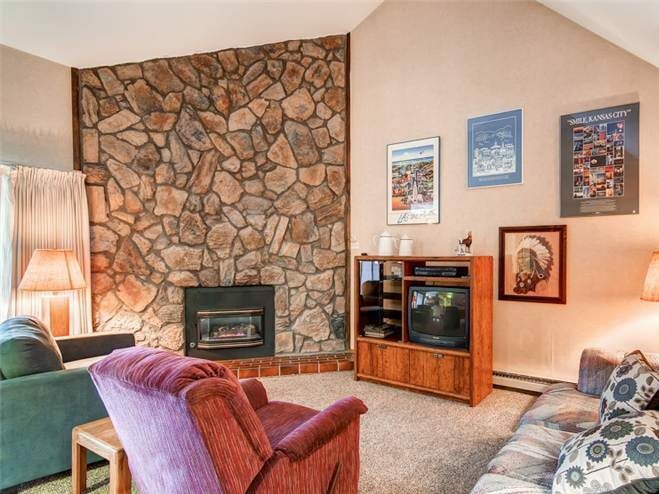 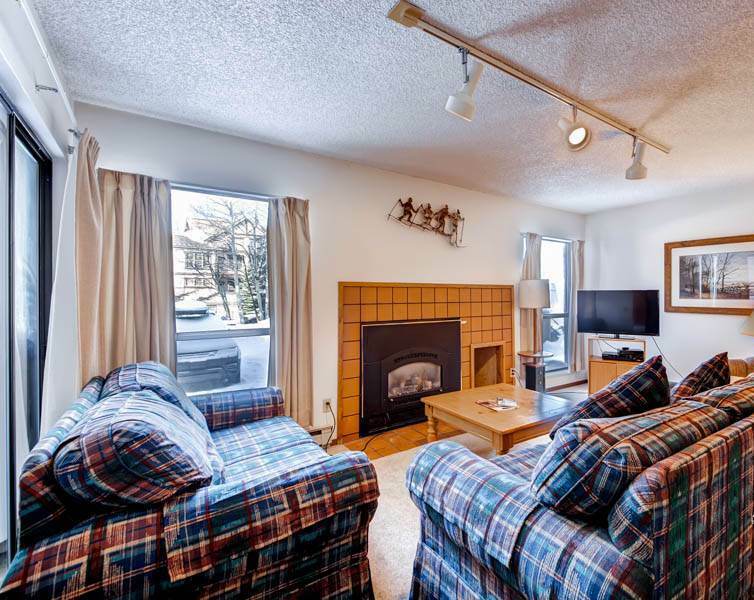 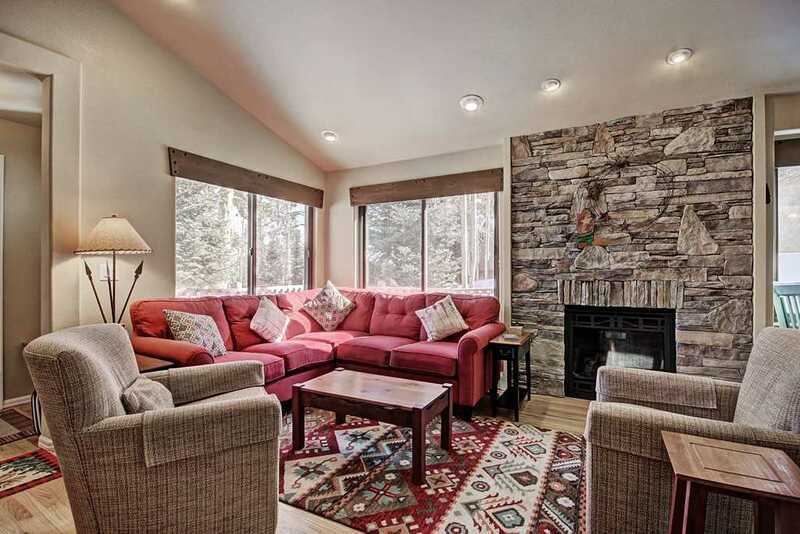 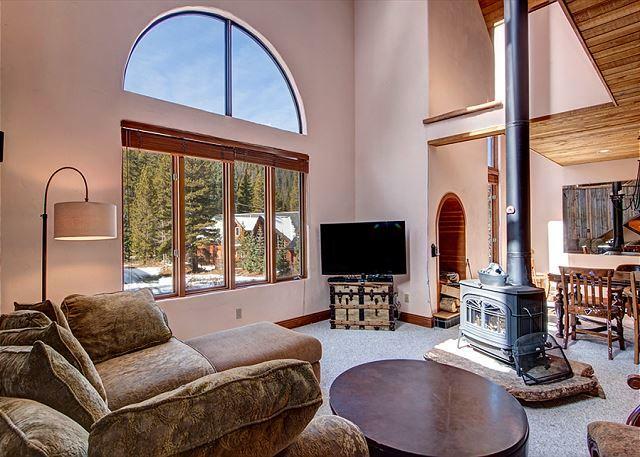 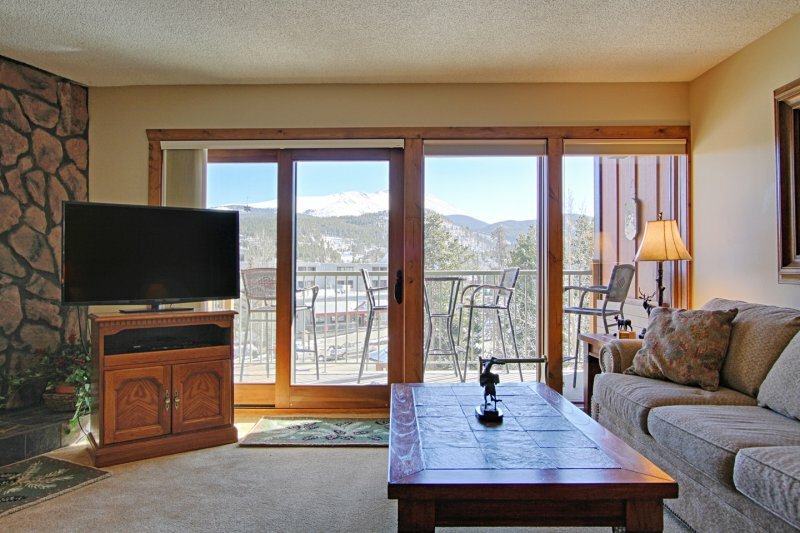 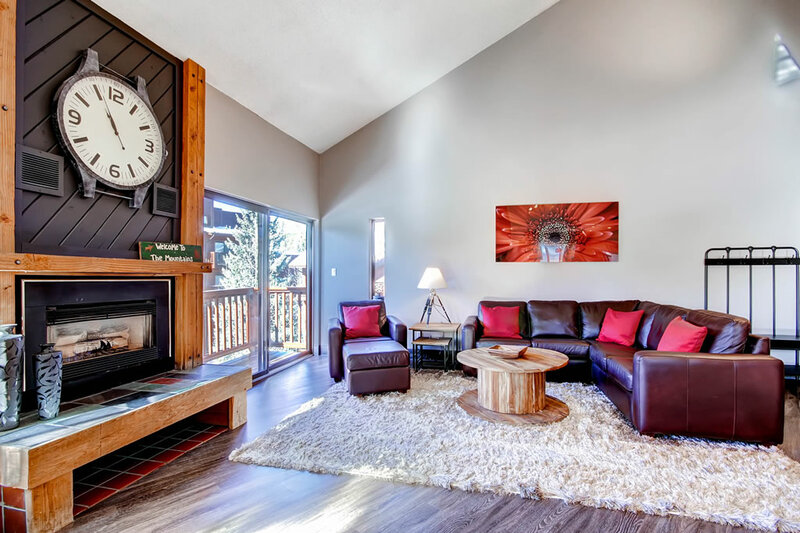 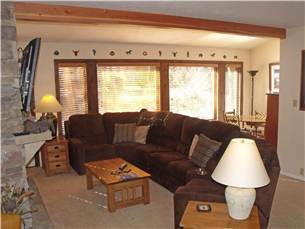 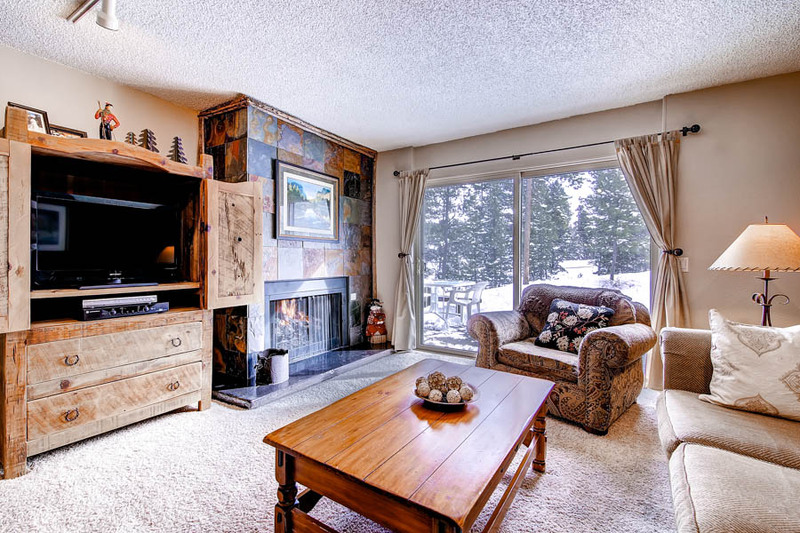 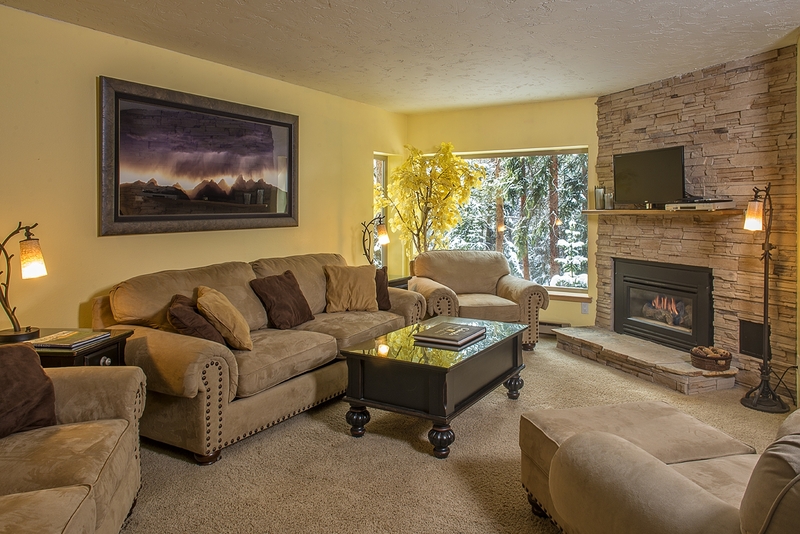 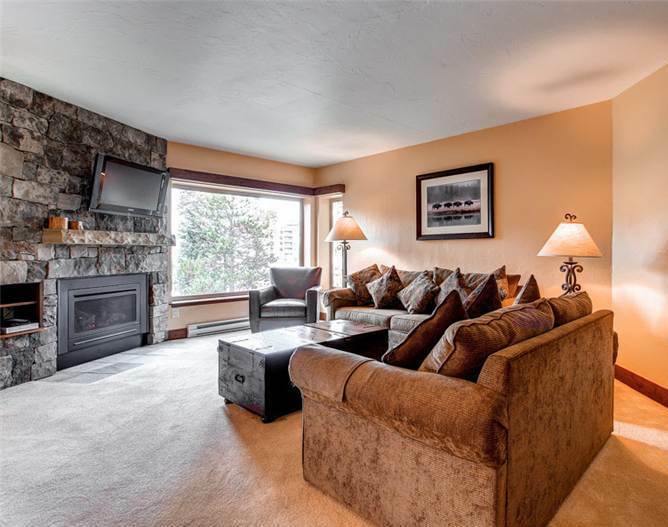 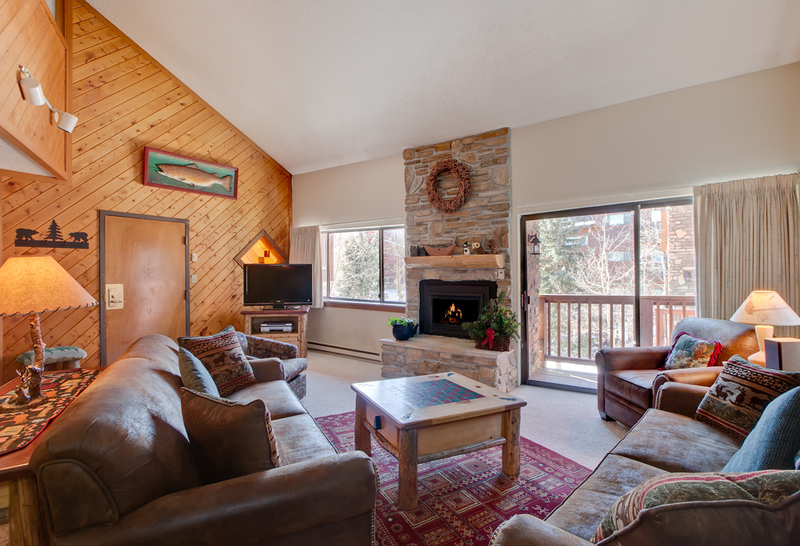 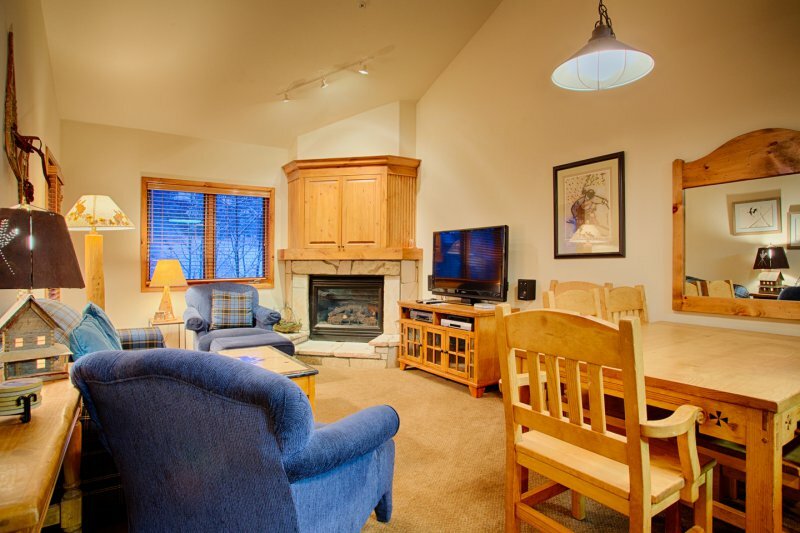 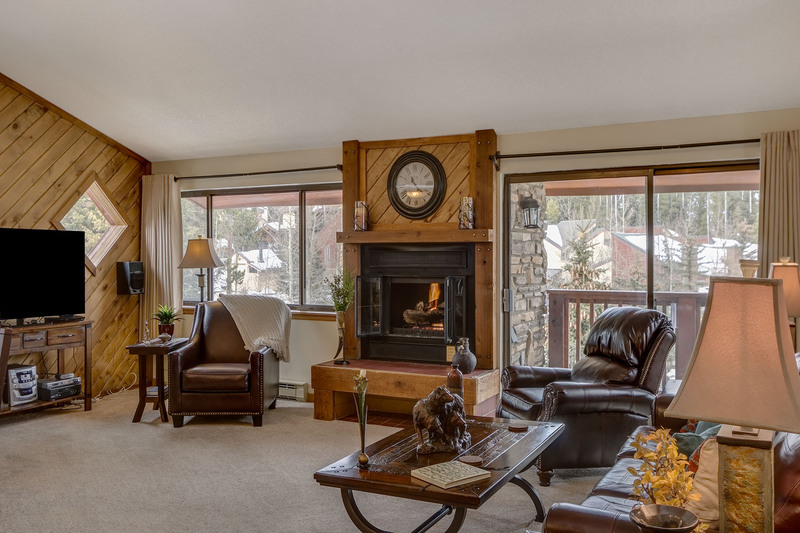 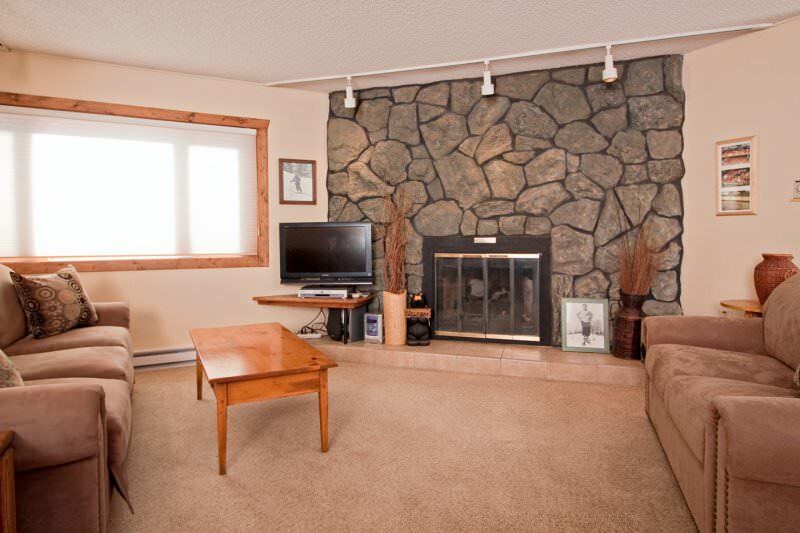 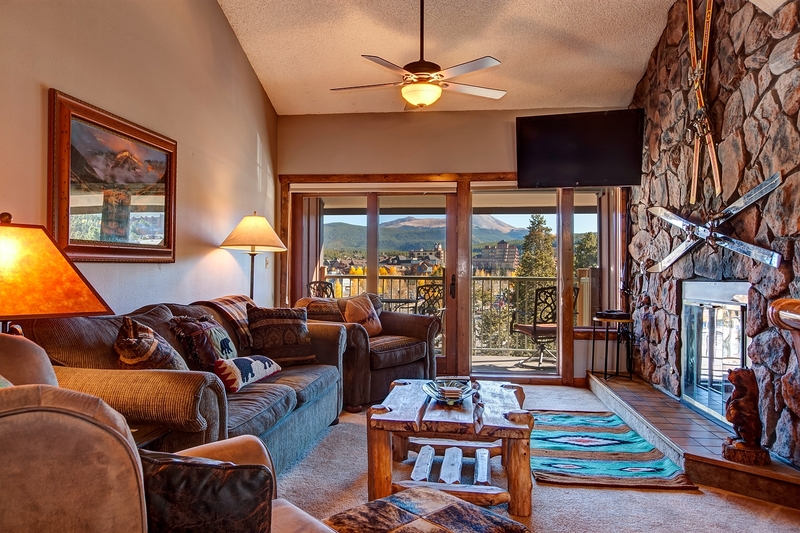 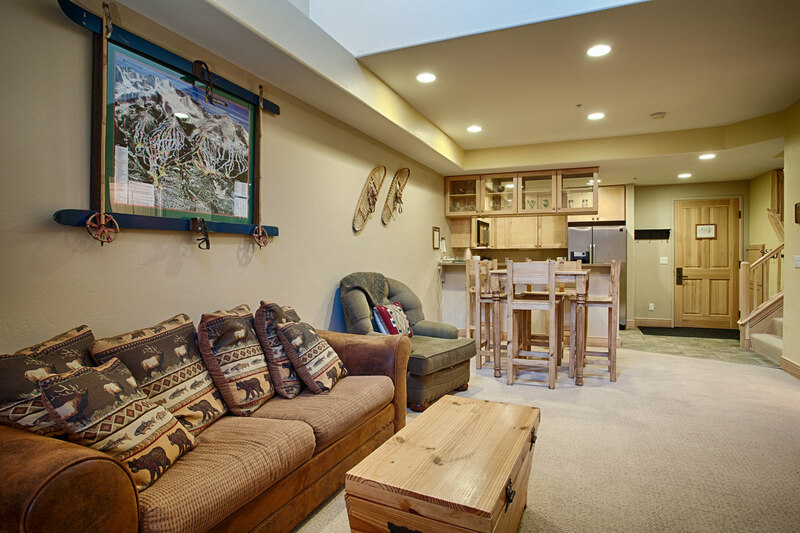 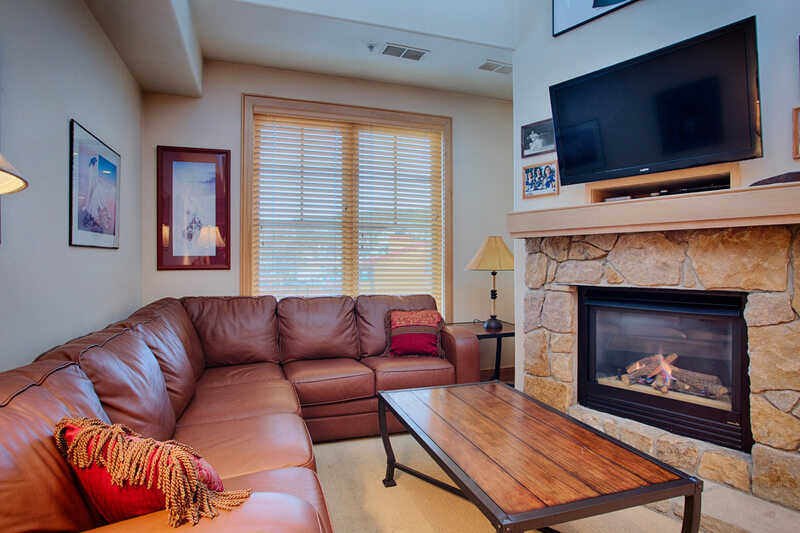 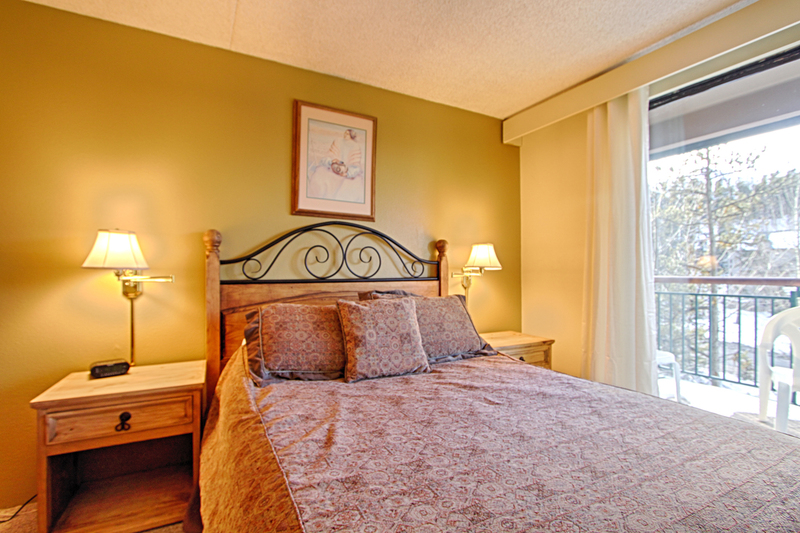 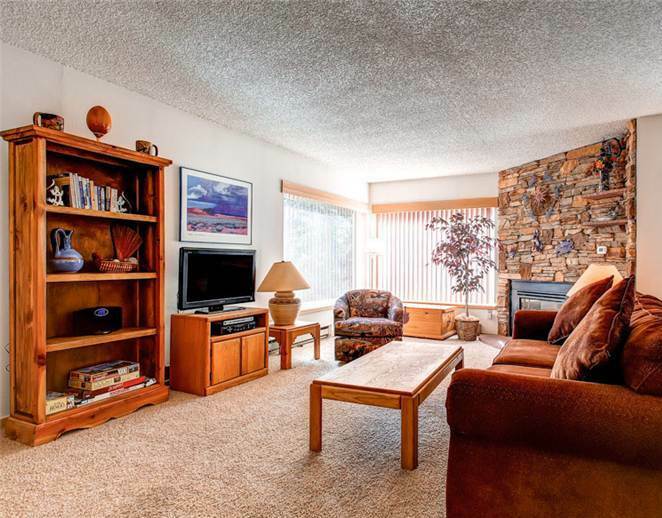 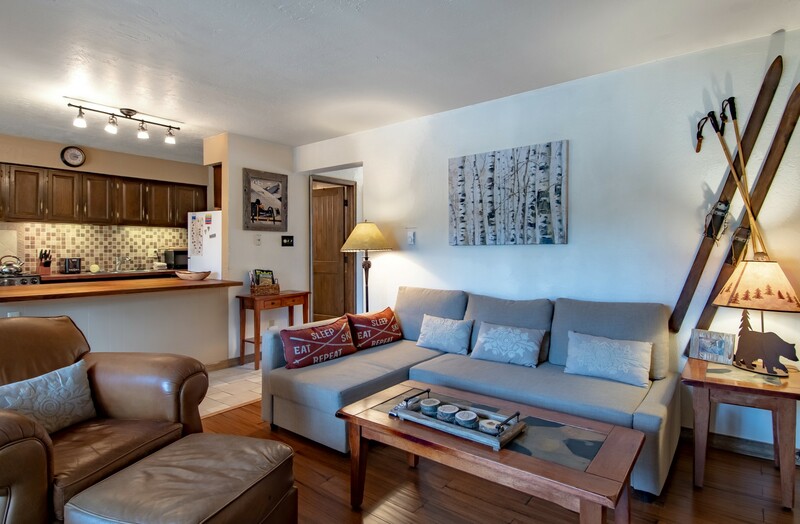 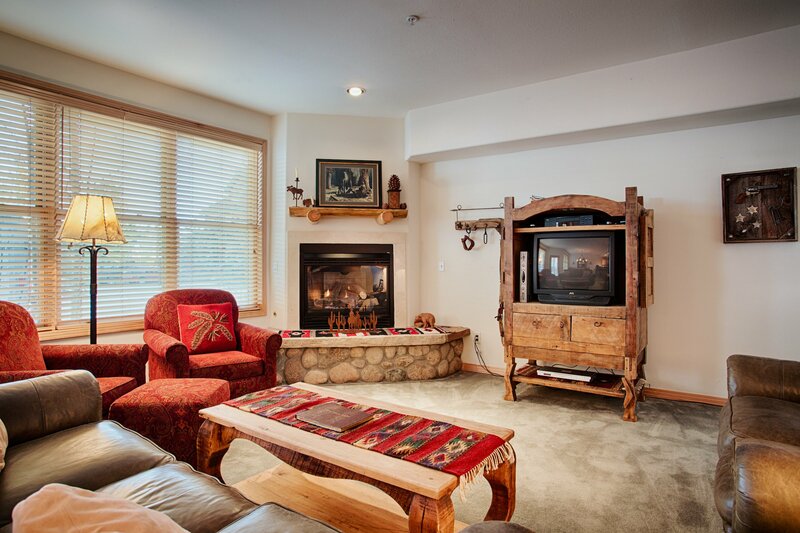 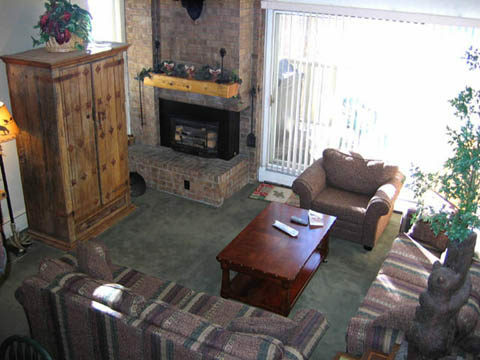 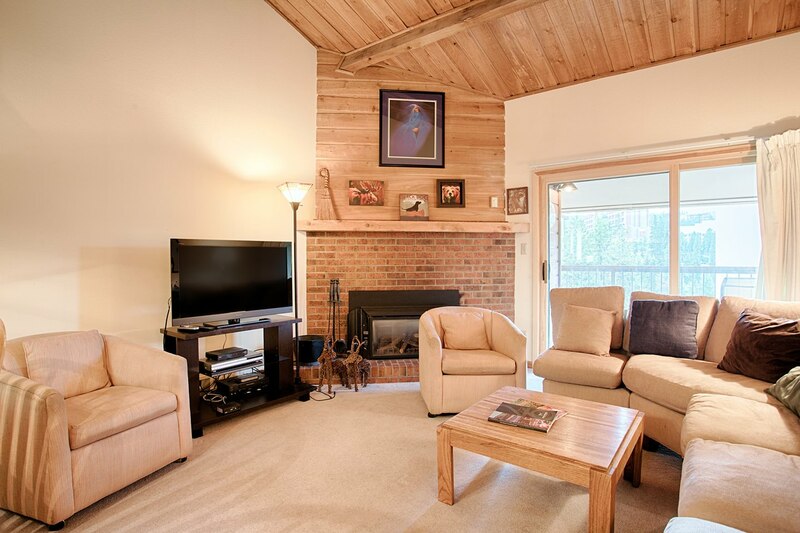 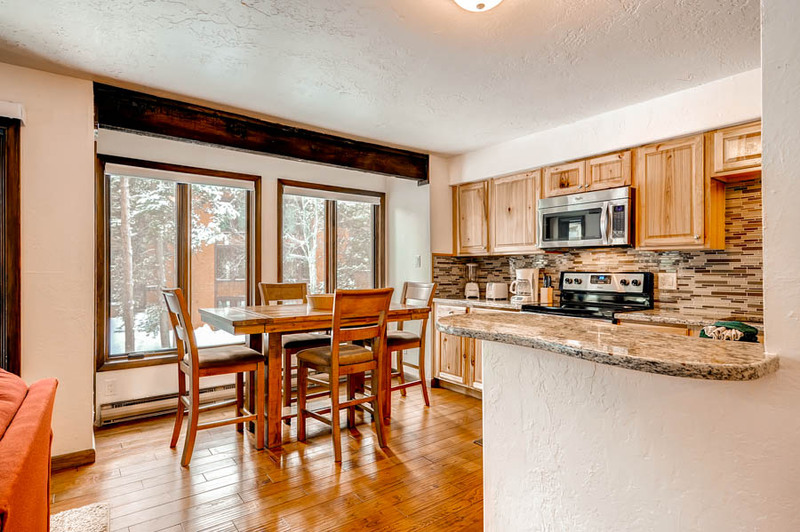 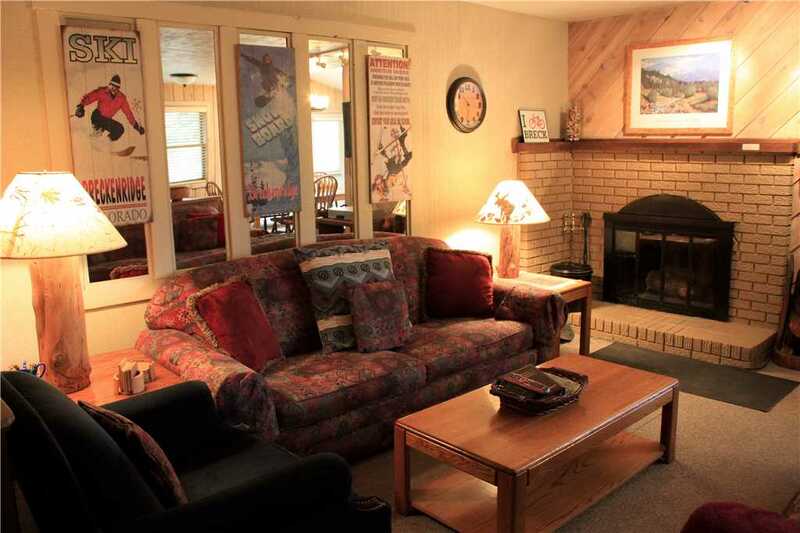 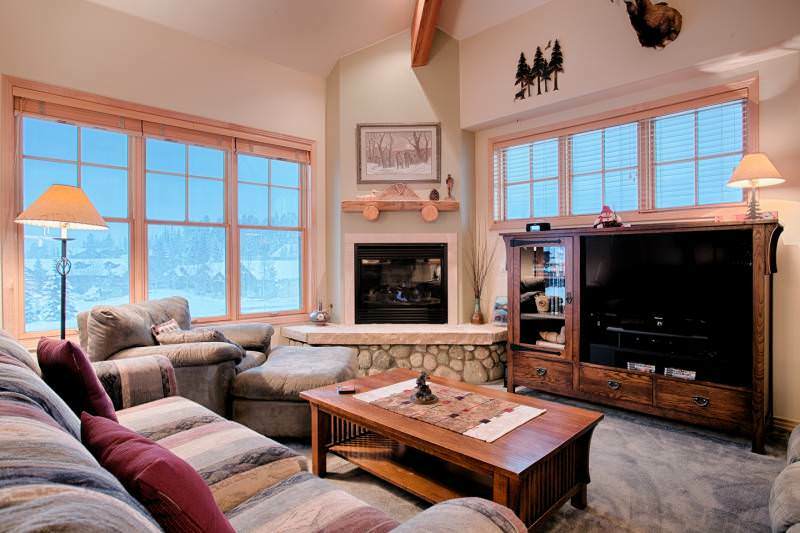 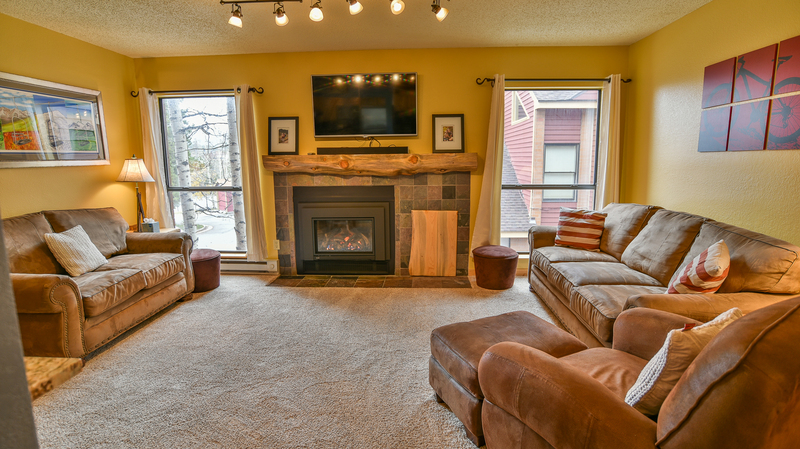 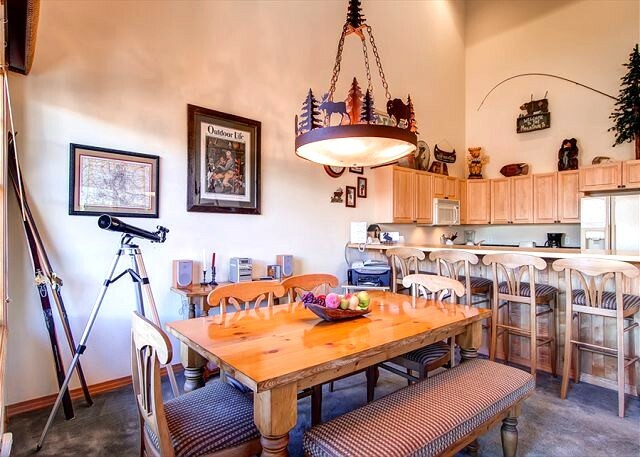 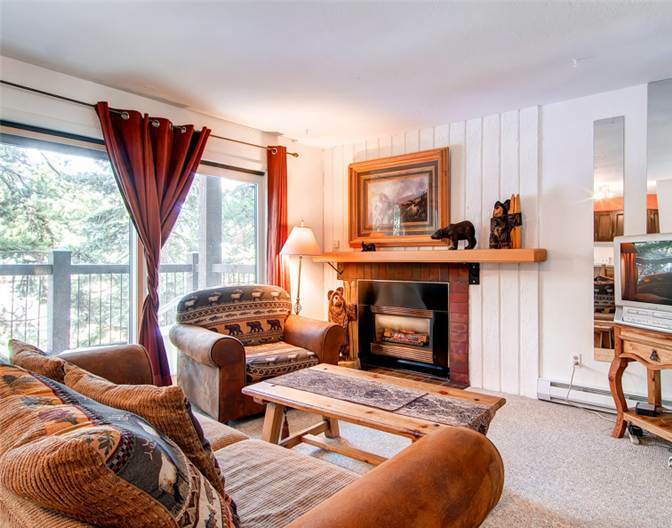 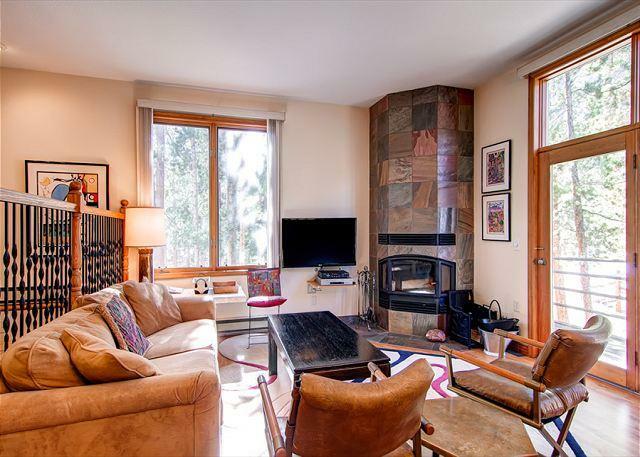 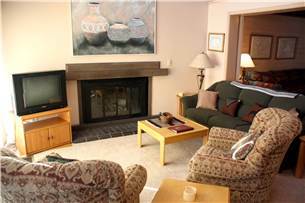 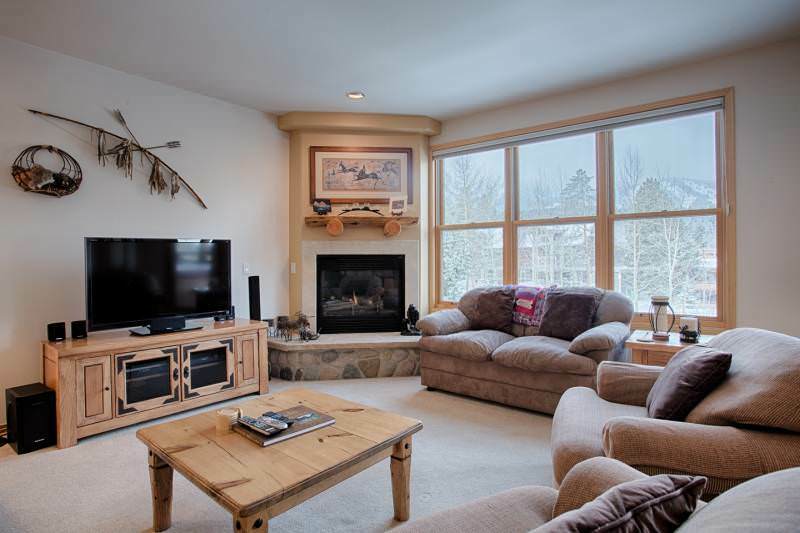 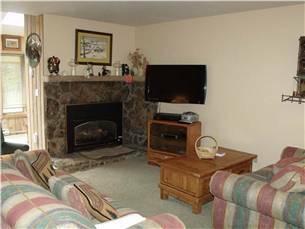 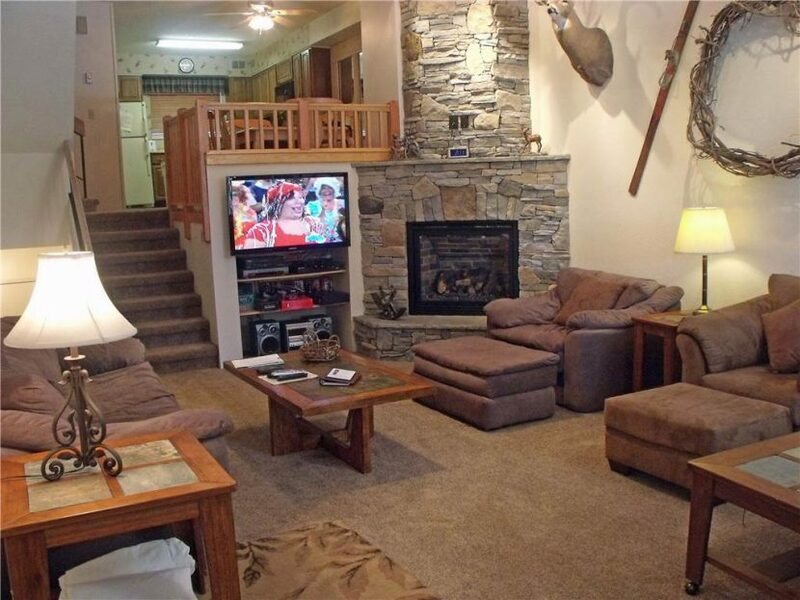 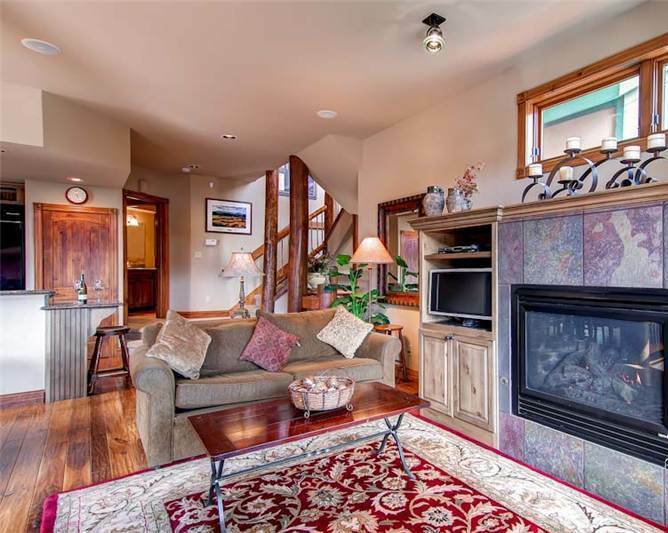 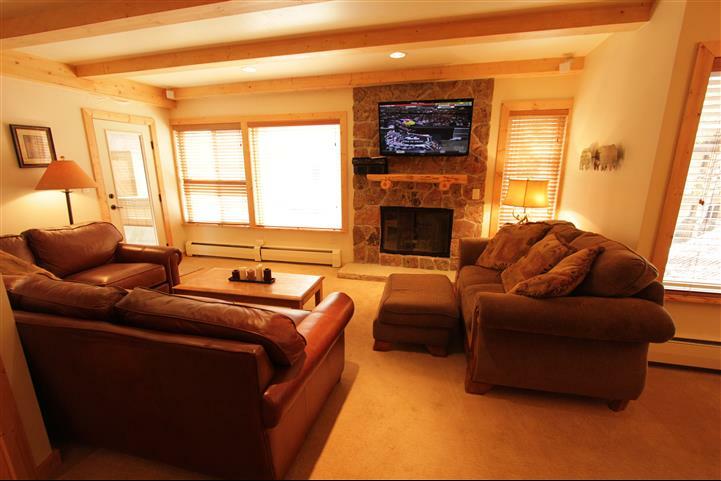 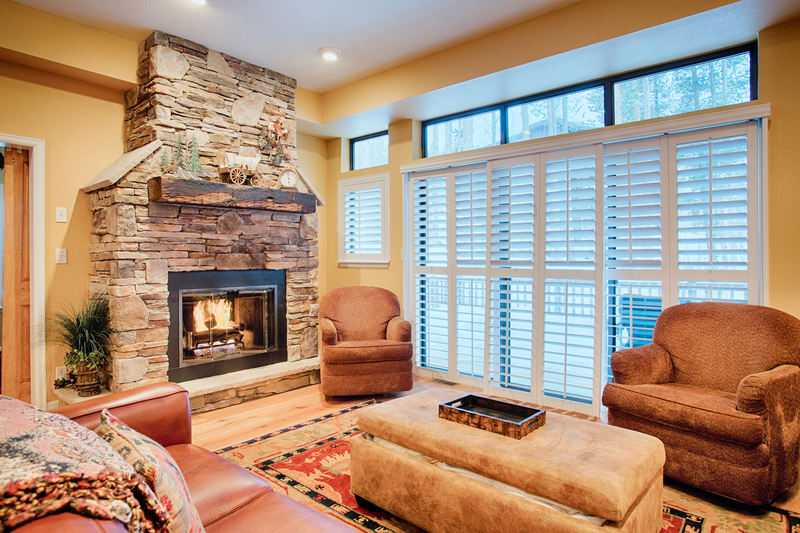 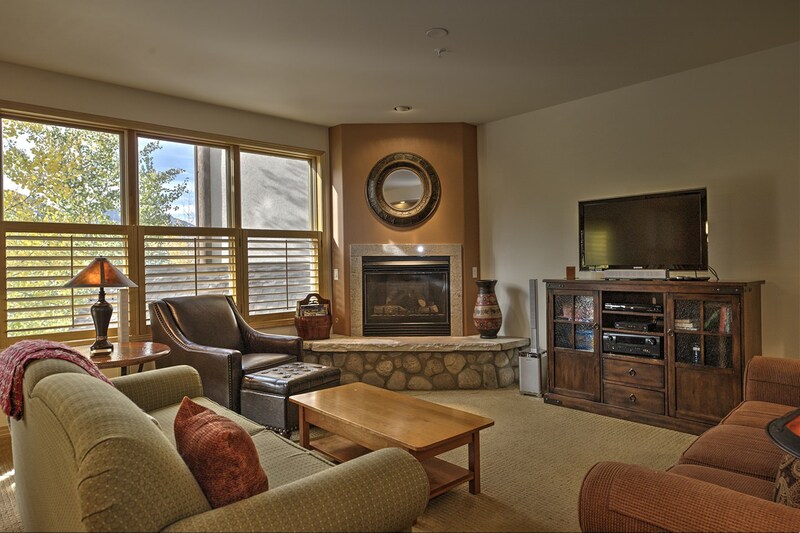 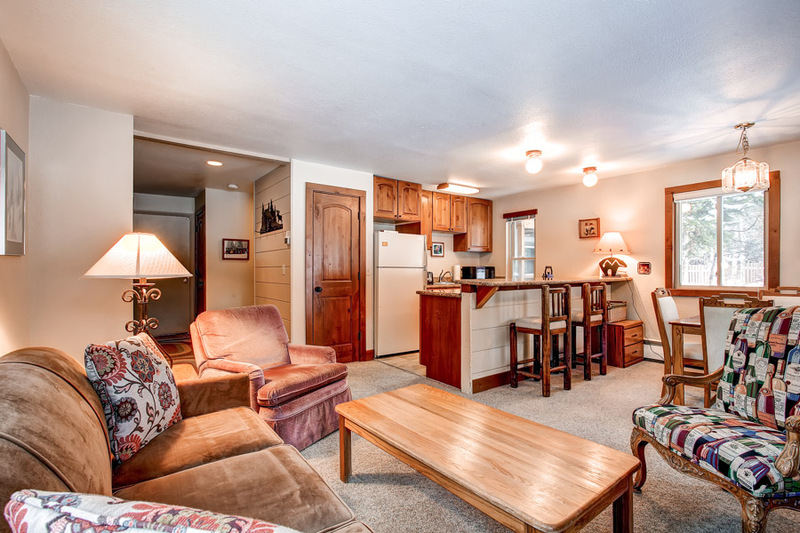 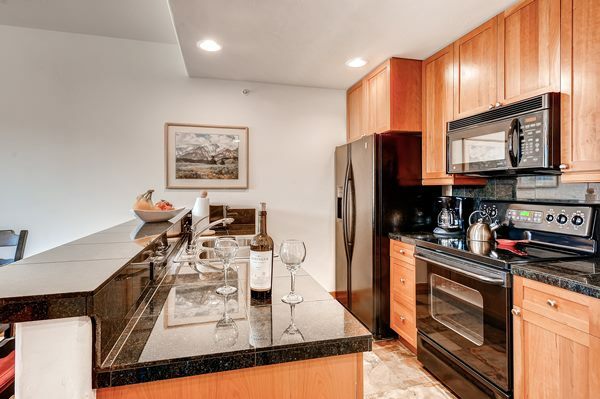 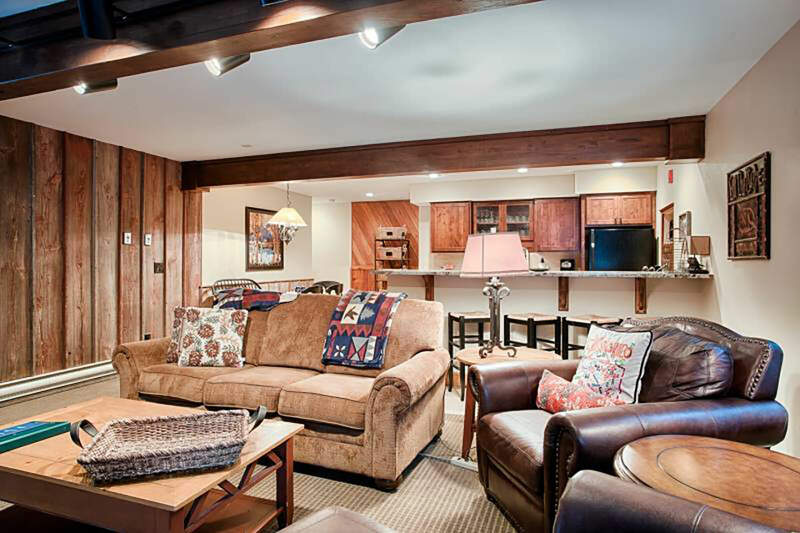 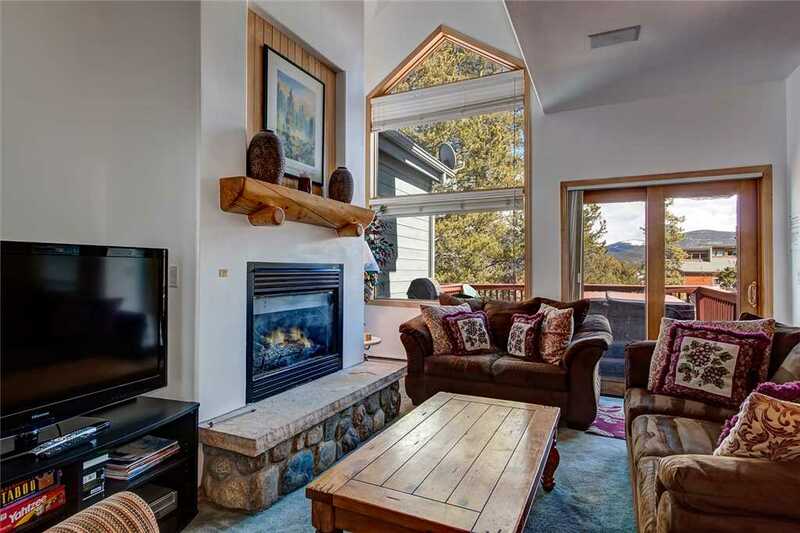 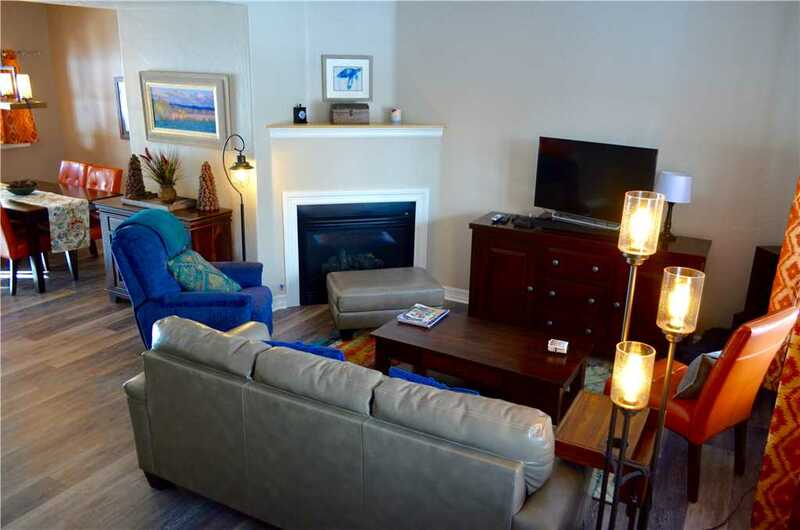 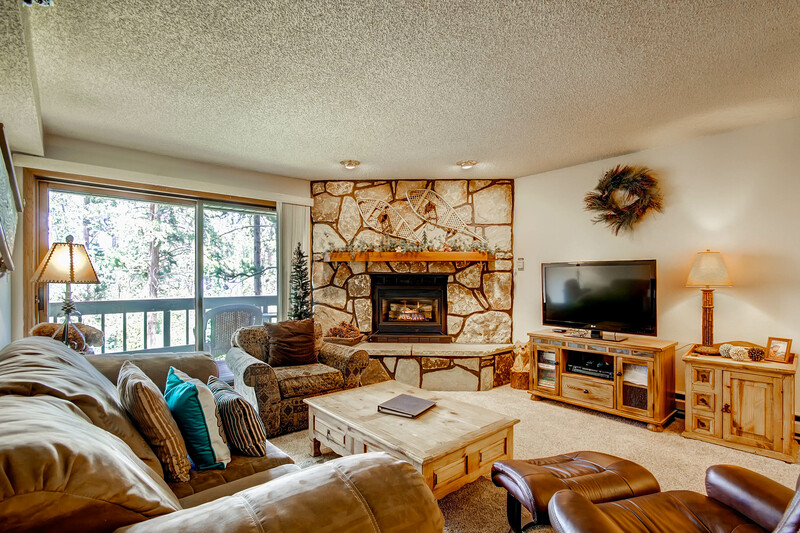 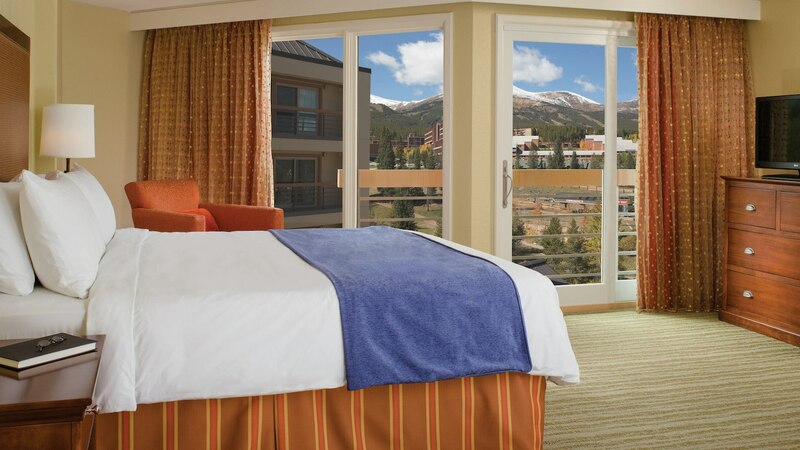 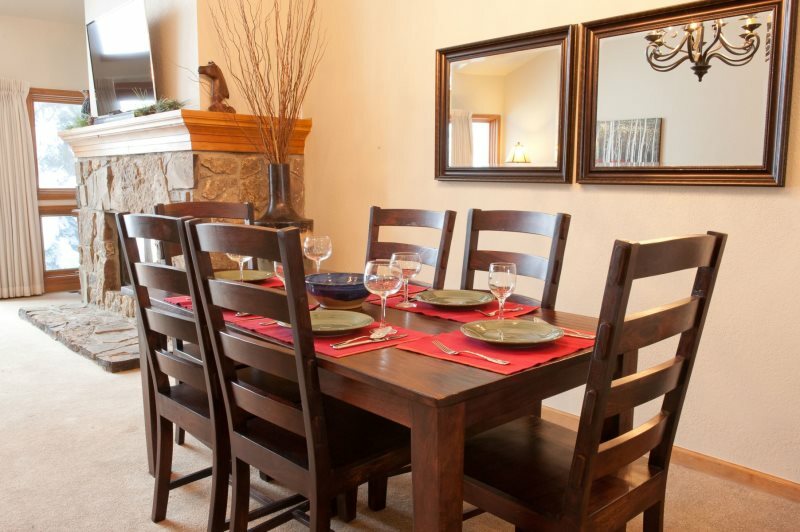 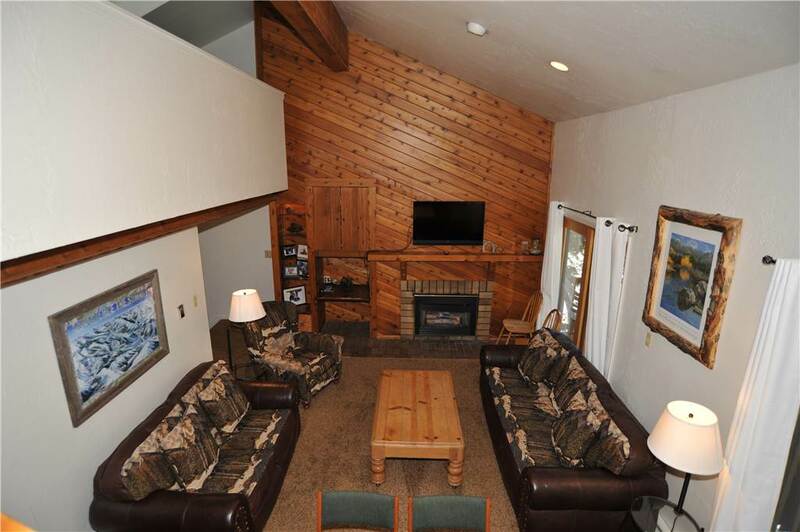 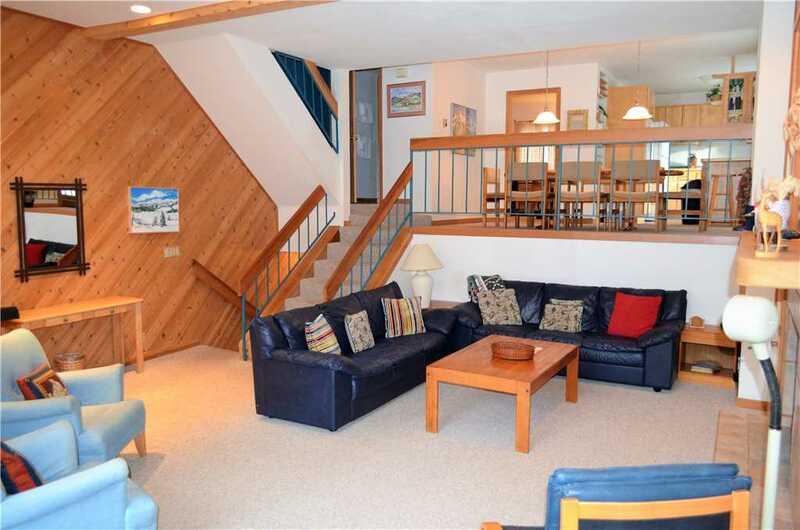 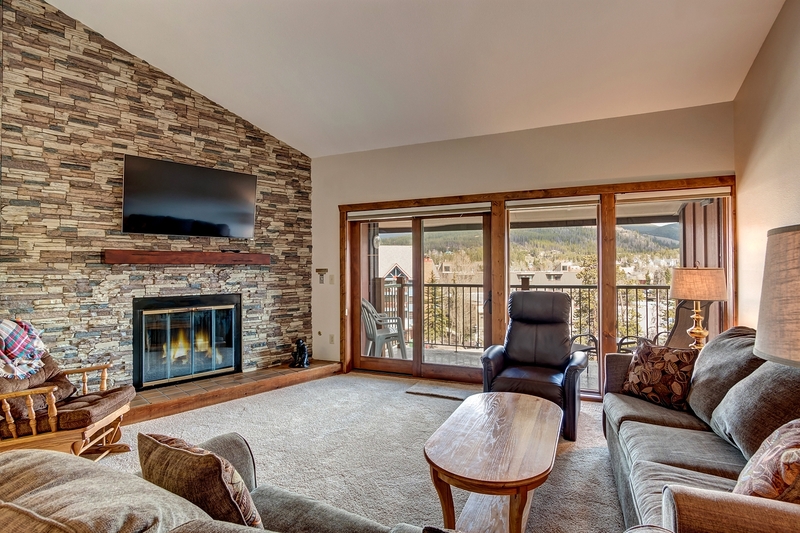 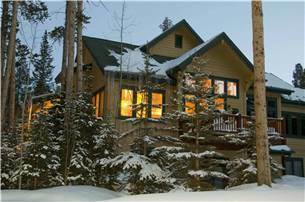 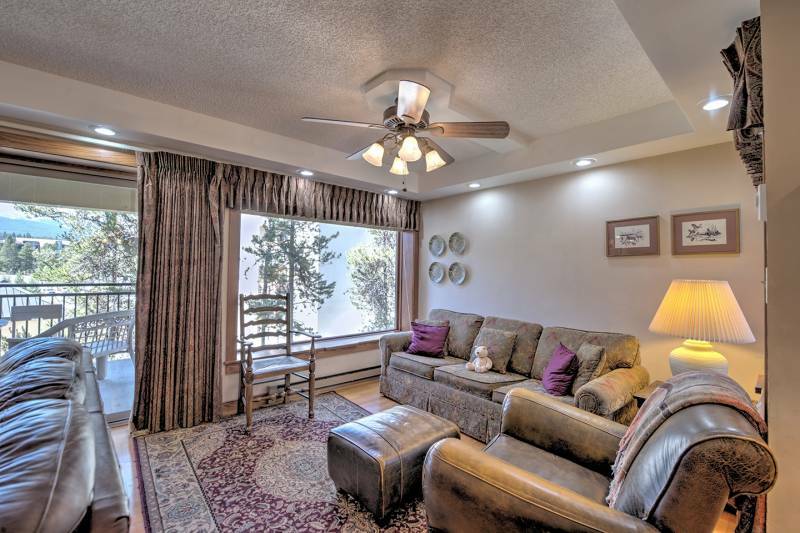 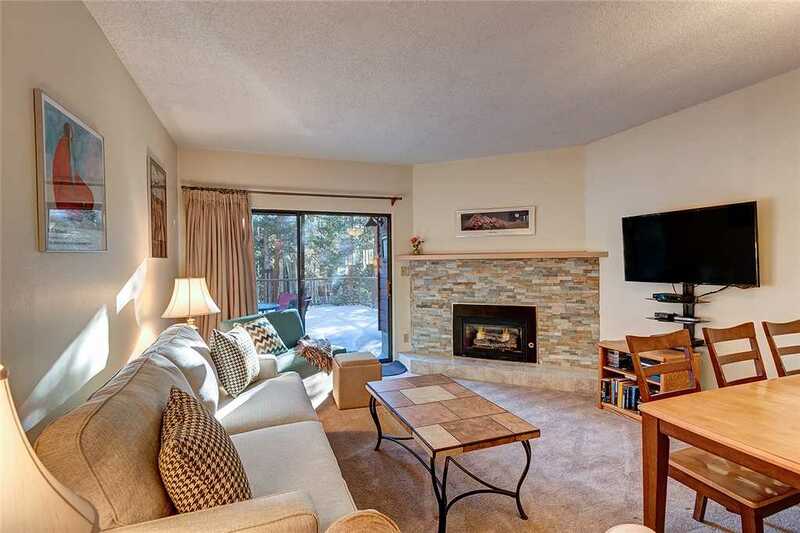 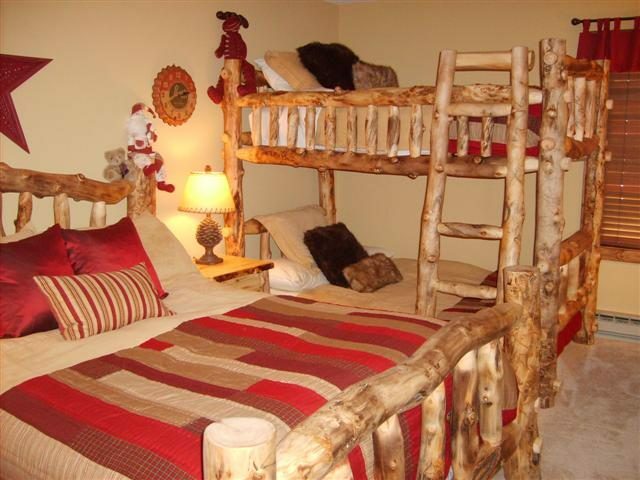 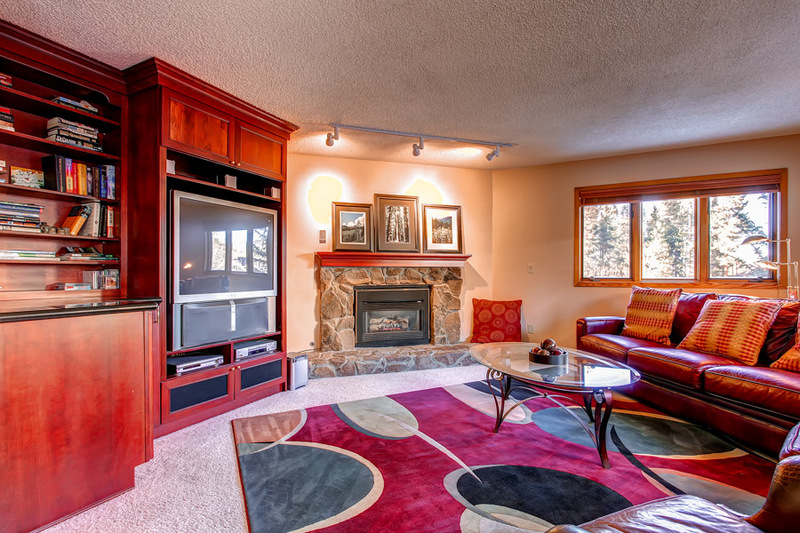 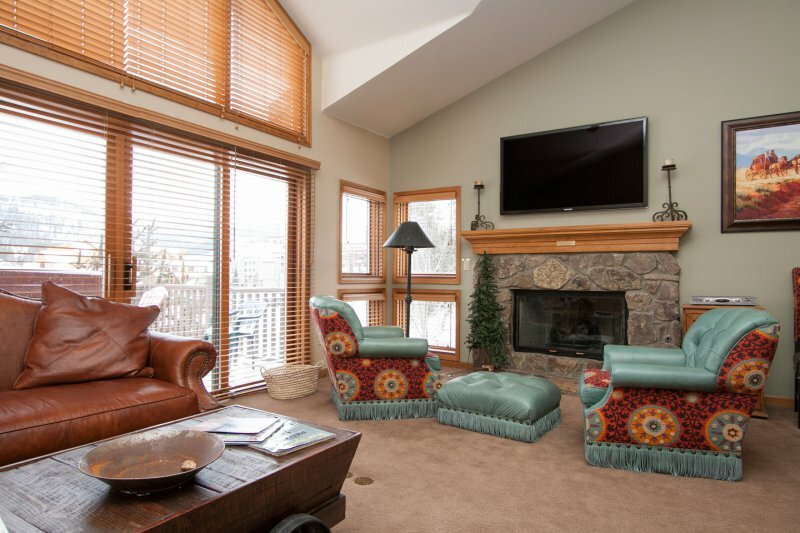 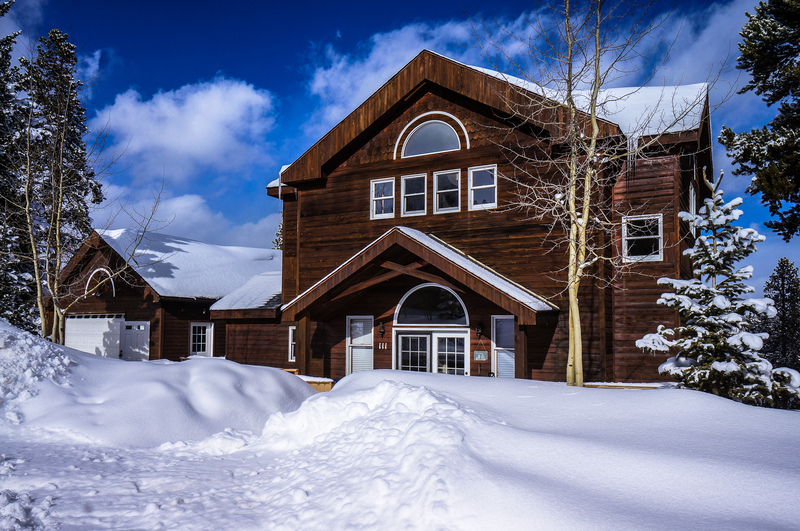 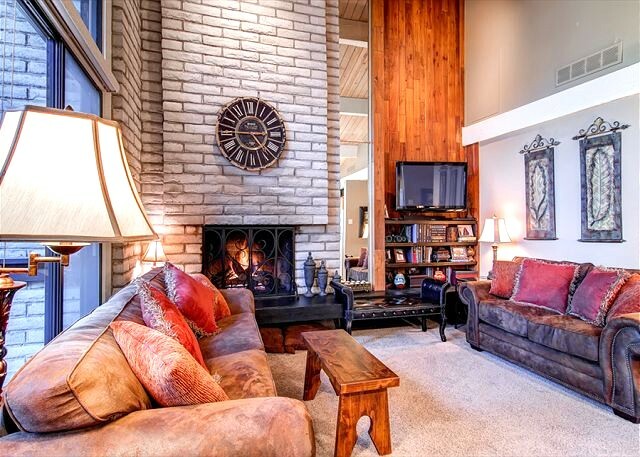 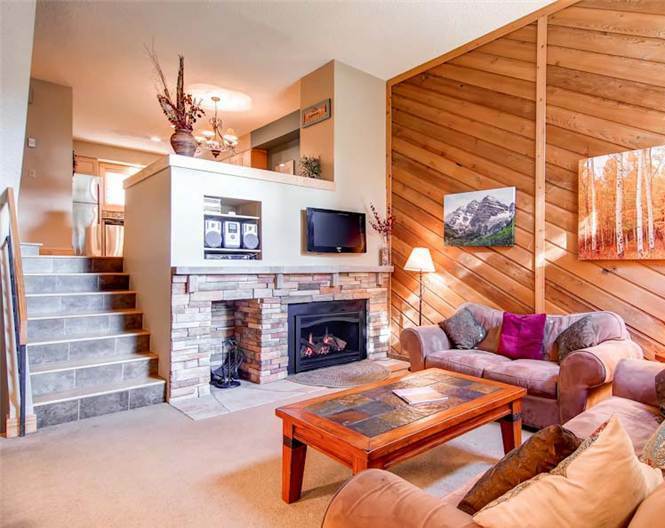 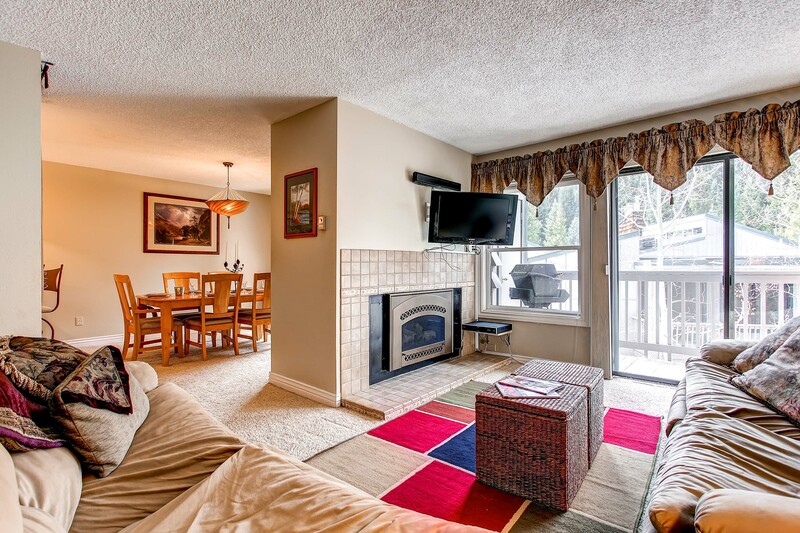 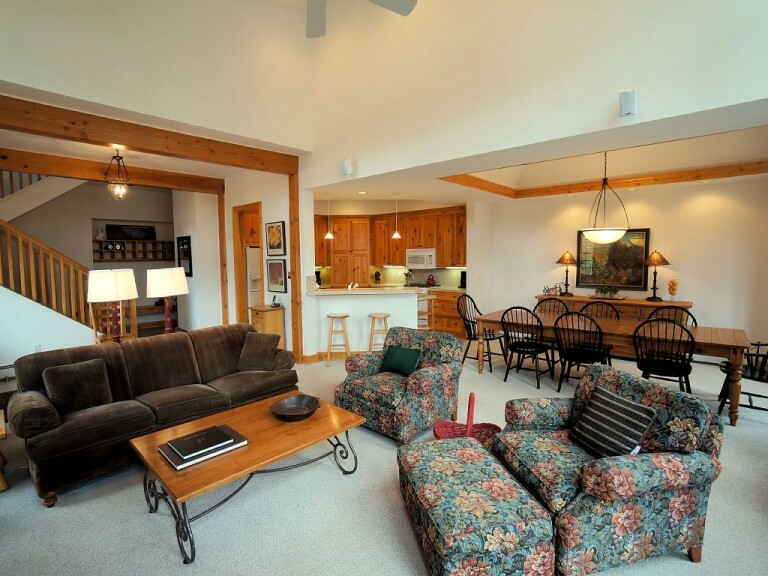 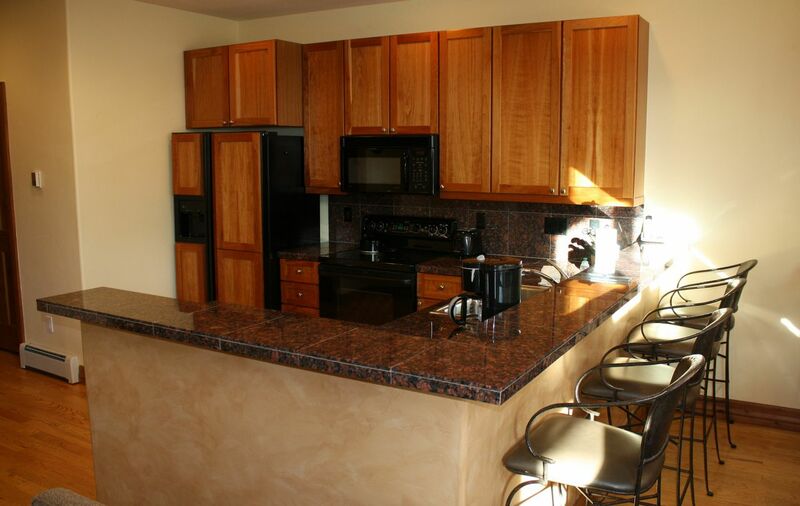 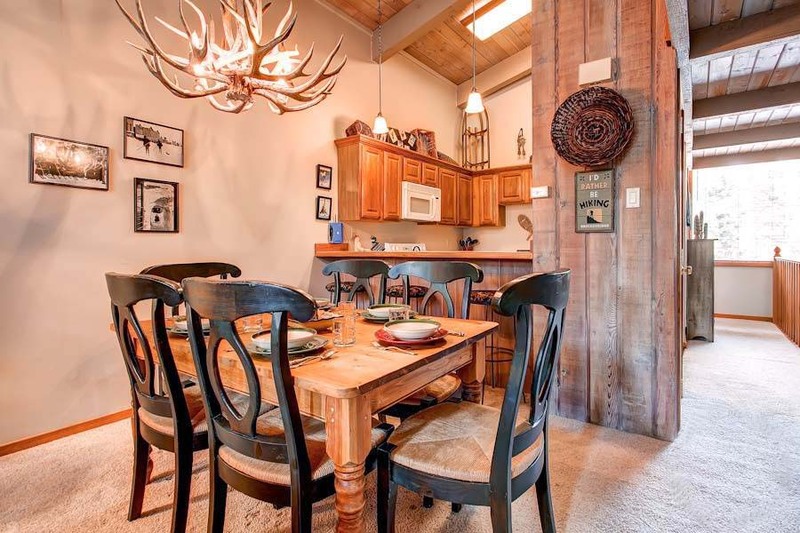 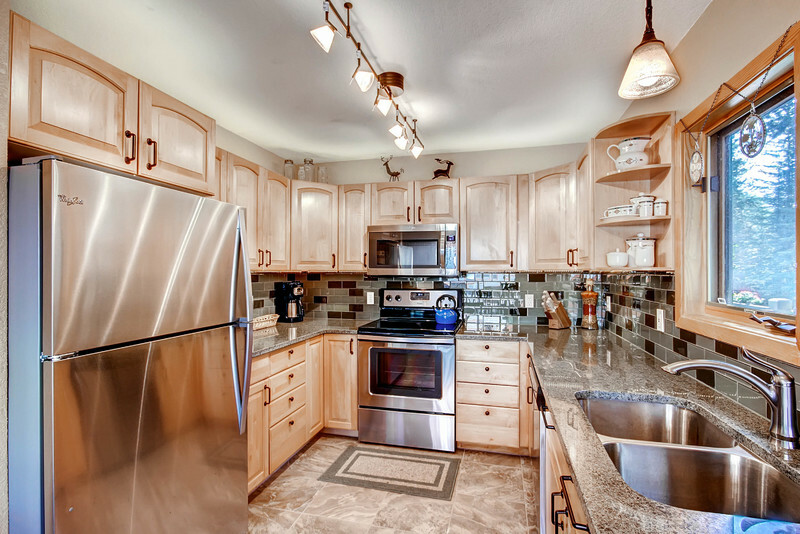 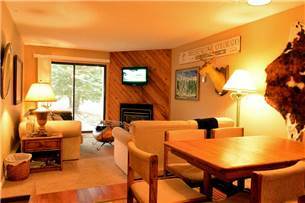 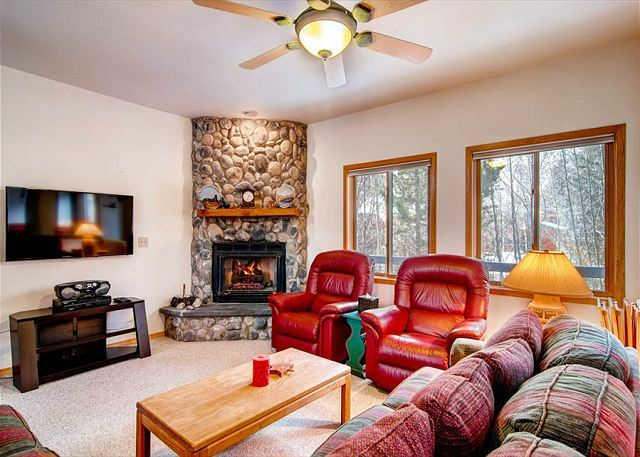 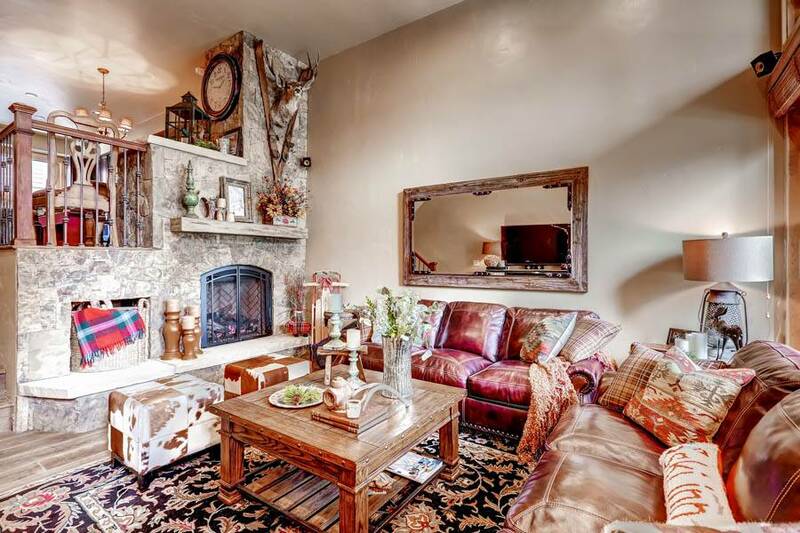 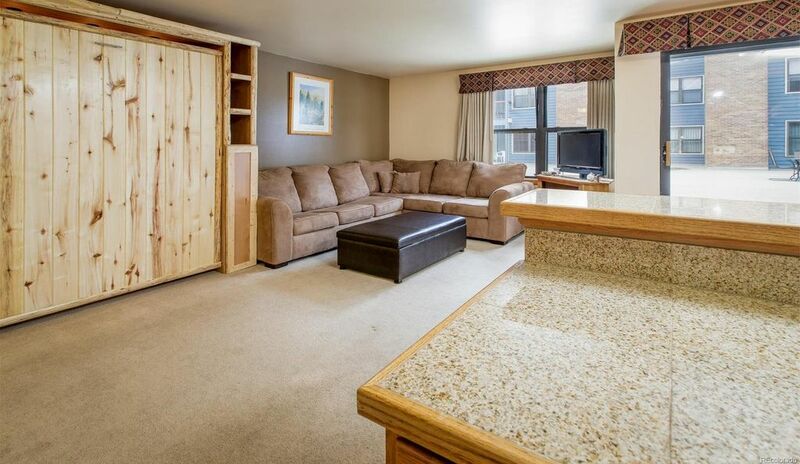 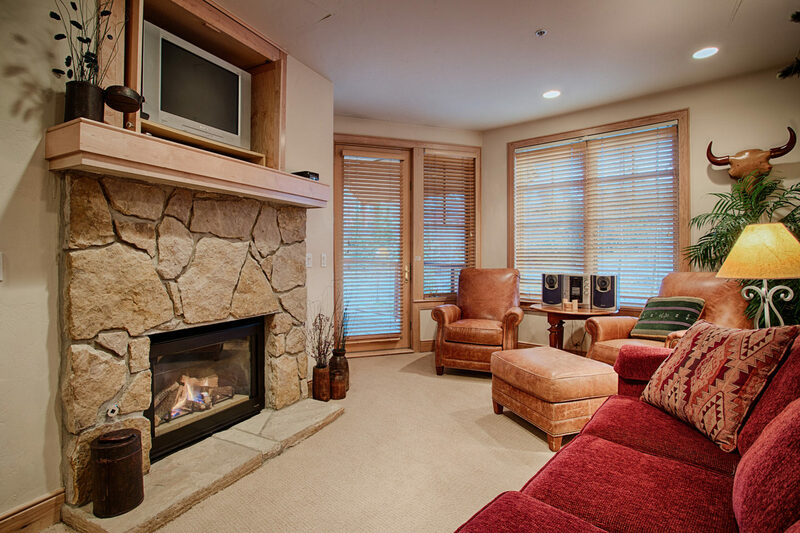 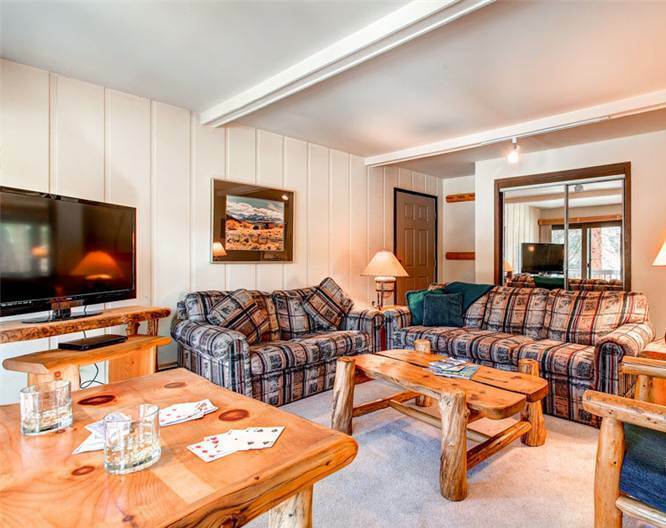 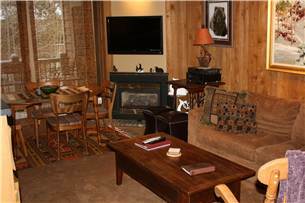 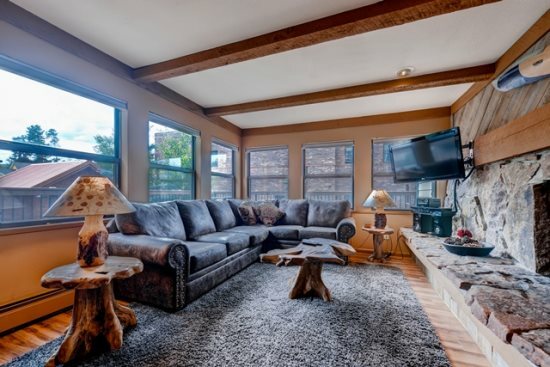 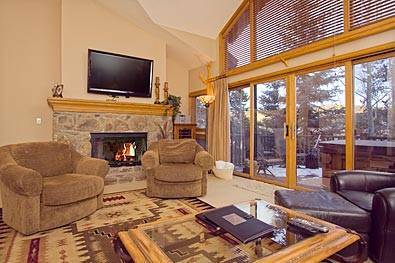 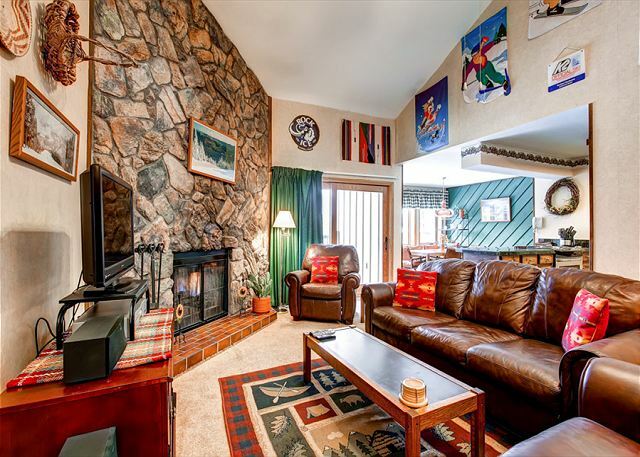 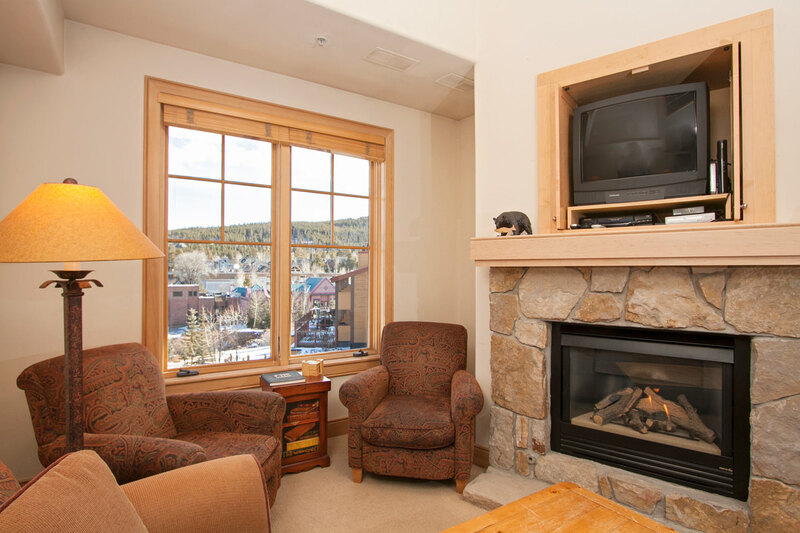 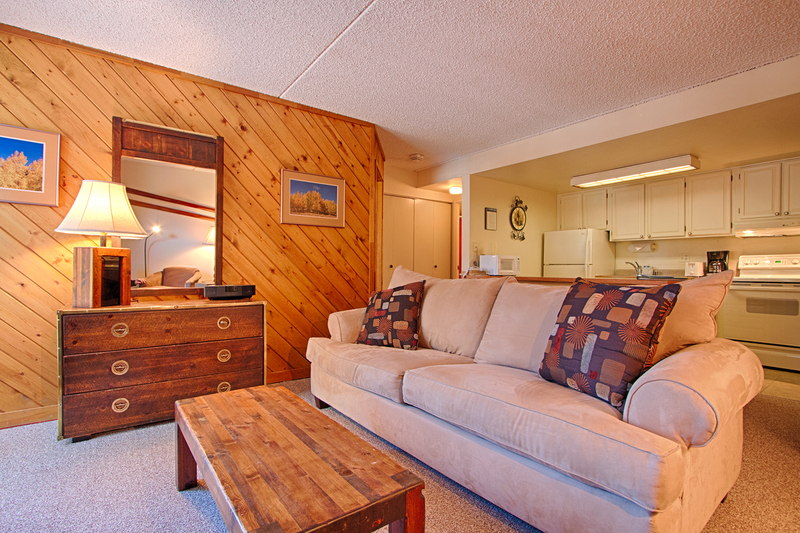 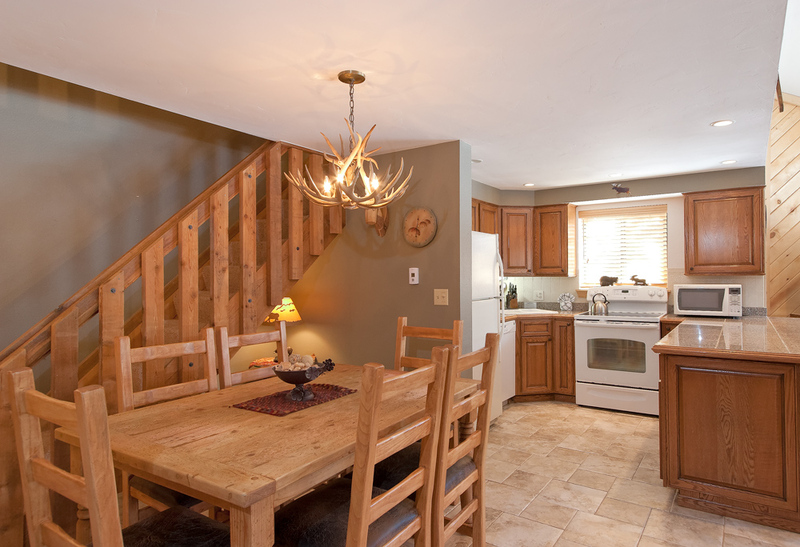 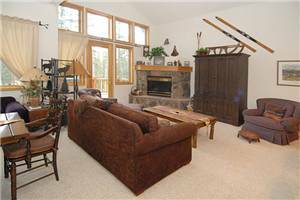 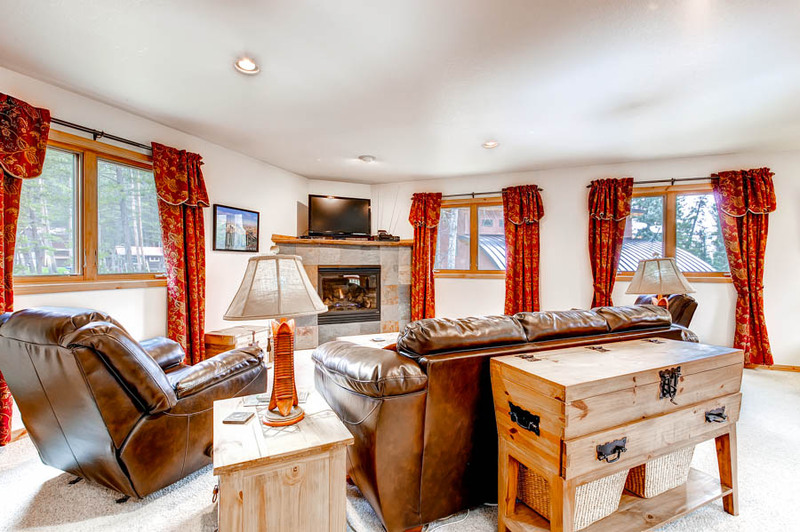 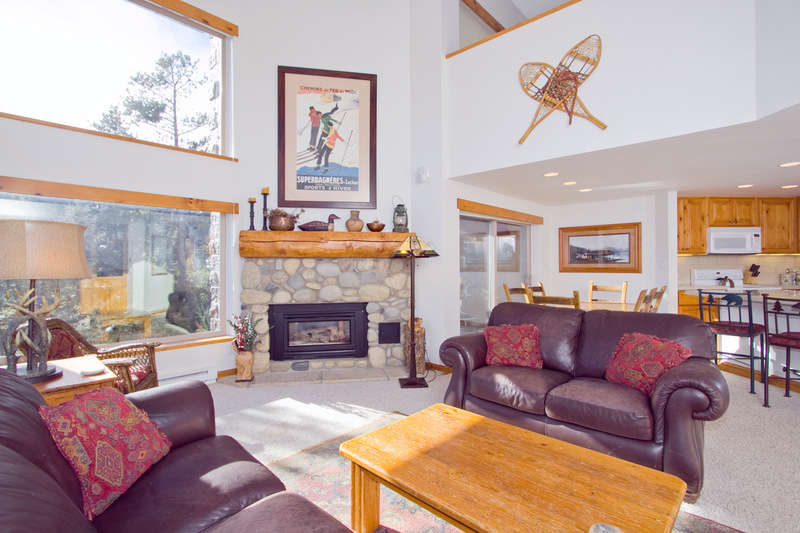 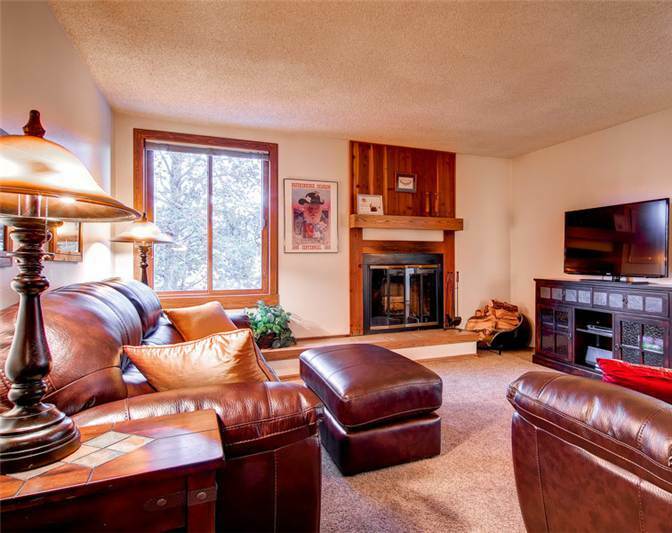 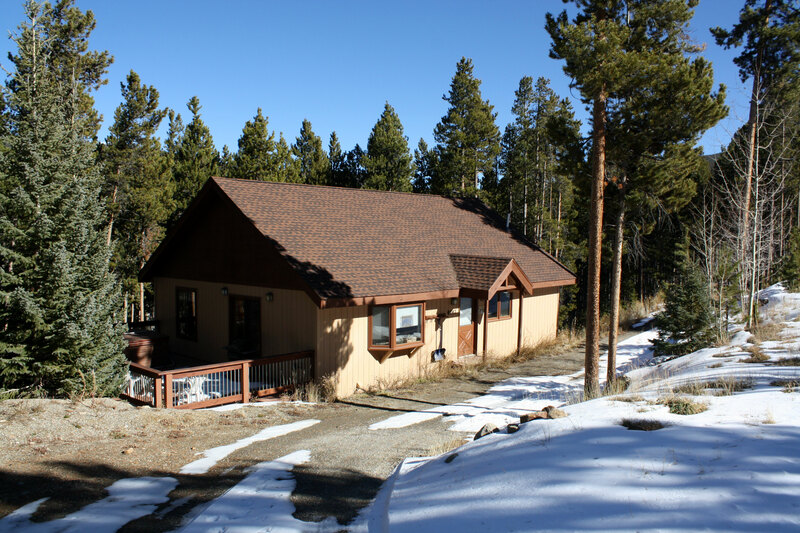 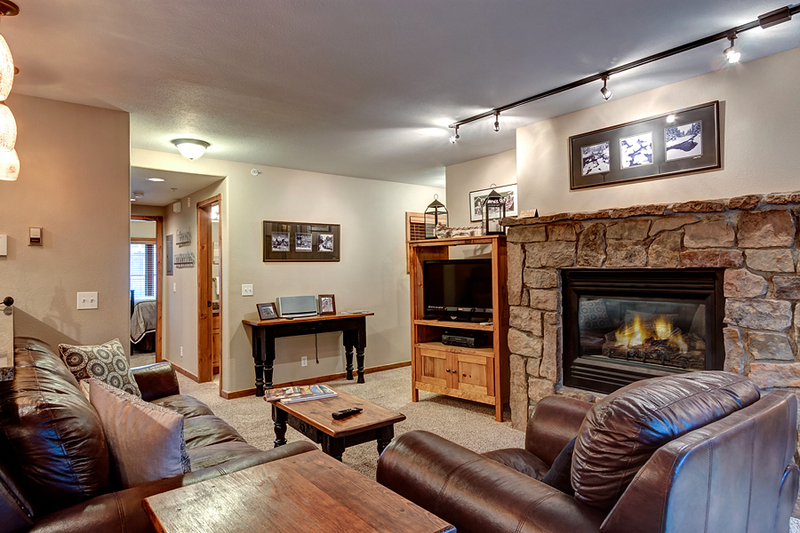 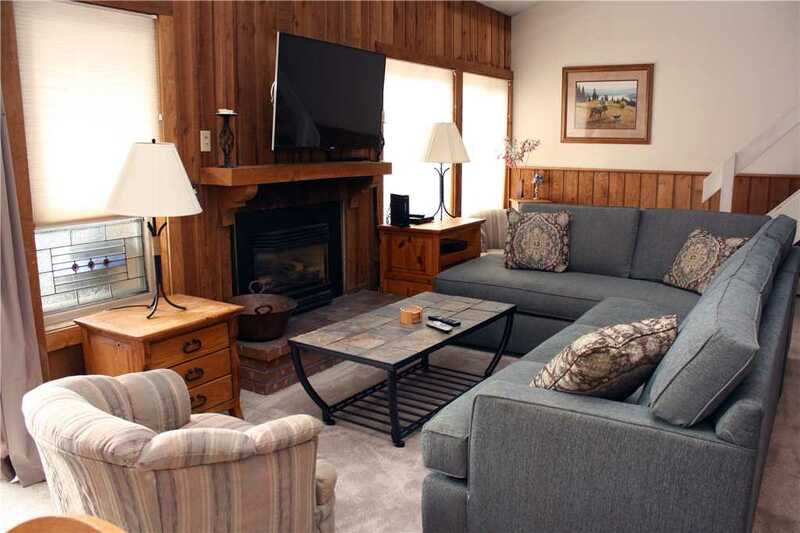 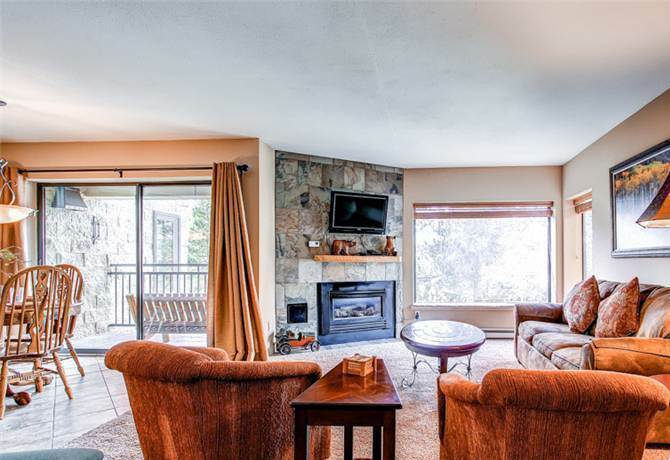 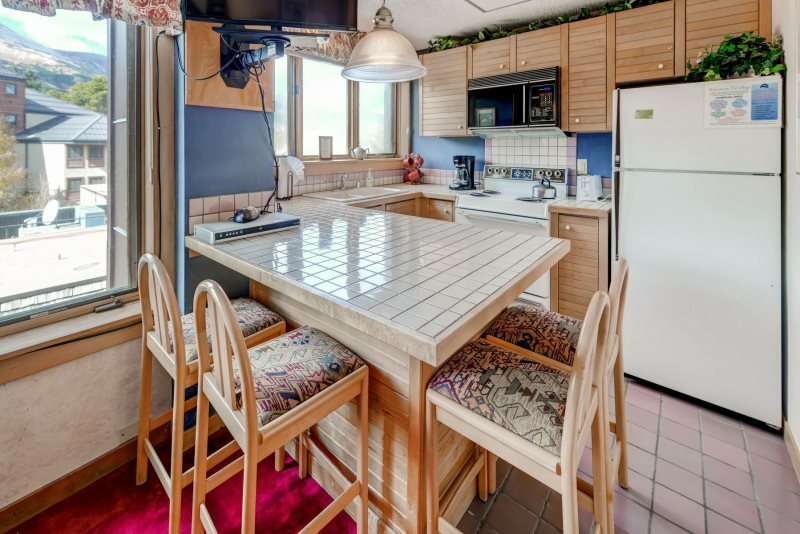 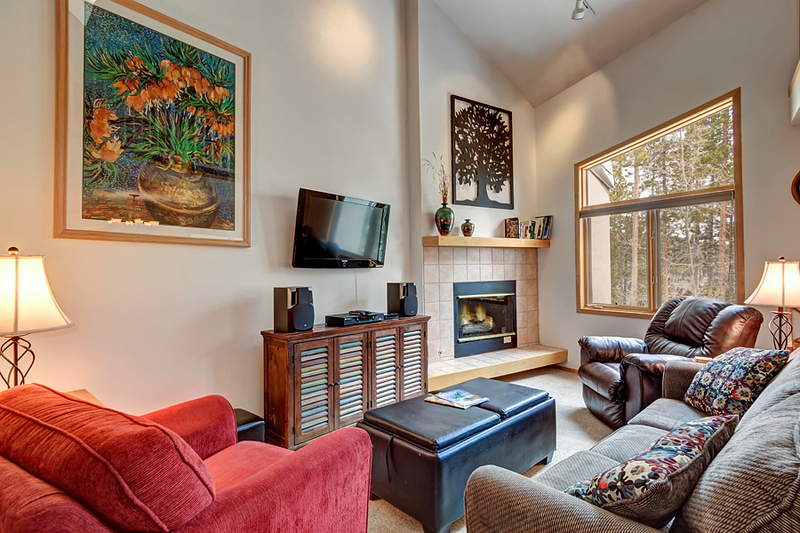 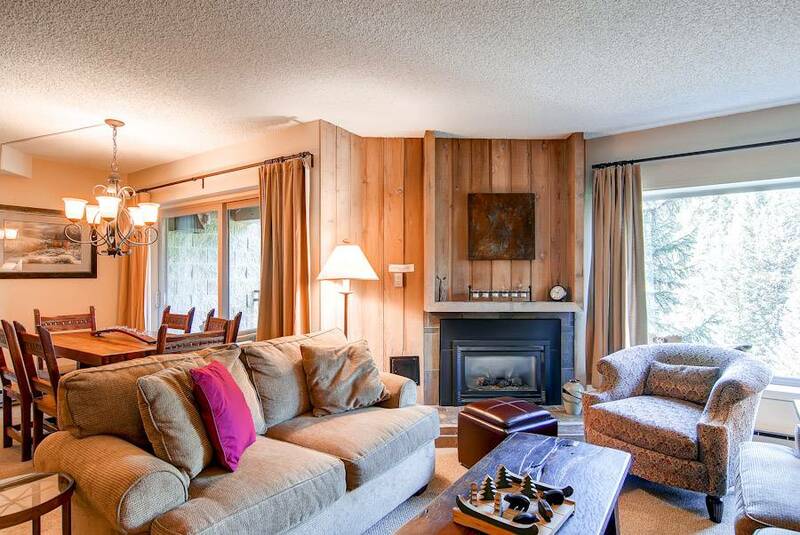 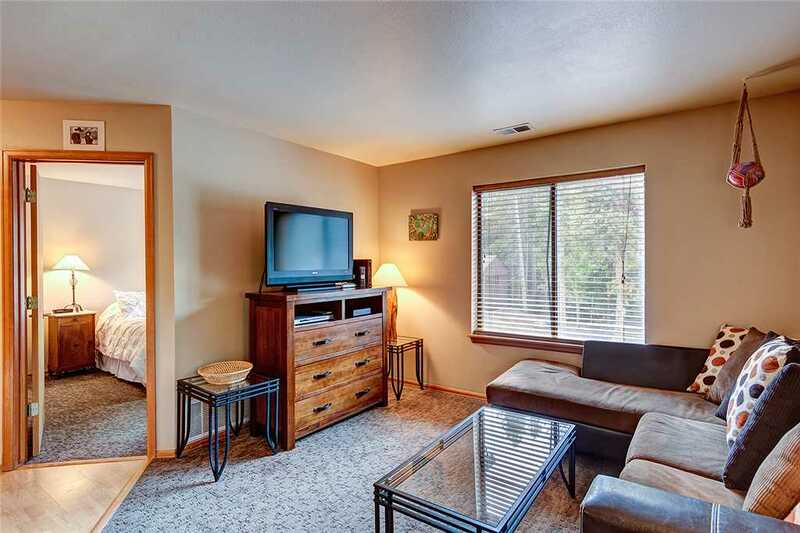 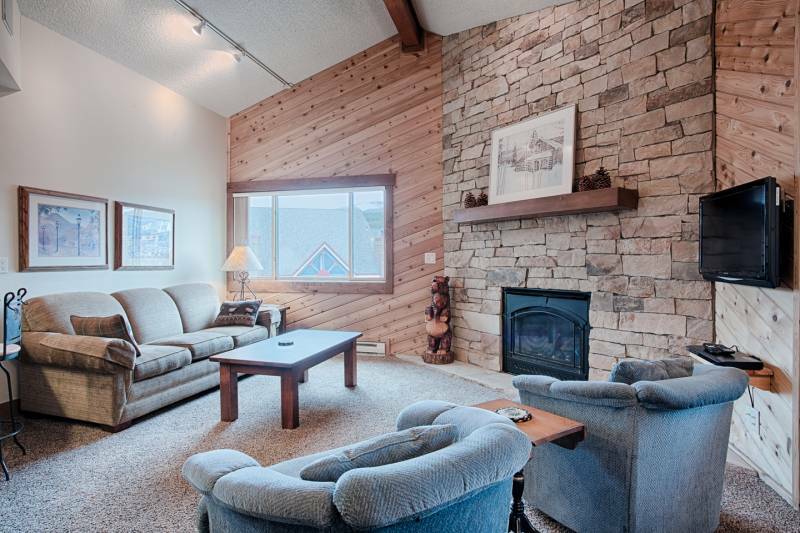 This is a warm and comfortable ski lodge unit with the best location possible. 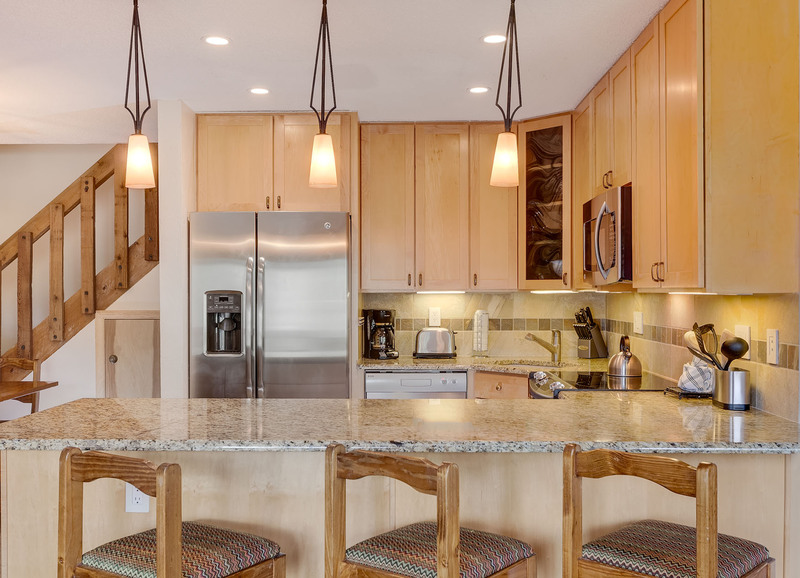 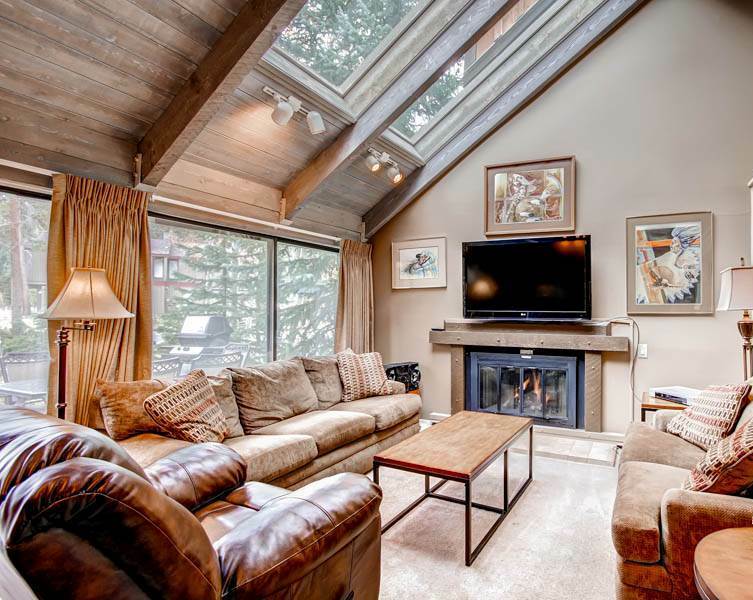 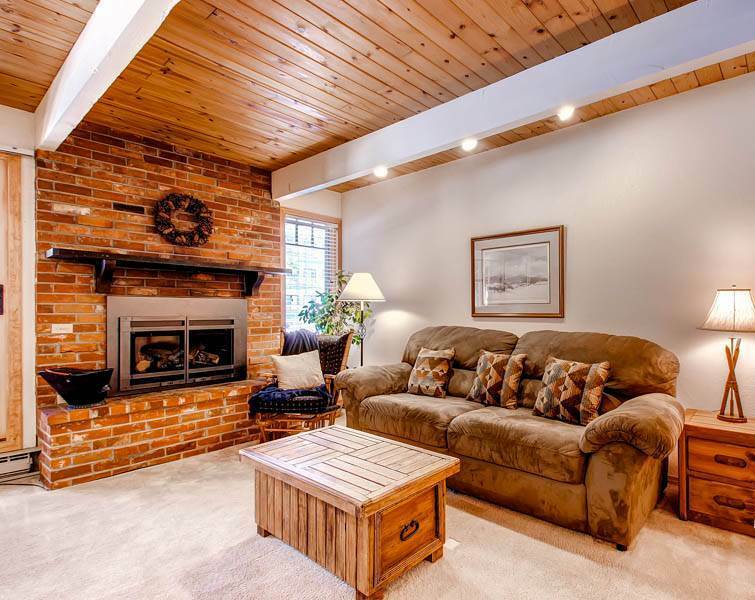 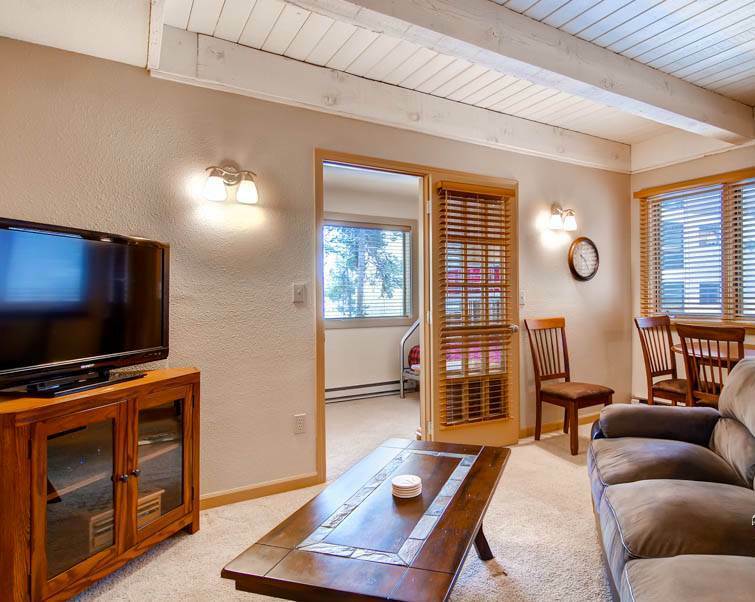 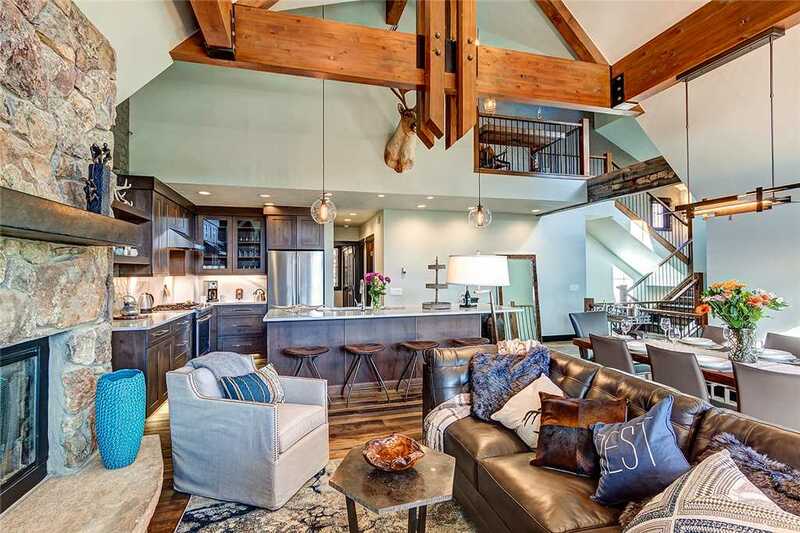 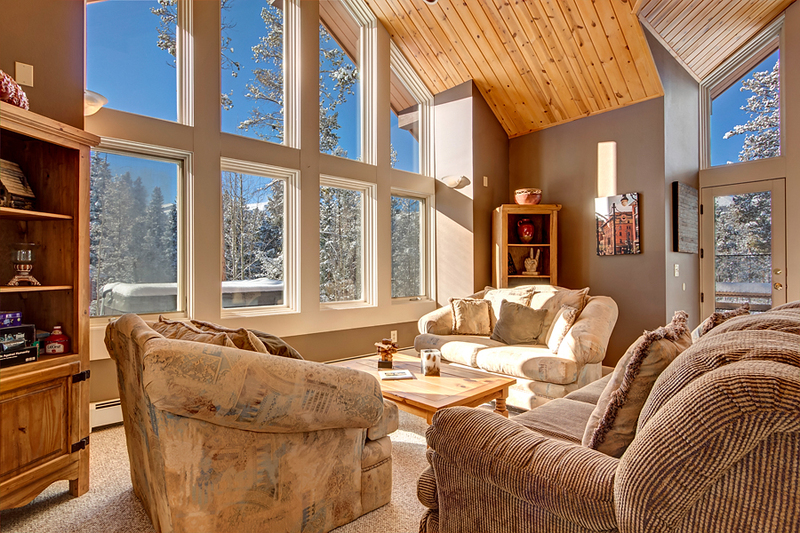 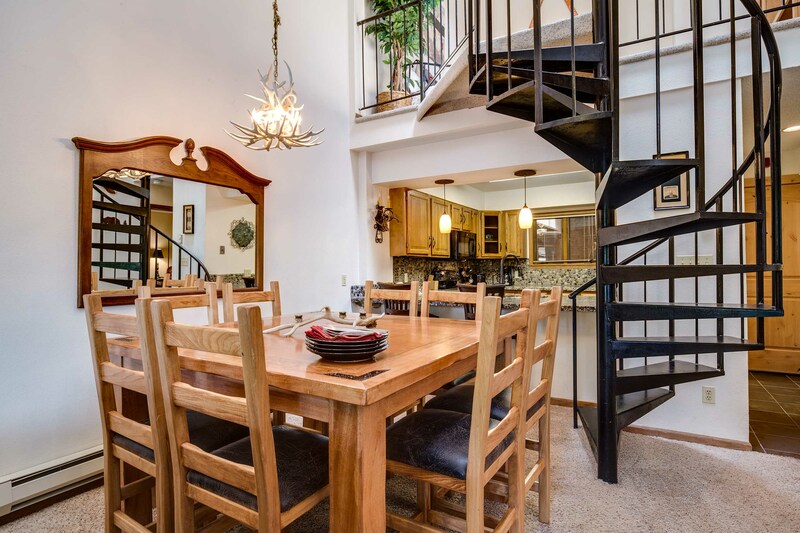 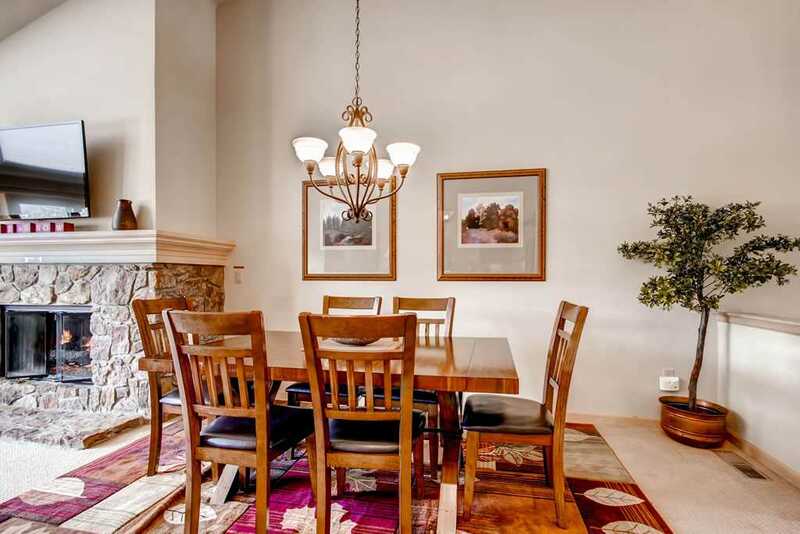 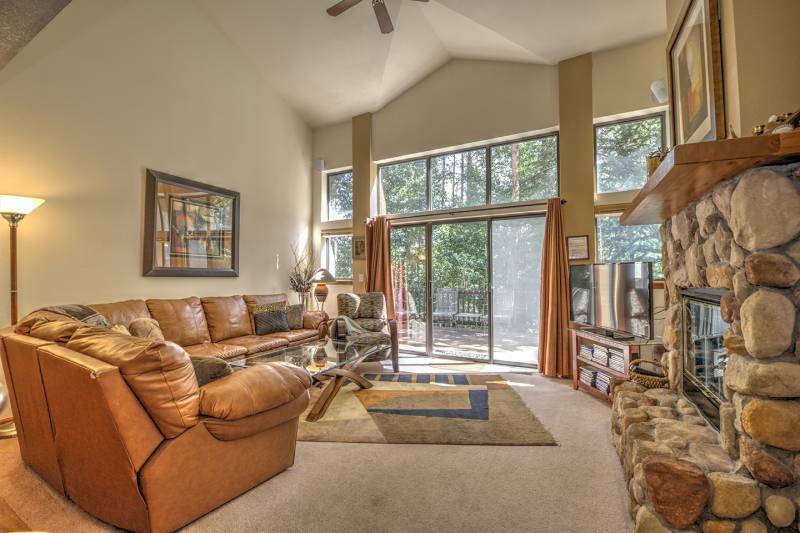 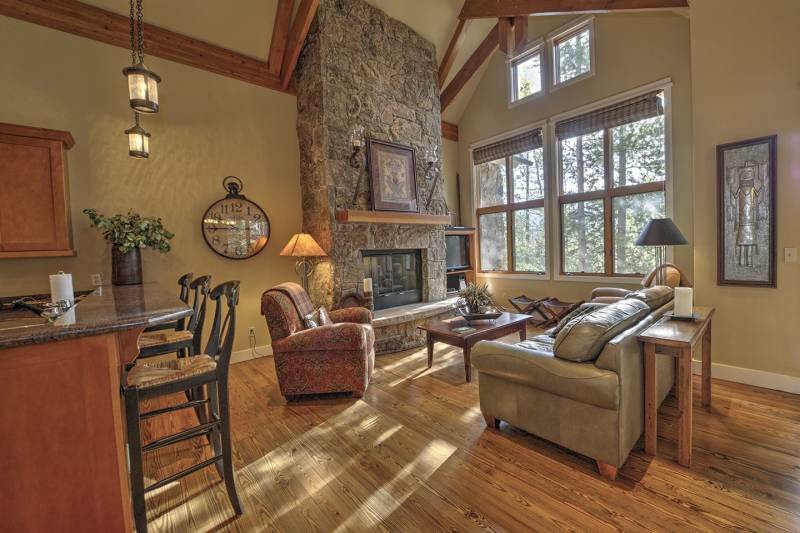 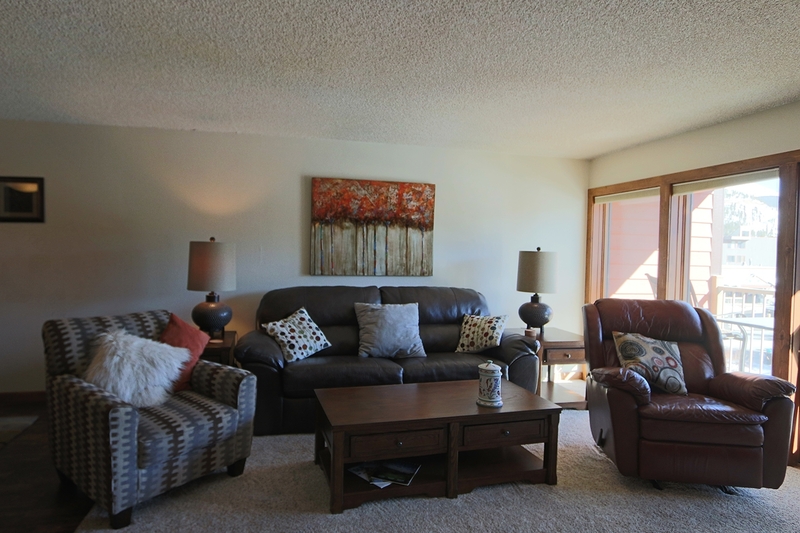 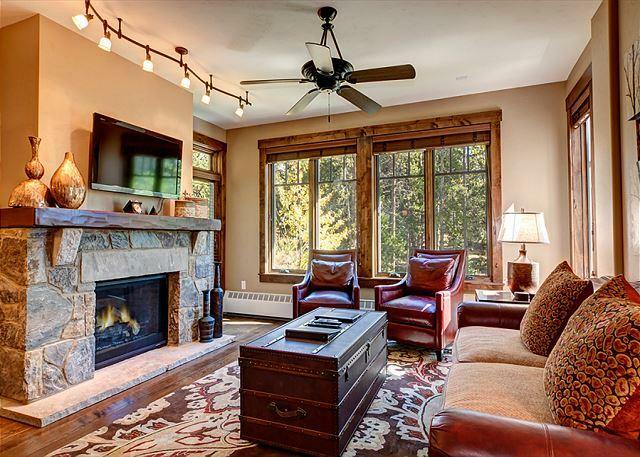 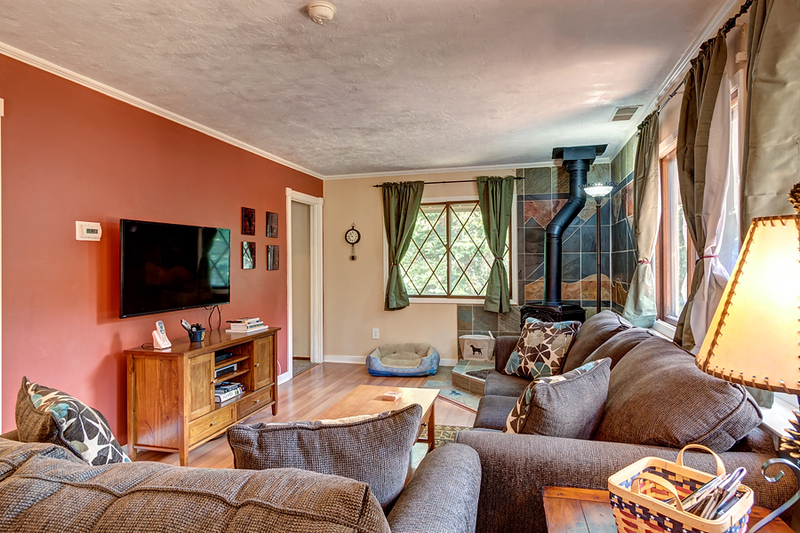 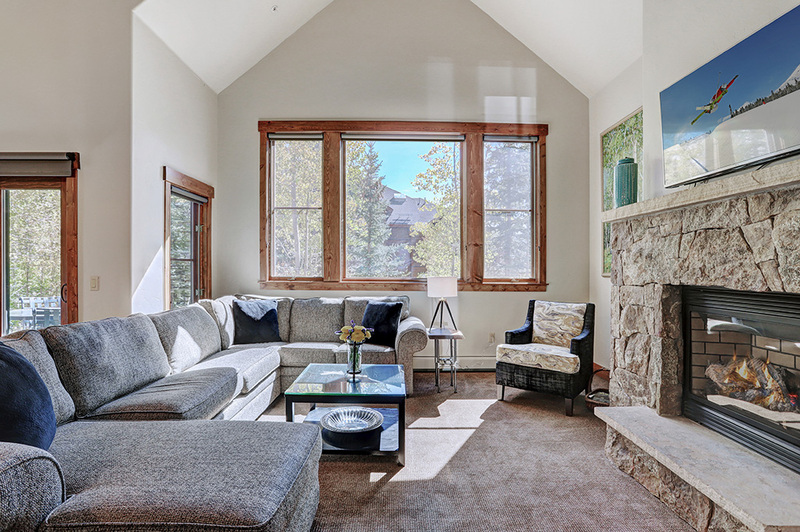 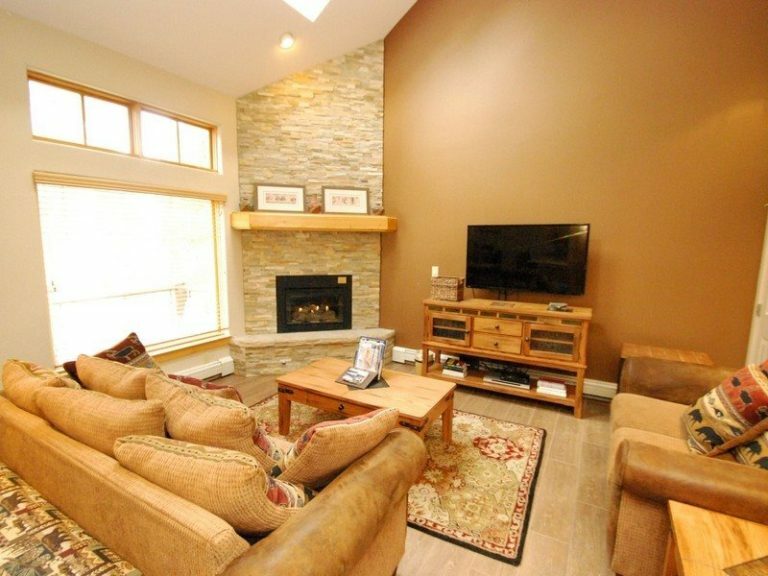 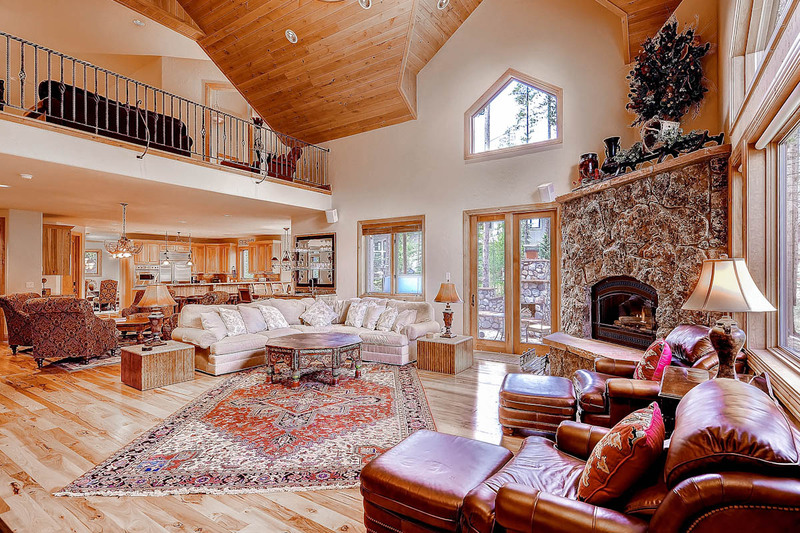 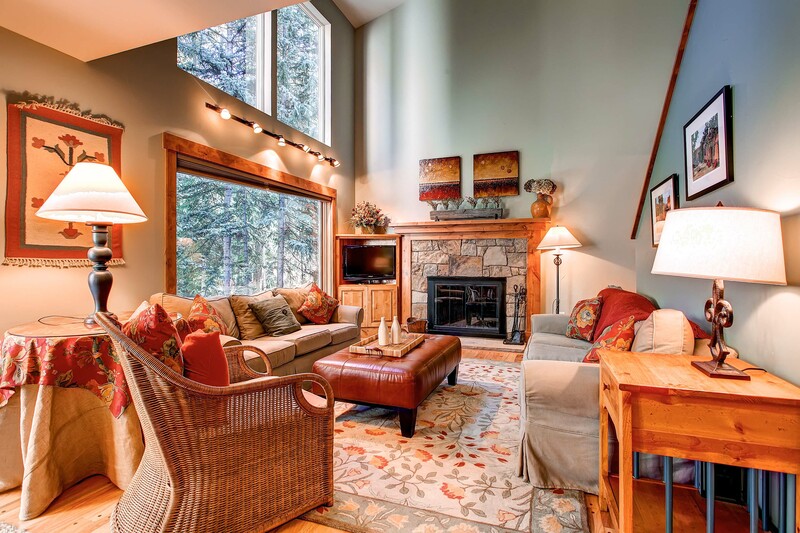 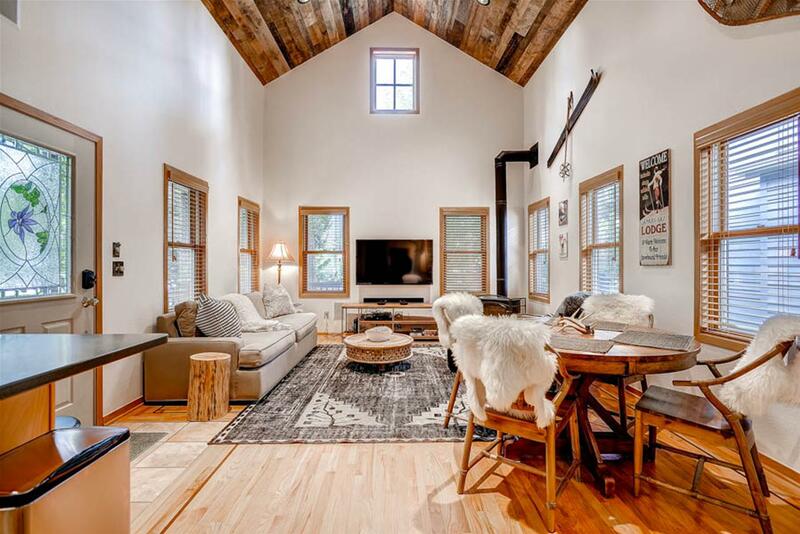 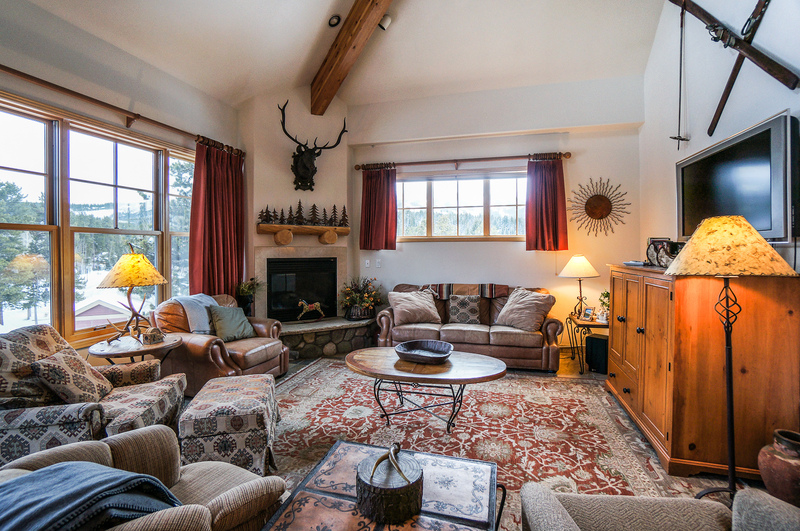 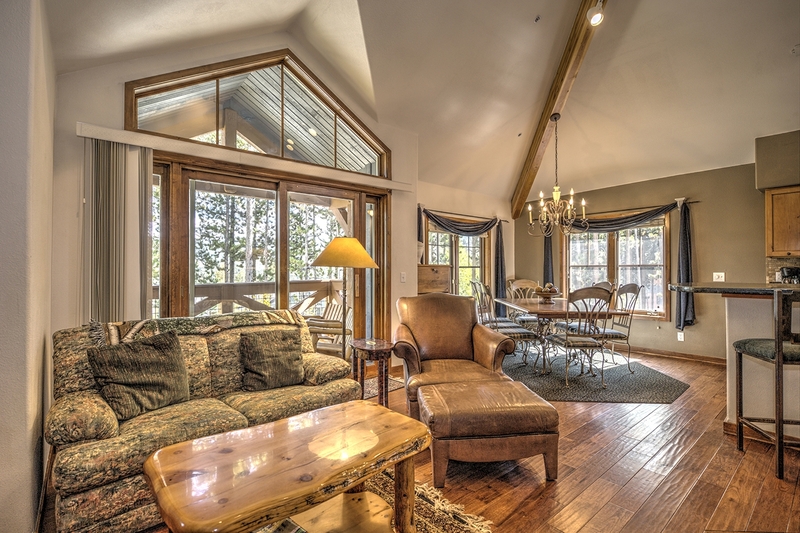 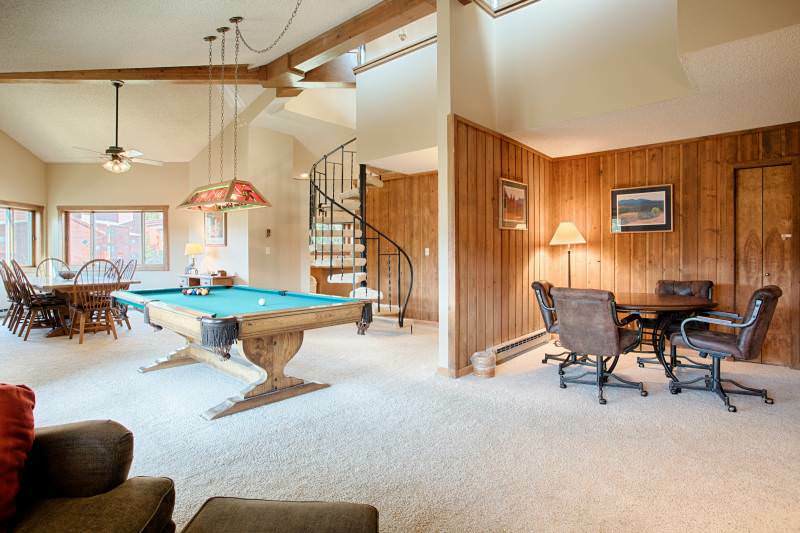 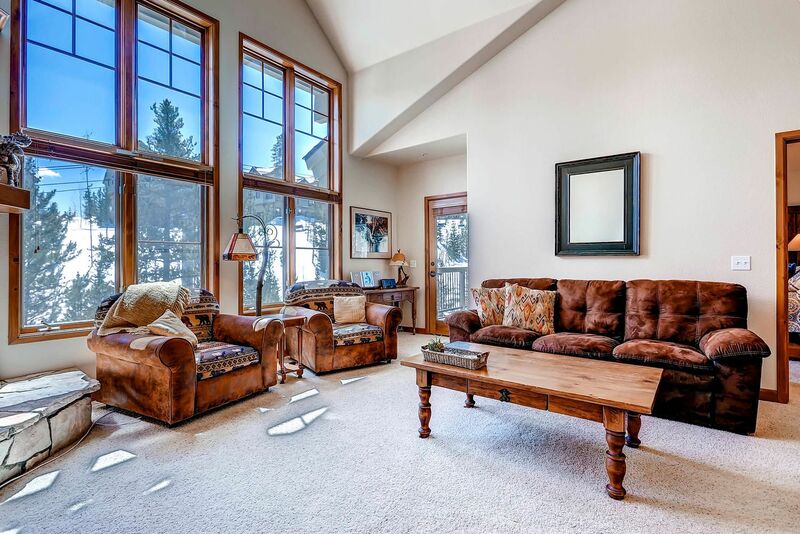 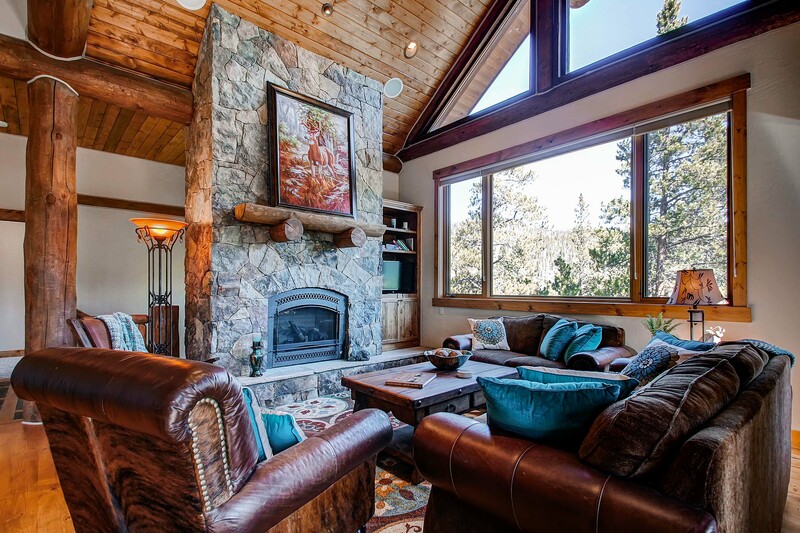 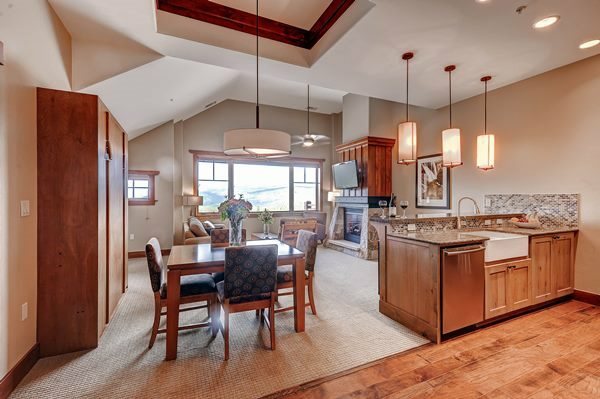 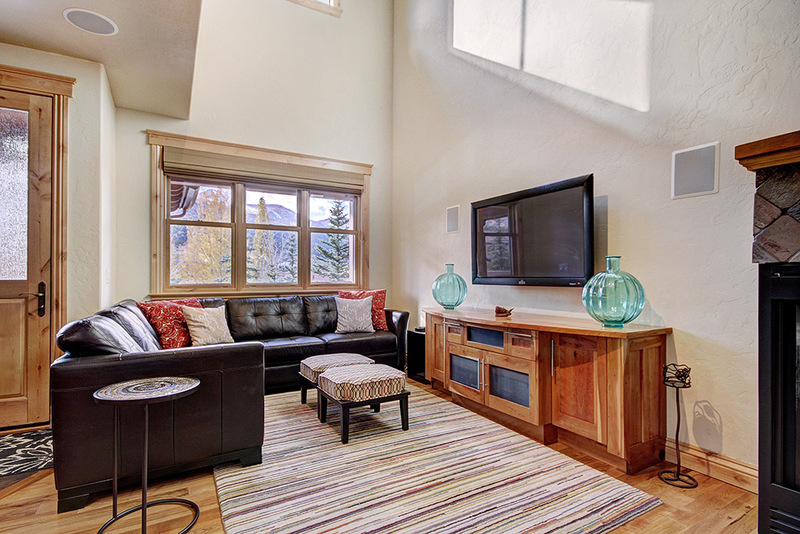 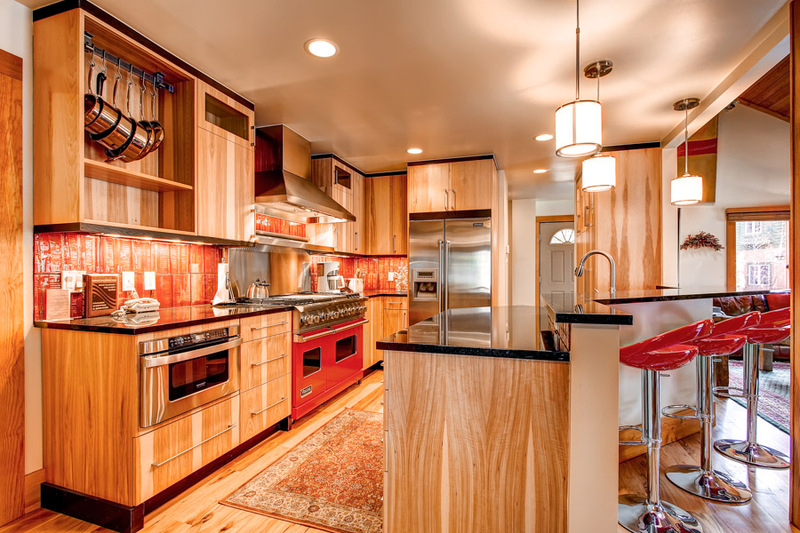 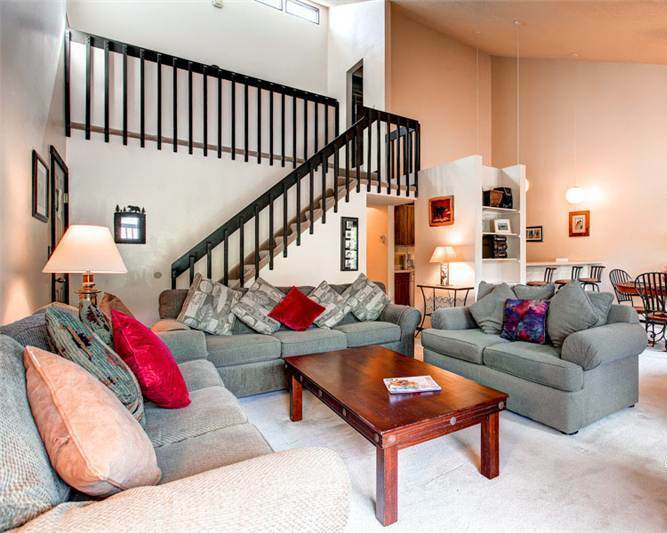 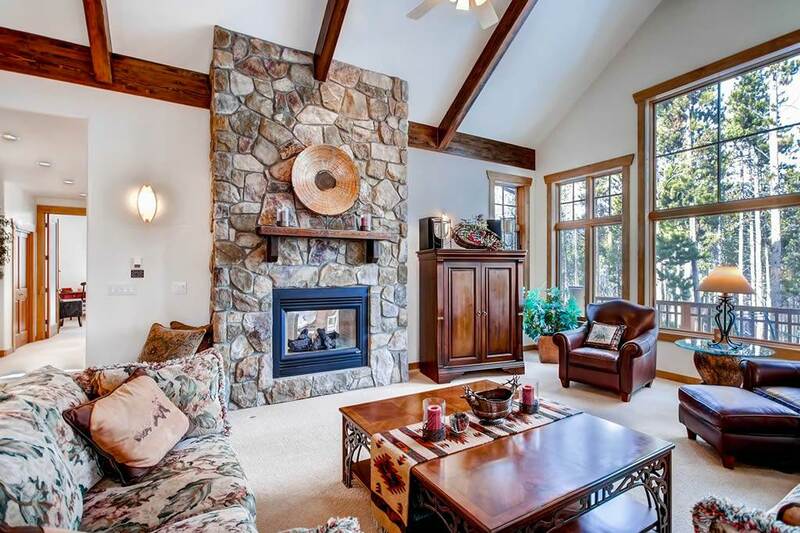 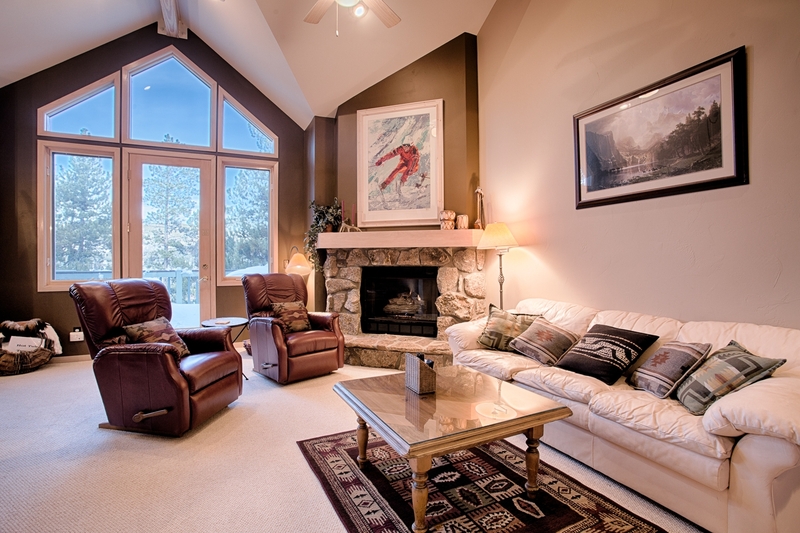 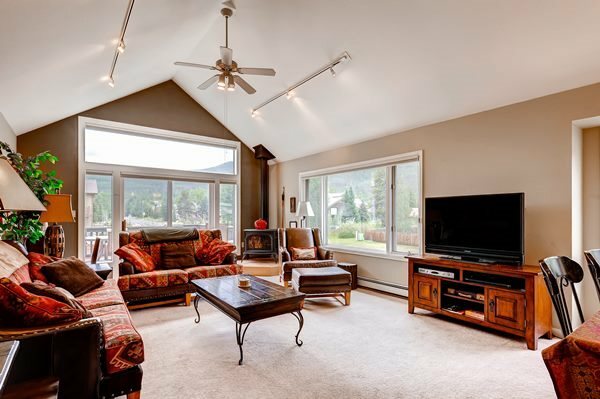 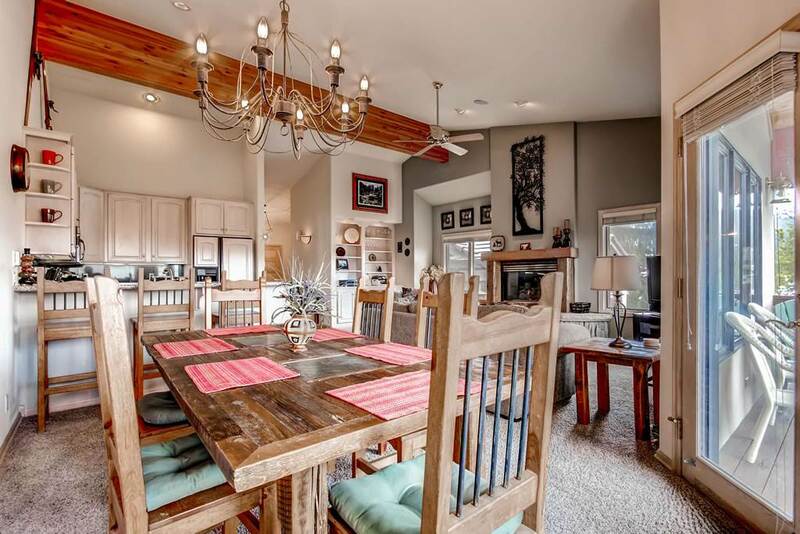 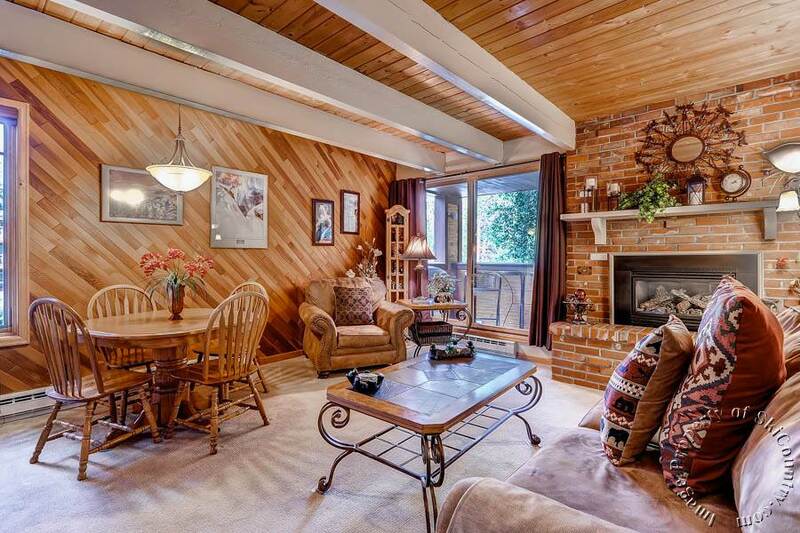 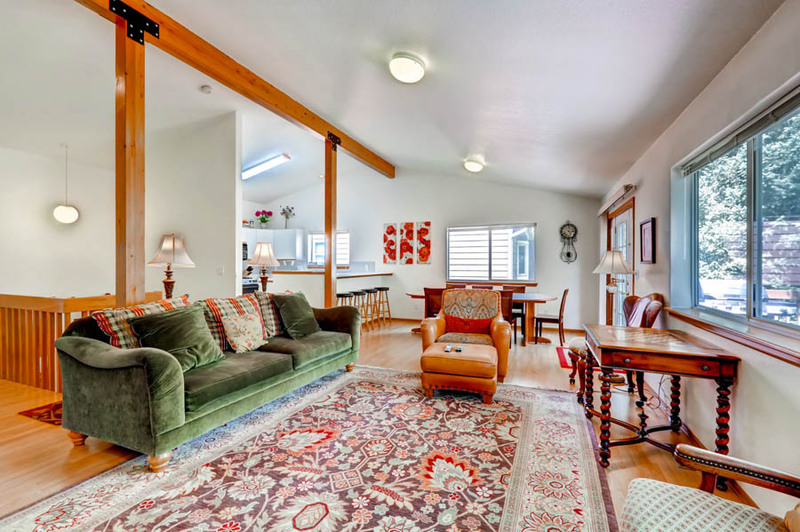 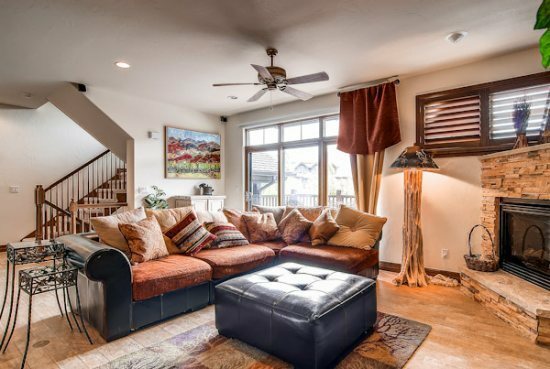 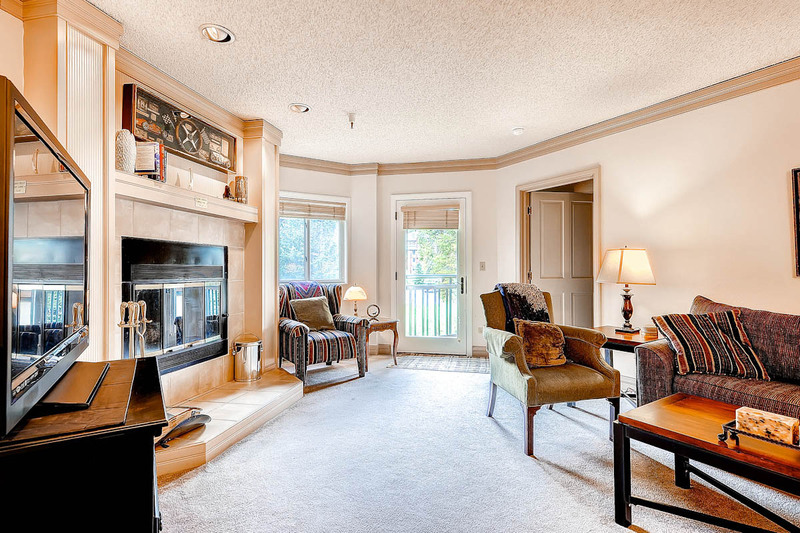 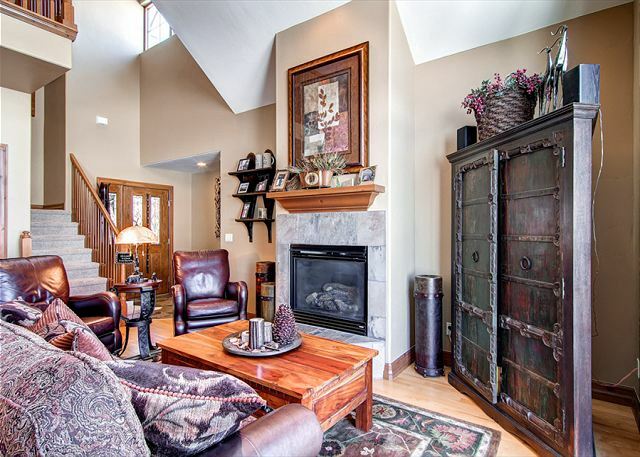 Vaulted ceilings add to the feeling of spaciousness. 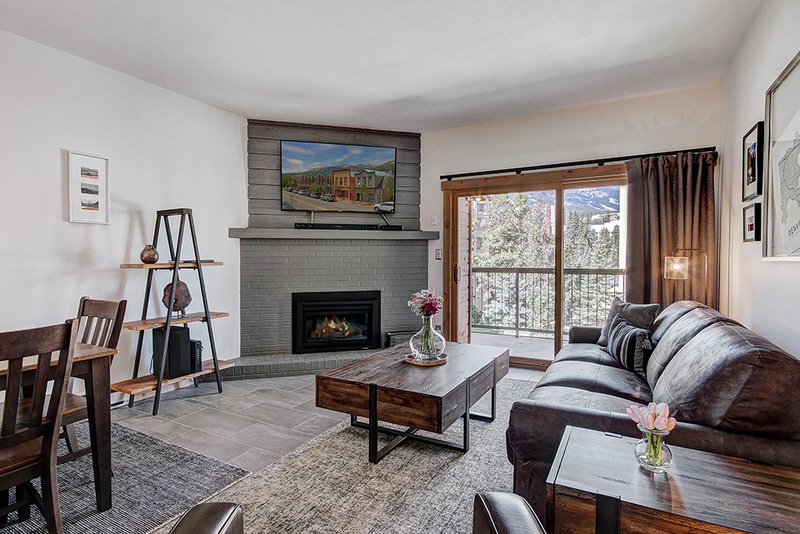 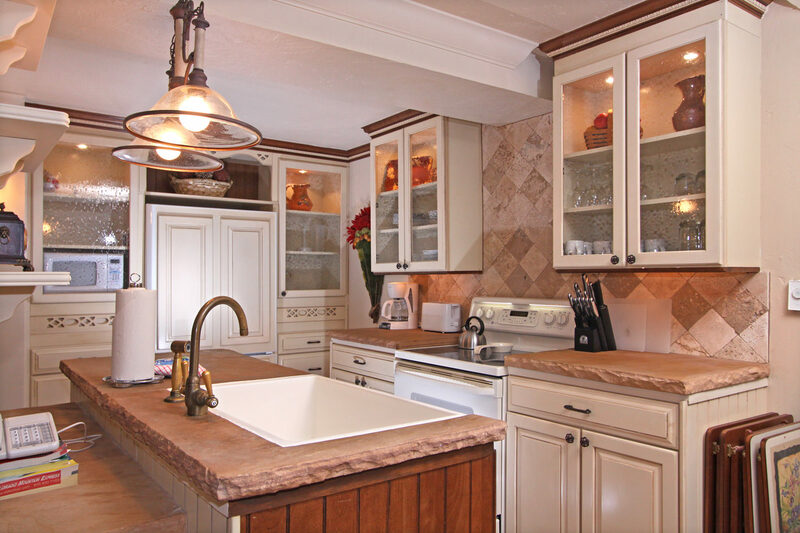 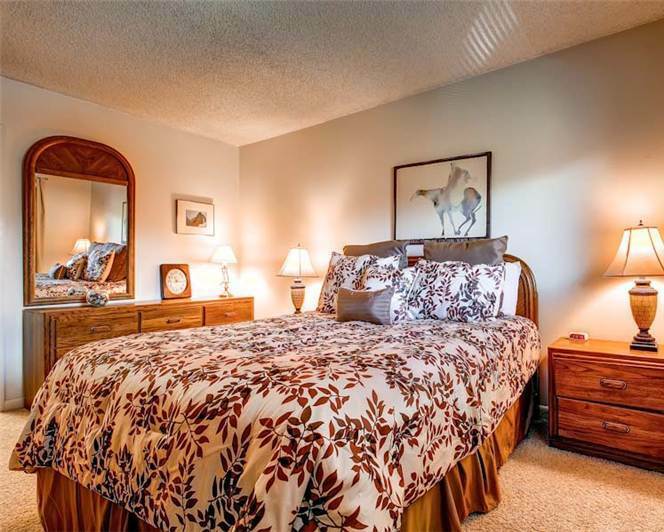 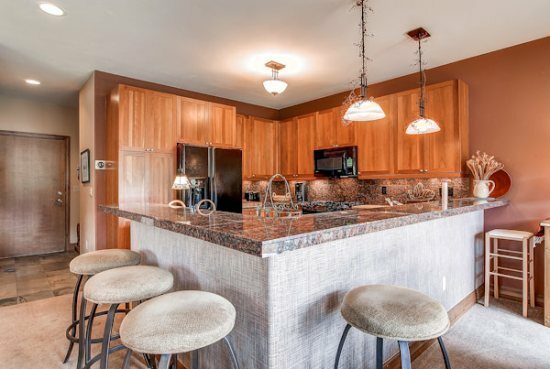 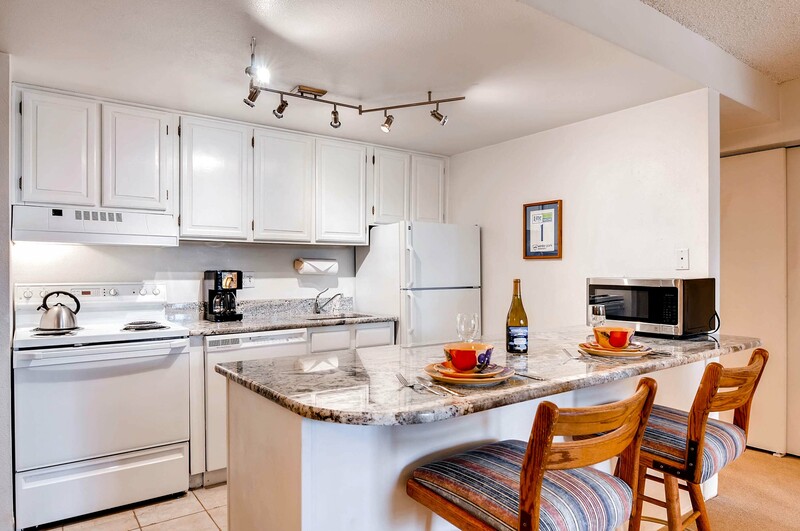 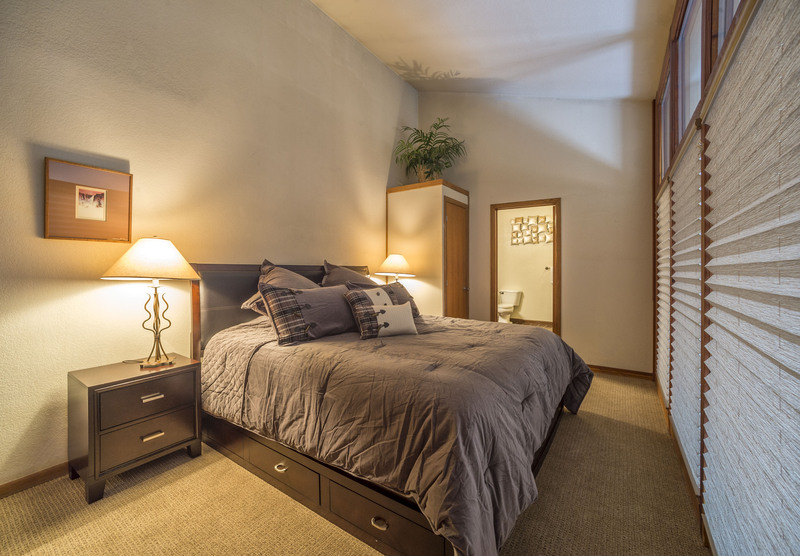 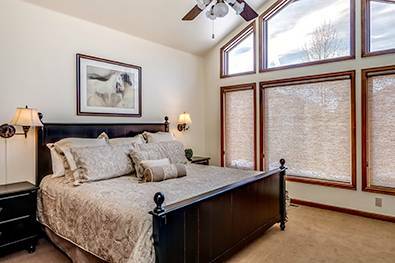 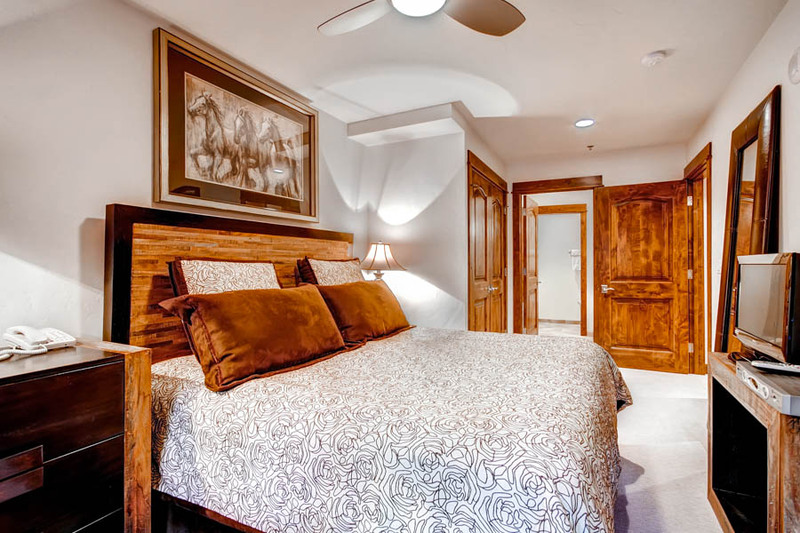 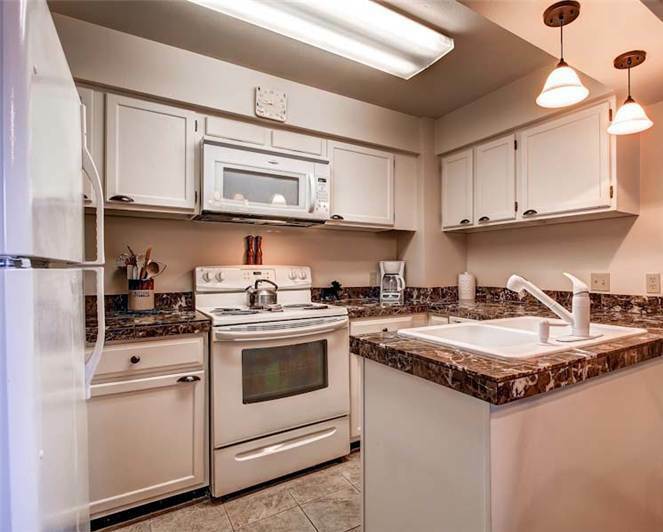 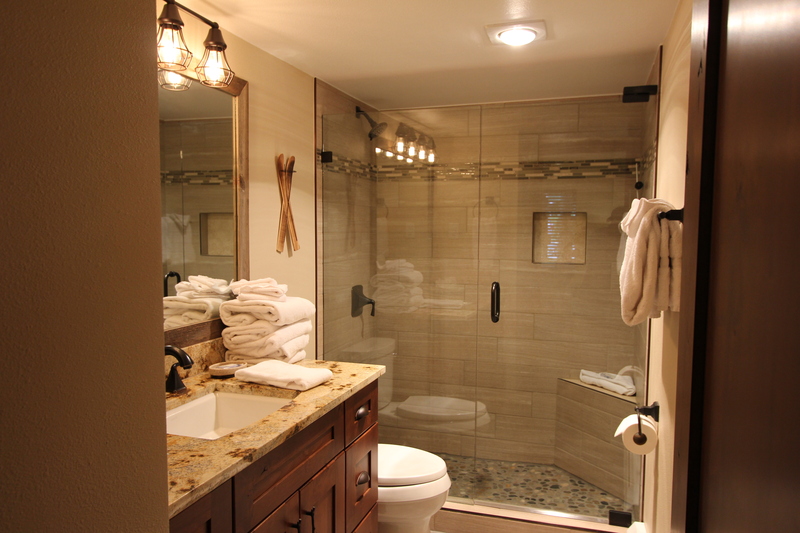 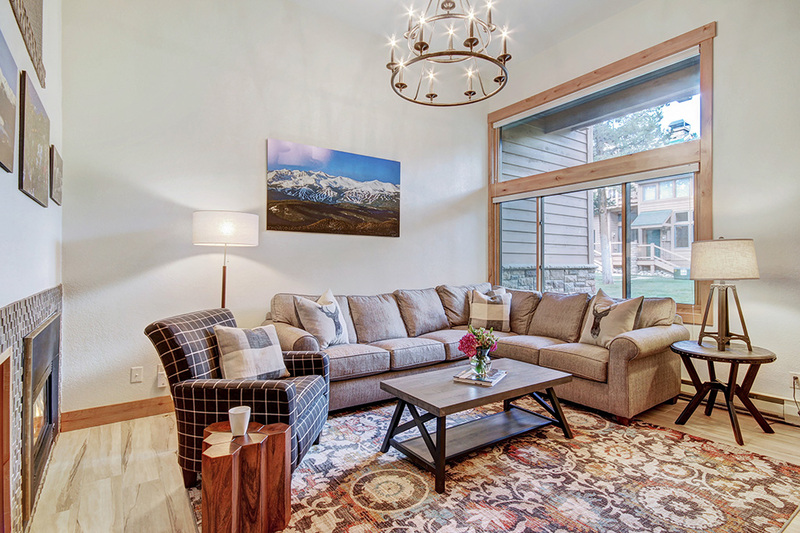 Guests will be treated to an updated unit, including new appliances, granite, tile, sinks, faucets, carpeting, custom drapes (including black-out in the bedrooms), and 80-gallon hot water heater. 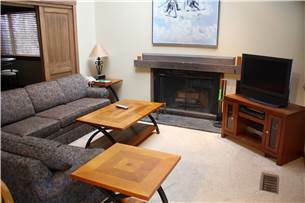 The unit was freshly painted and the furniture was also updated (including new mattresses and 50-inch flat screen t.v.) 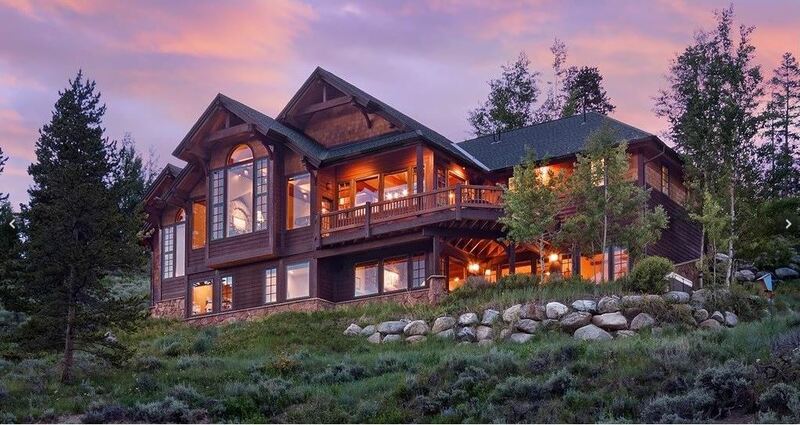 to make this a perfect vacation home.